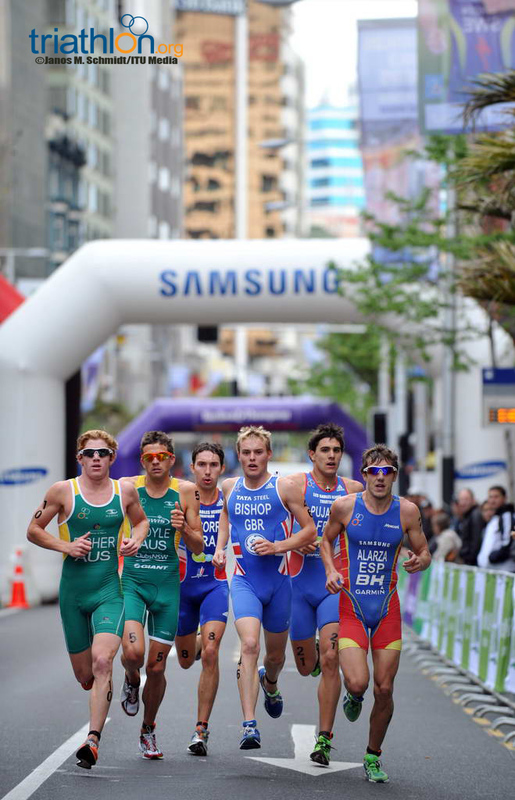 After the women’s elite world champion is decided, racing will be far from over on Saturday as the Under23 men take over the stage. 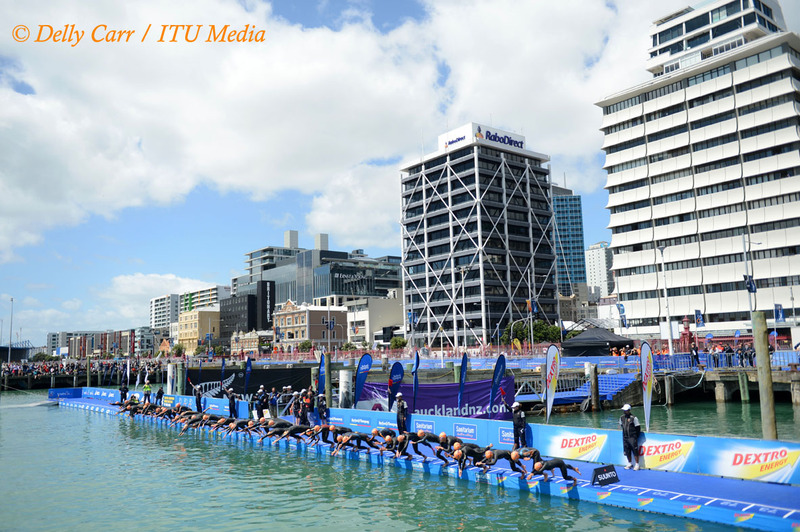 The promising progeny will face the same challenging course as their elite counterparts for a testing attempt at world championship glory. 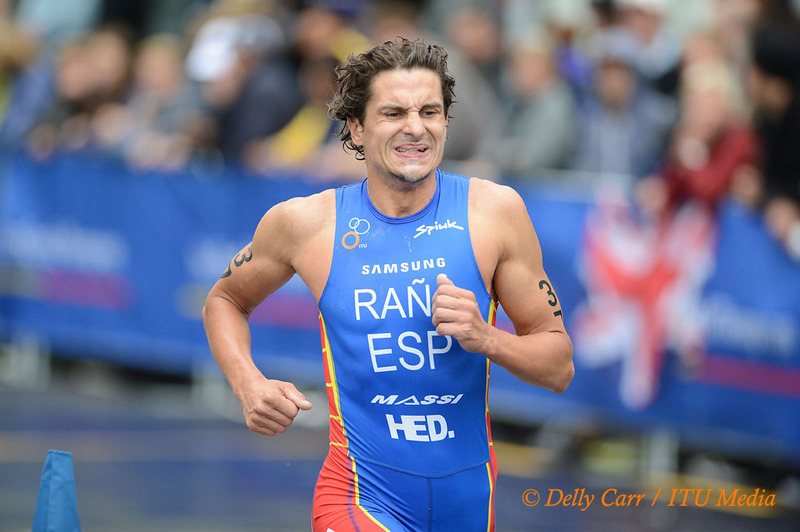 With Frenchman Vincent Luis’ recent withdrawal, Fernando Alarza (ESP) will line up first and will be considered one of the men to beat. 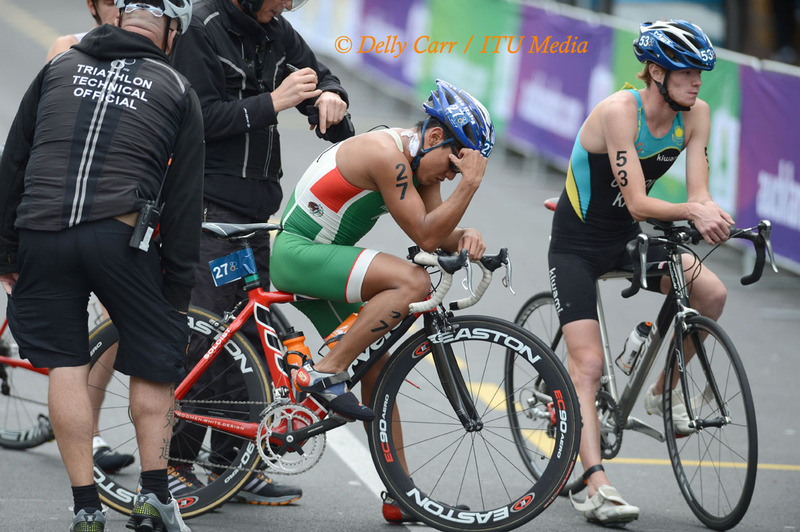 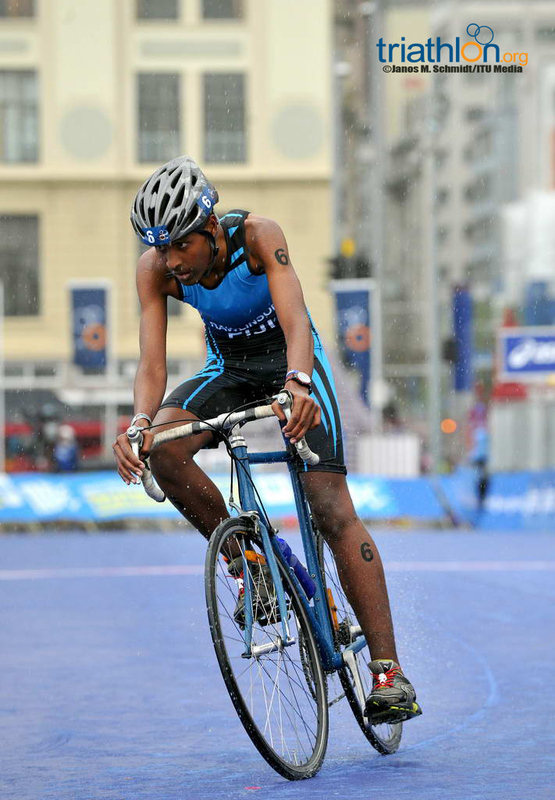 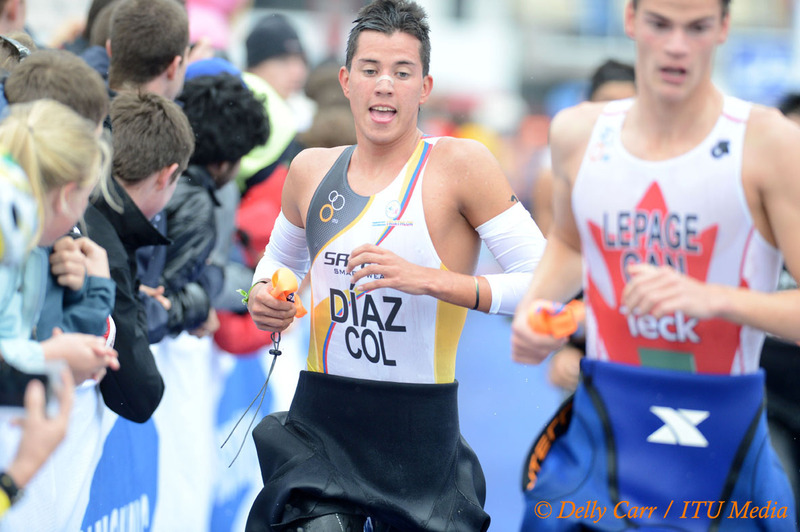 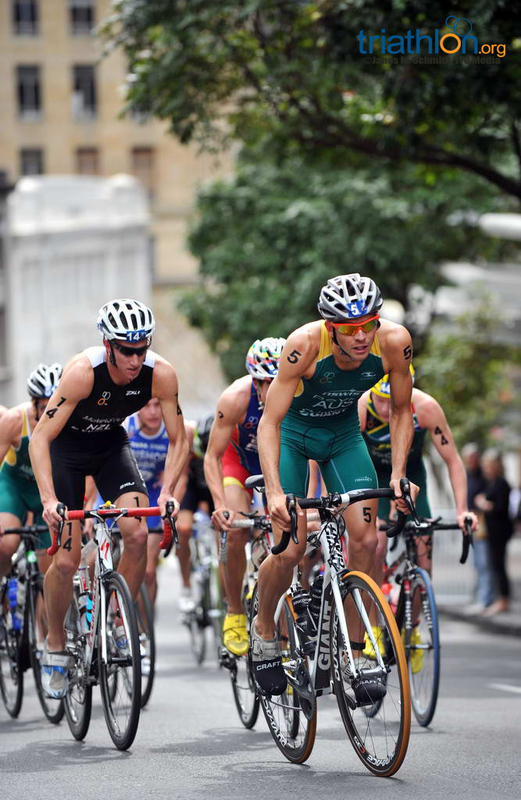 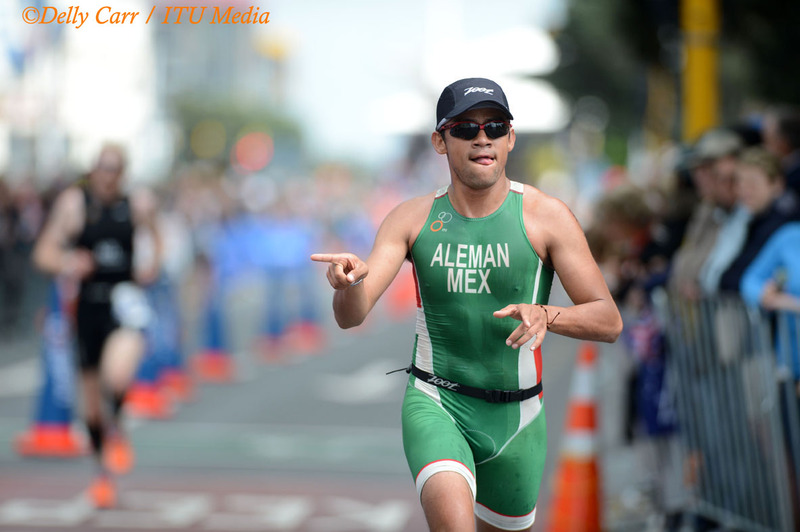 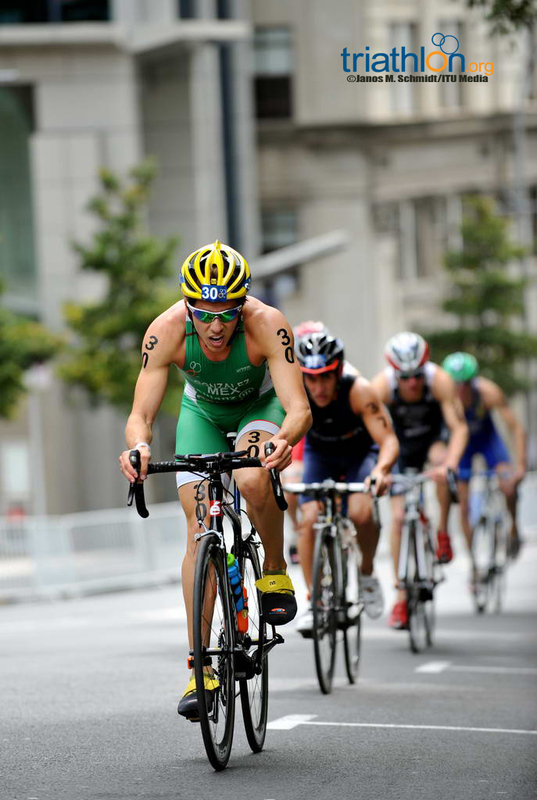 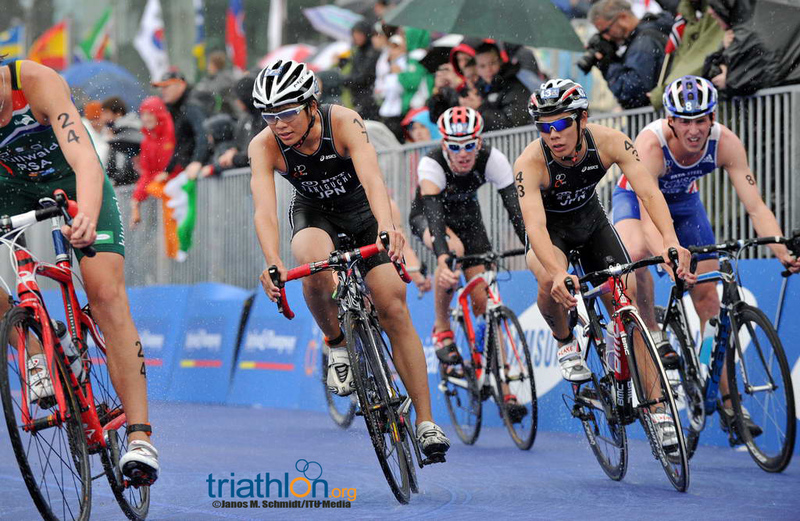 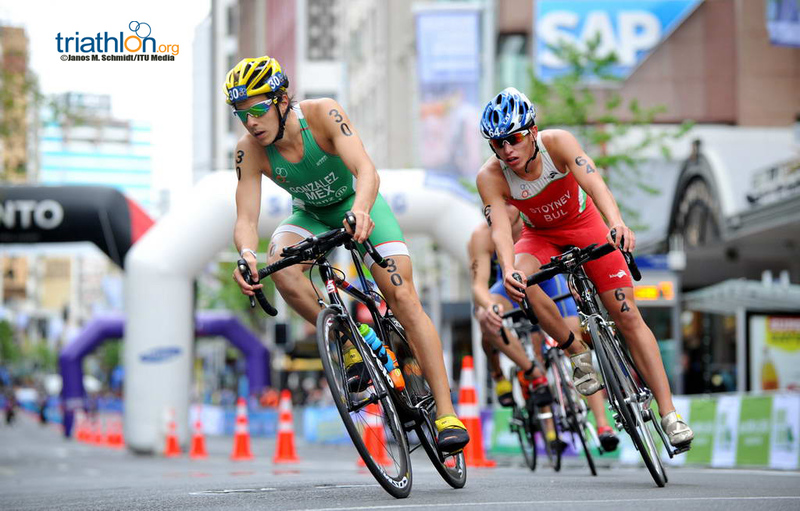 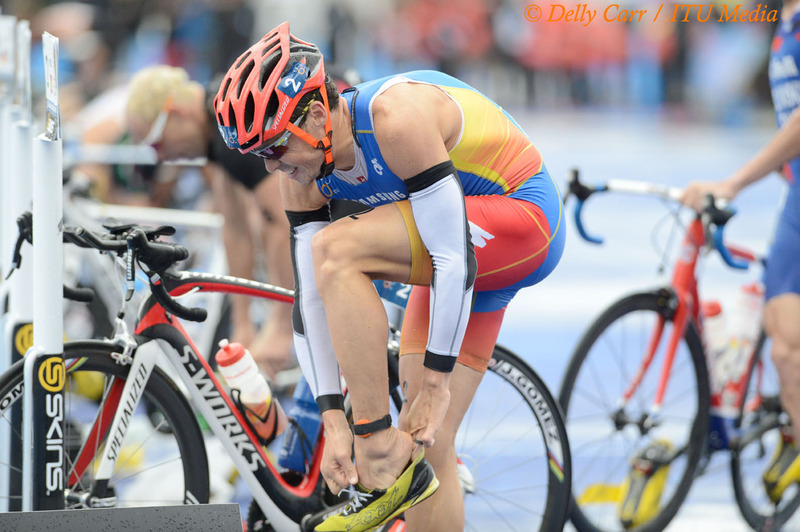 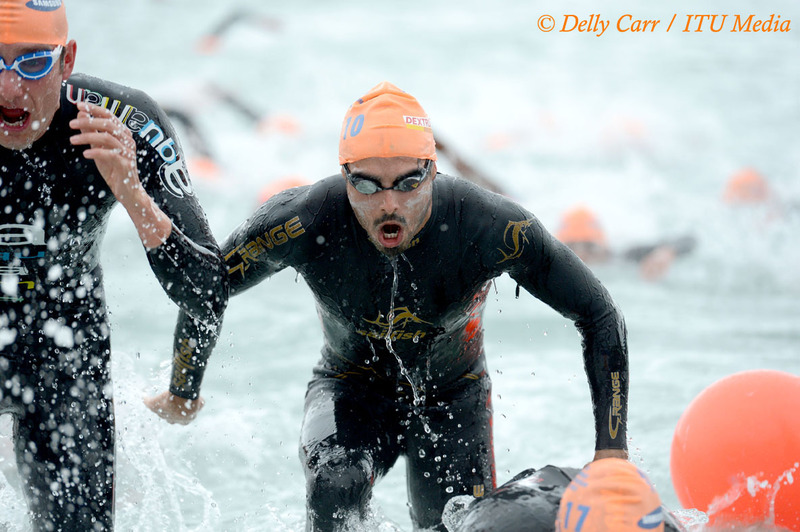 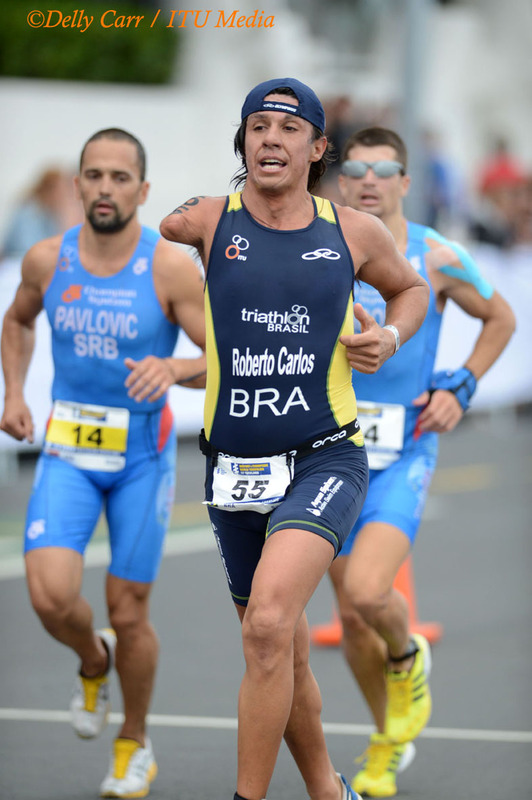 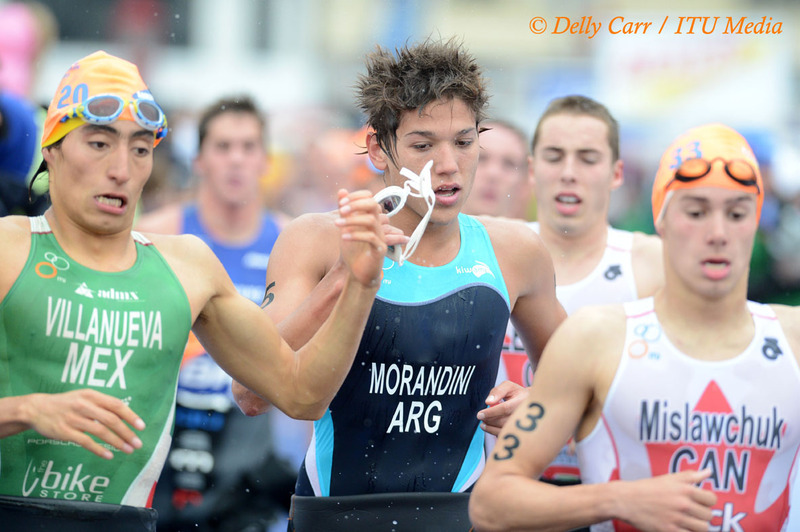 Alarza won in 2010 in Budapest as a junior and has since been gradually adding more ITU World Triathlon Series races to his racing docket. 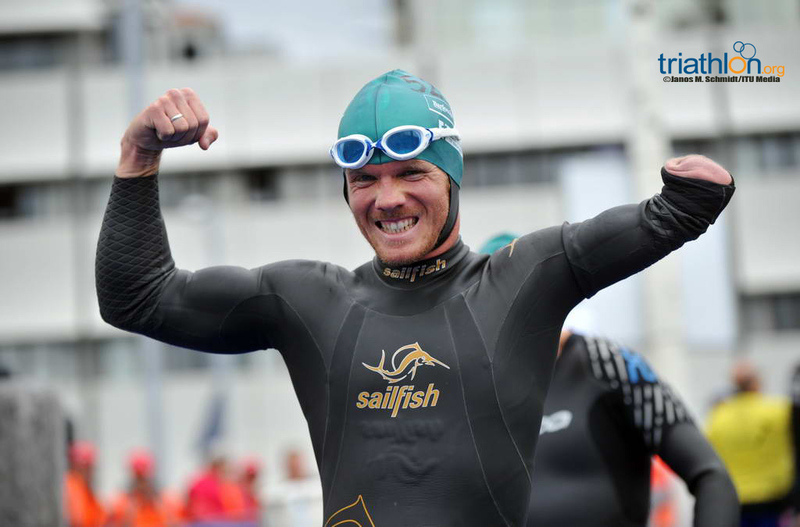 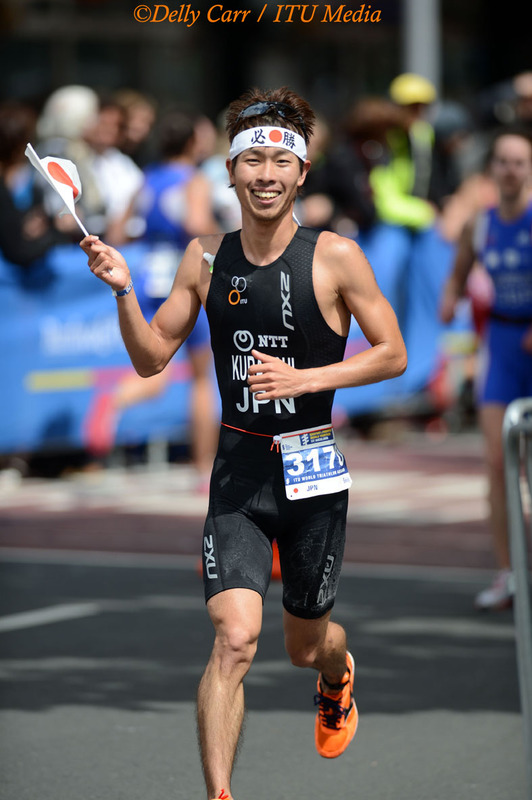 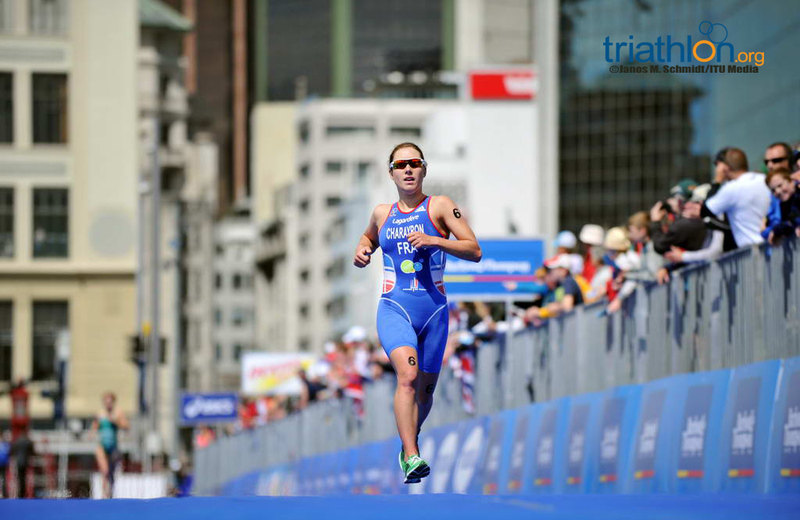 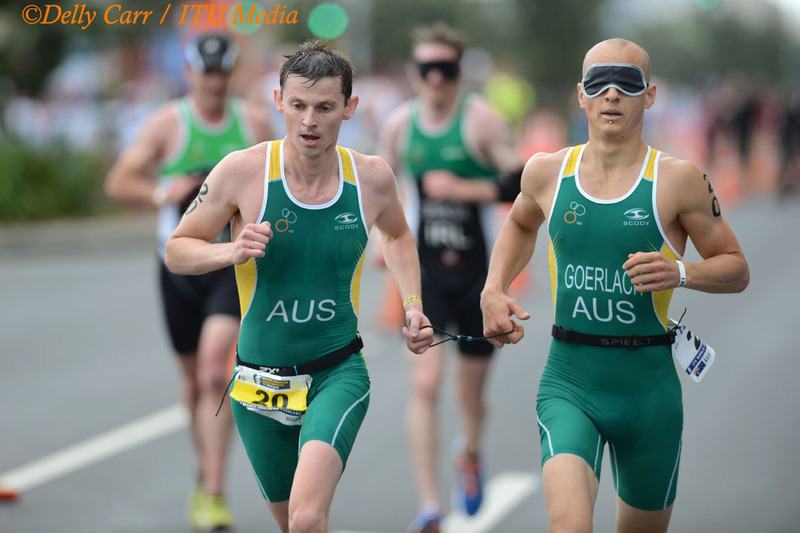 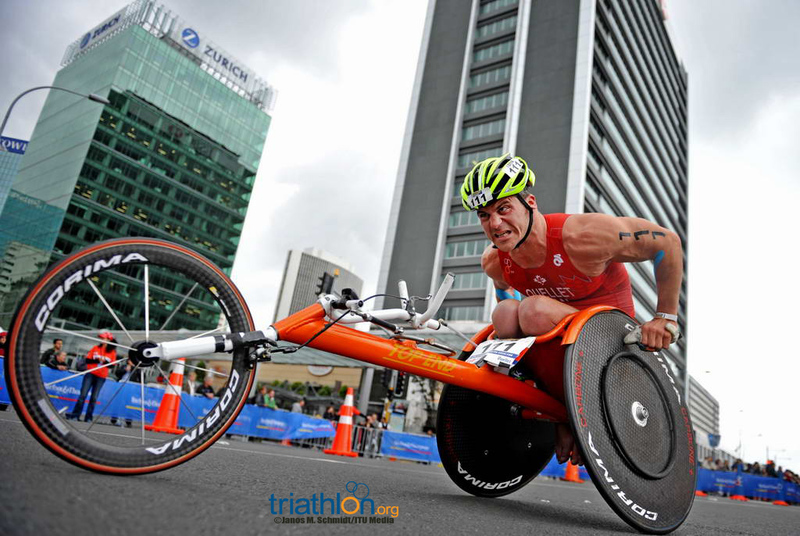 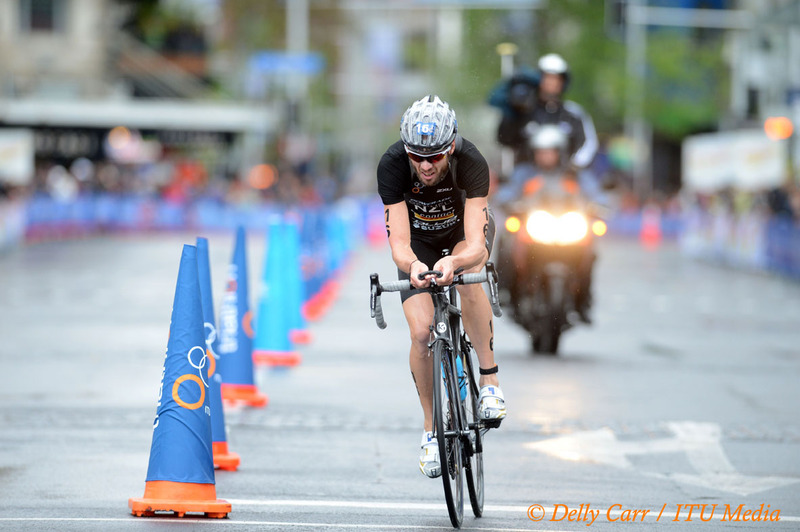 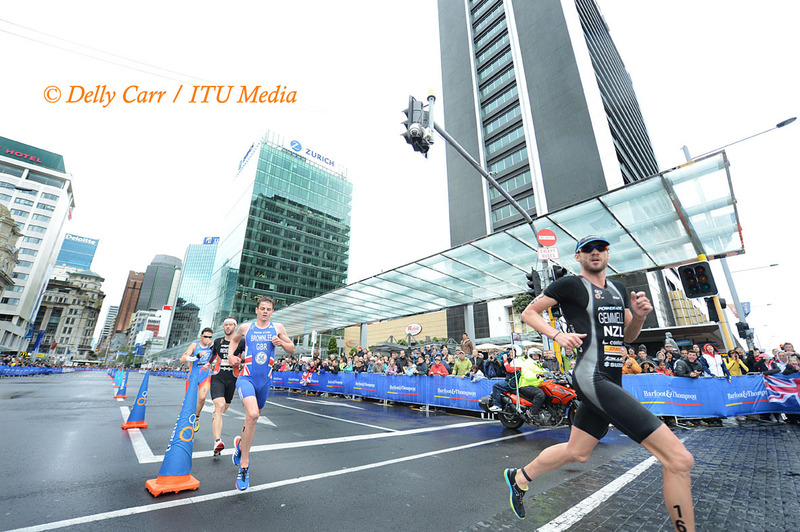 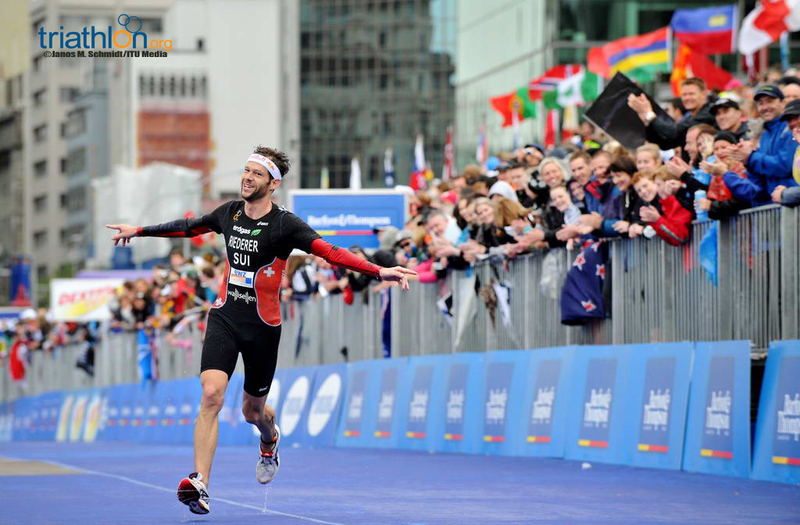 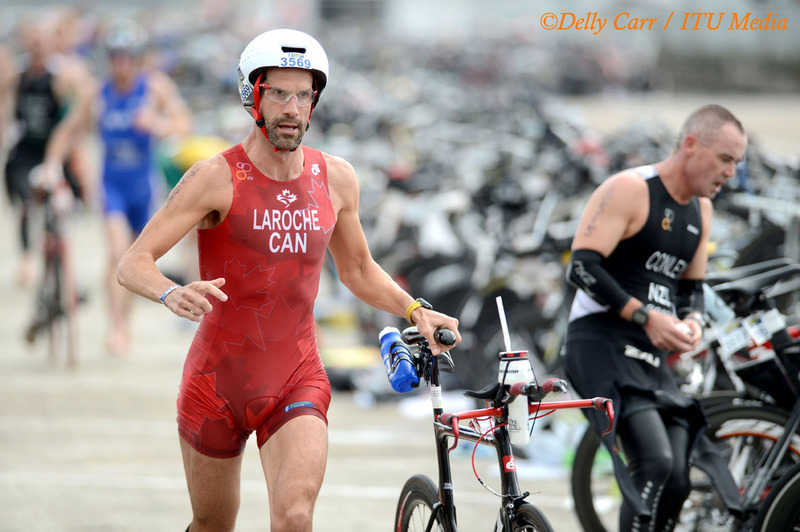 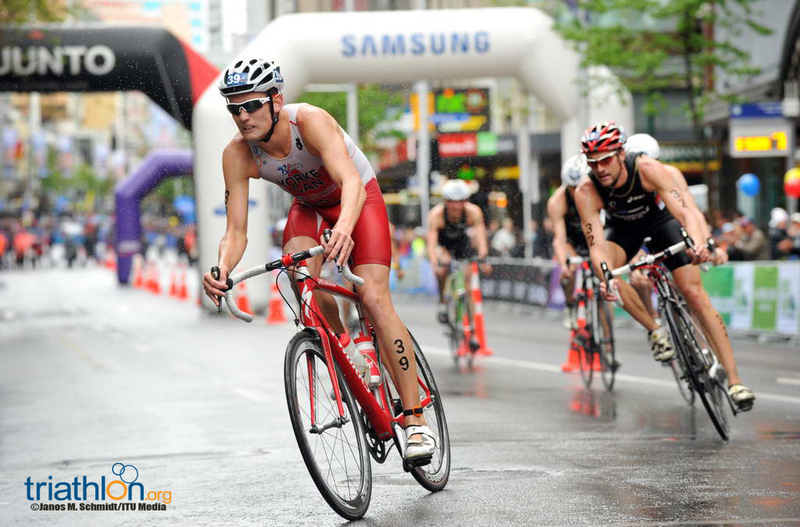 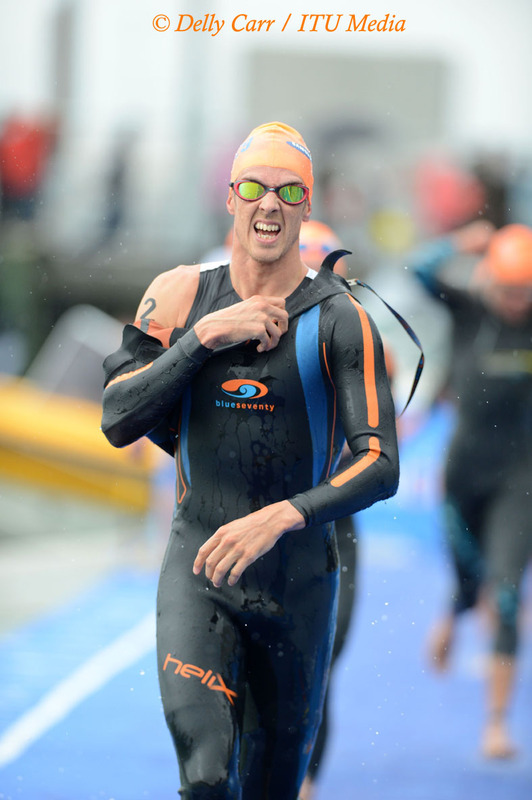 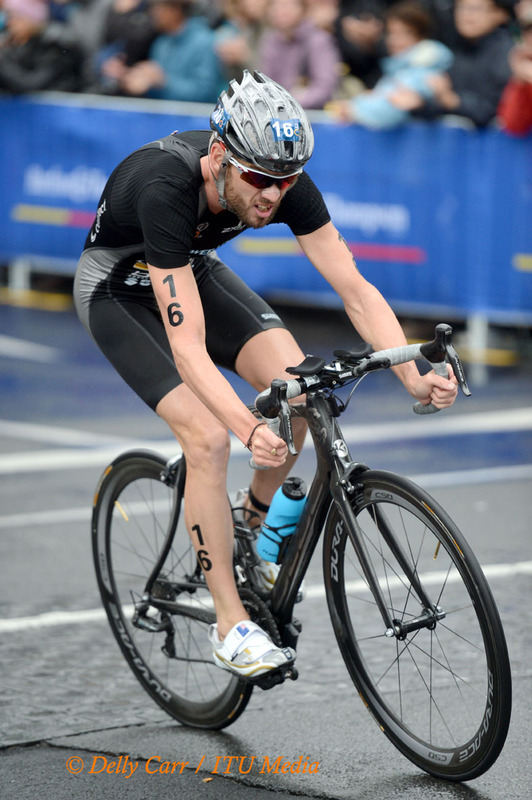 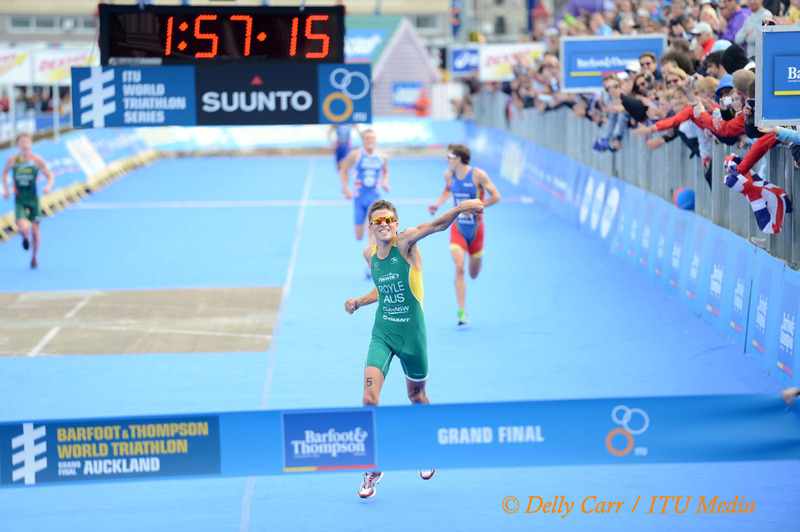 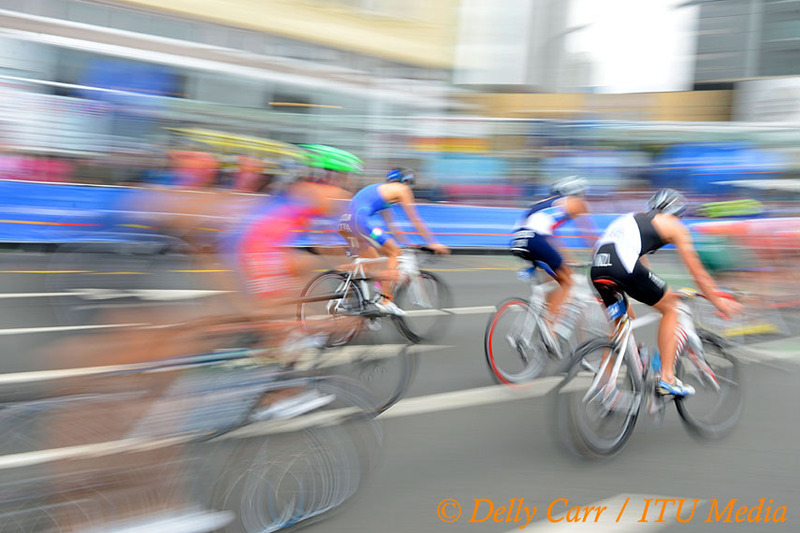 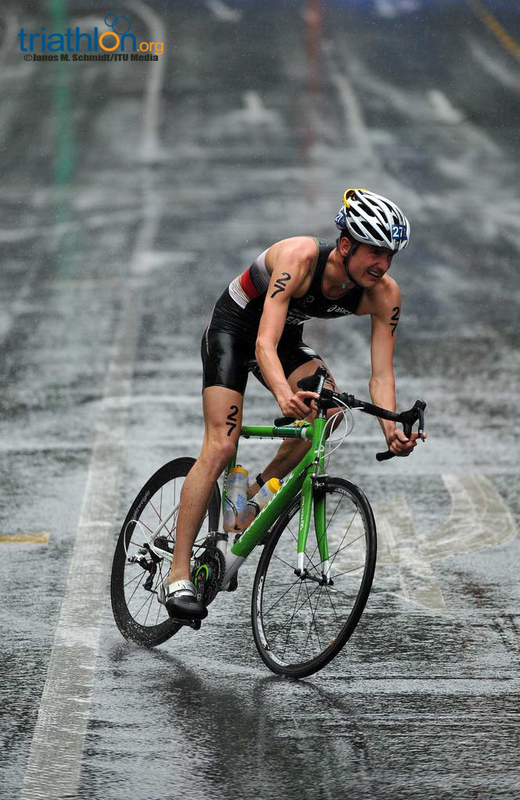 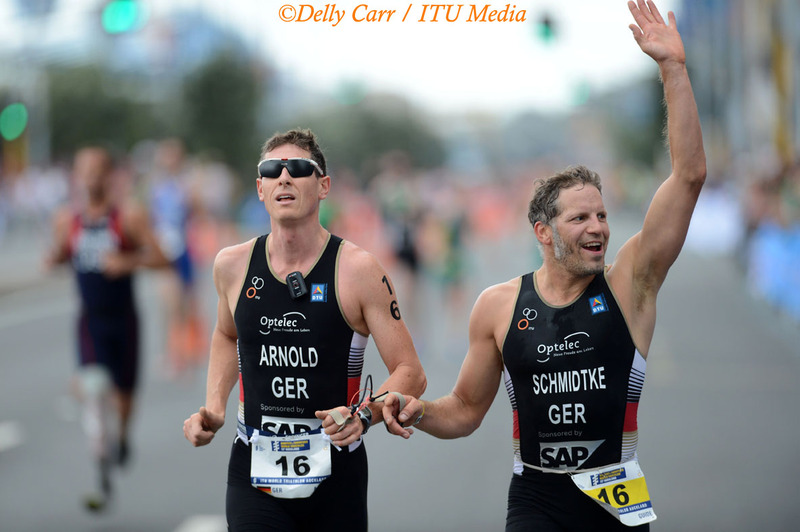 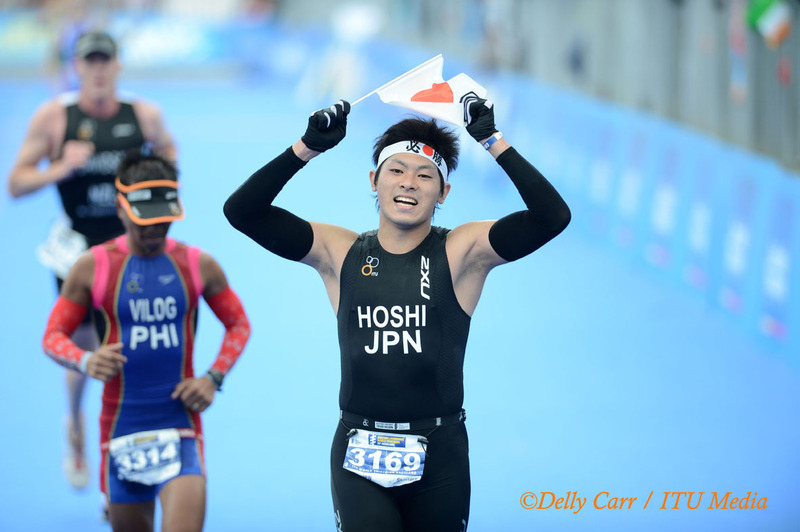 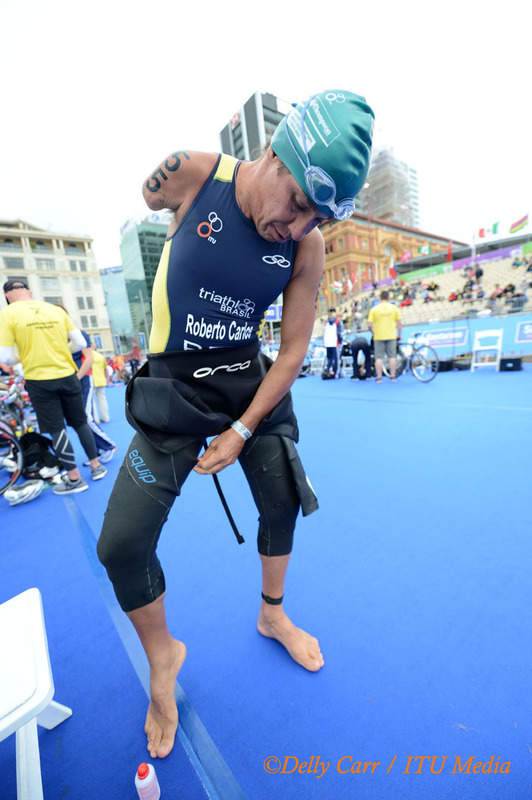 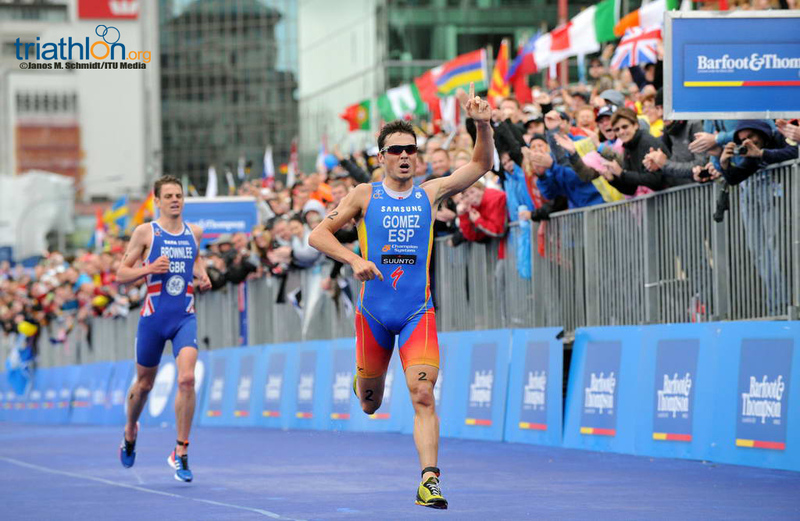 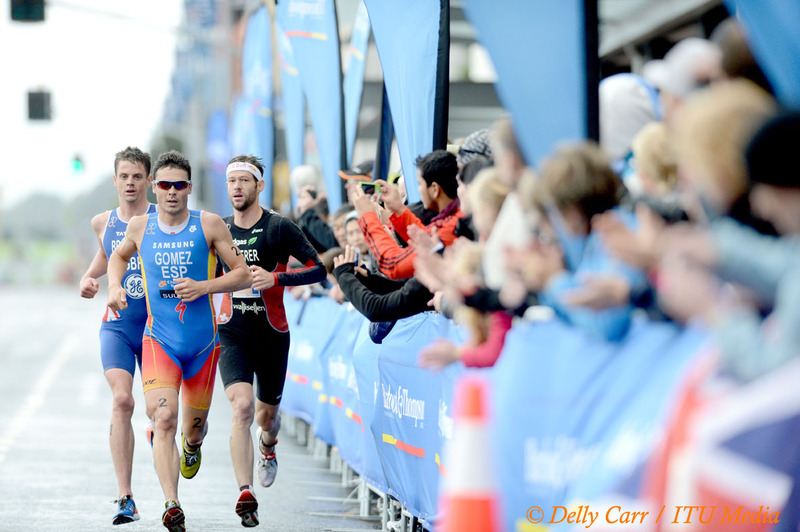 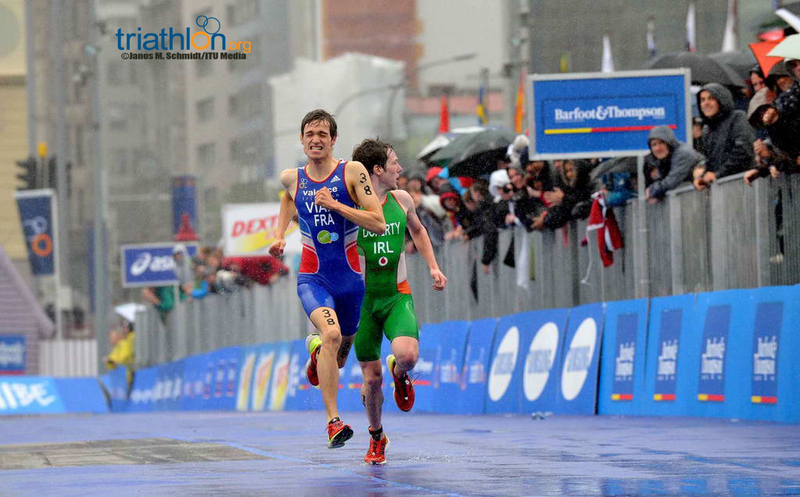 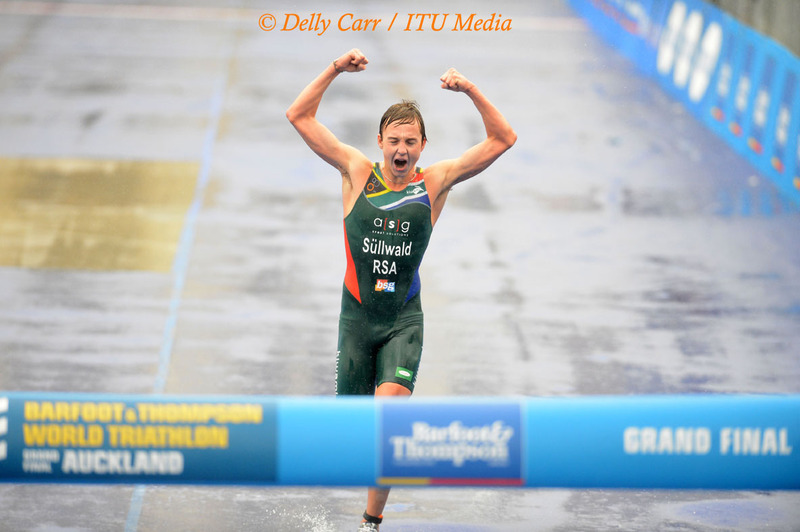 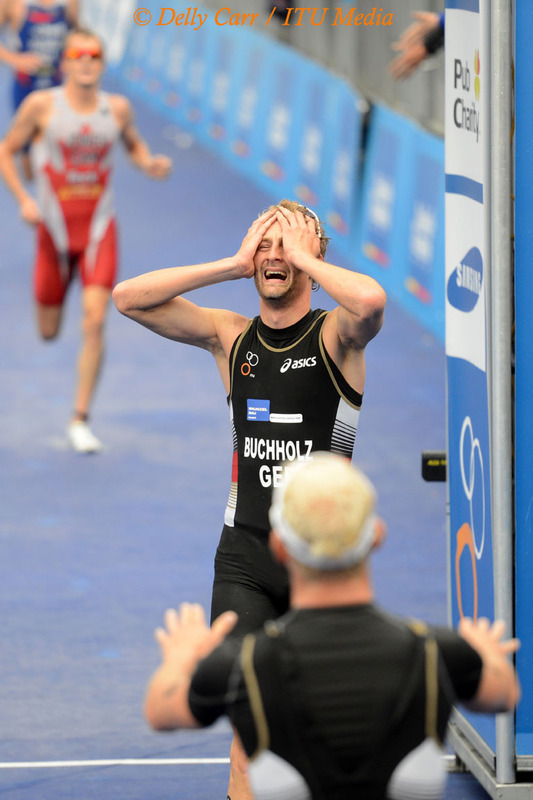 He recently shined in Stockholm when he just missed out on his first ITU World Triathlon Series podium with a fourth place finish. 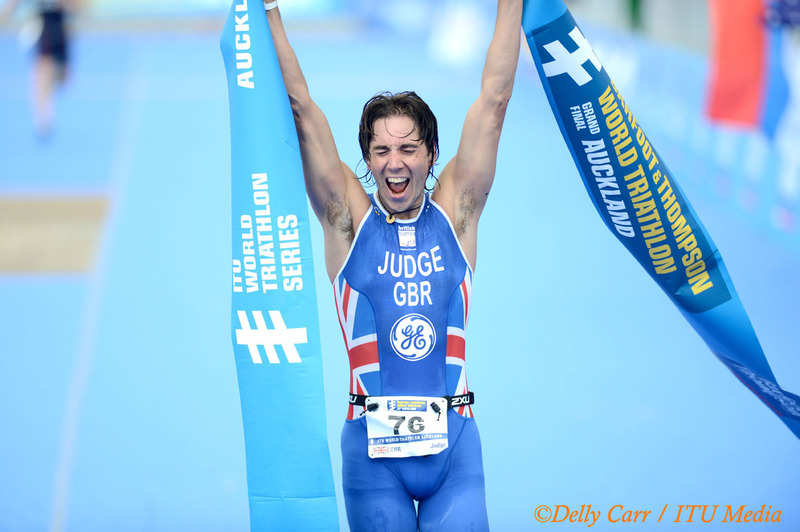 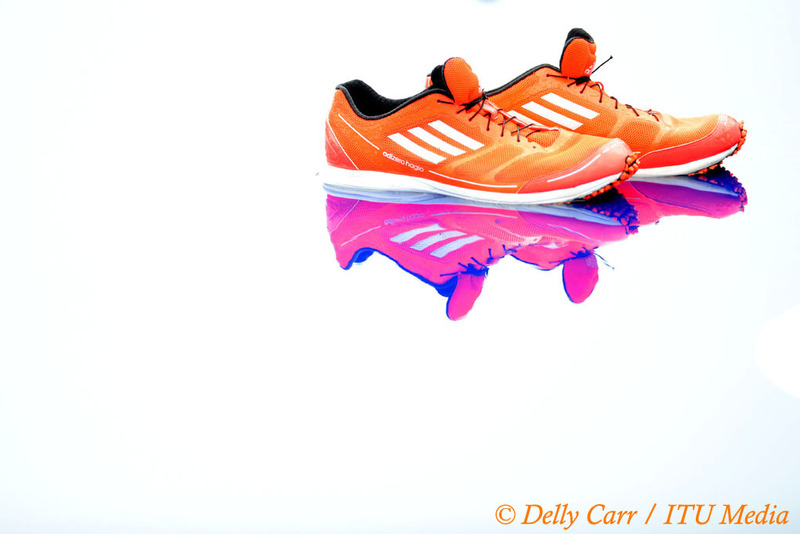 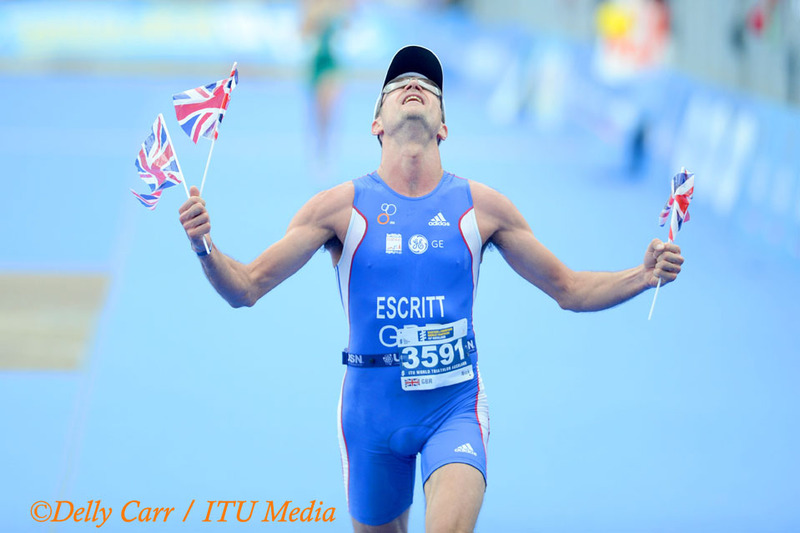 Despite his young age, Davide Uccellari (ITA) has been competing on the elite circuit for two years now, which included starting in the London Olympic Games as the youngest athletes in the men’s field. 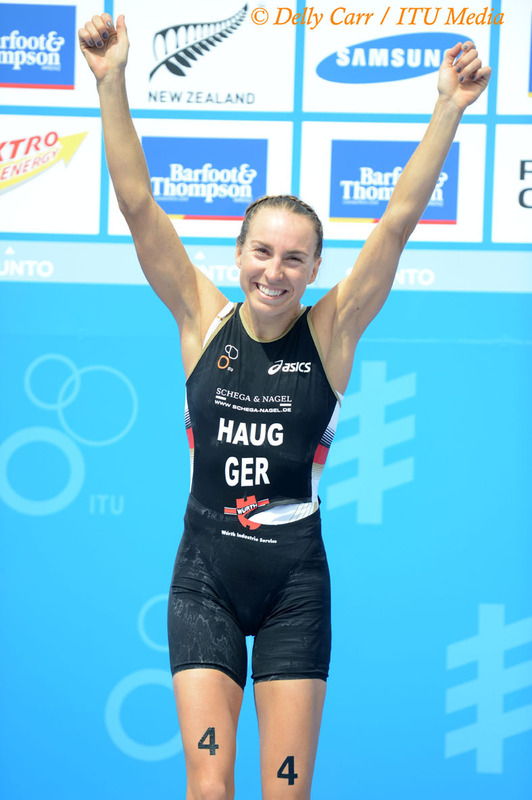 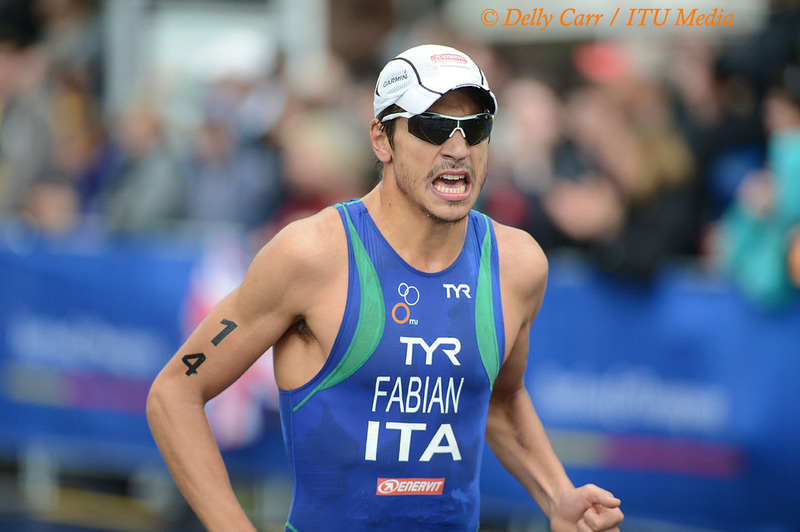 The Italian has been steadily climbing the charts and this year recorded silver at the Ishigaki World Cup and a top ten finish at the Huatulco World Cup. 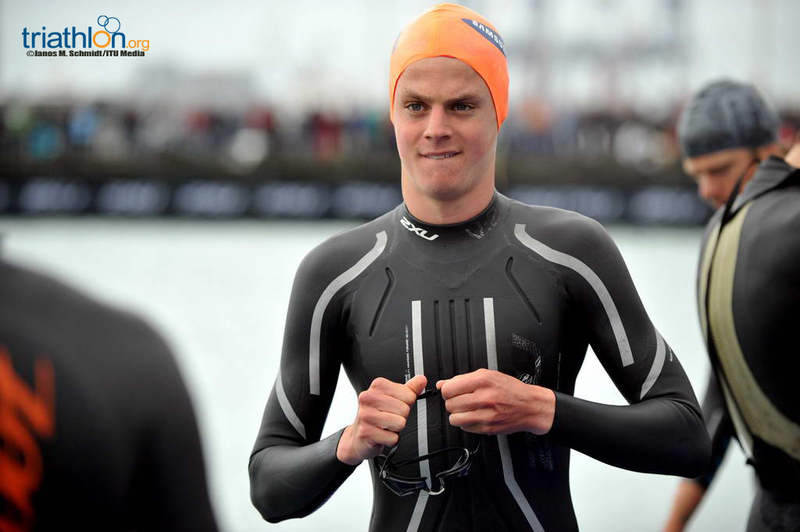 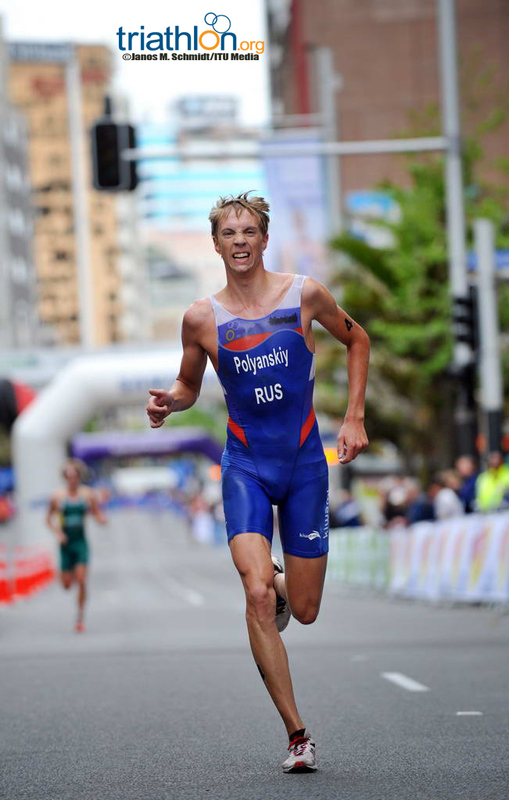 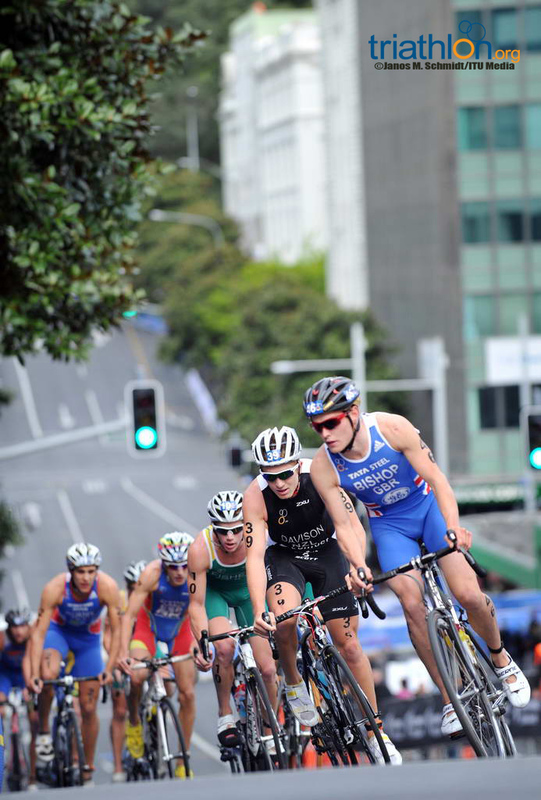 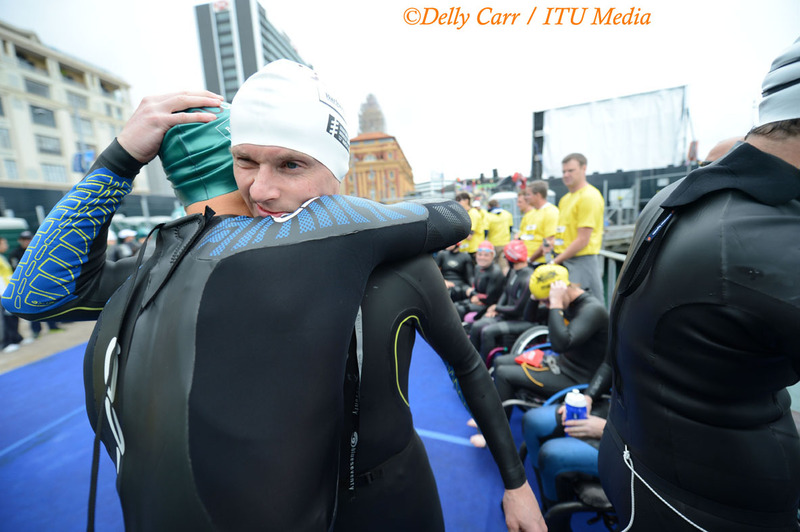 Up and comer Igor Polyanskiy (RUS) is one of the many sets of siblings competing in Auckland. 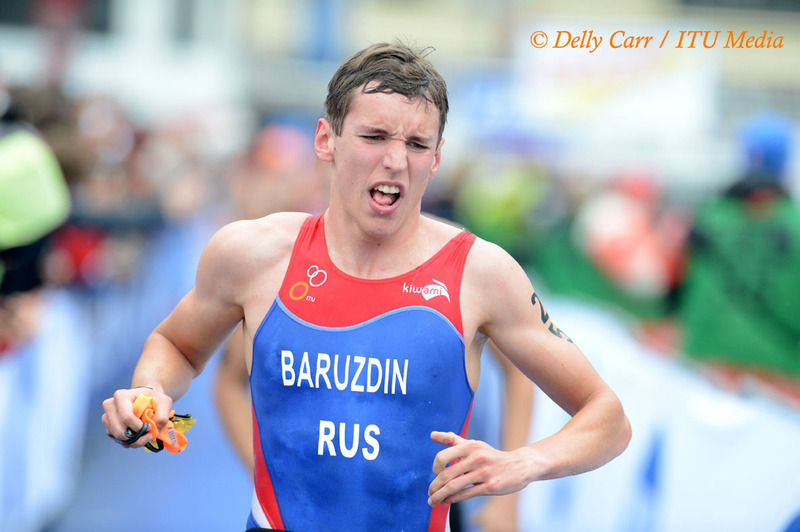 His older brother Dmitry will line up with the elites, while Igor will toe the start in the Under23 race. 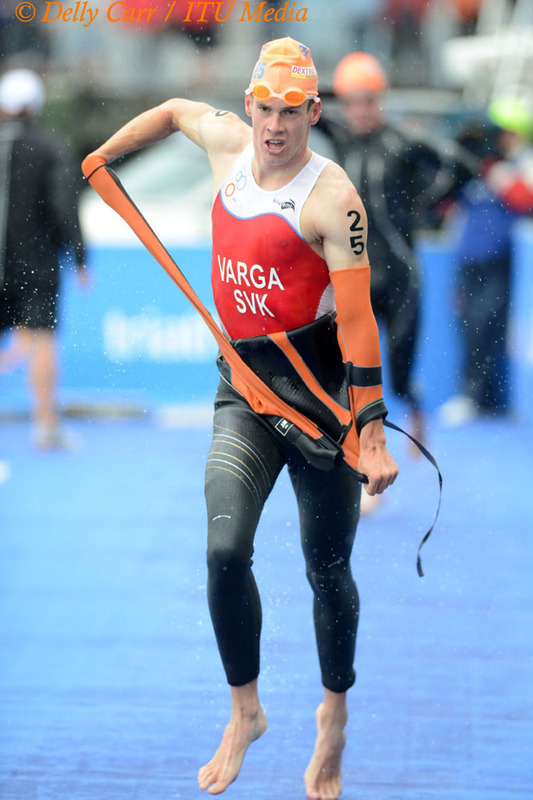 Igor is coming off his first World Cup podium finish in Tongyeong when he stood alongside his older brother. 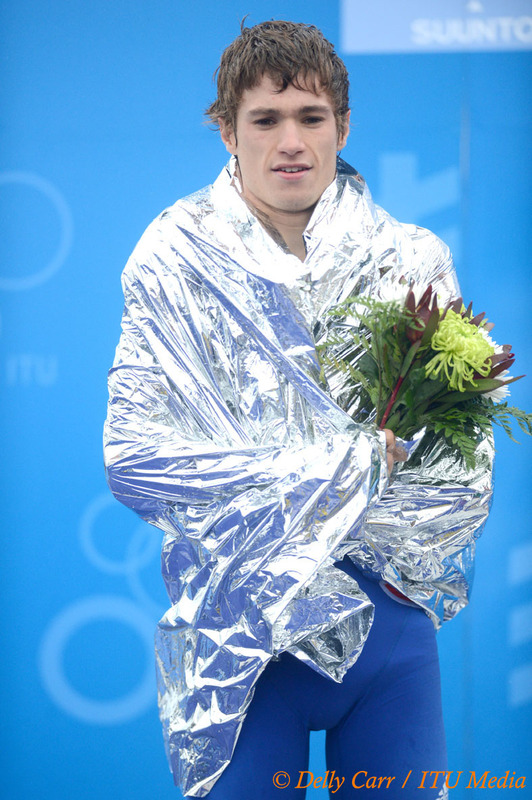 After finishing sixth last year, Igor will be looking to move up to medal position in this final. 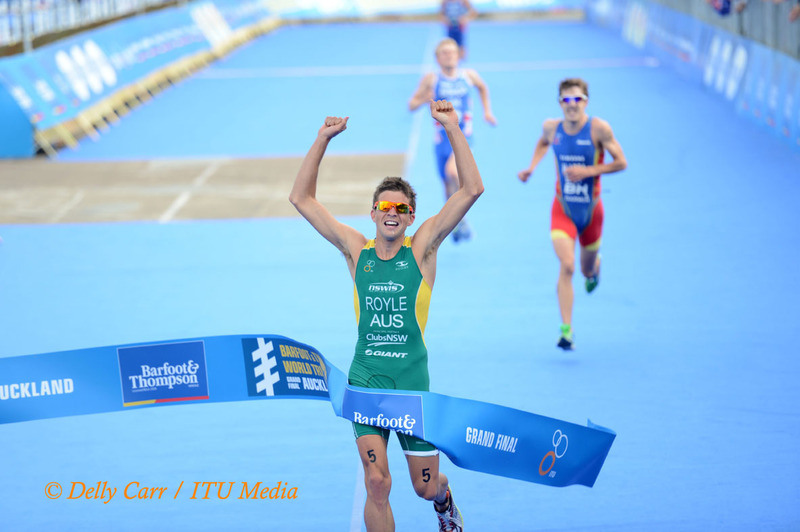 Like many of the other Under23 competitors, Aaron Royle (AUS) has been using the season to gain racing experience as an elite. 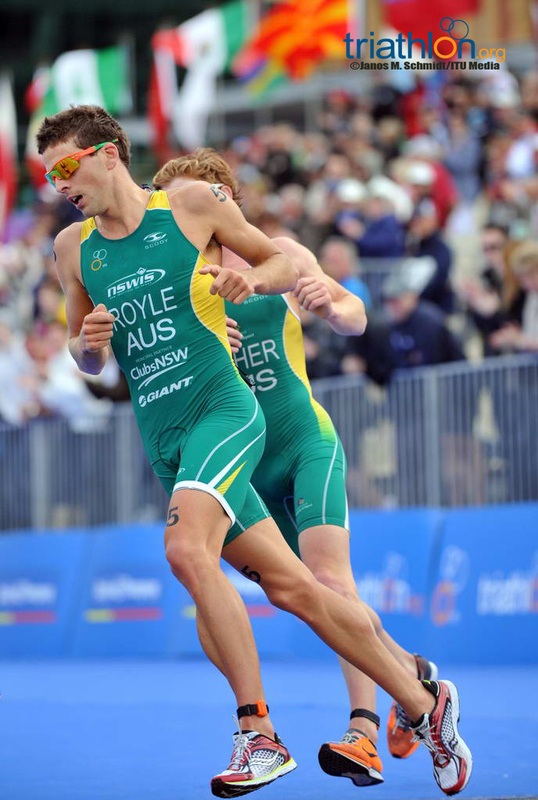 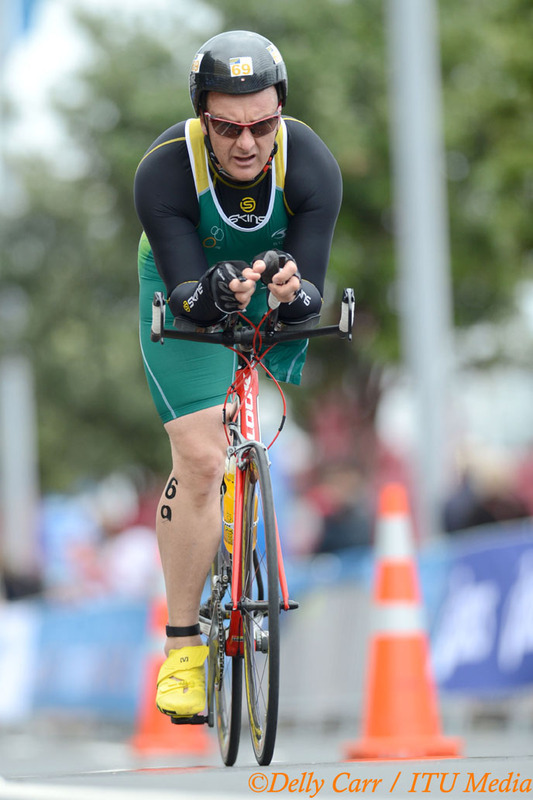 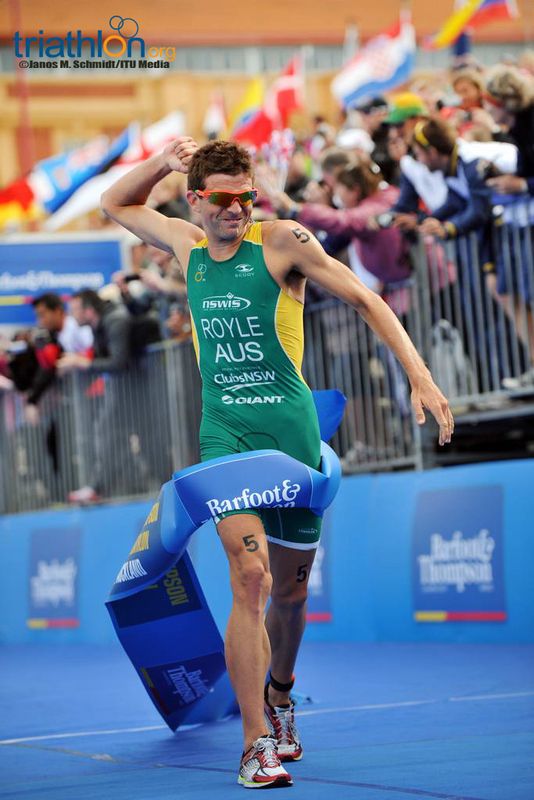 Royle started the season off on home soil with a 47th place finish and has consistently improved his position in every single WTS race. 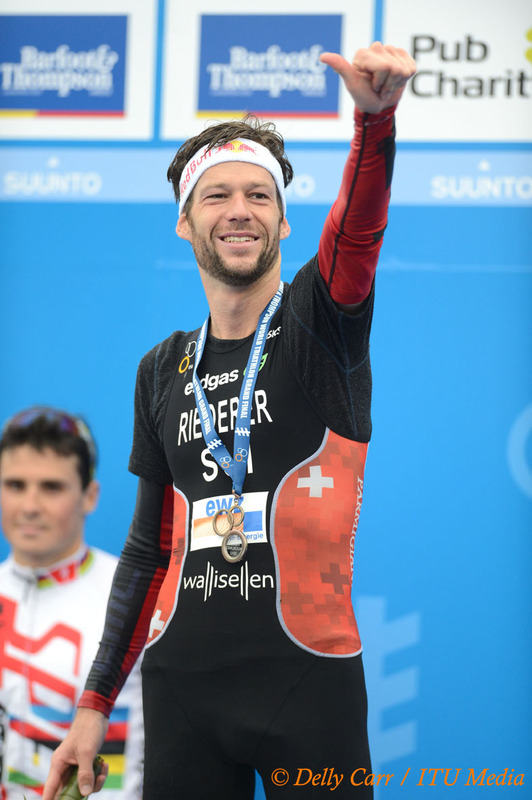 He finished off with his highest to date in Stockholm for 11th place. 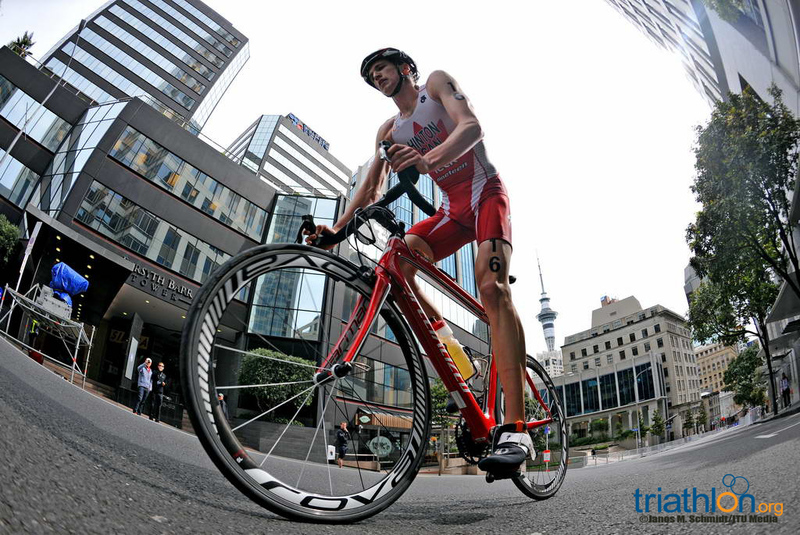 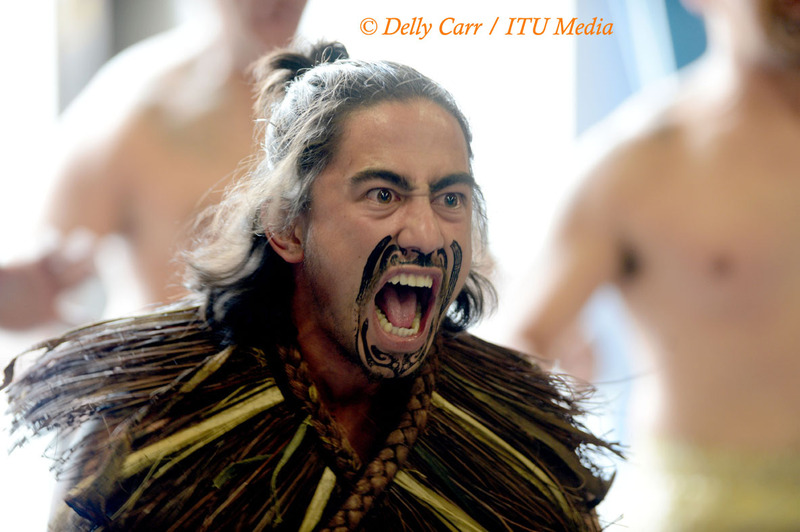 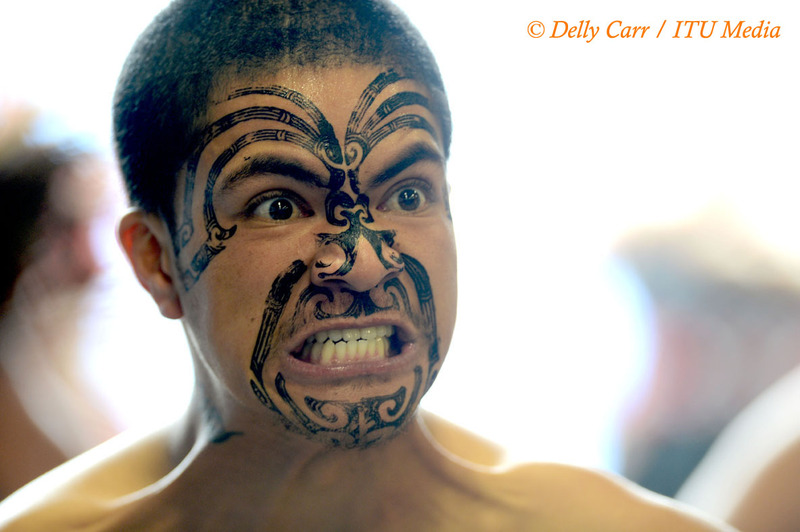 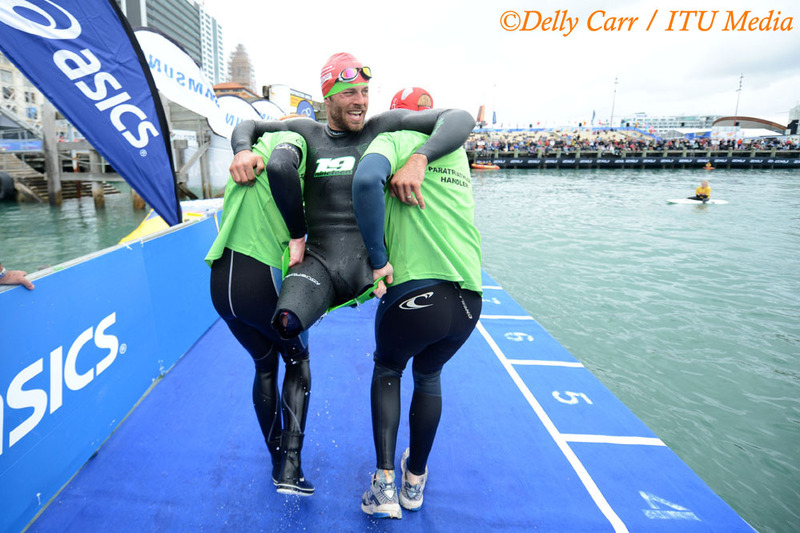 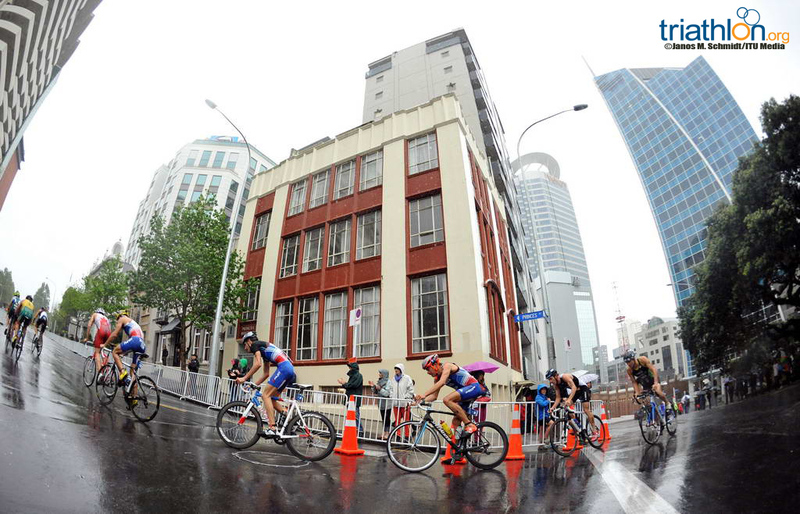 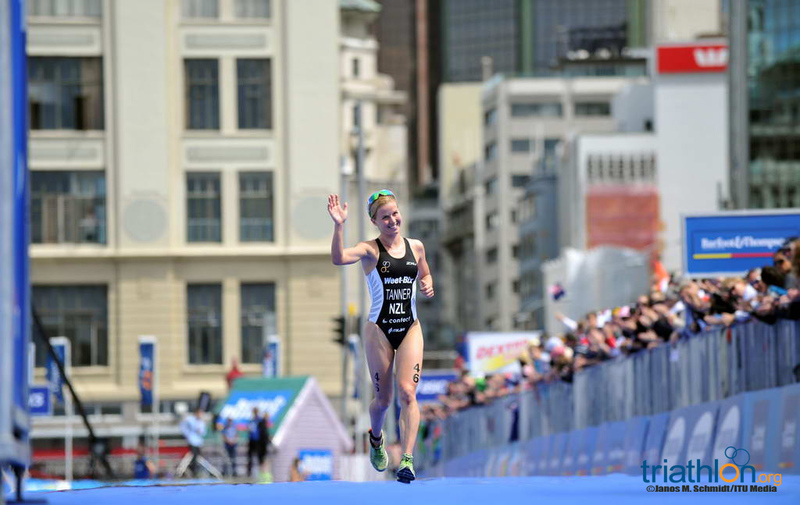 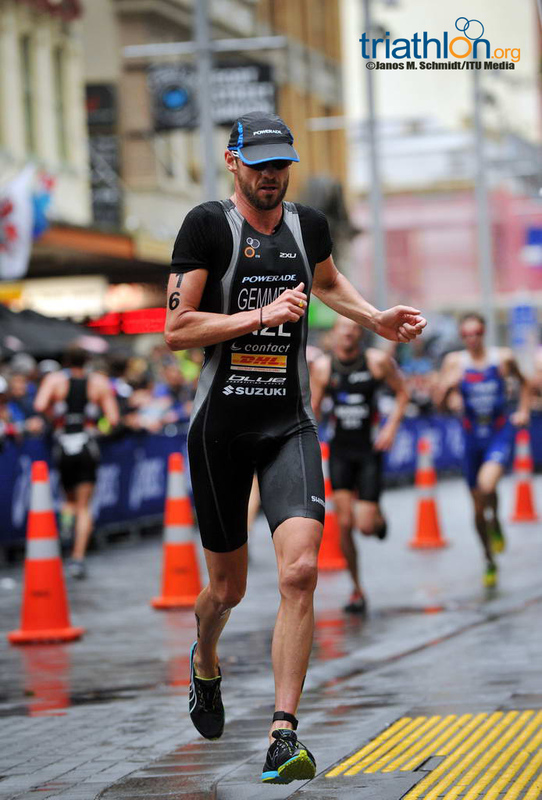 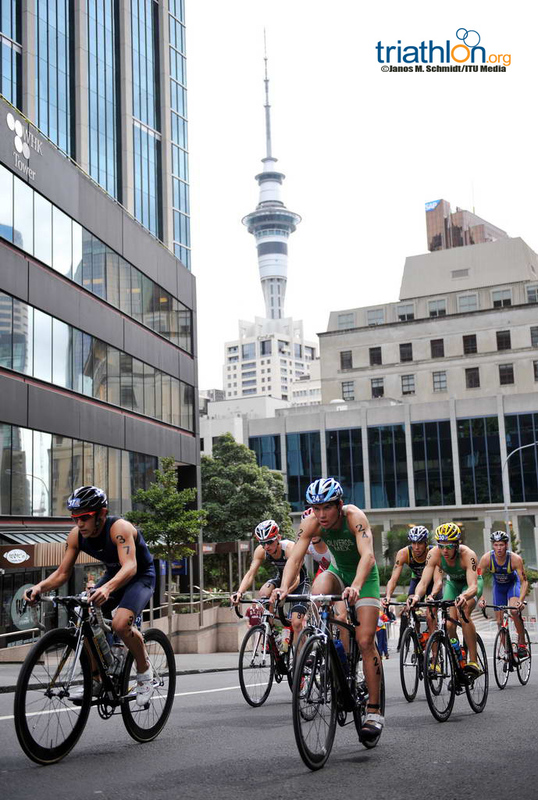 If the trend is telling, Royle will be ready to rip in Auckland. 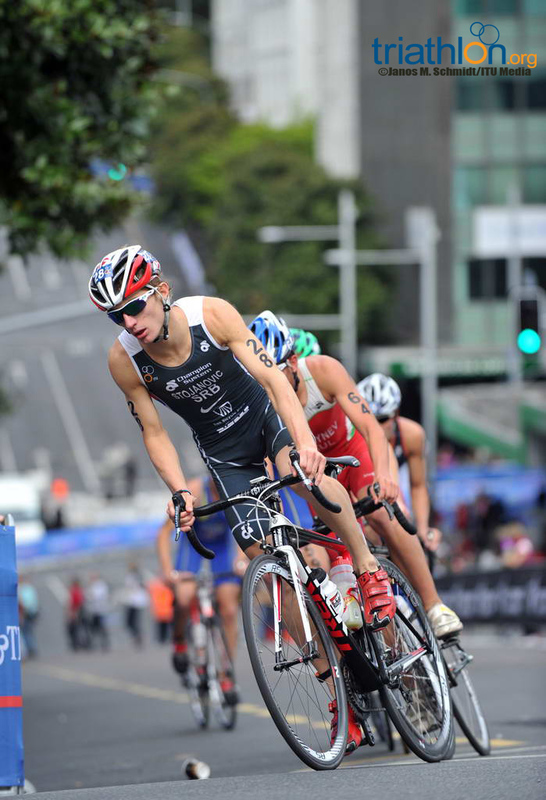 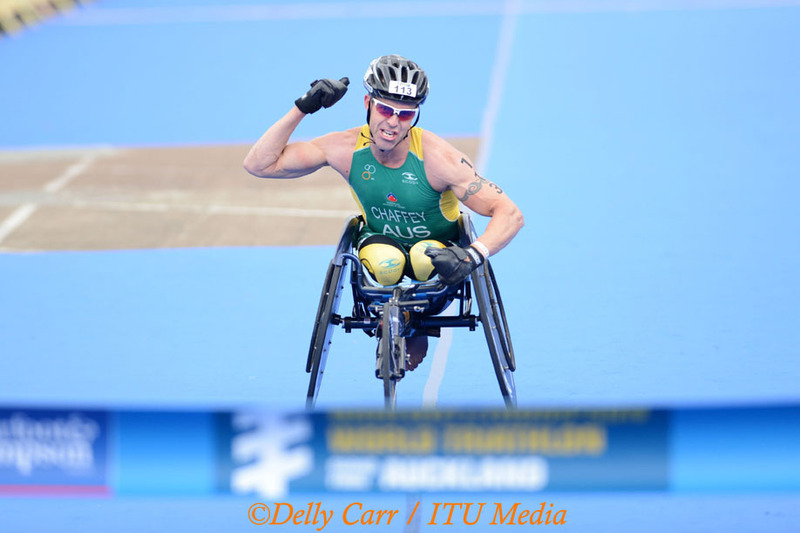 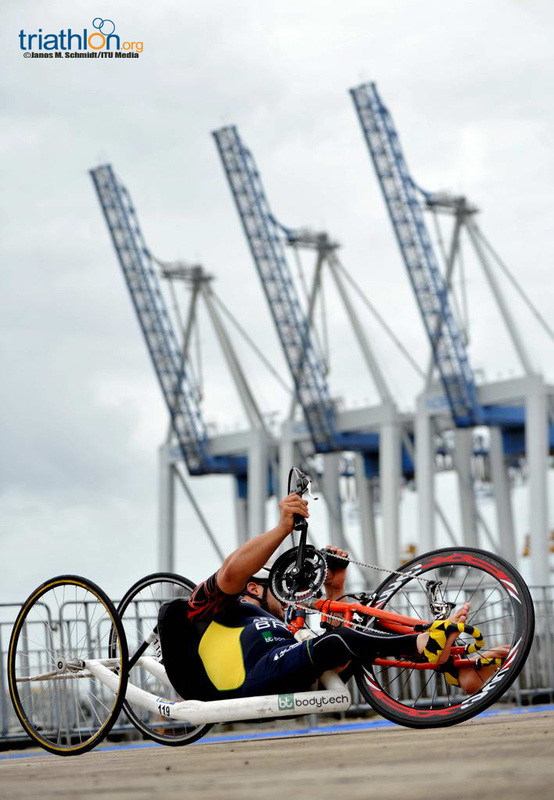 He leads a strong Aussie team in the field that also includes Ryan	Fisher, who made the podium in last year’s Auckland World Cup, Ryan Bailie and Joshua Amberger. 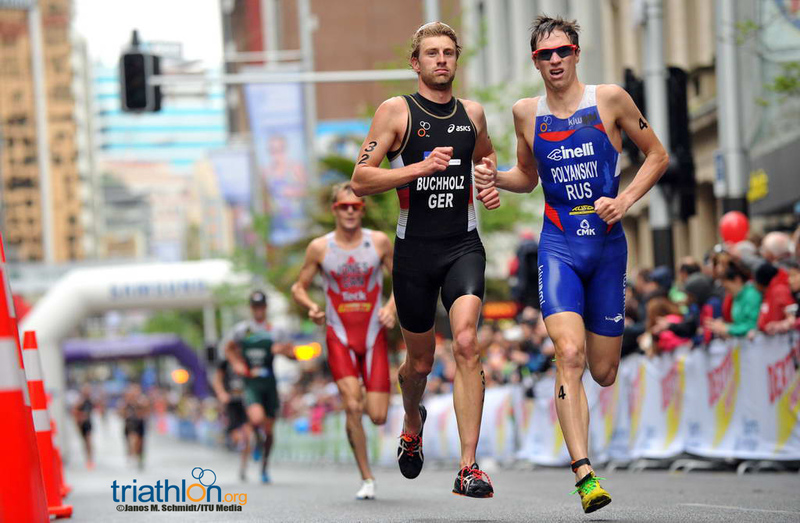 Franz Loeschke (GER) is not only one of the budding Under23 athletes on the rise, he also has an U23 missed podium to avenge. 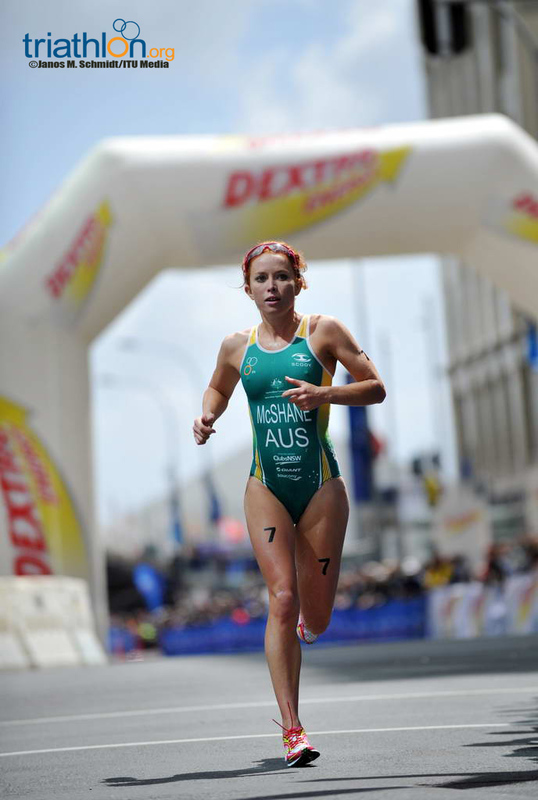 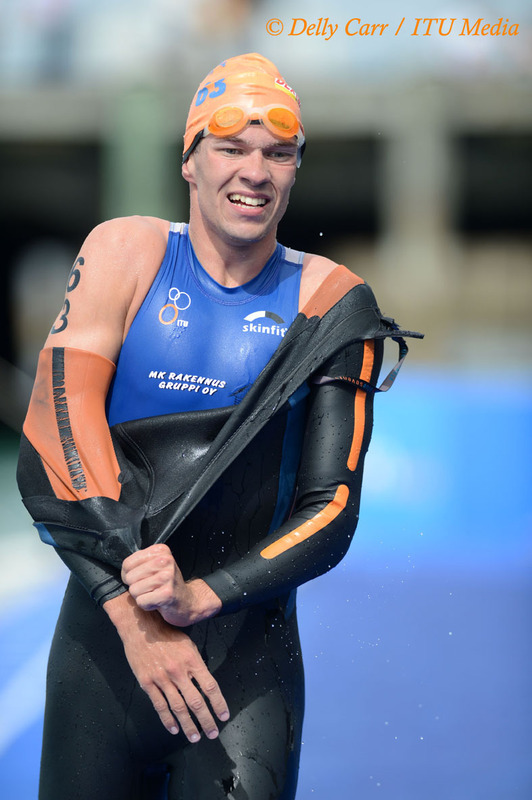 Last year in Beijing, Loeschke finished fifth in this division. 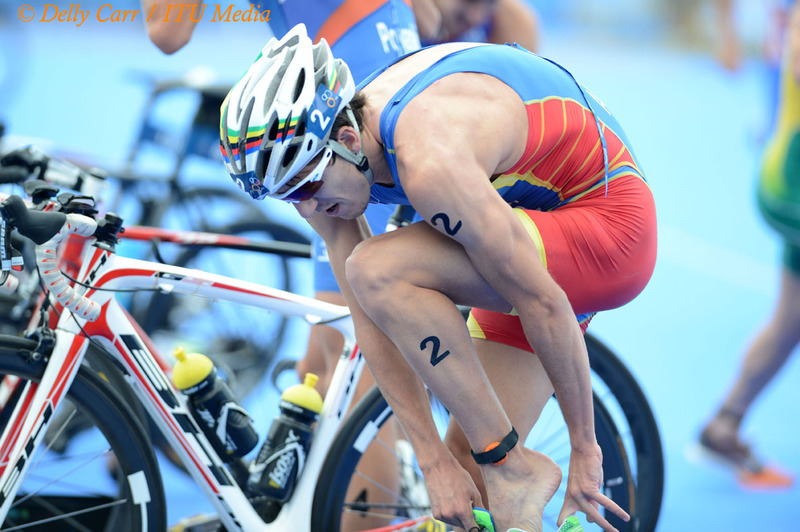 But this year he has refined his racing and posted top 20 finishes in Madrid, Stockholm, and Yokohama. 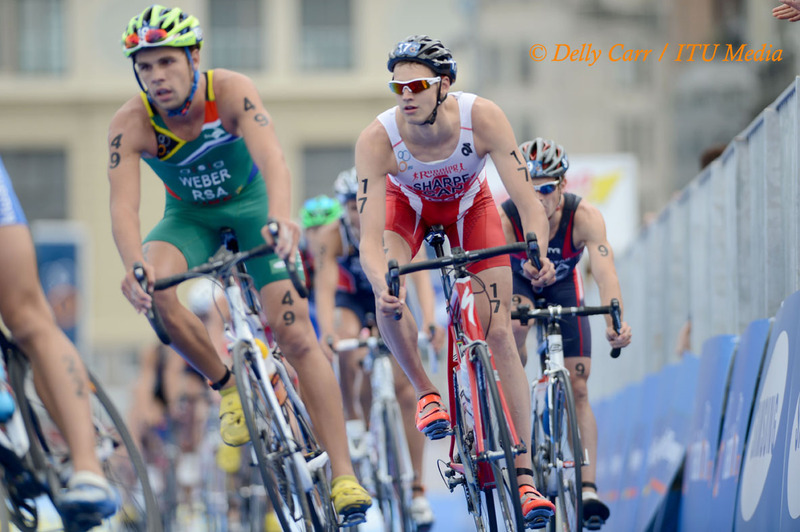 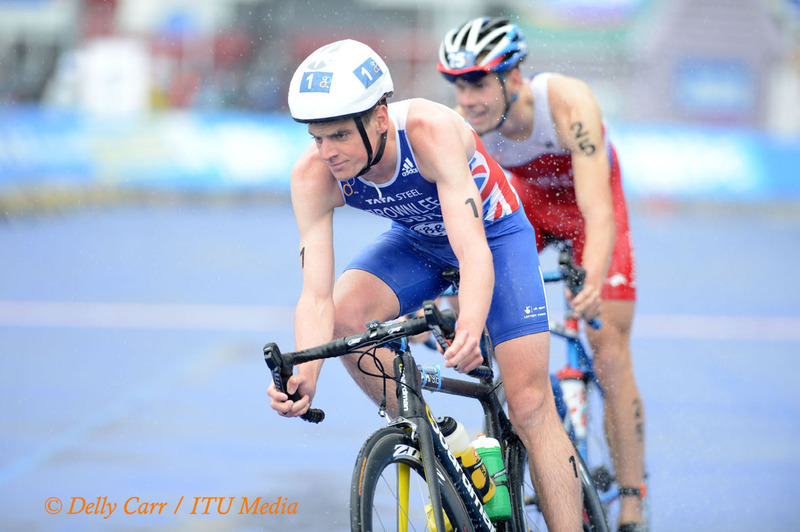 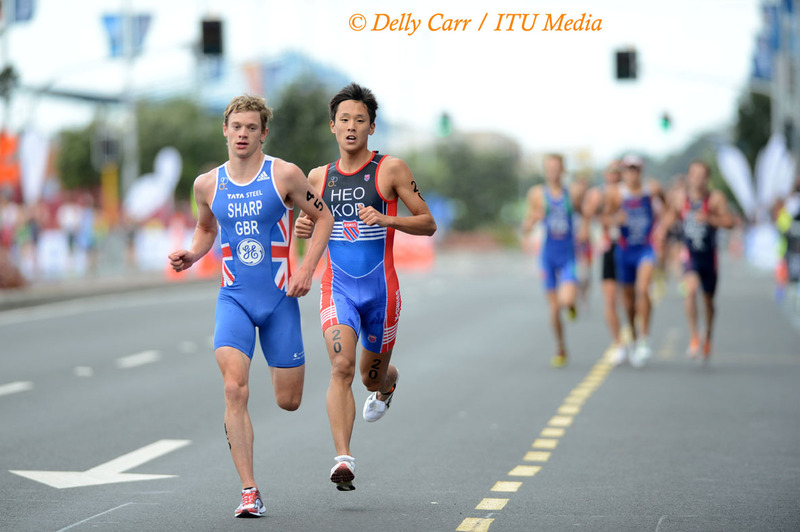 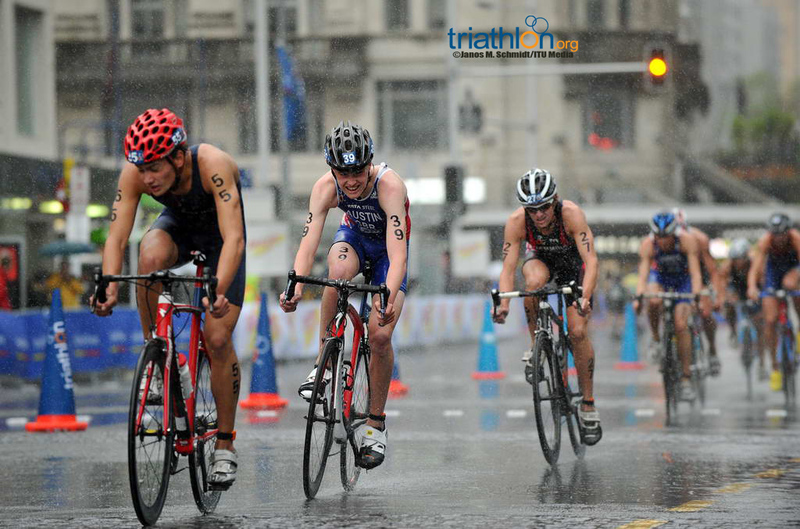 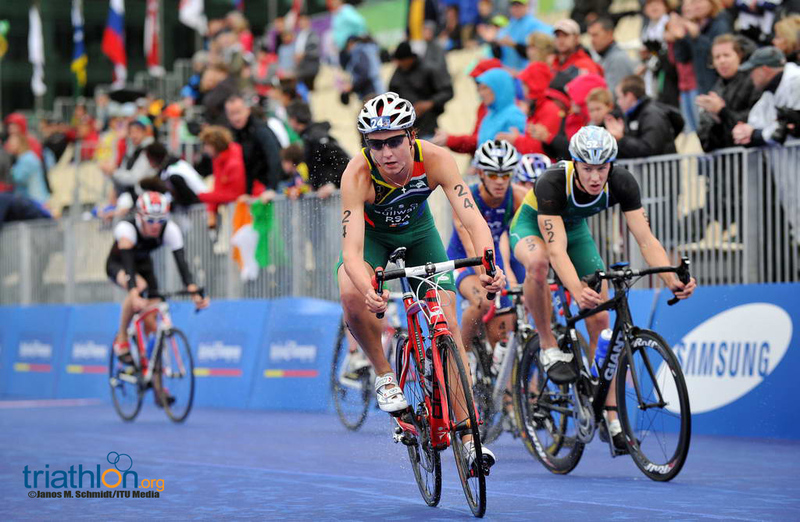 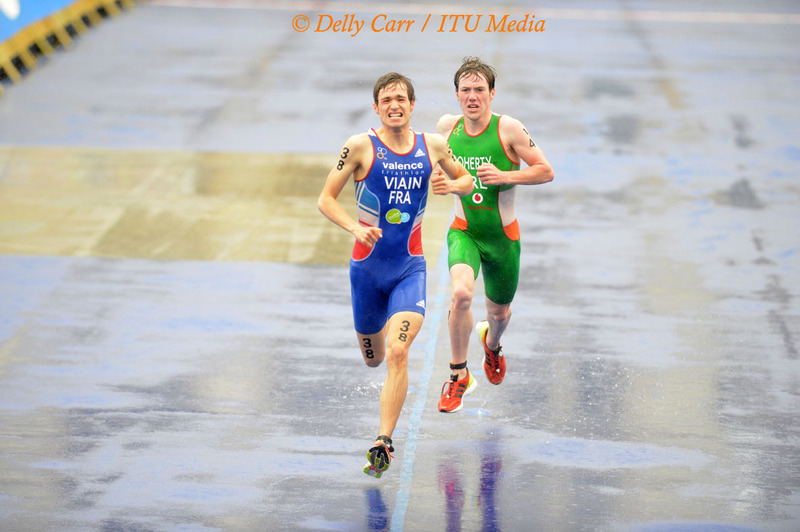 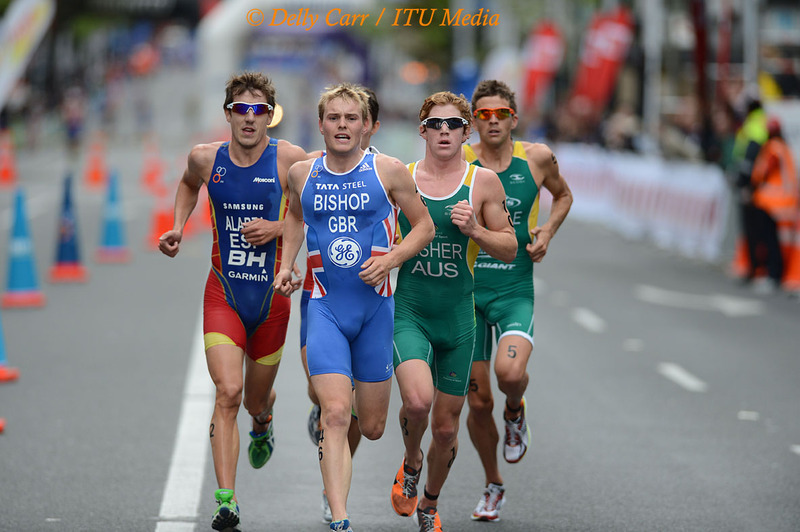 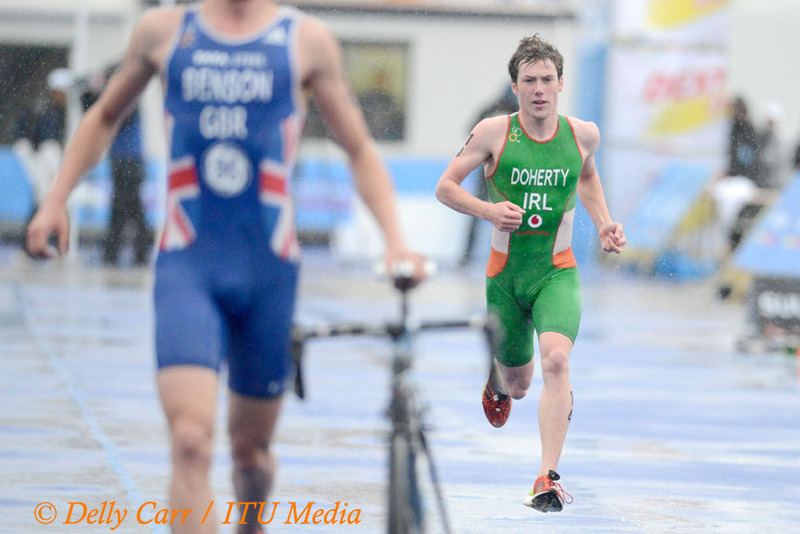 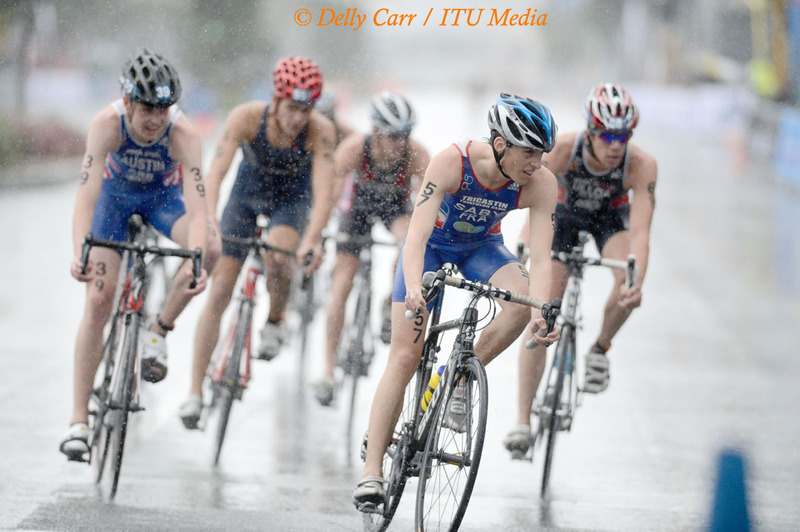 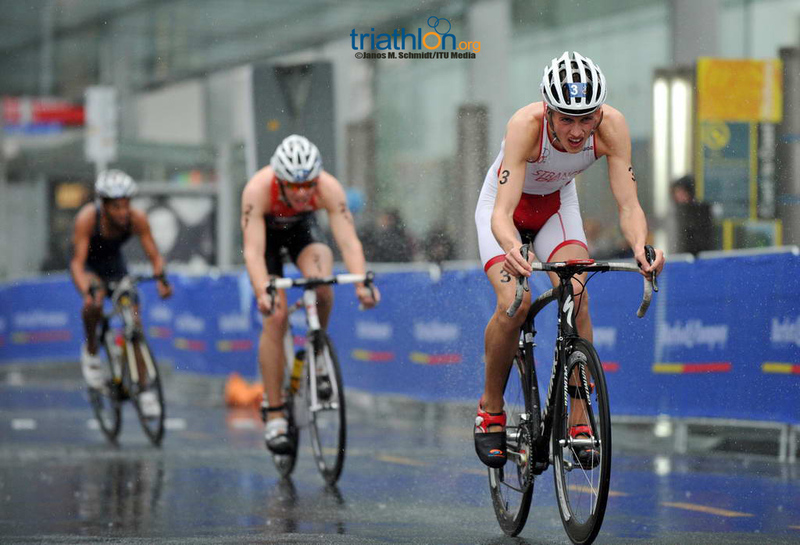 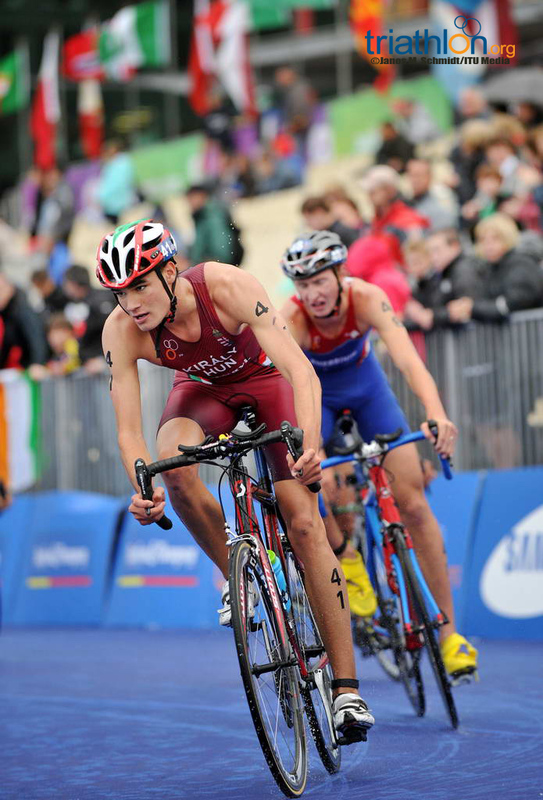 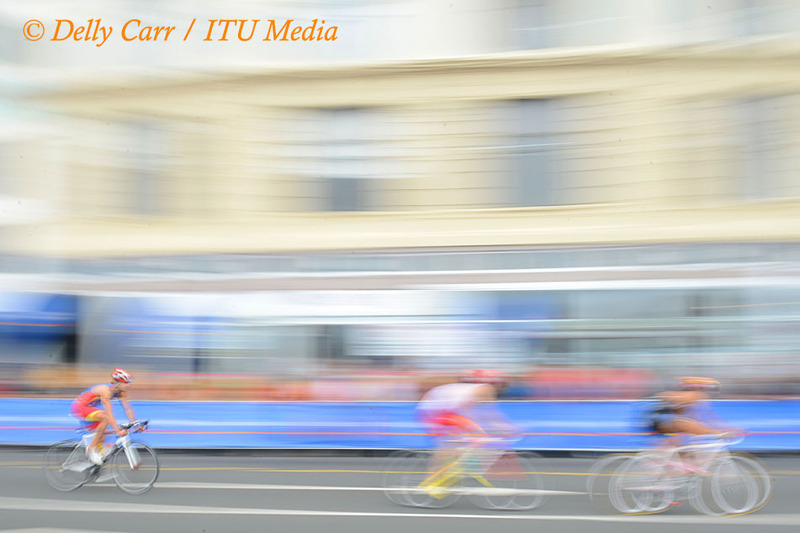 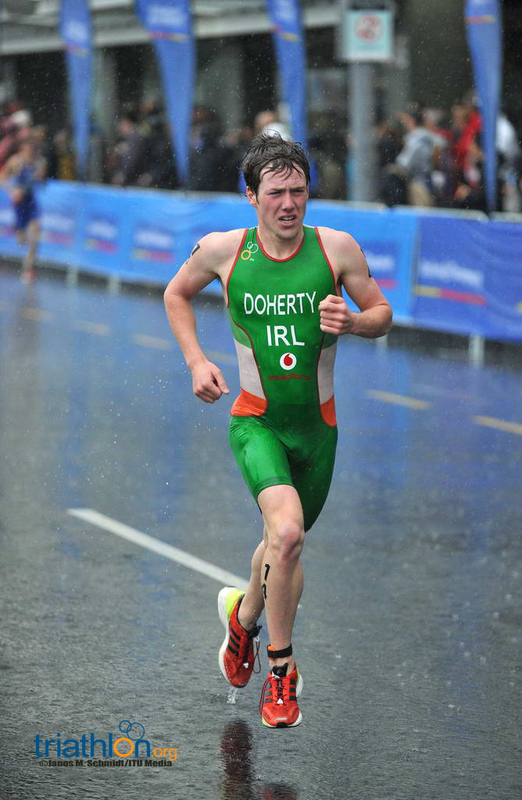 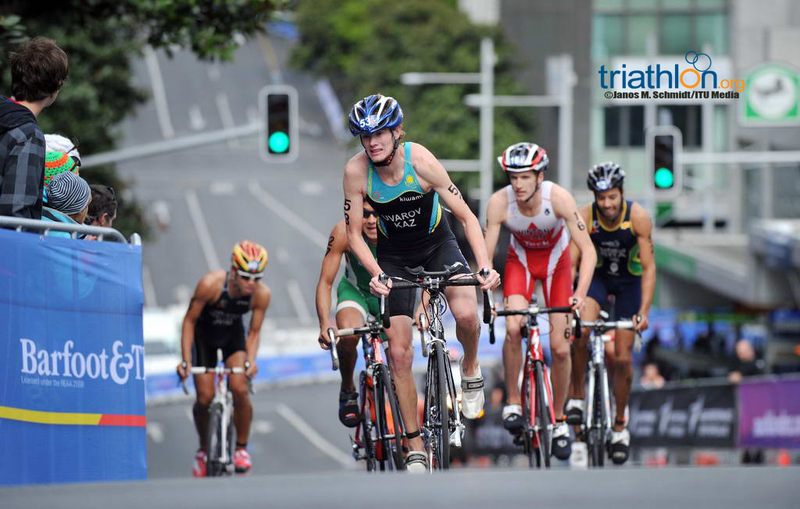 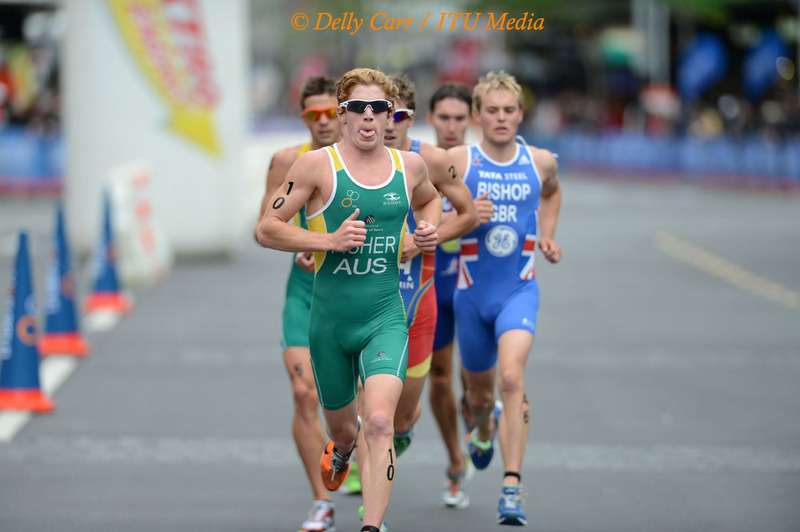 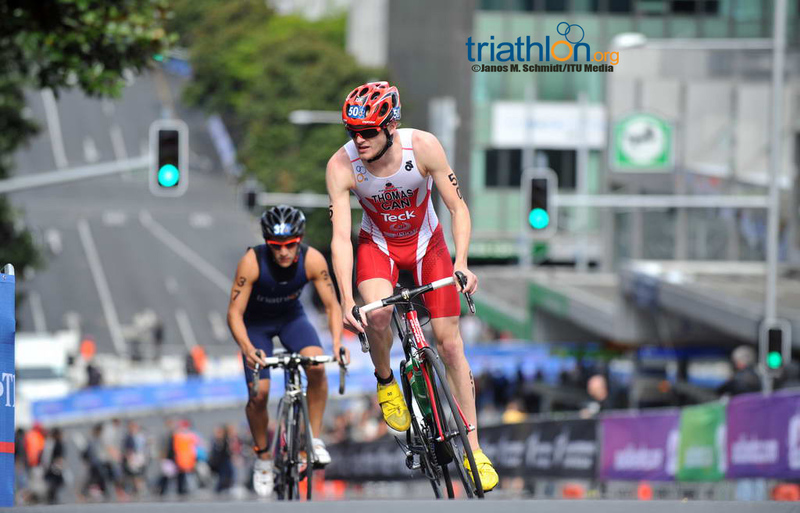 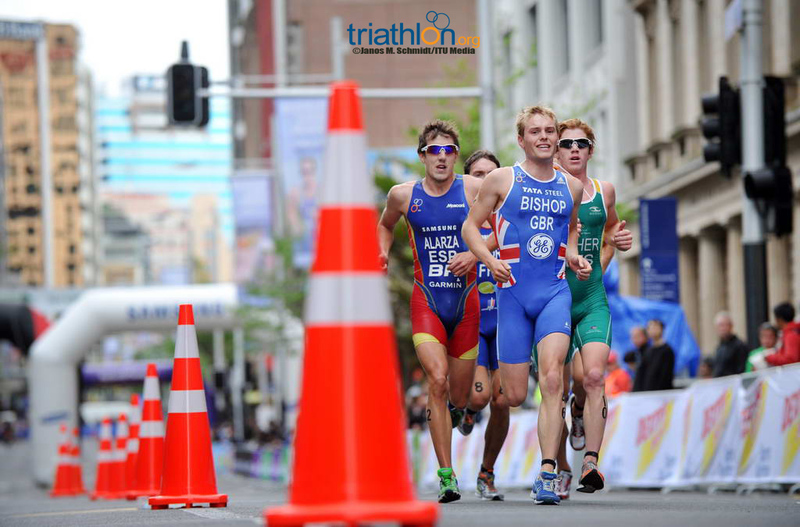 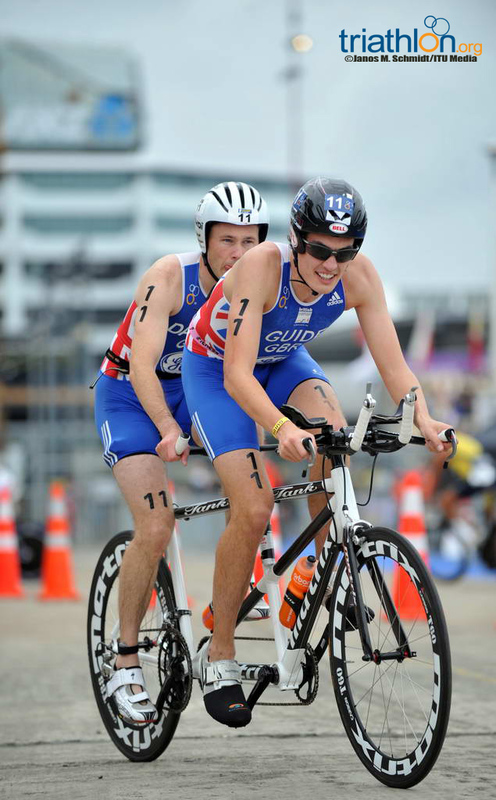 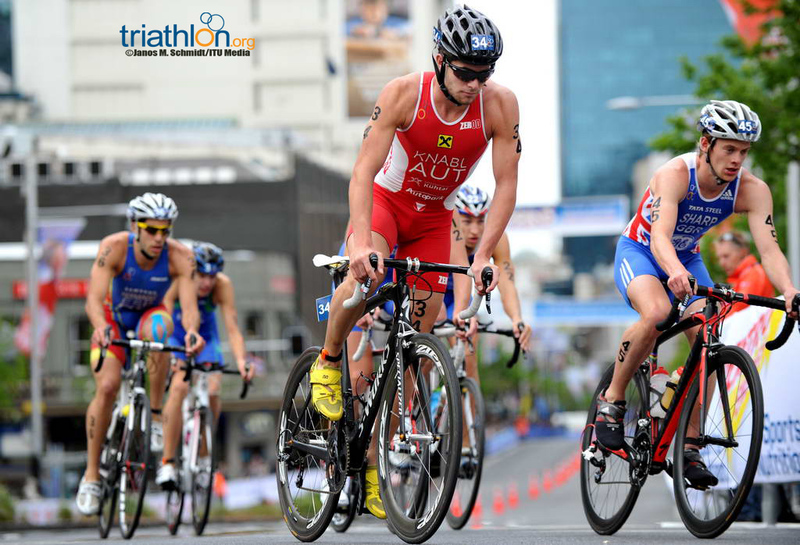 Though far down on the start list after having appeared in just four ITU events this season, Matthew Sharp (GBR) returns as the defending champion in the U23 category. 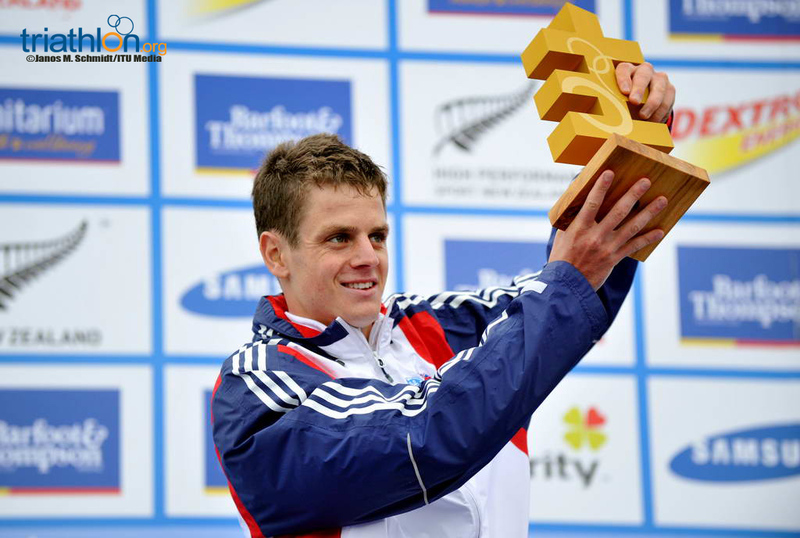 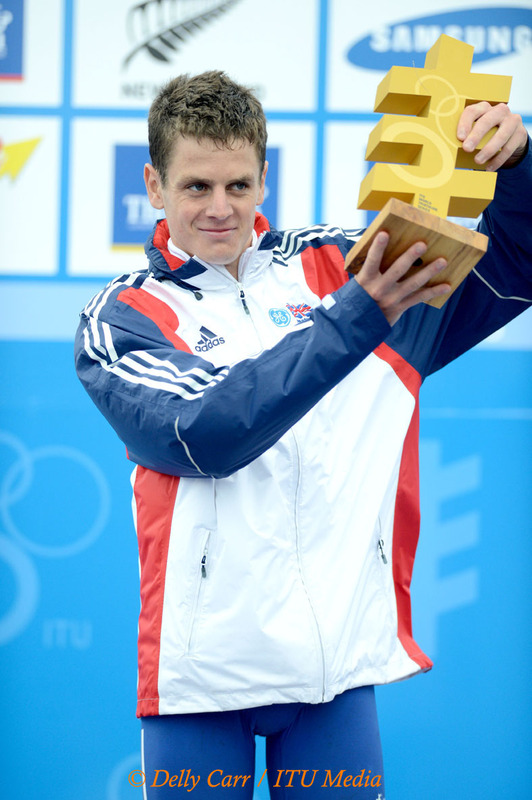 Similarly, teammate Thomas Bishop (GBR), who collected bronze in last year’s championships, has also raced just four events since his World Championship medal. 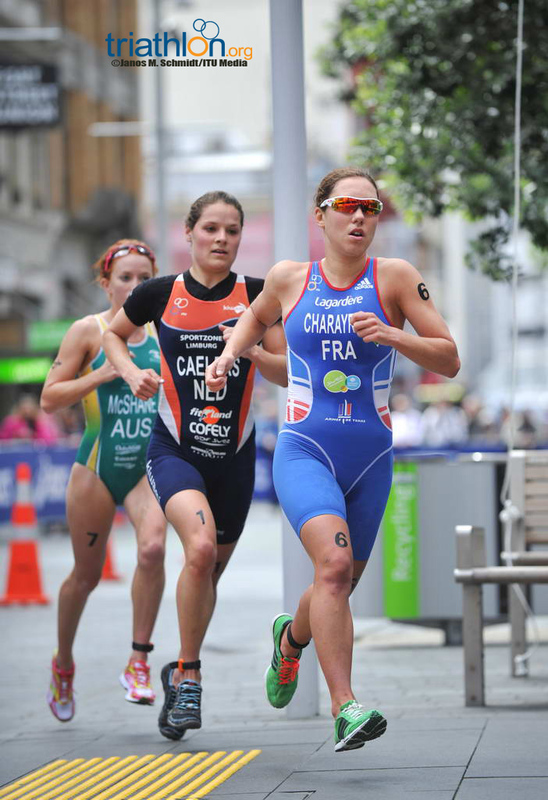 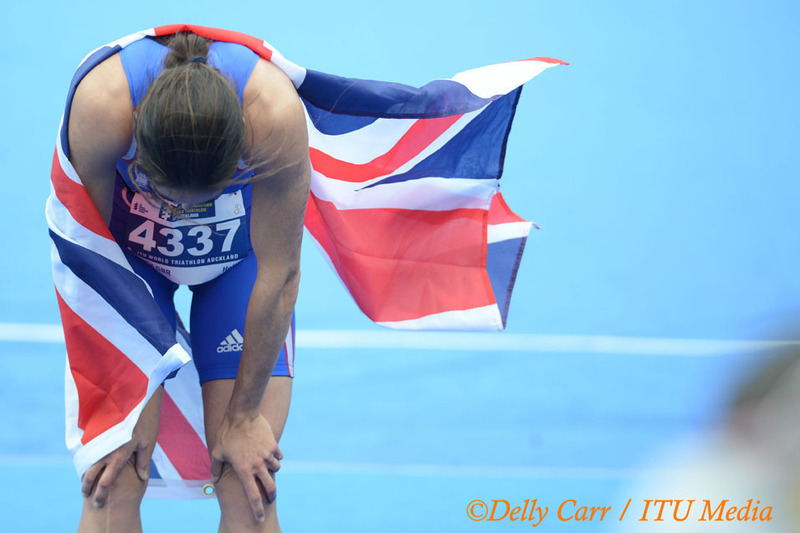 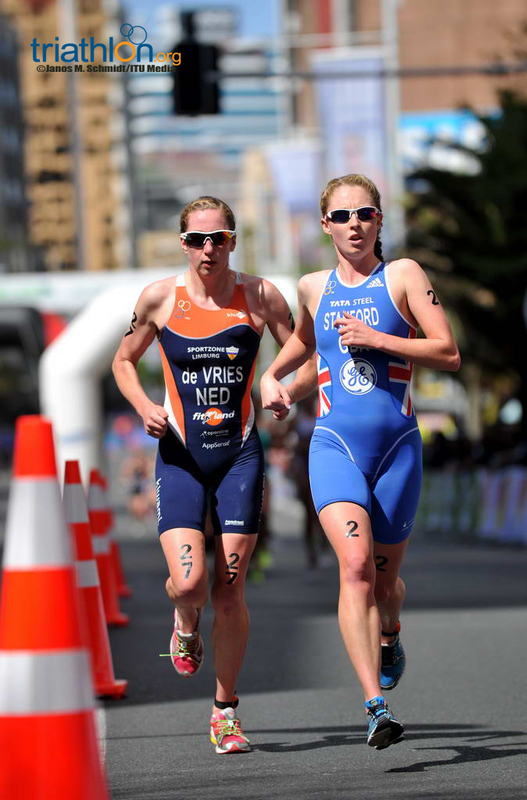 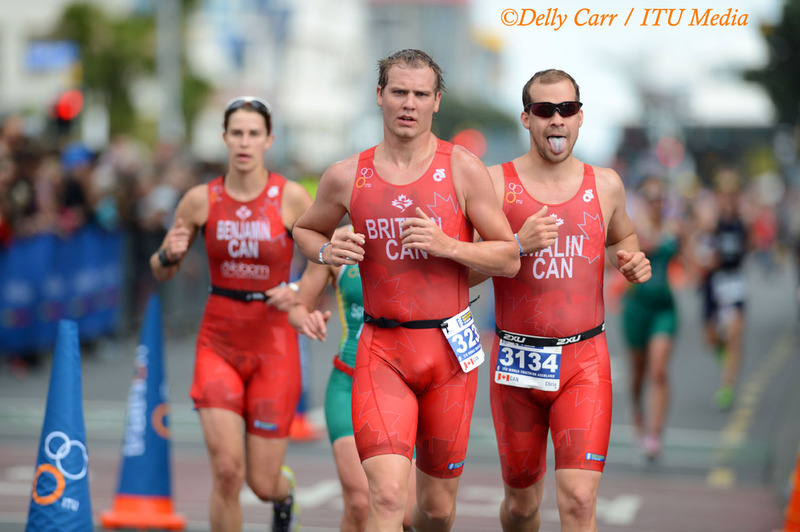 Both of the Brits could be wild cards when it comes to defending the podium. 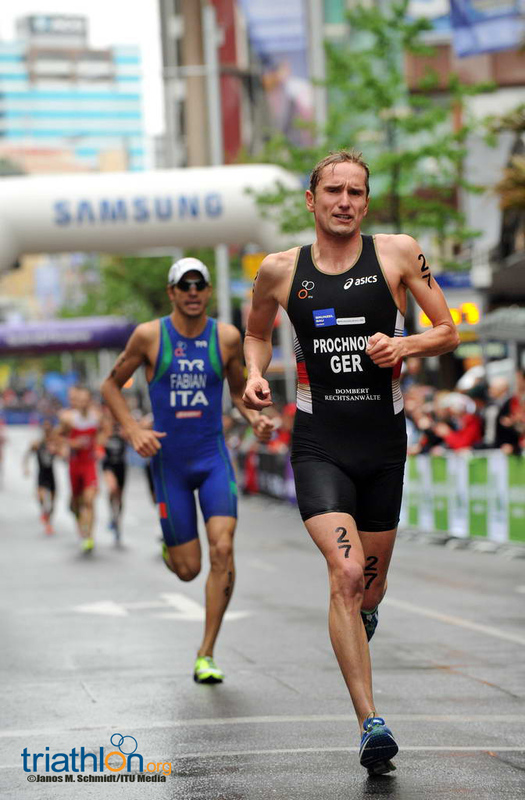 While USA’s Gregory Billington’s season has see-sawed from a top 15 finish in Madrid to a 57th-place finish in Hamburg, he has two key factors working in his favour. 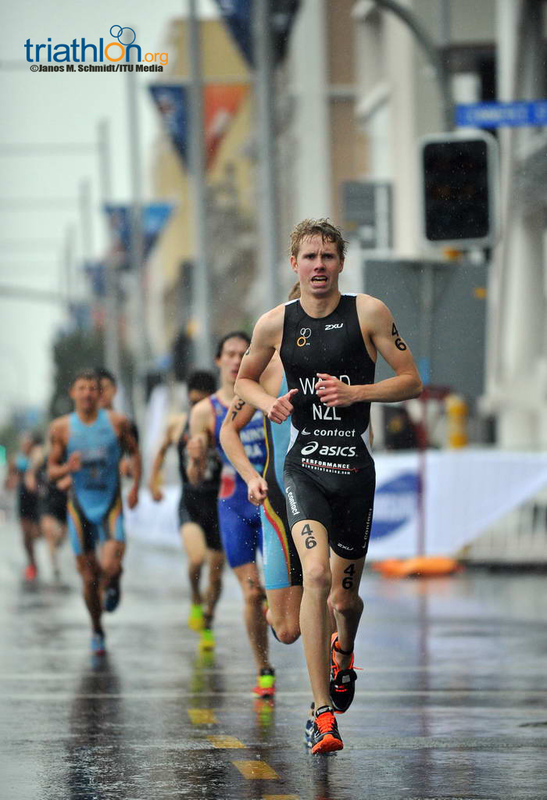 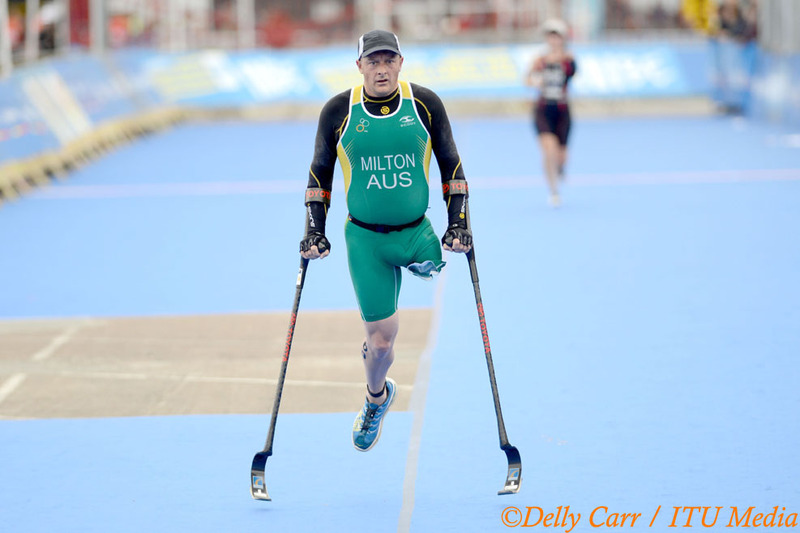 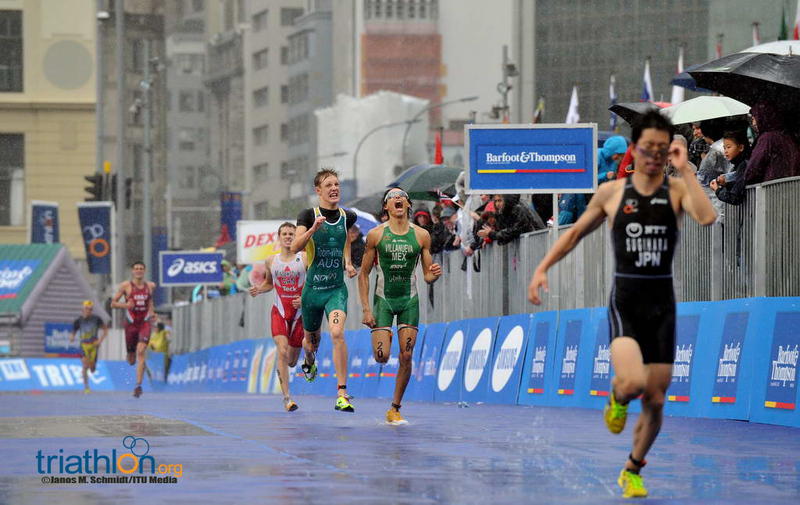 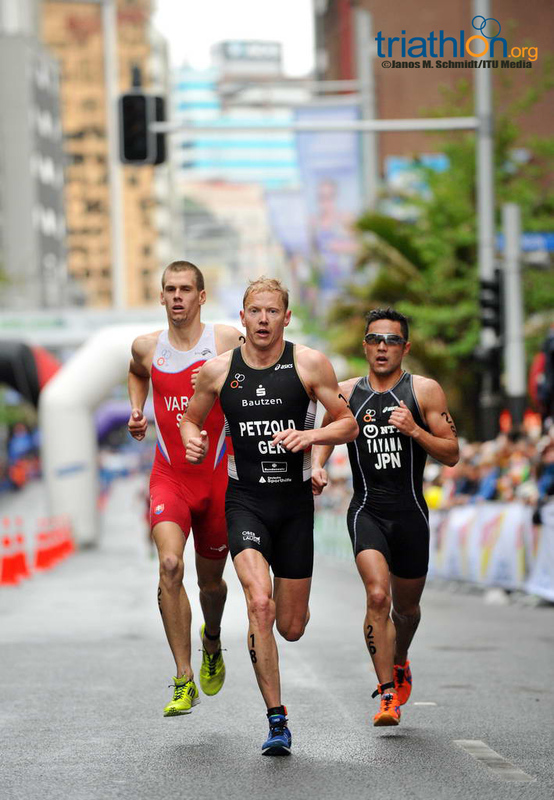 The American just missed the medal range last year in Beijing and he’s also raced on the tough course in Auckland. 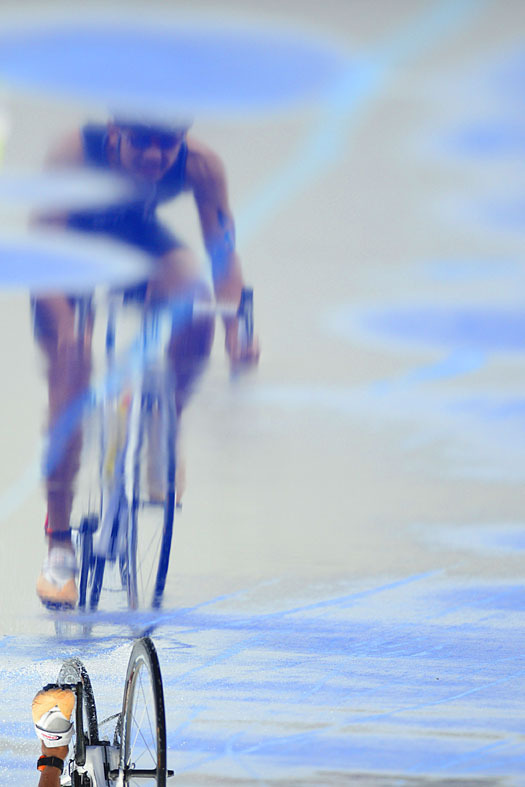 His hunger for glory and knowledge of the course could make him dangerous. 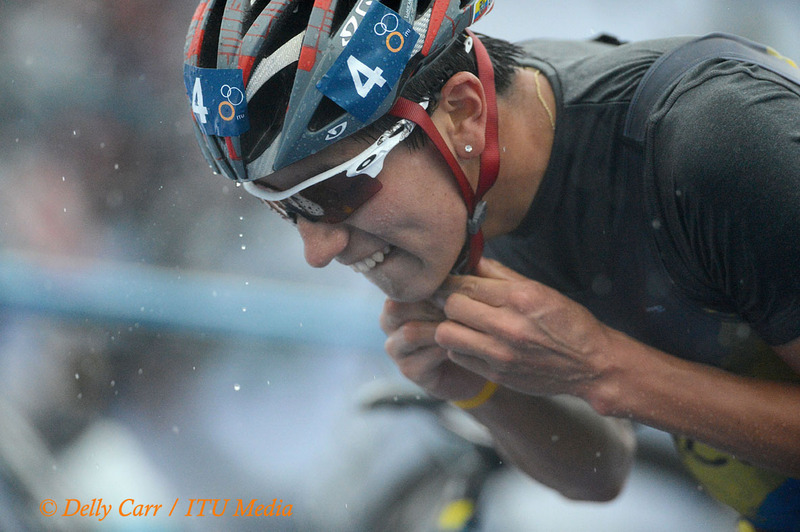 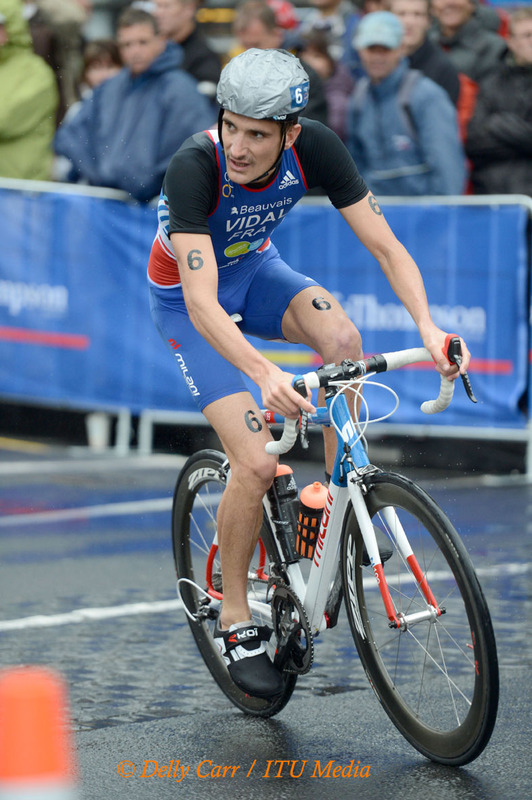 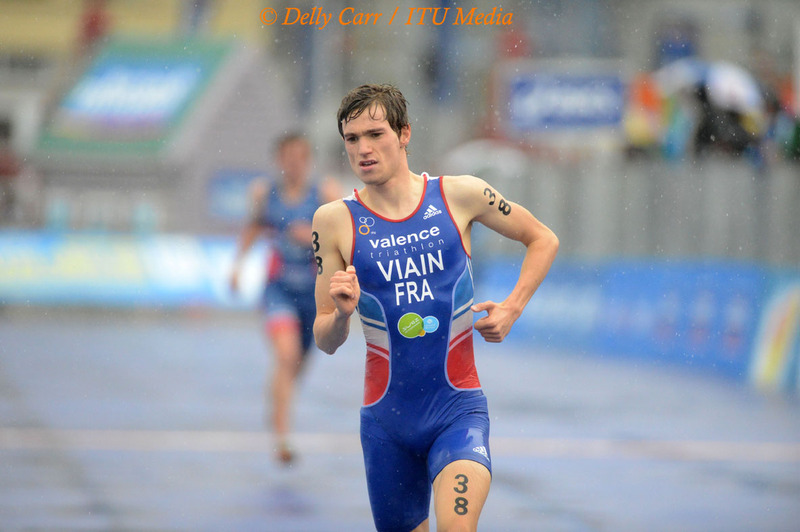 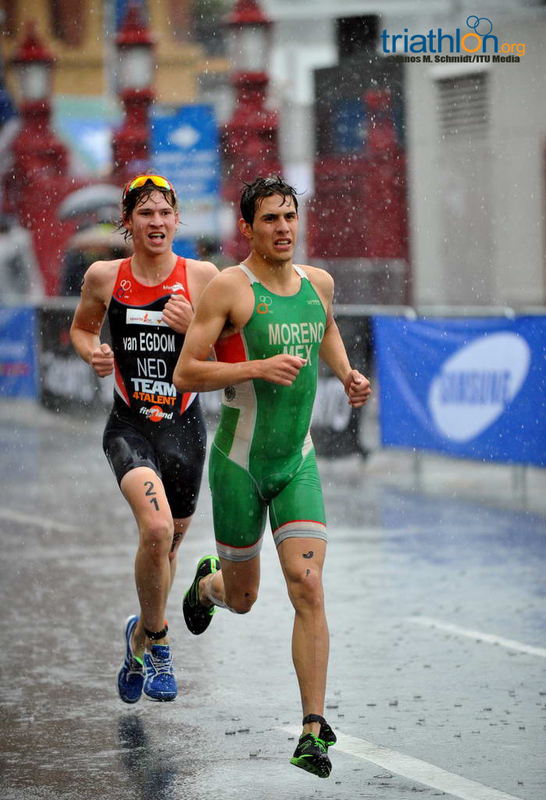 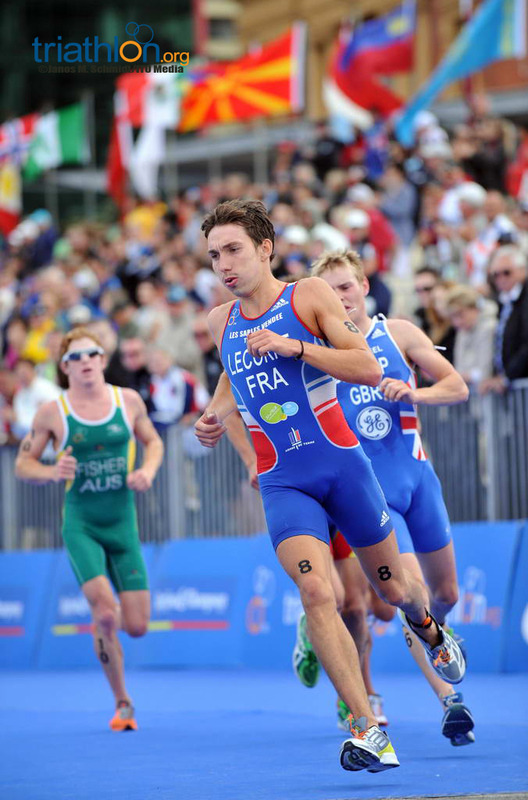 Pierre Le Corre (FRA) also returns as a repeat U23 competitor. 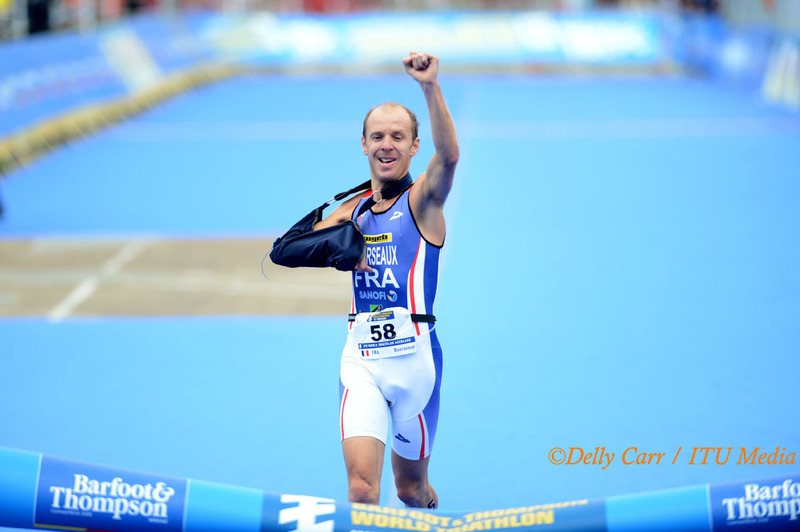 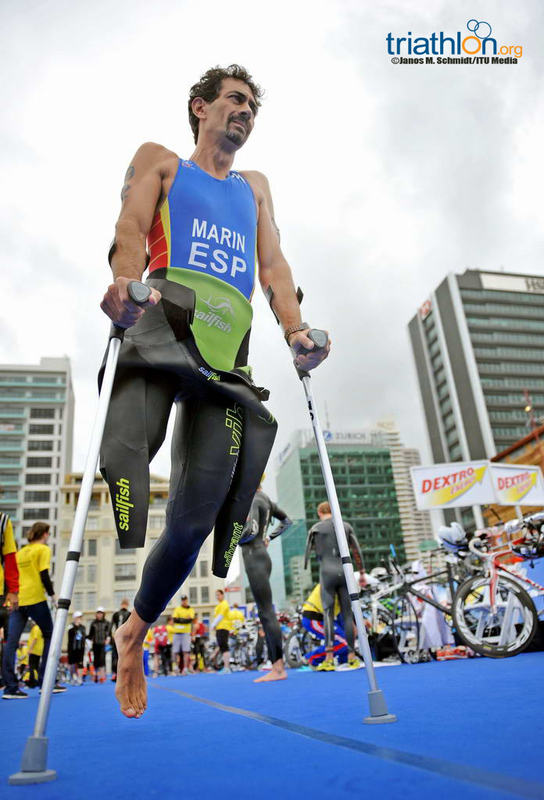 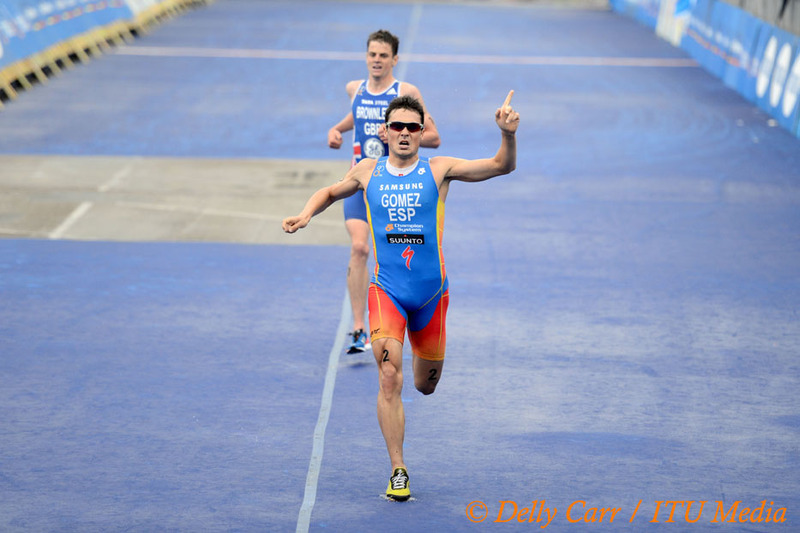 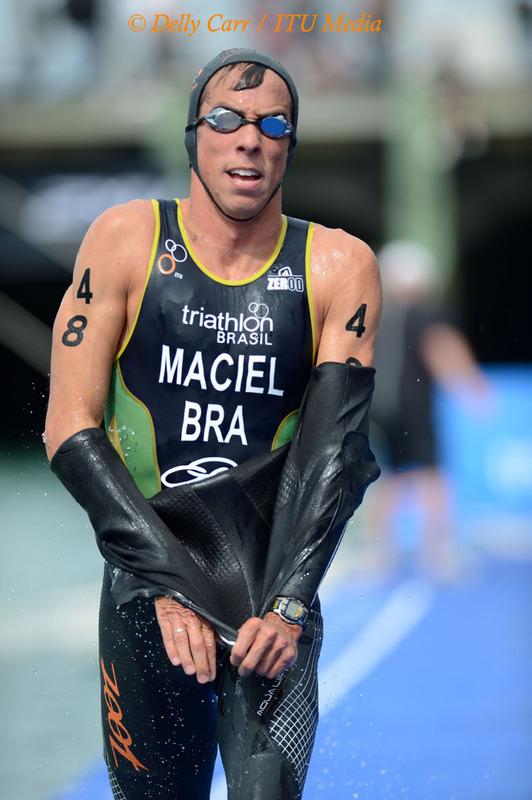 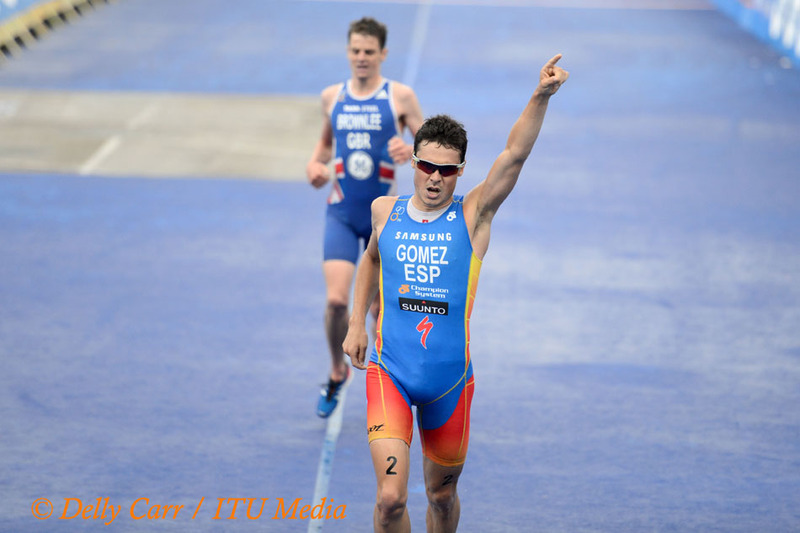 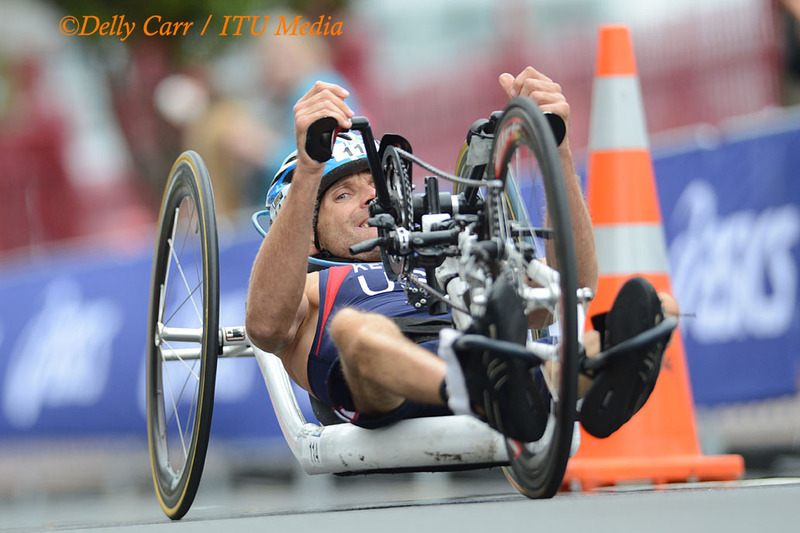 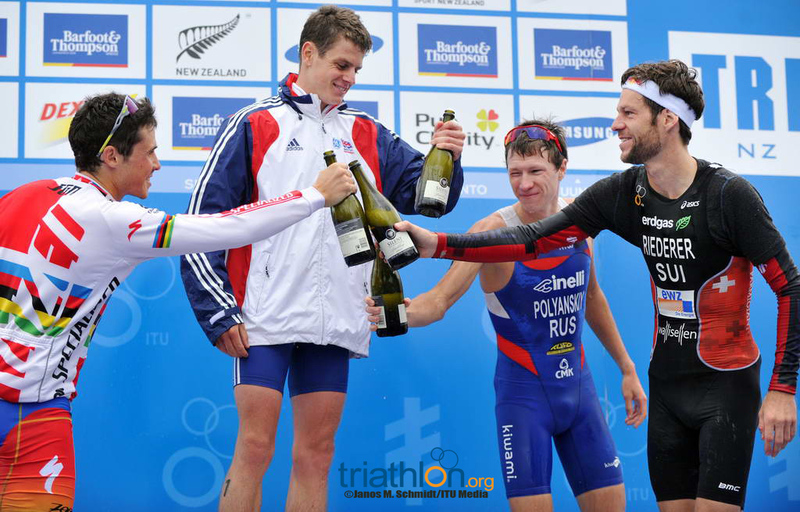 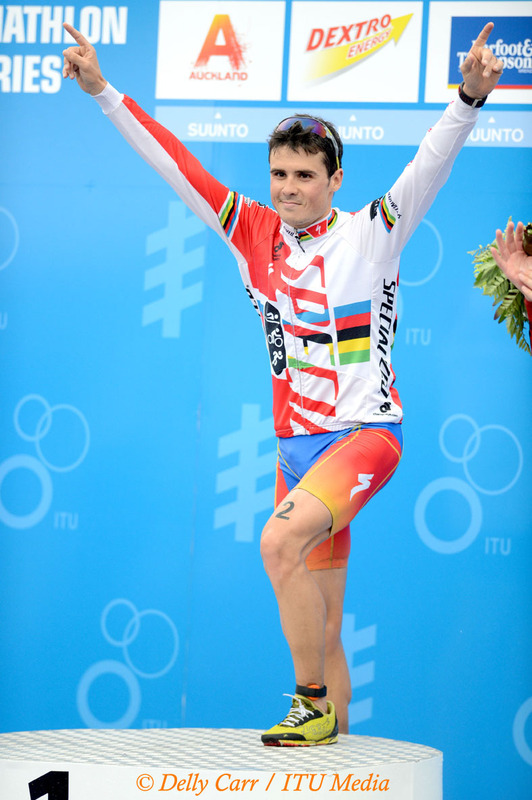 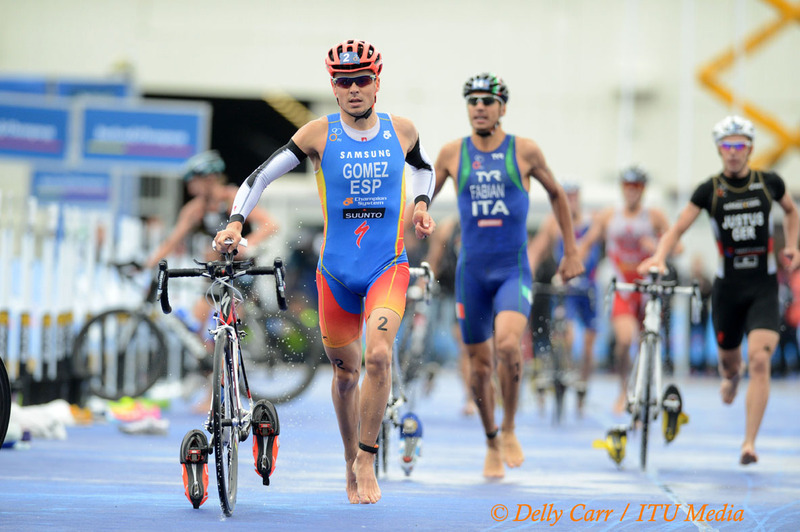 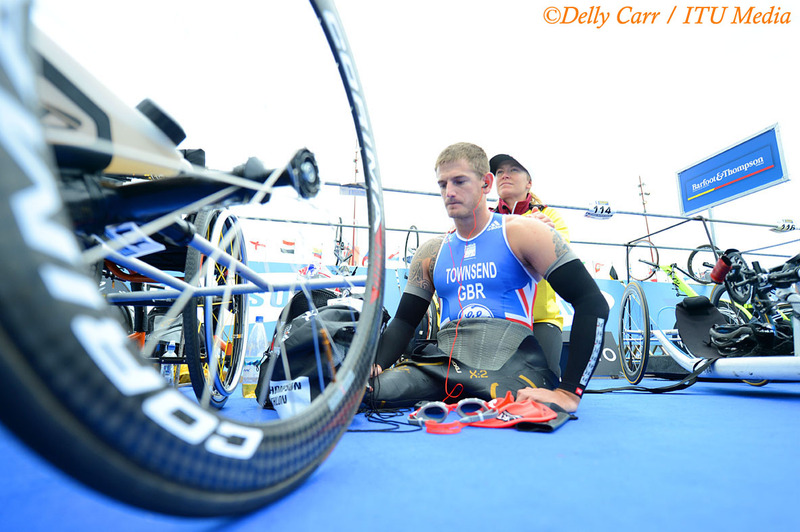 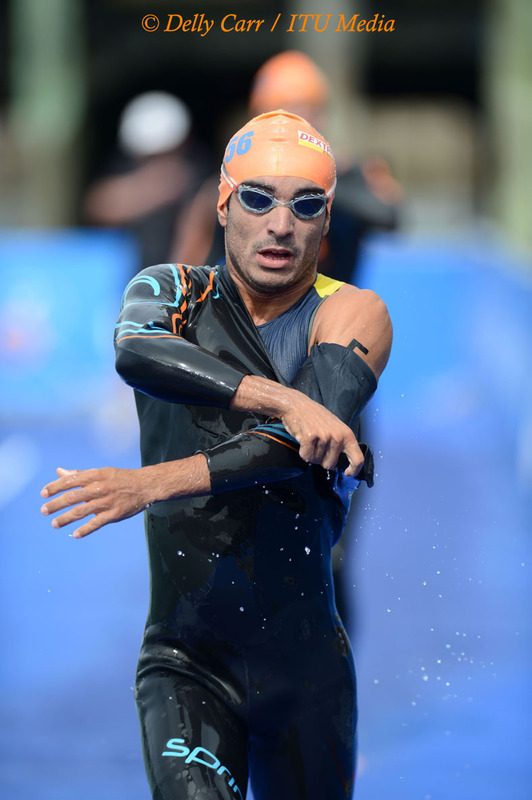 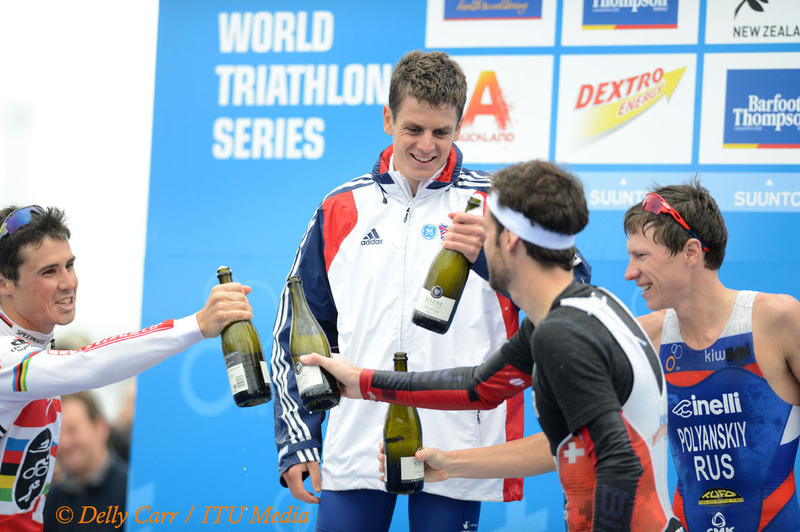 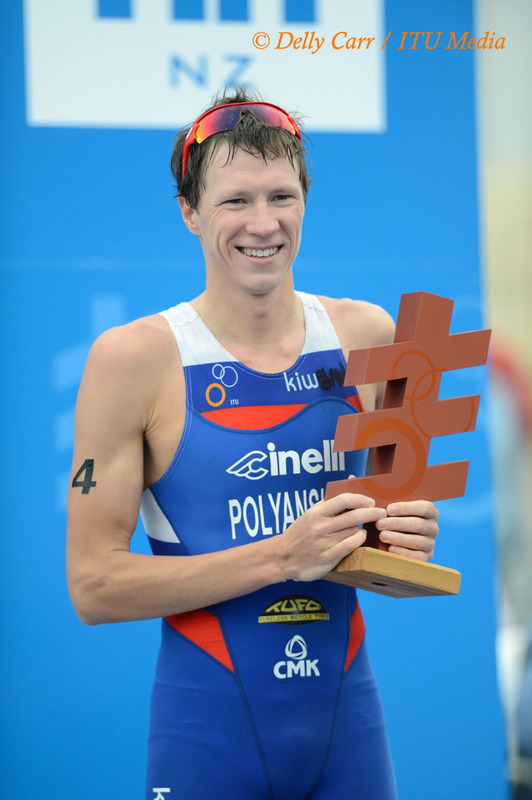 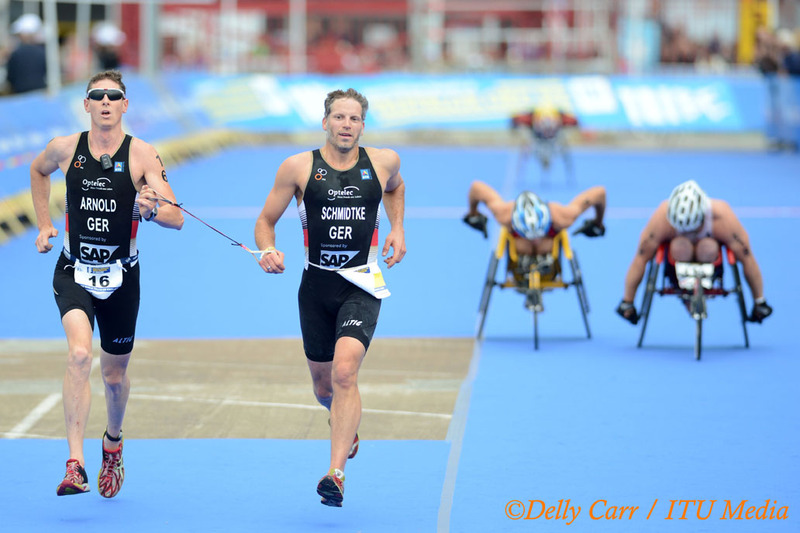 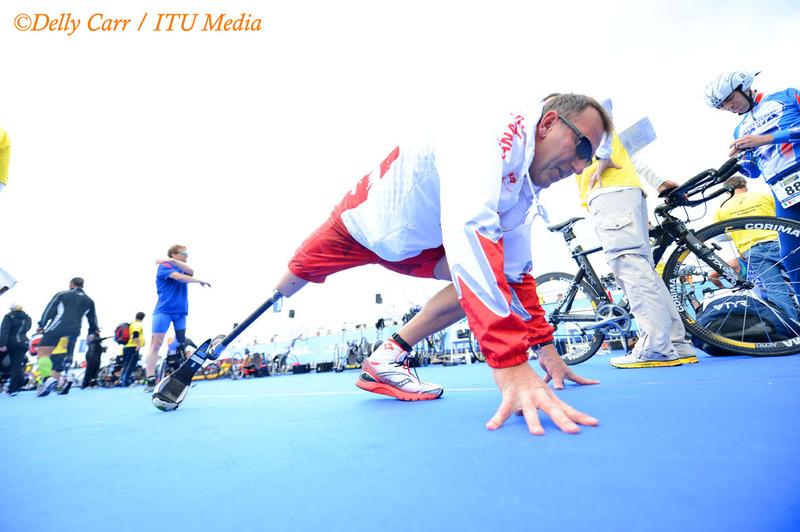 The Frenchman this year garnered his first World Cup gold with a win in Tiszaujvaros. 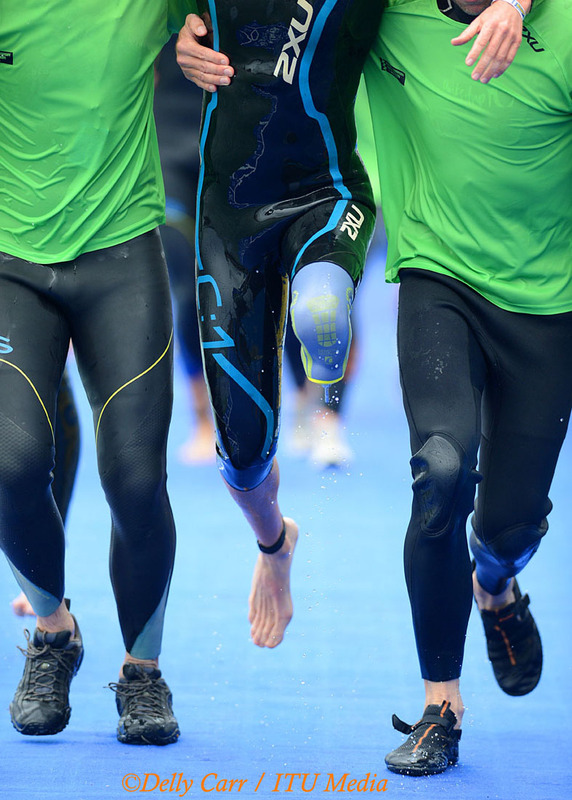 While the course was a sprint, it was no easy task, as athletes endured back to back sprints inside 24 hours. 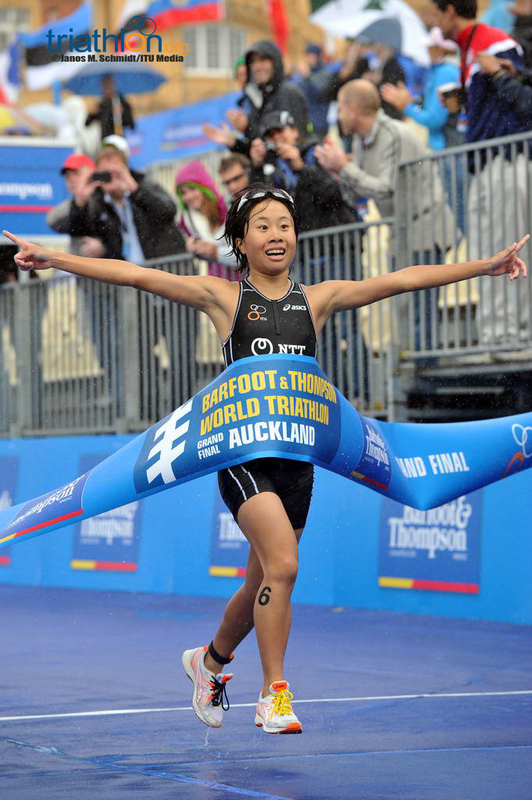 The winner in New Zealand will need stamina like that to win on the tough course. 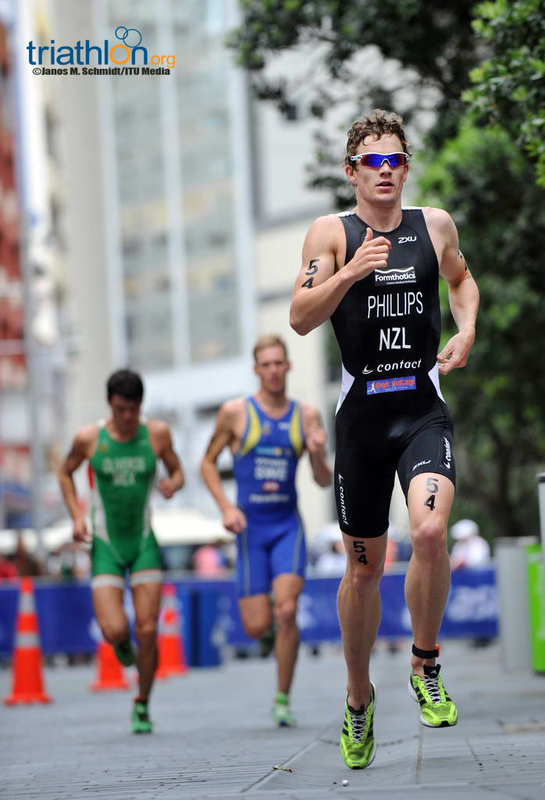 Kiwi hopes rest with Mike Phillips and Tom Davison. 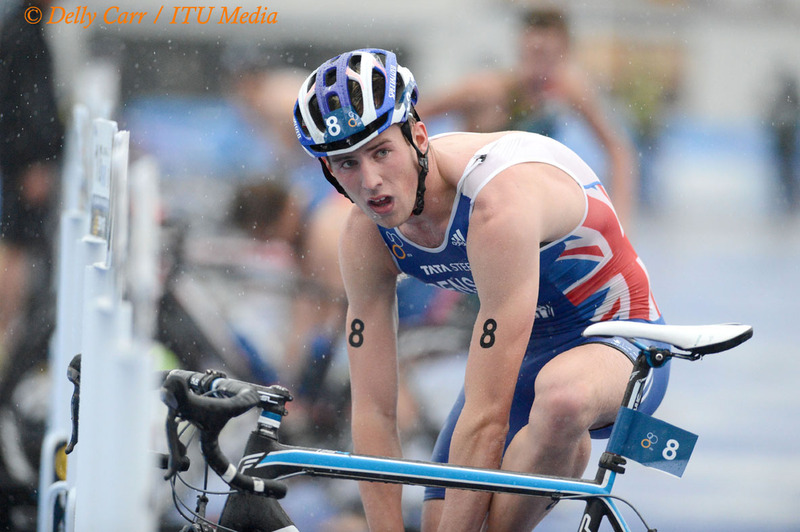 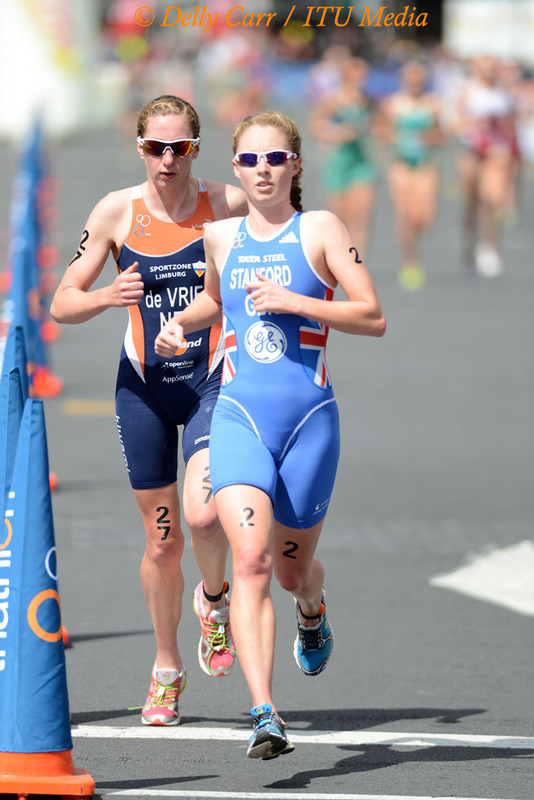 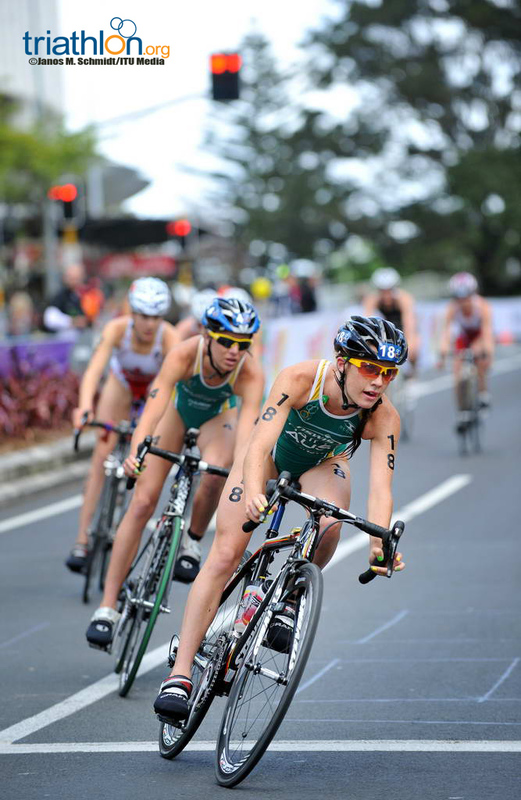 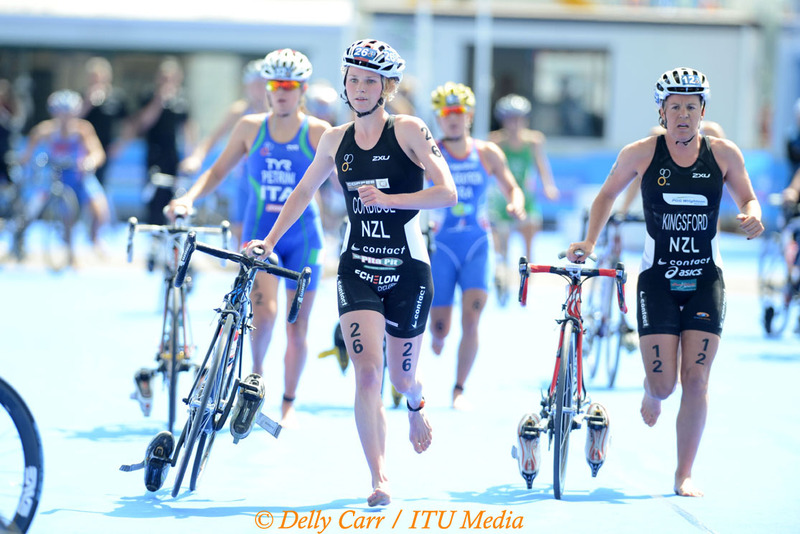 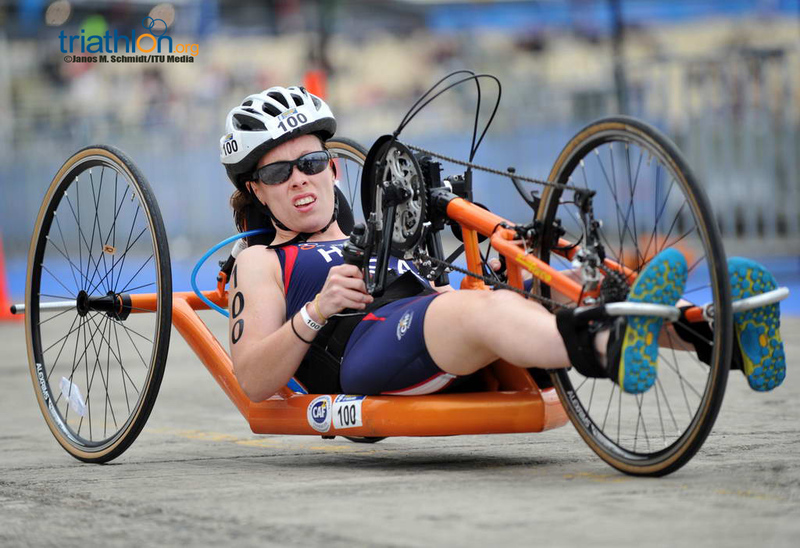 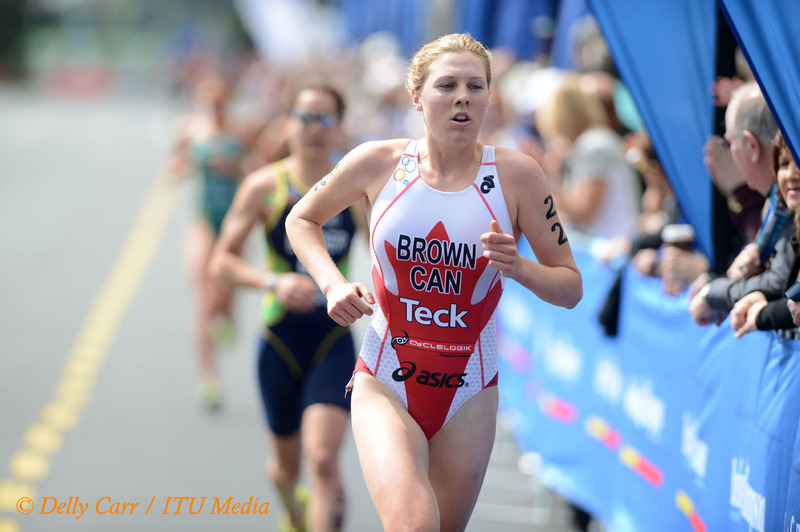 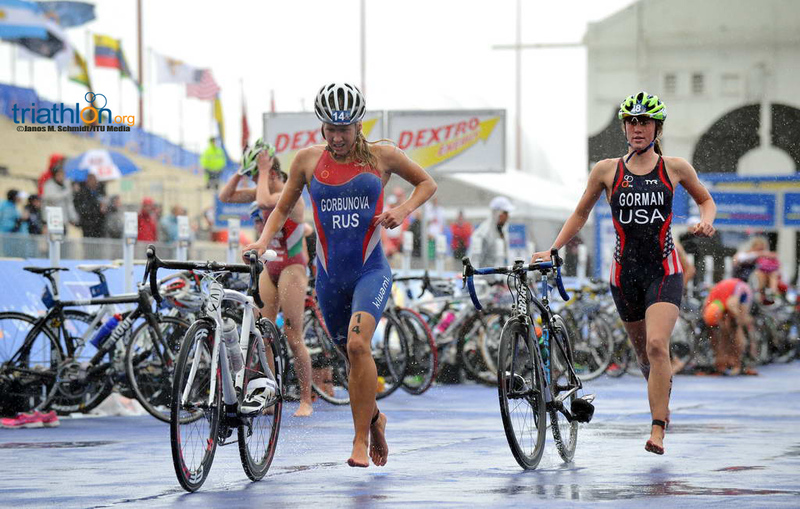 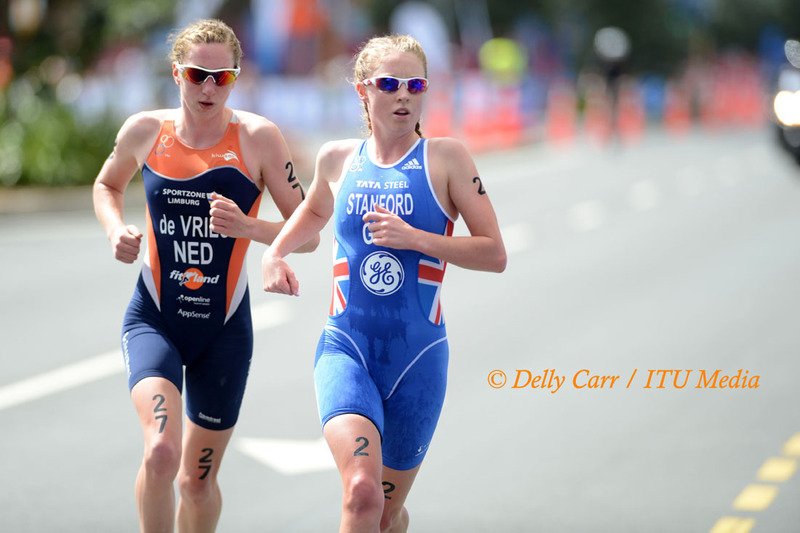 Davison competed in the U23 race last year, while Phillips will compete on the world stage for the first time. 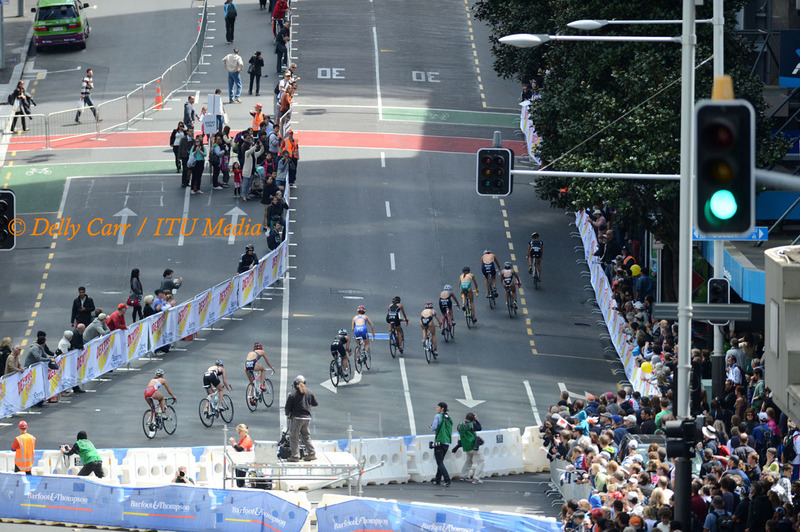 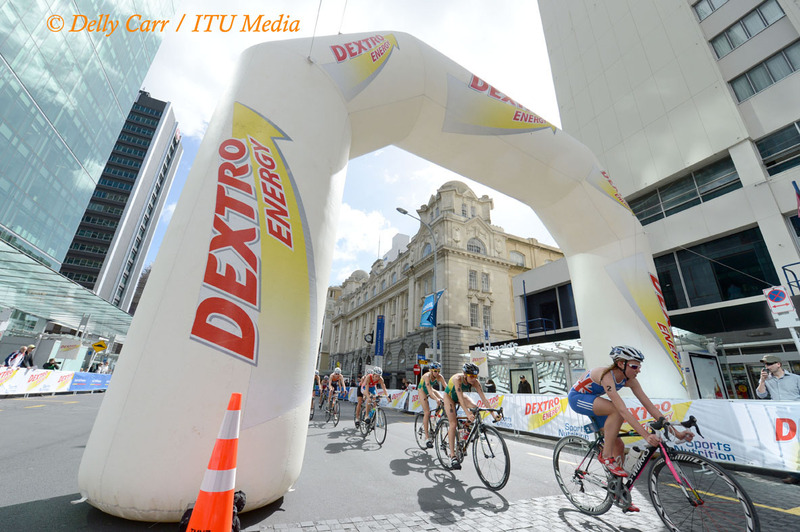 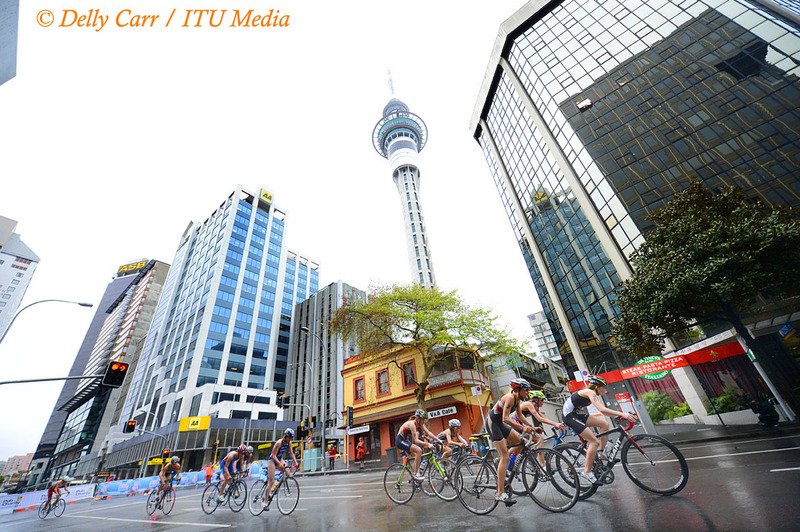 The men’s U23 race will take off at 3:15pm on Saturday 20 October, after the elite women’s race. 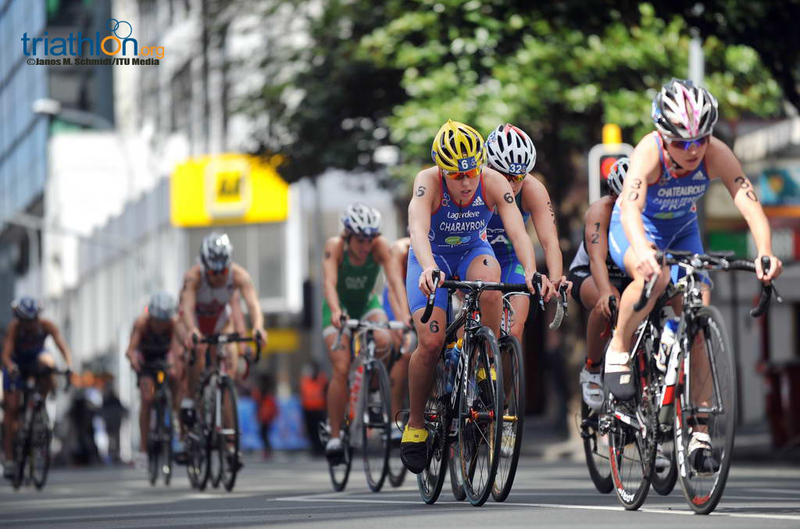 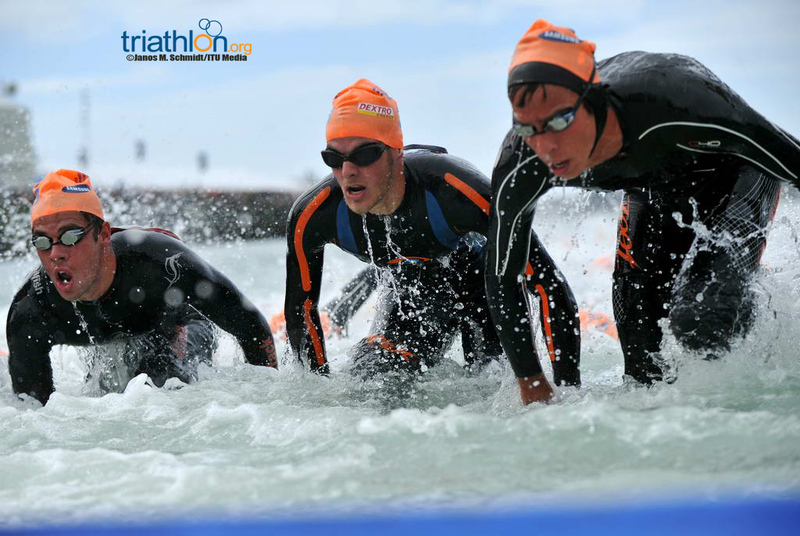 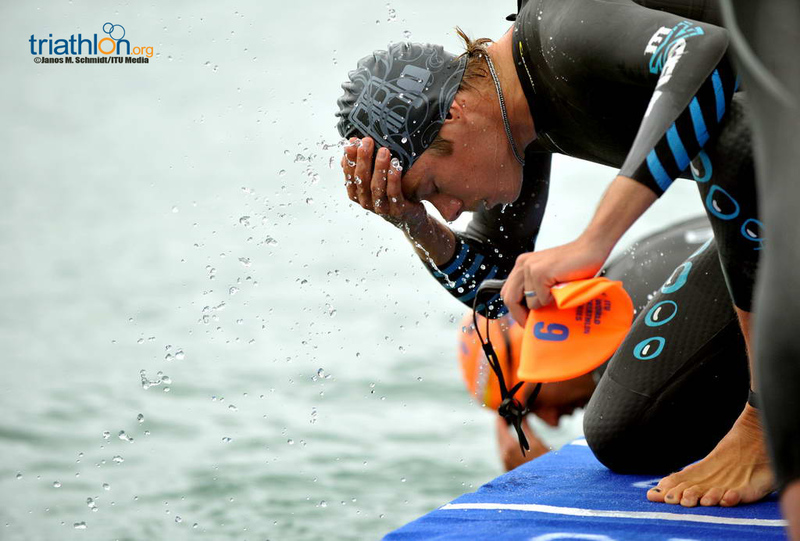 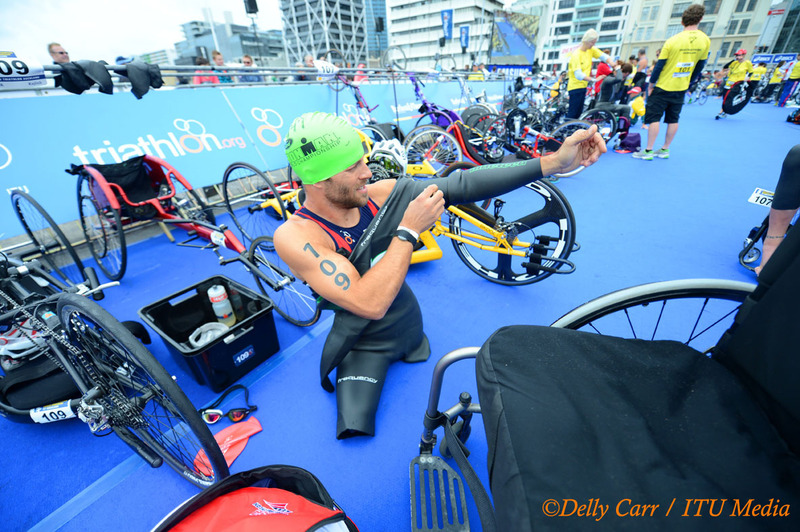 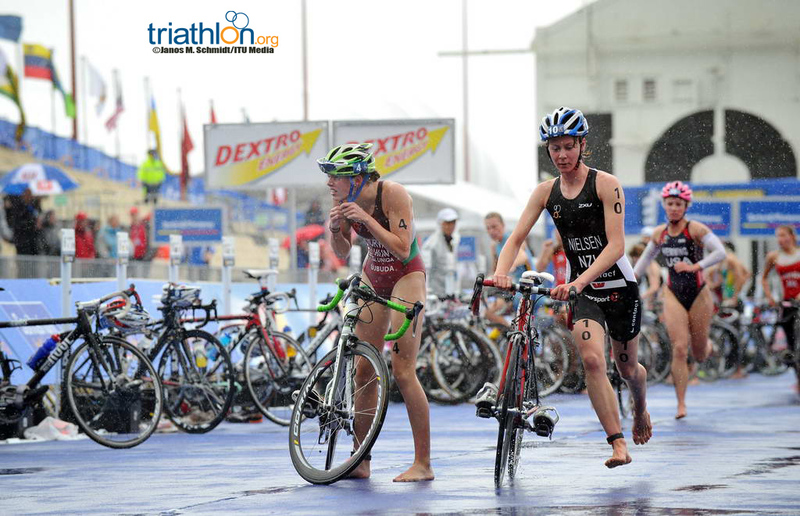 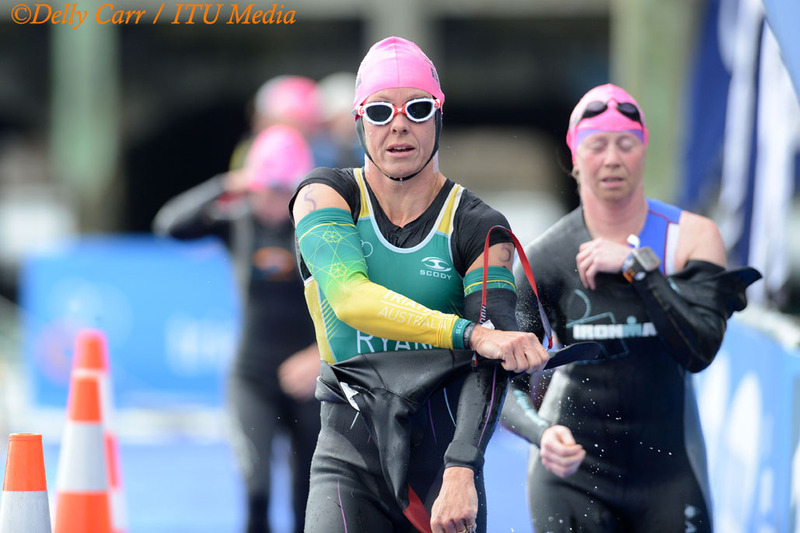 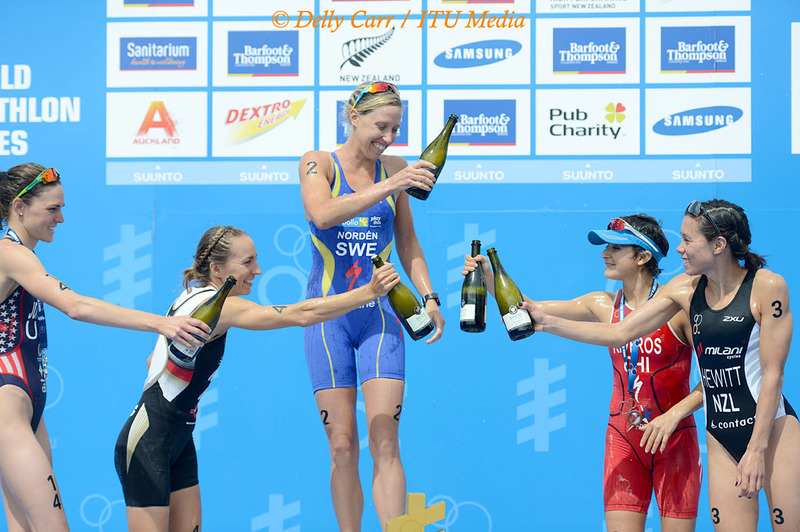 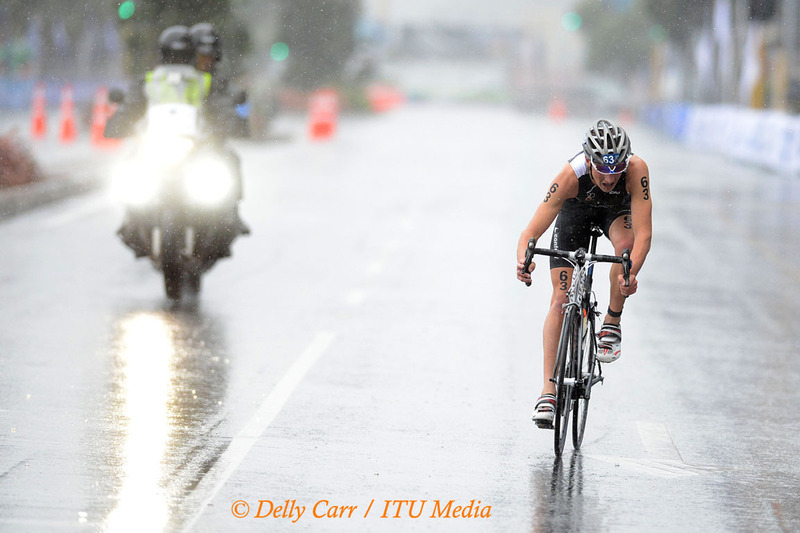 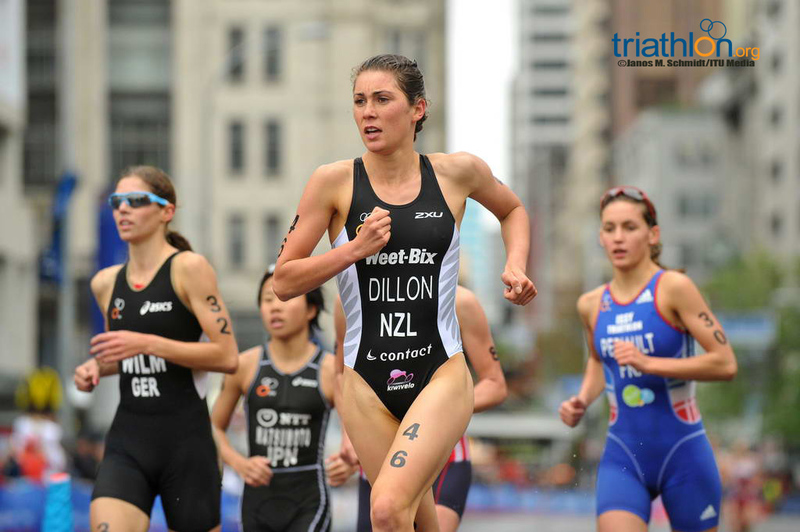 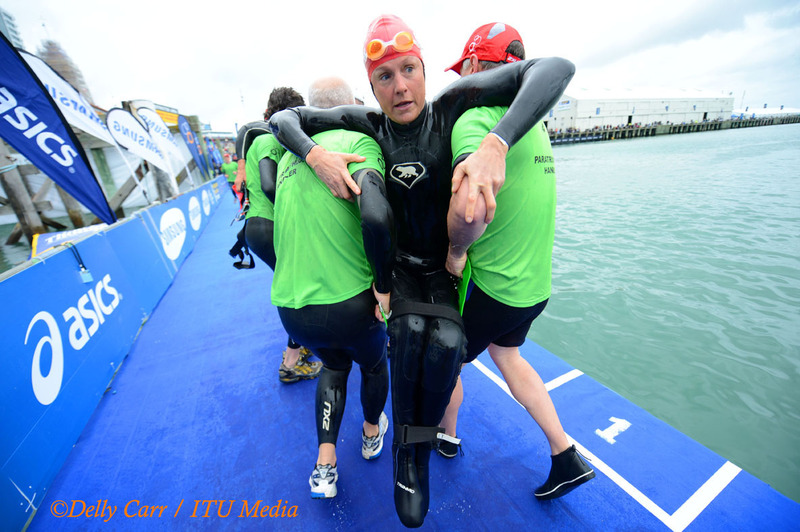 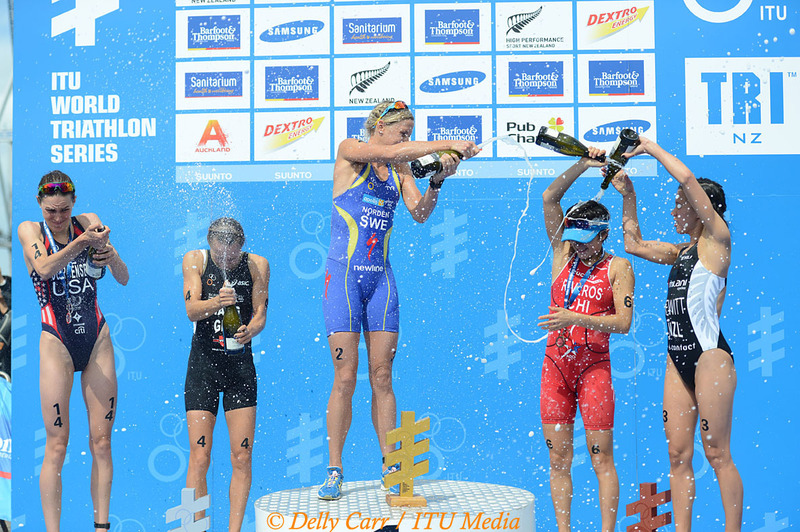 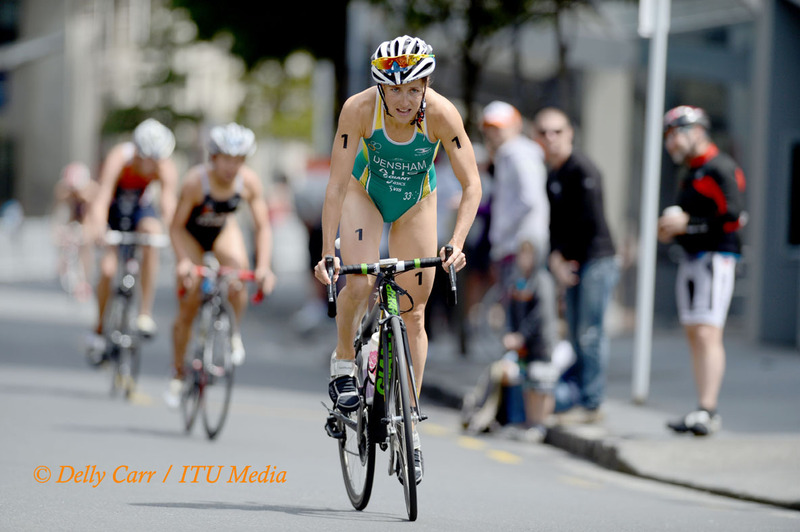 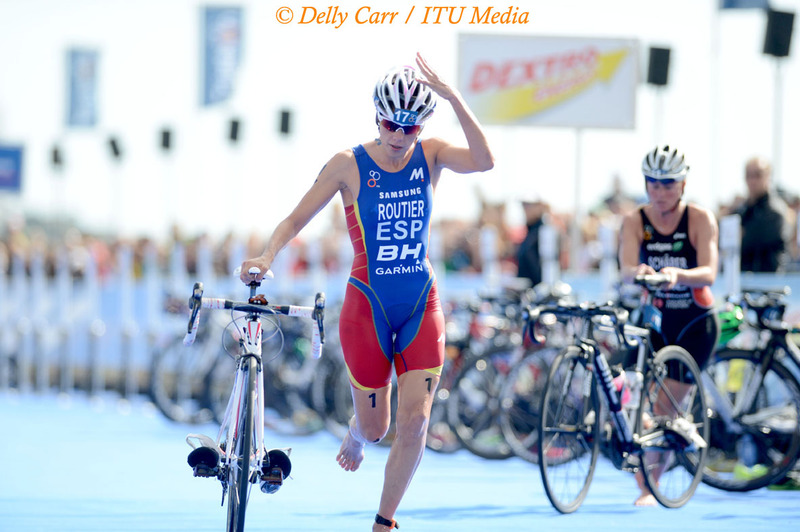 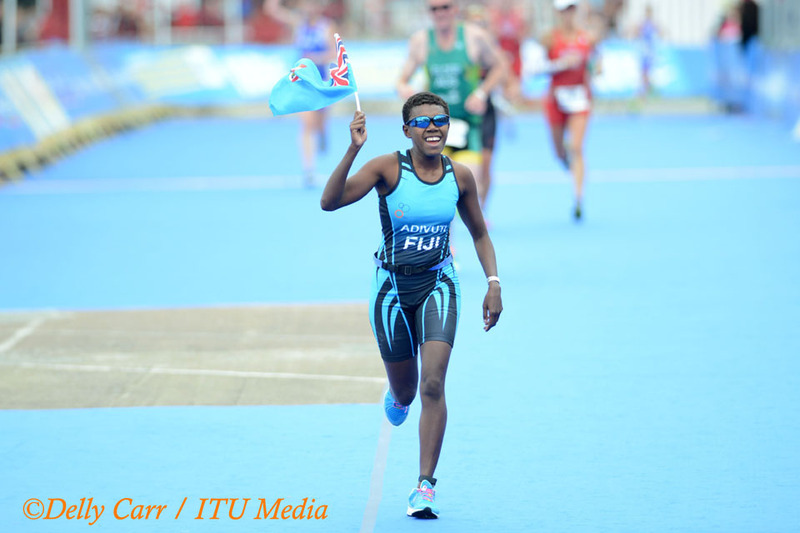 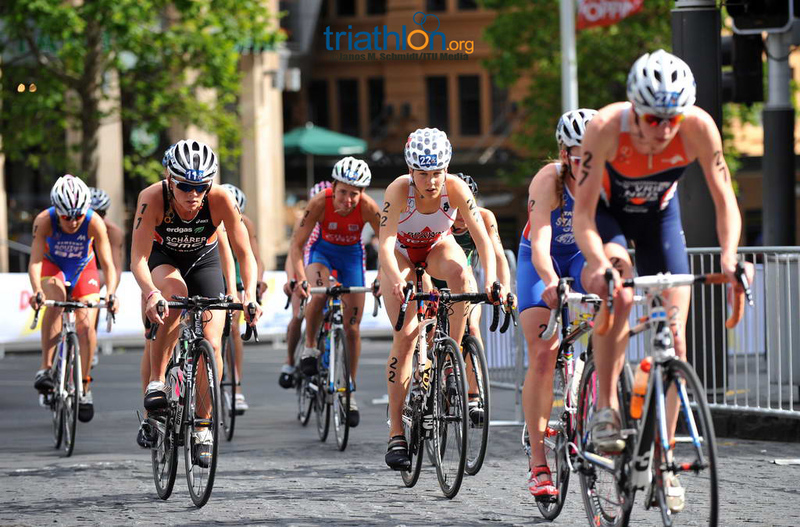 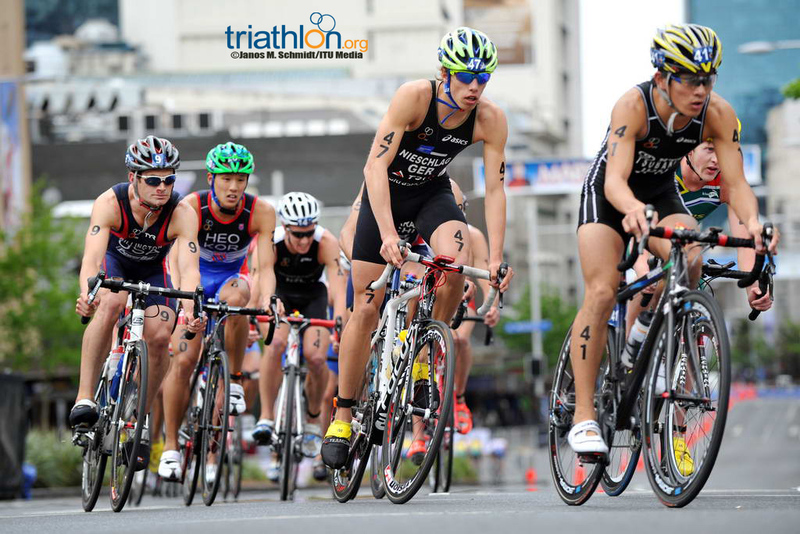 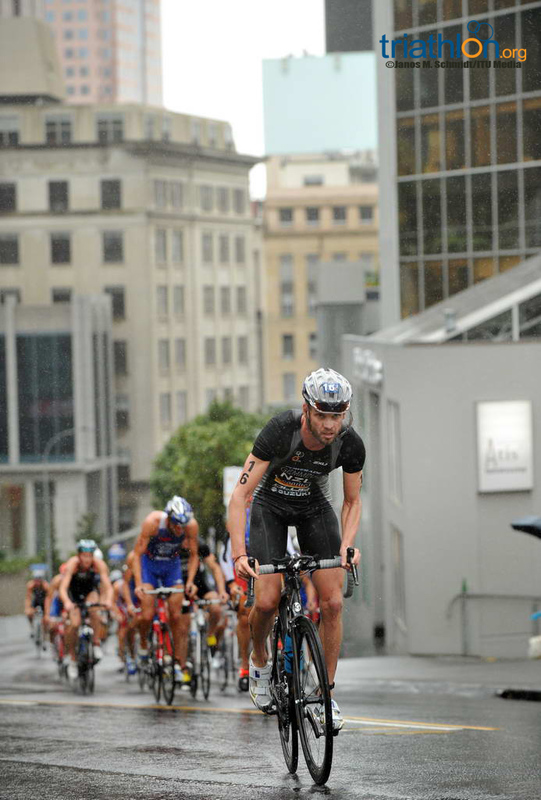 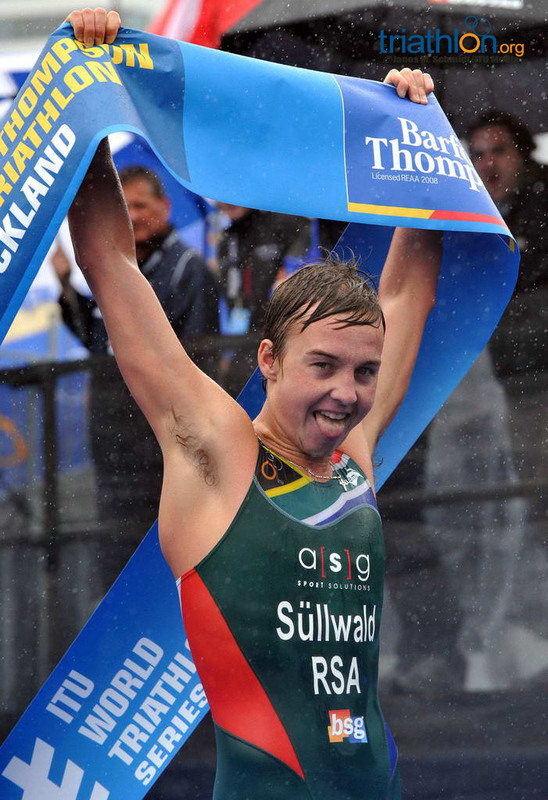 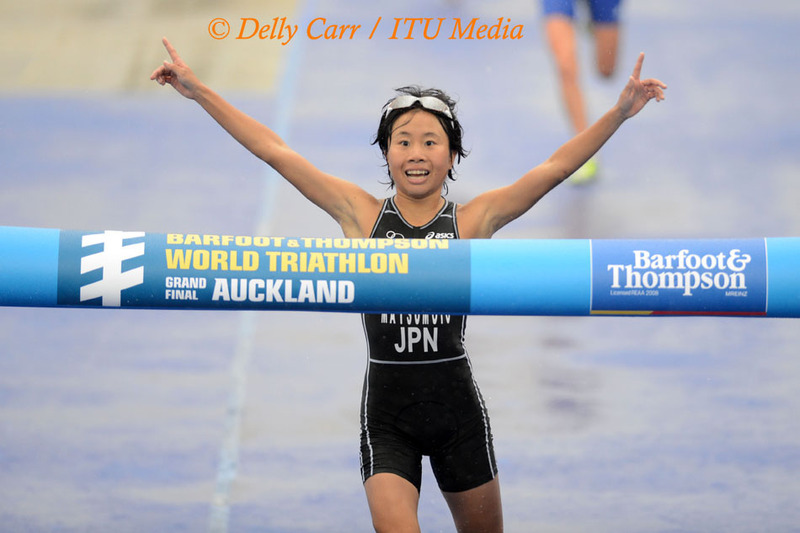 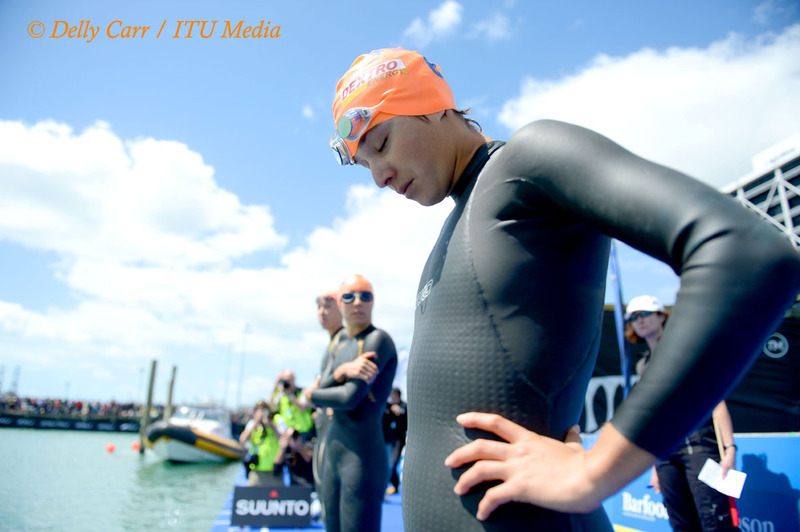 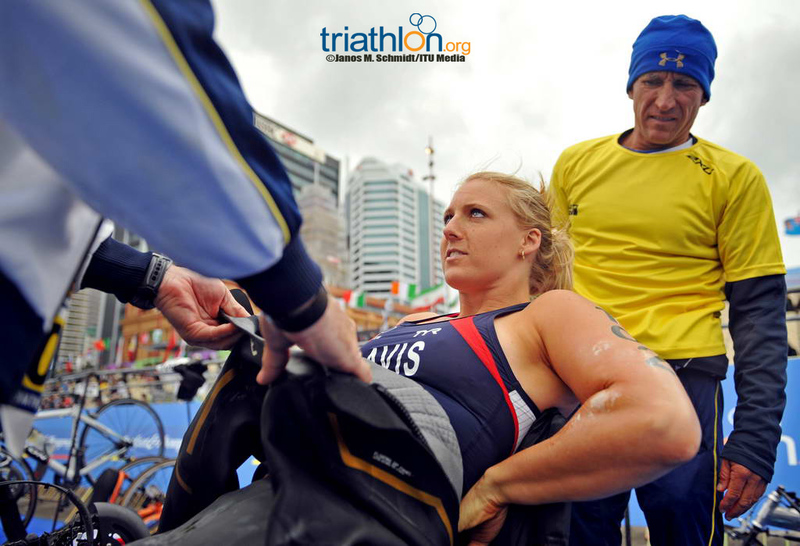 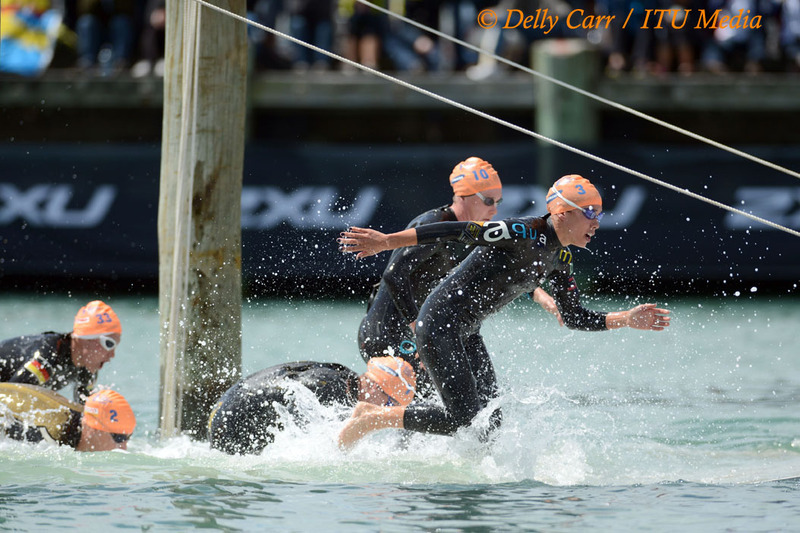 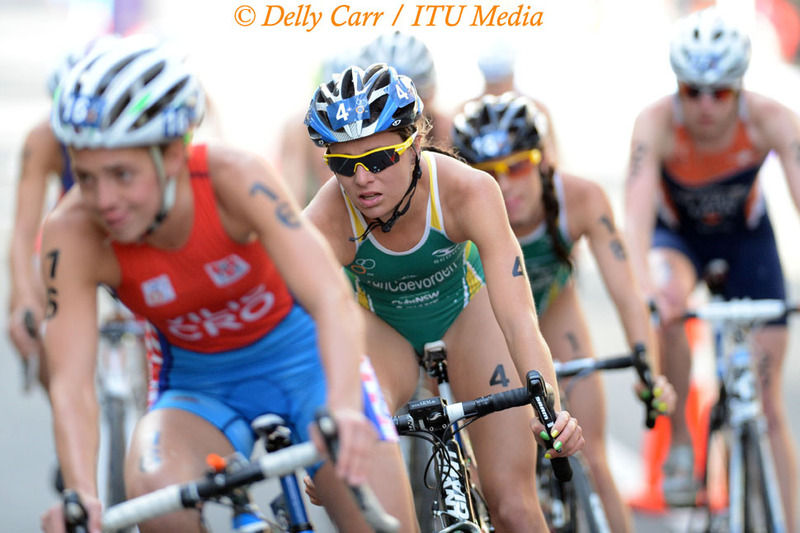 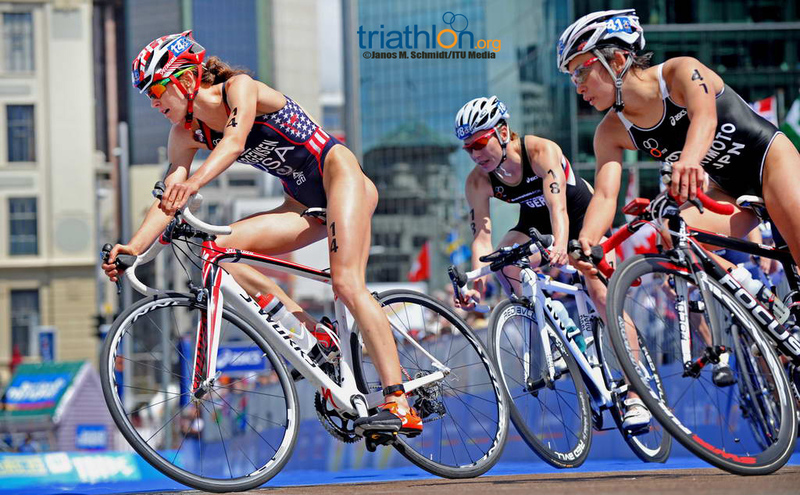 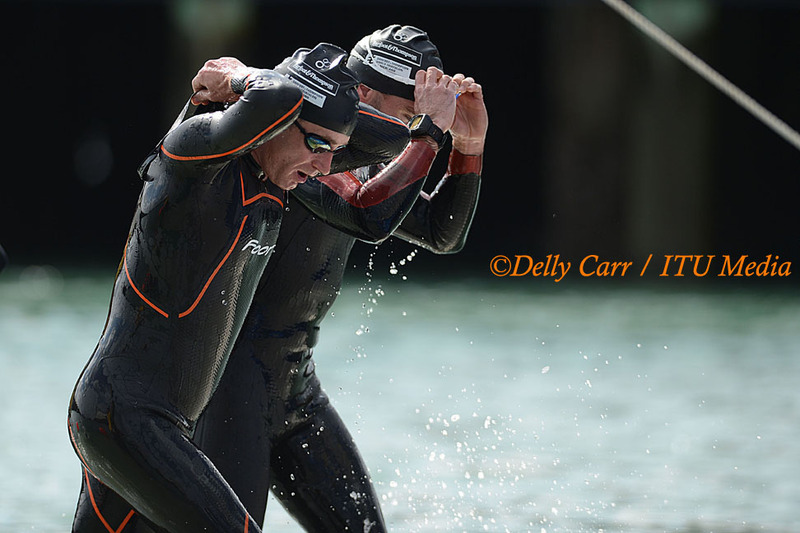 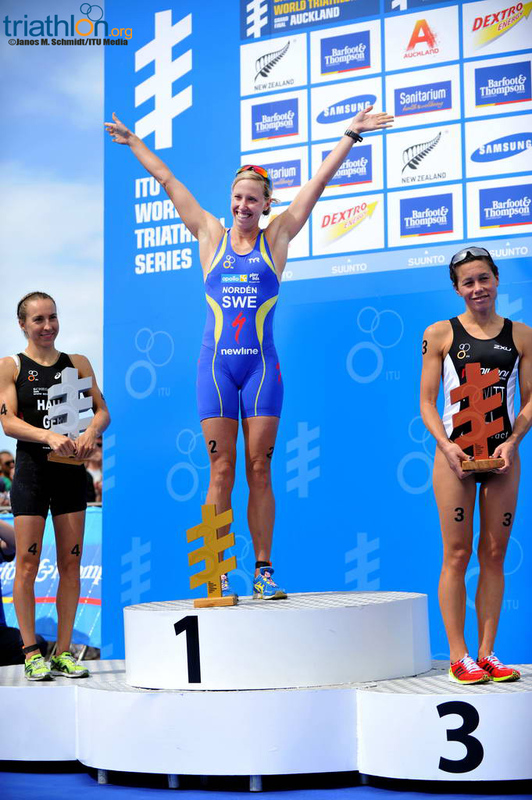 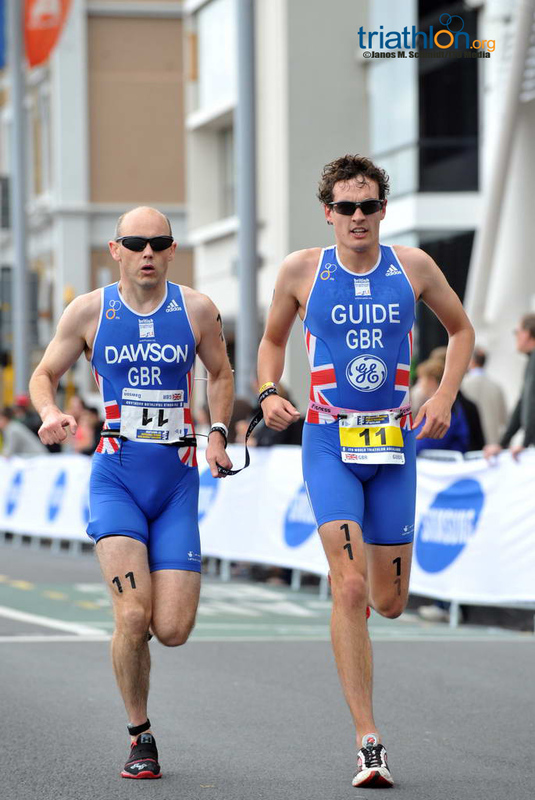 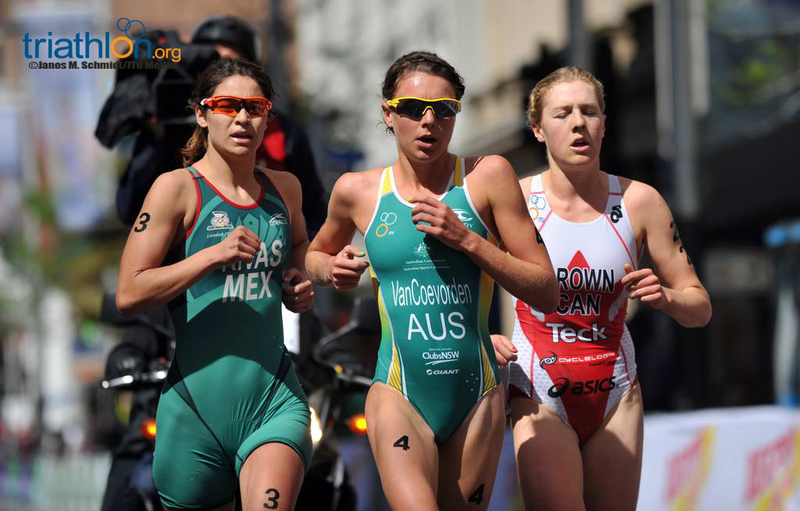 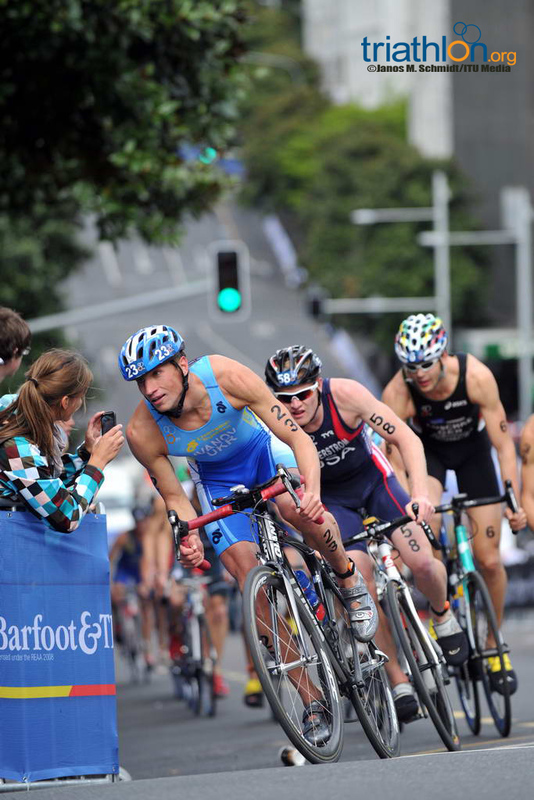 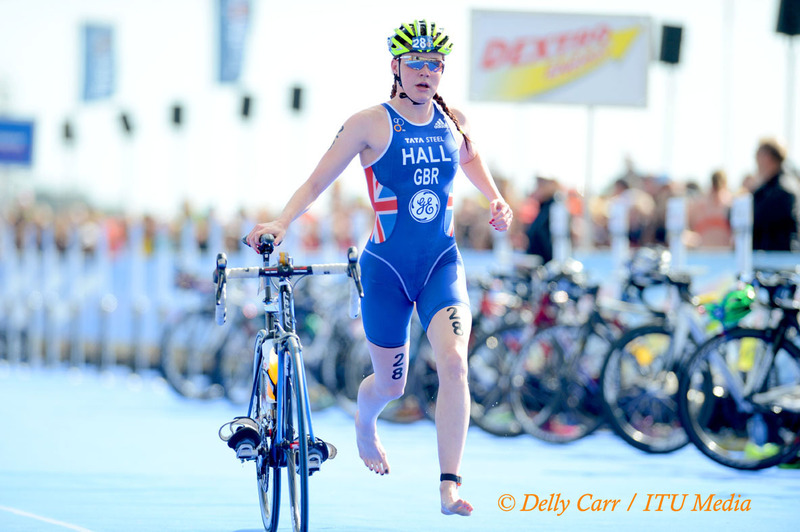 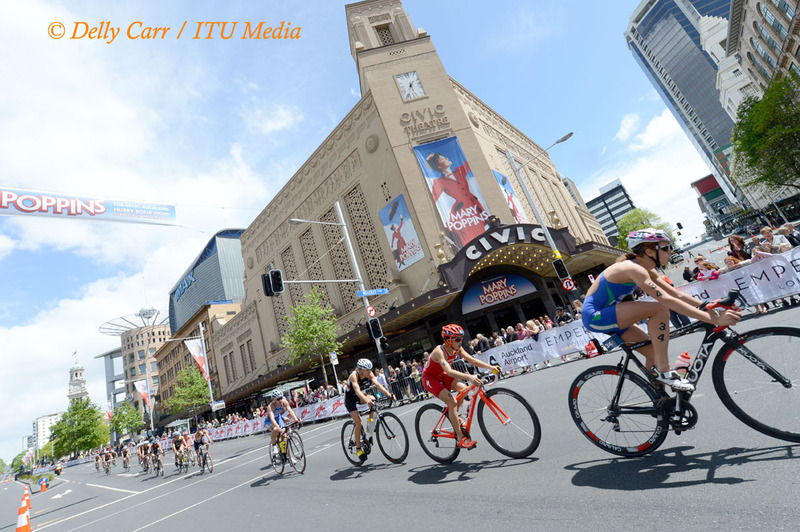 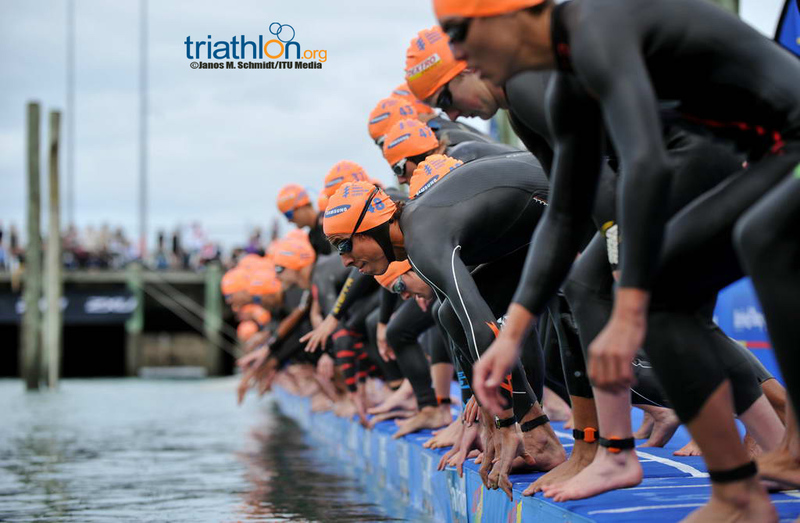 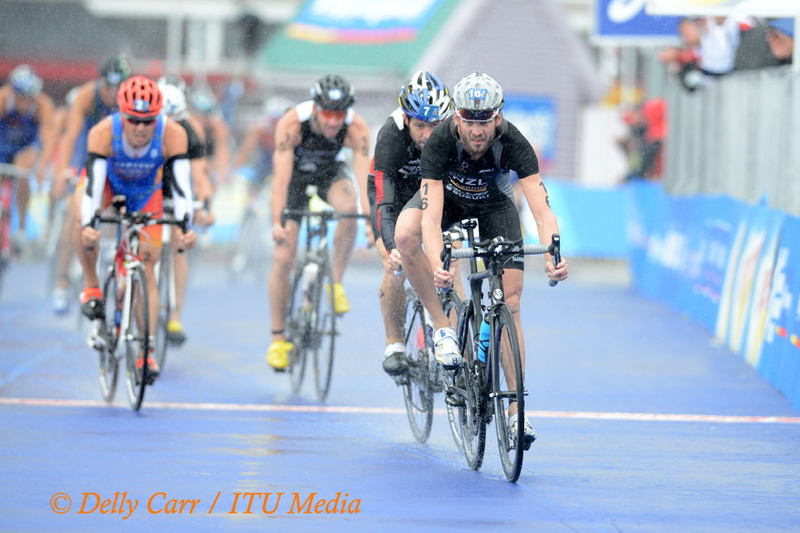 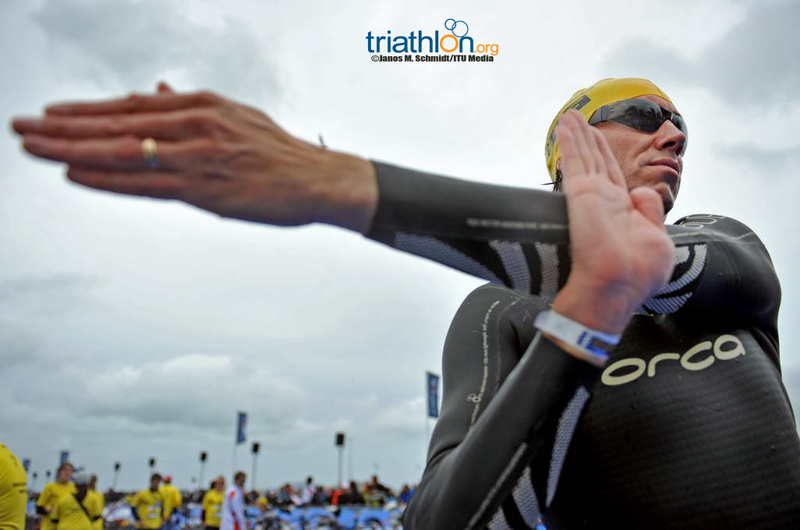 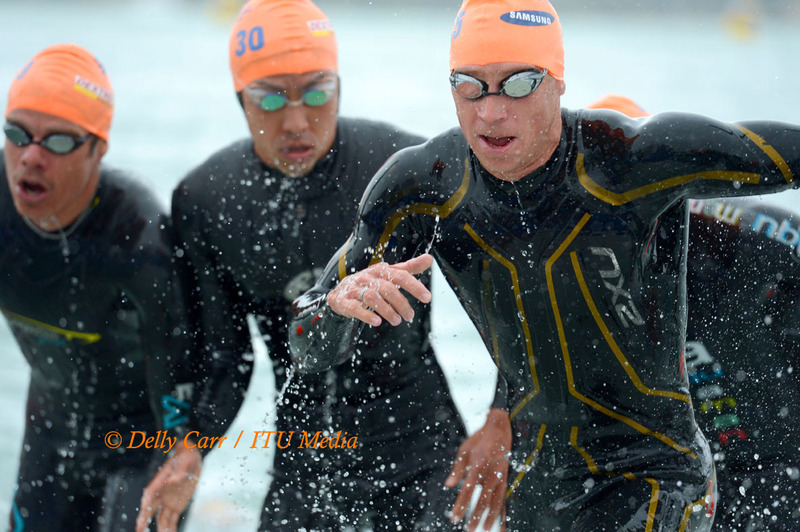 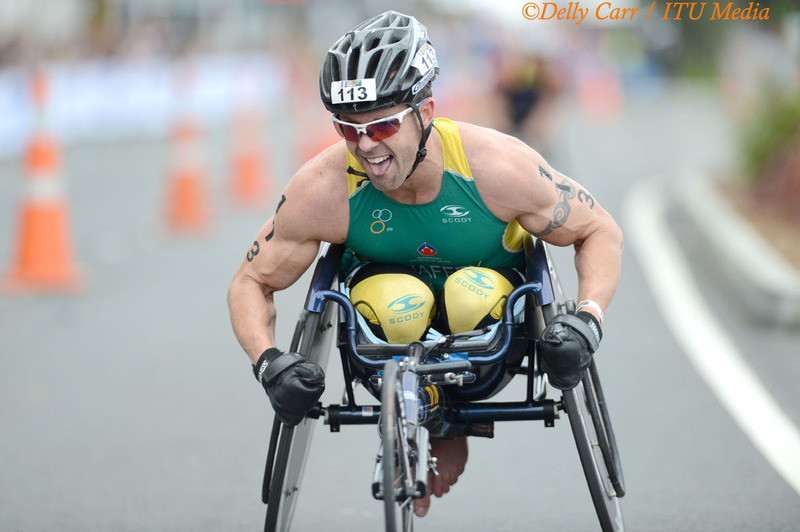 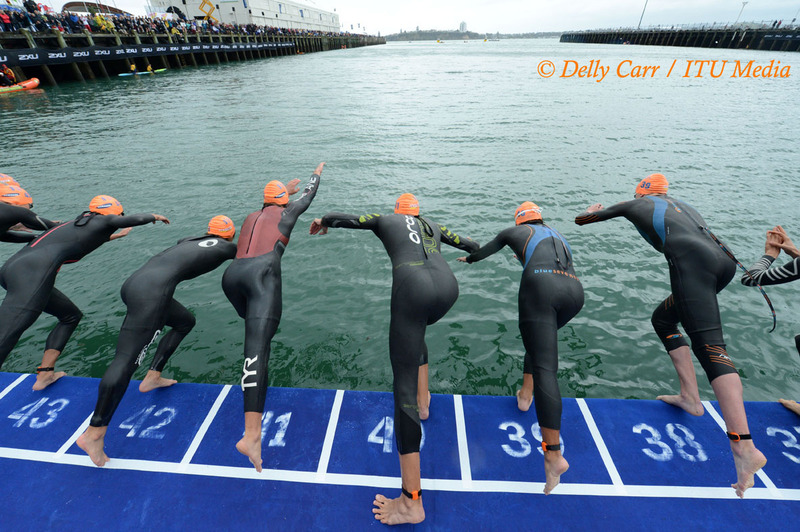 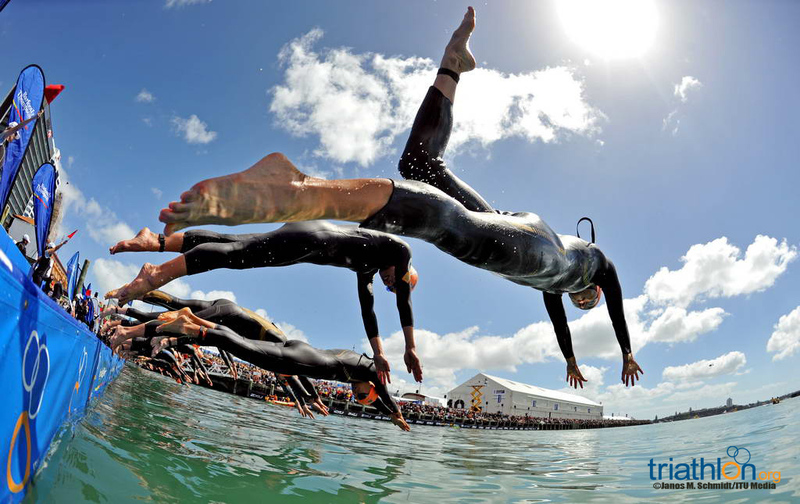 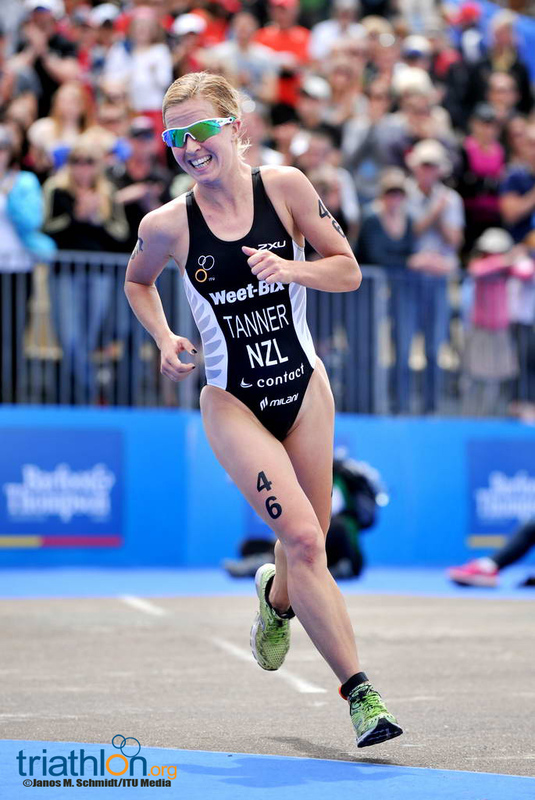 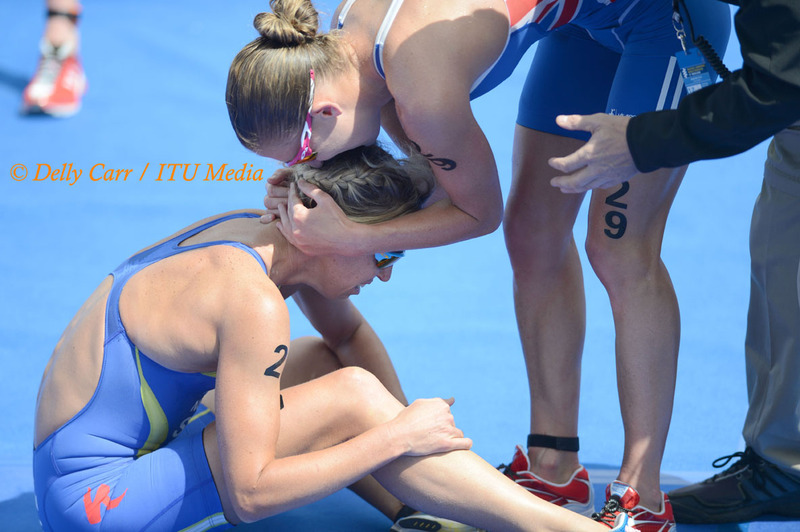 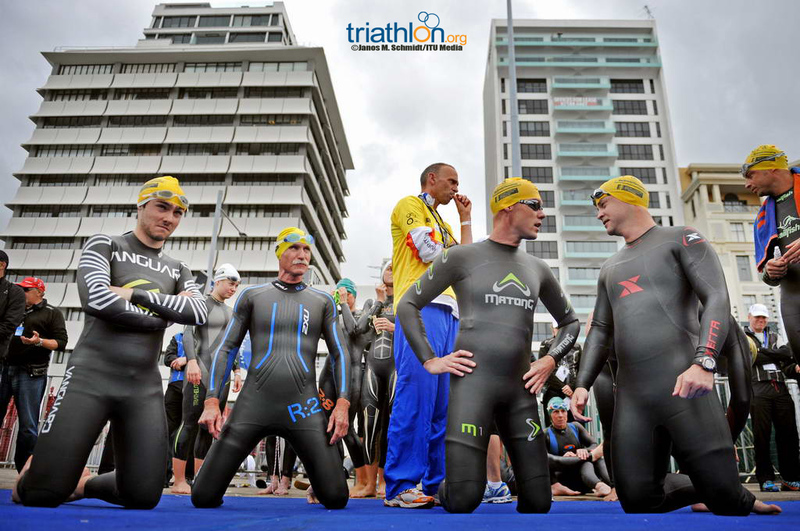 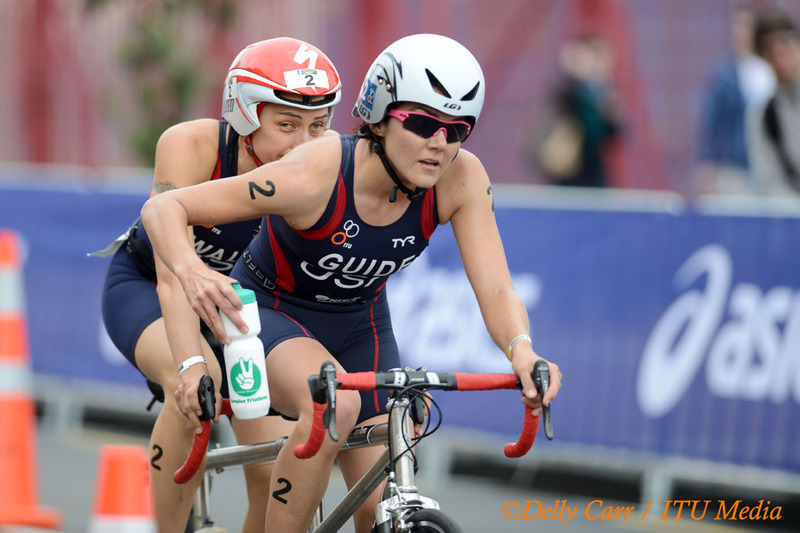 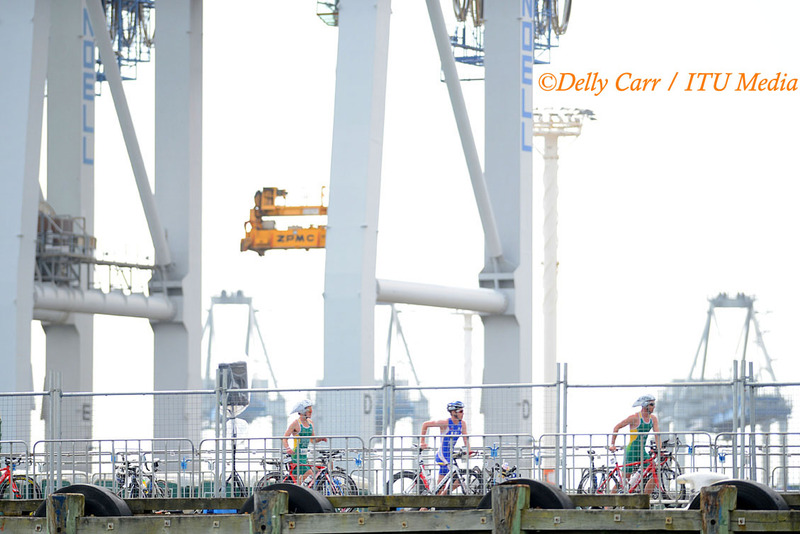 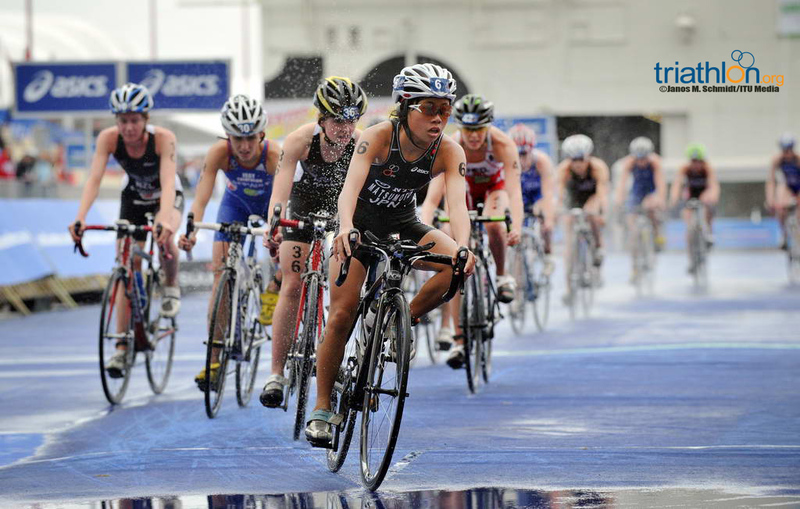 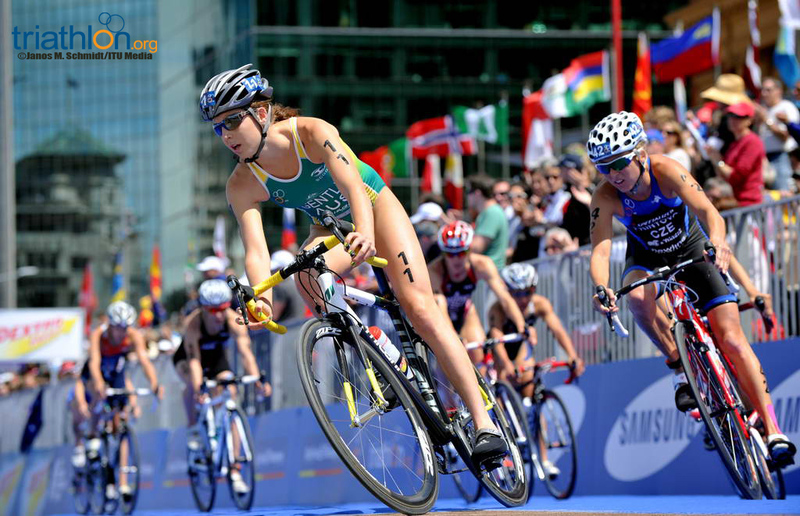 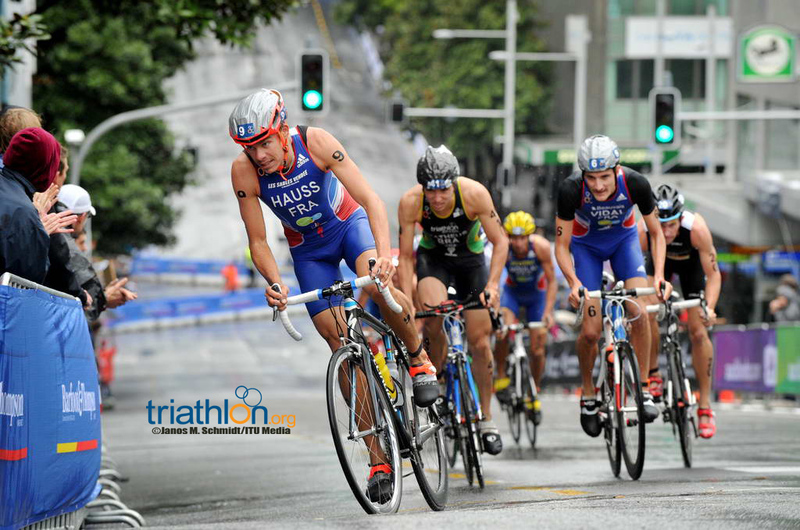 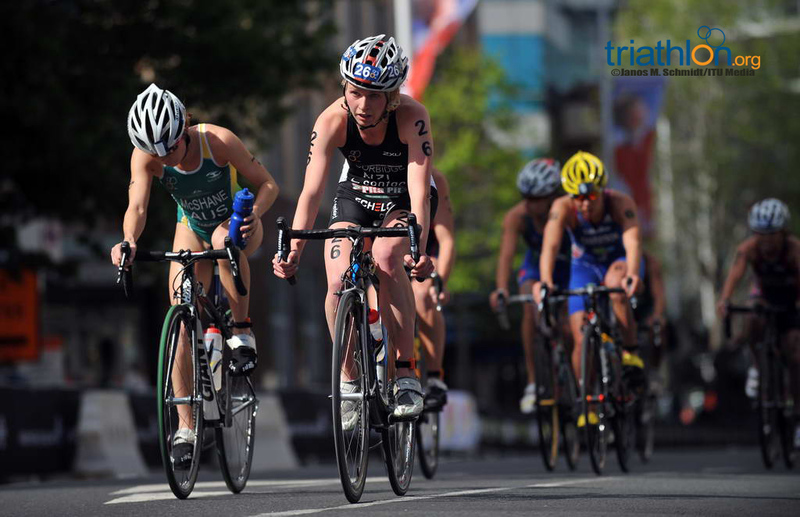 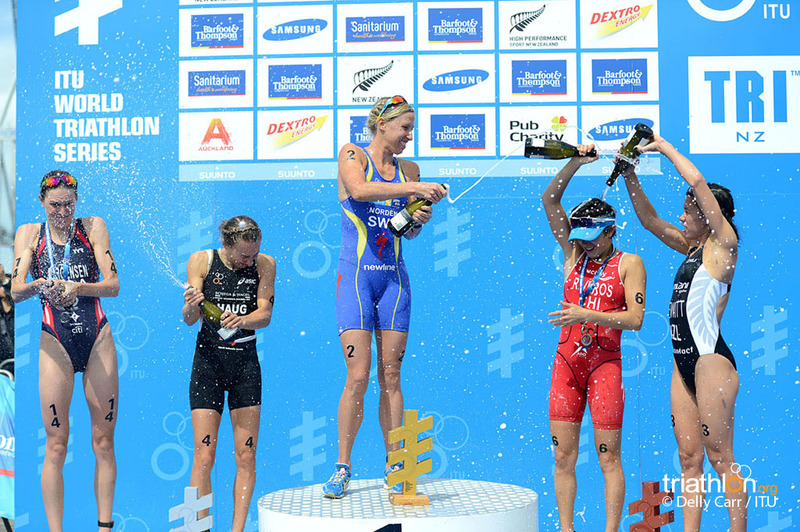 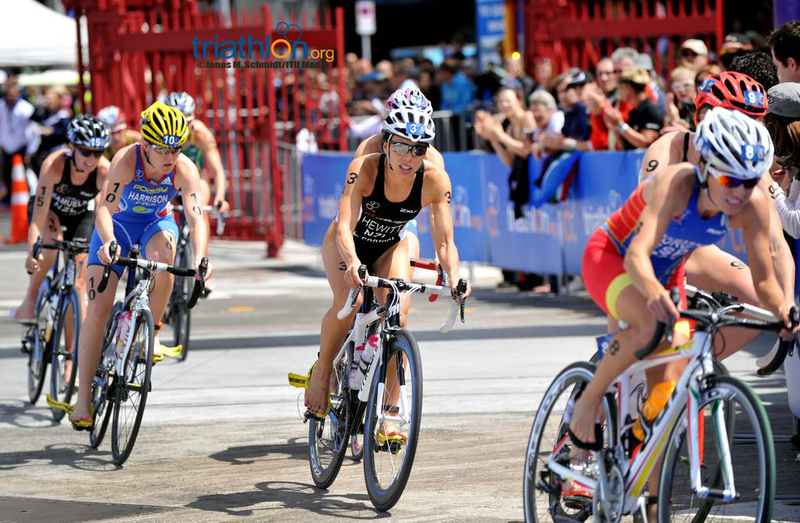 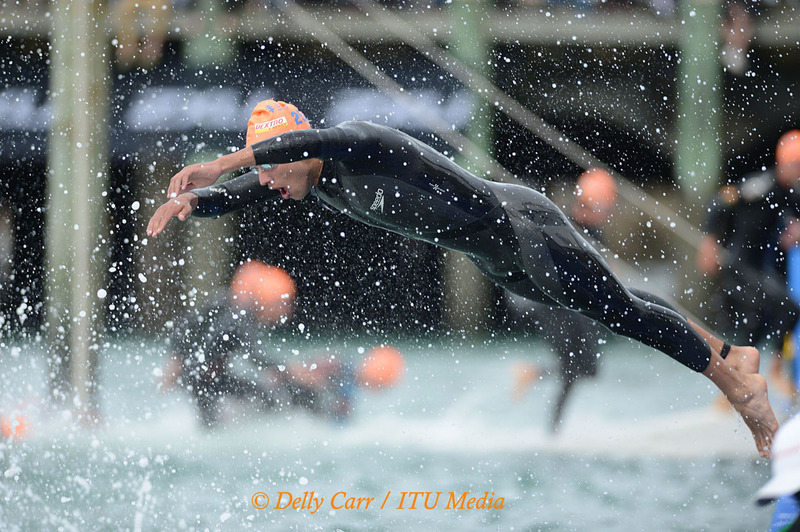 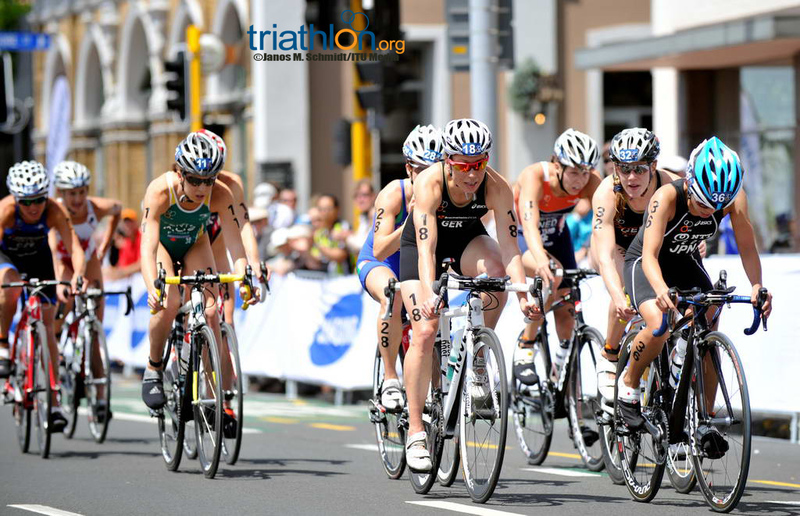 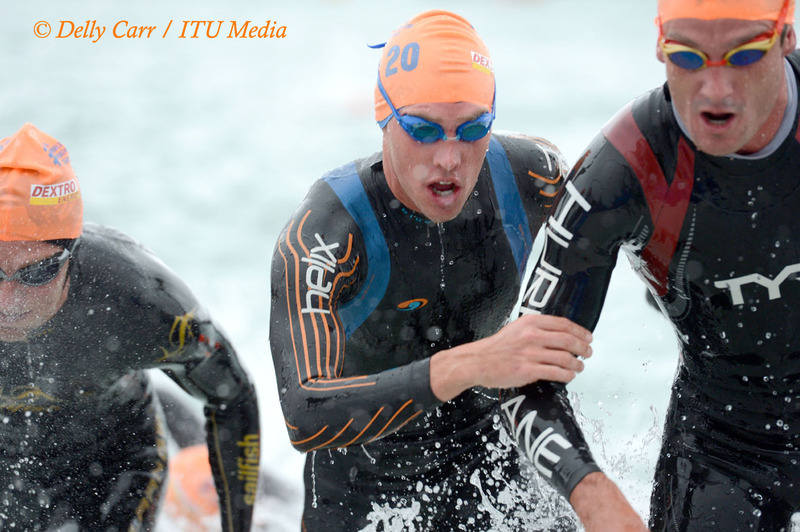 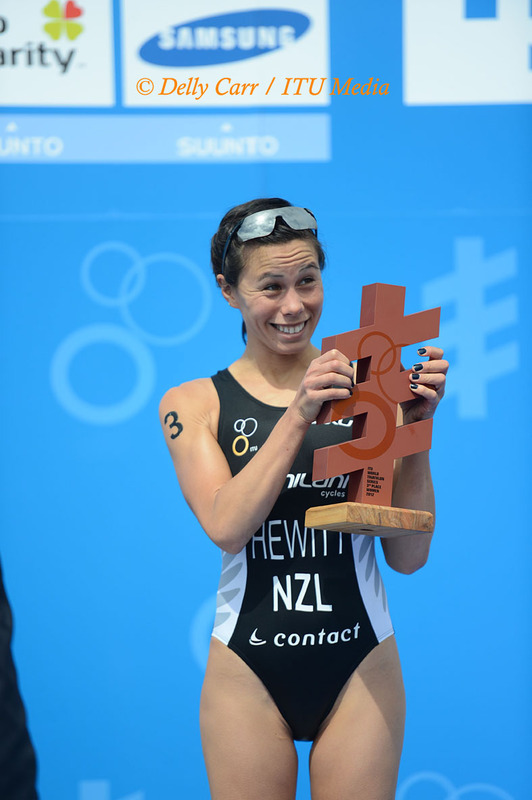 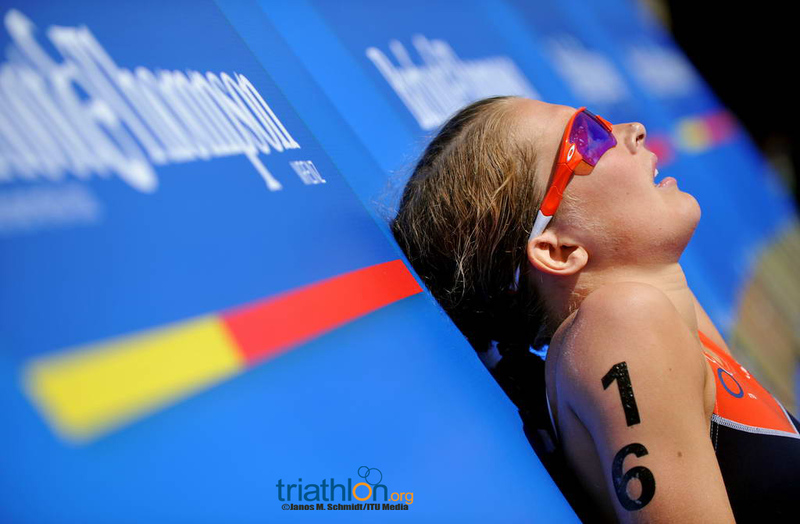 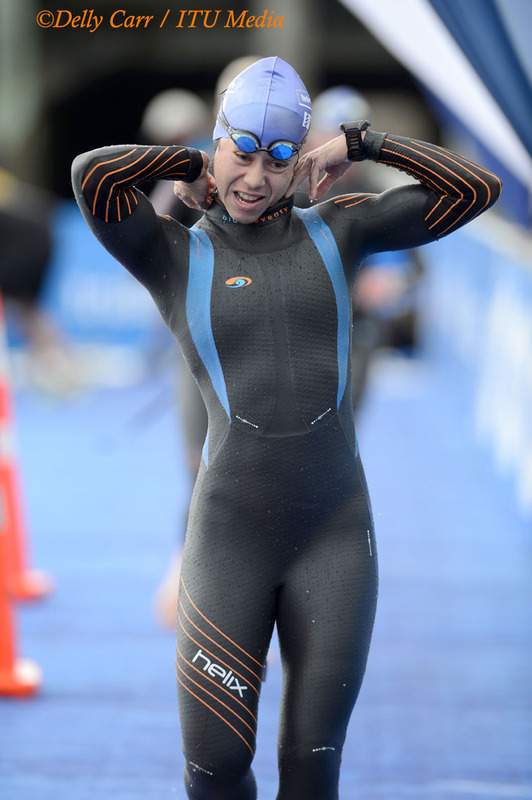 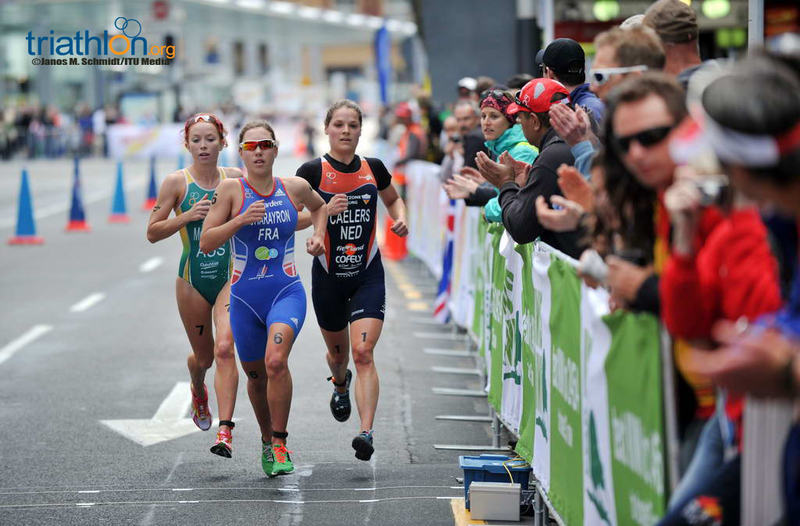 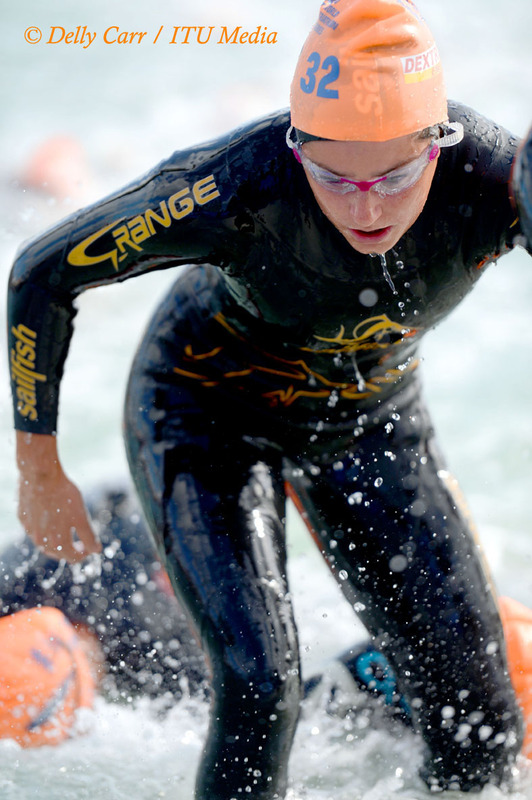 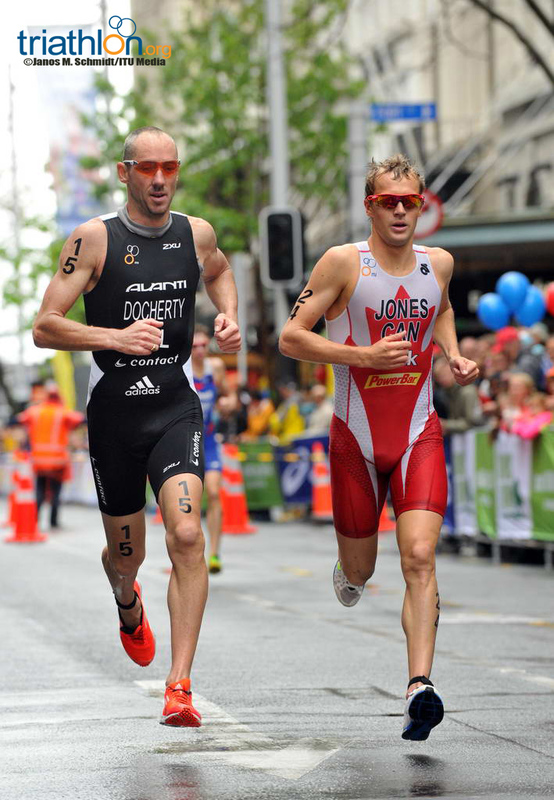 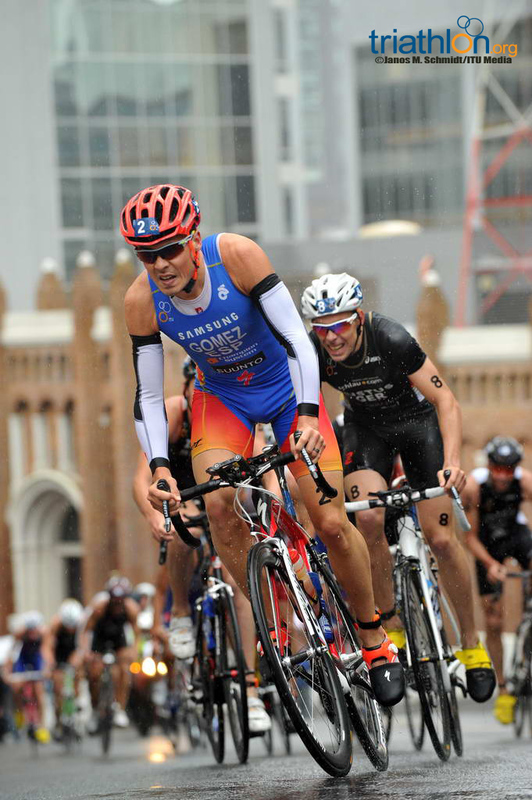 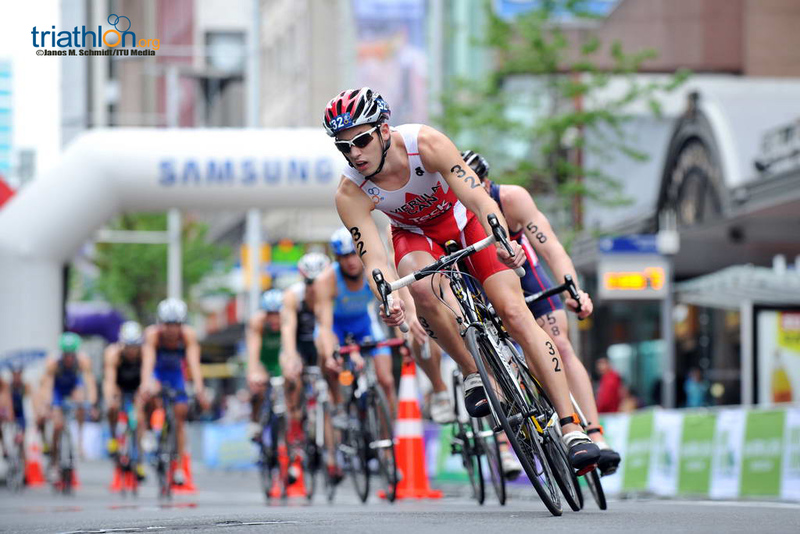 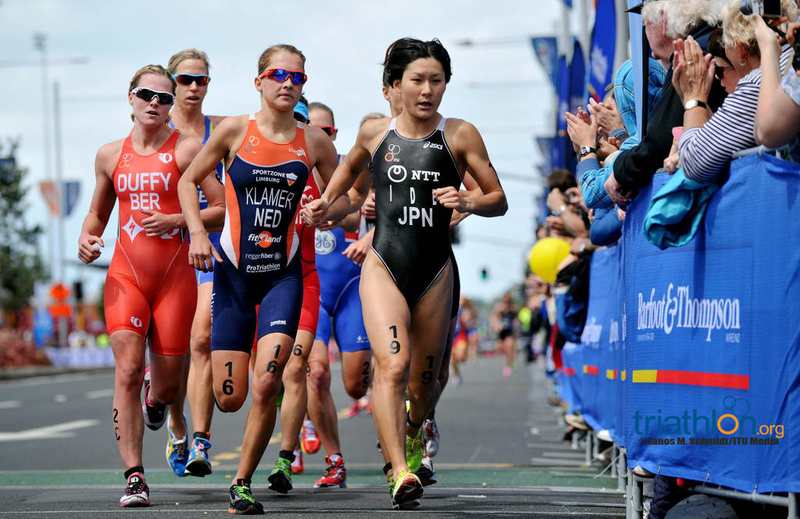 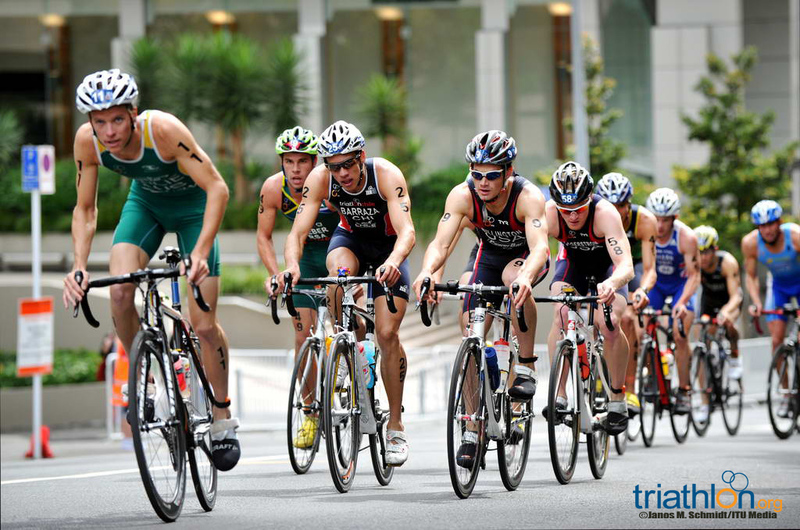 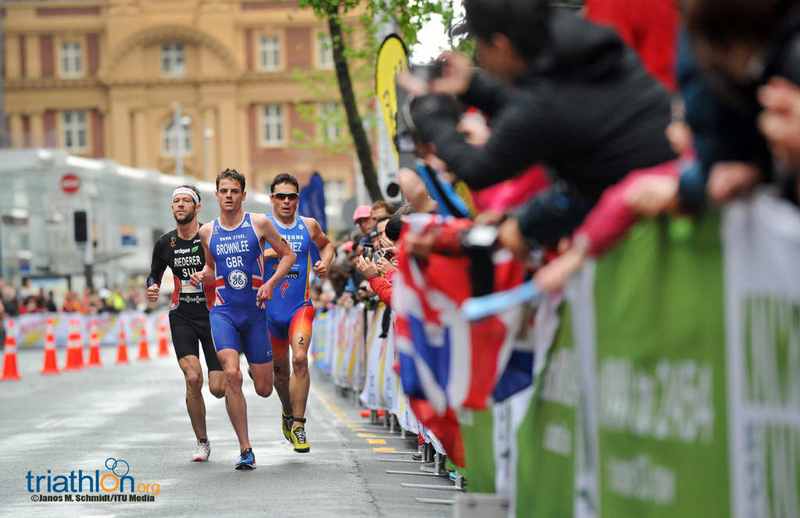 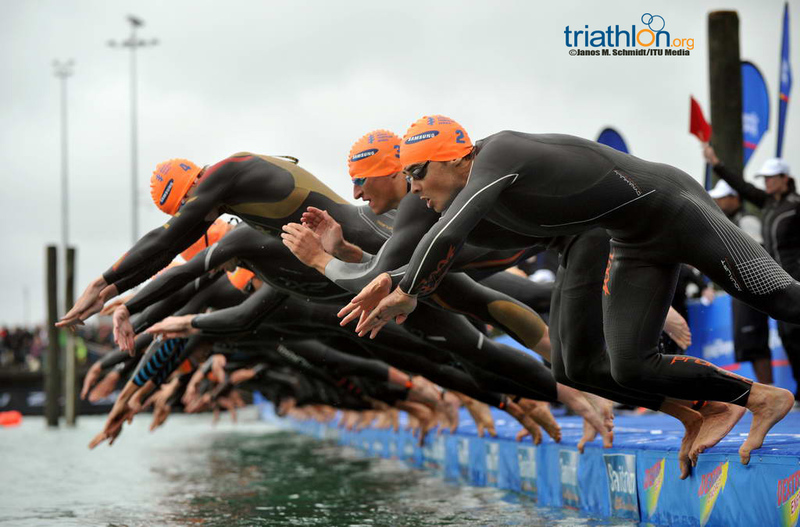 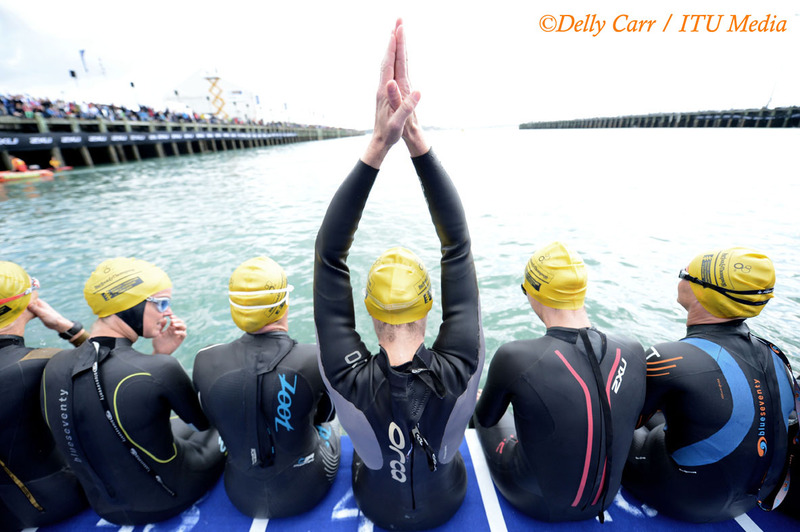 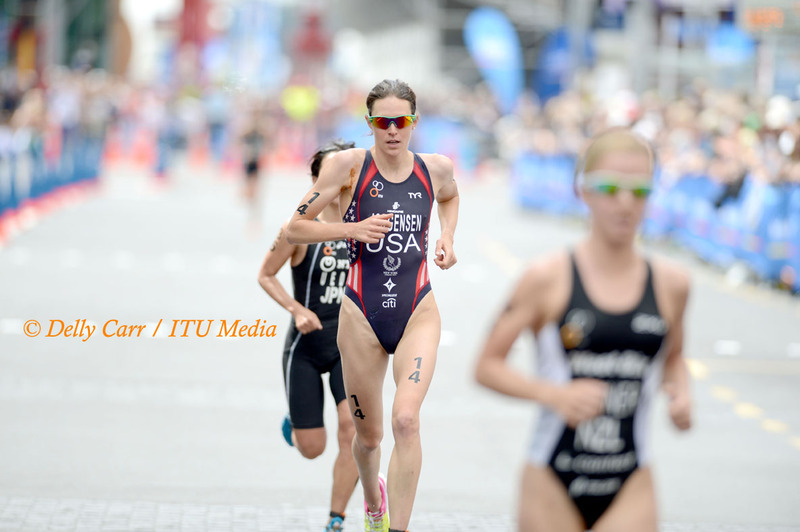 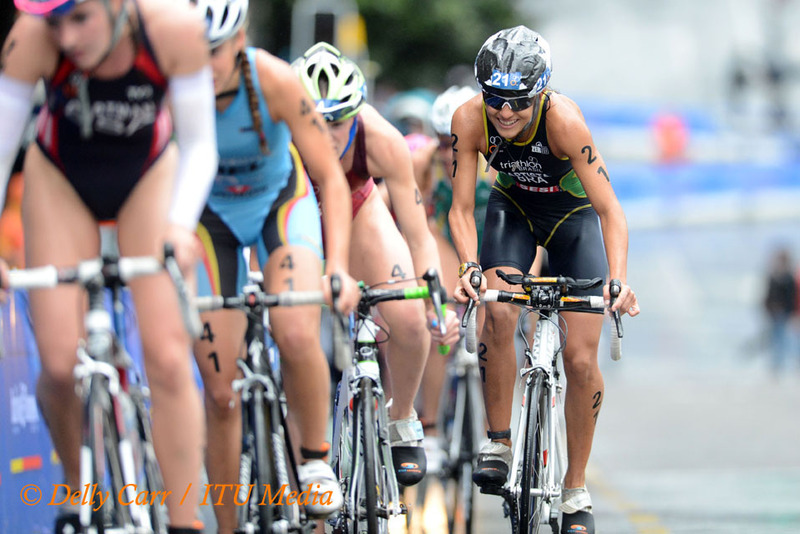 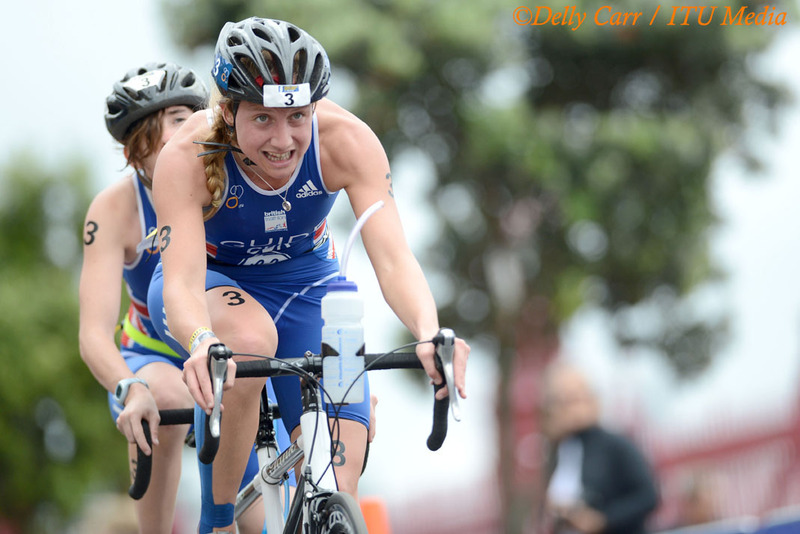 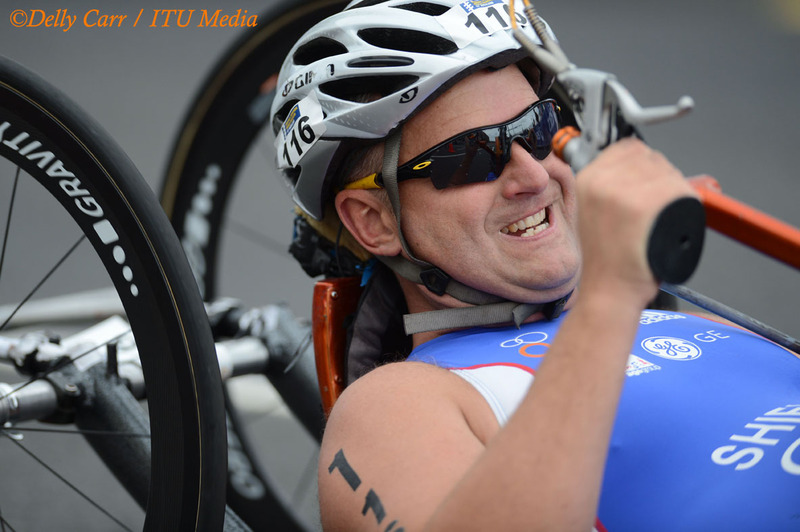 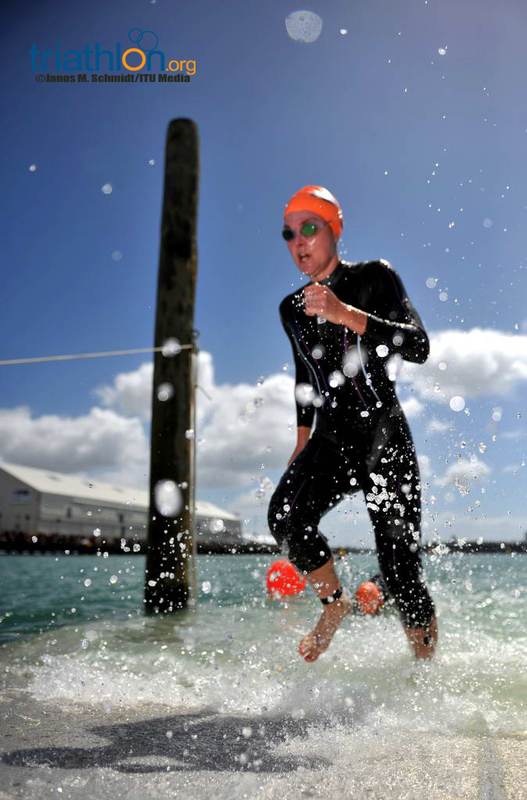 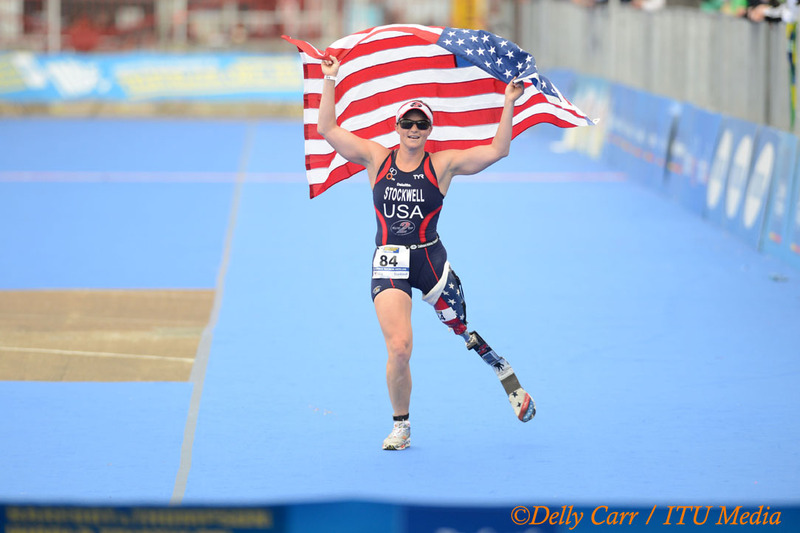 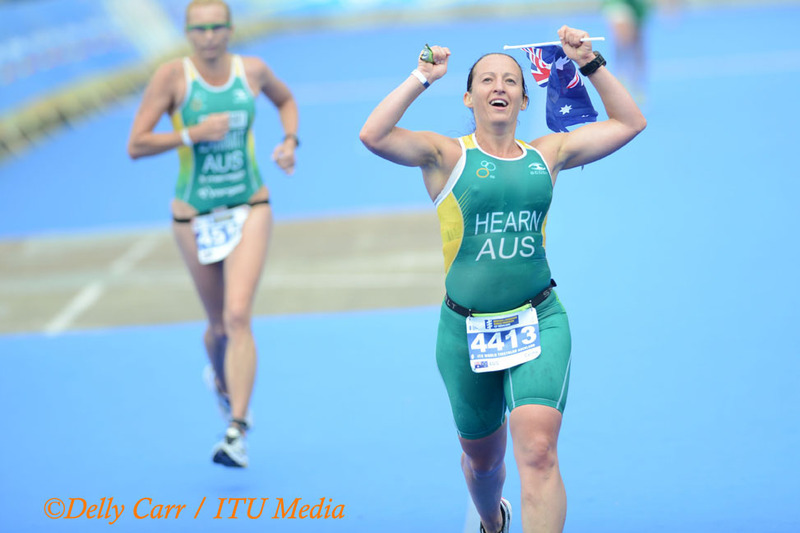 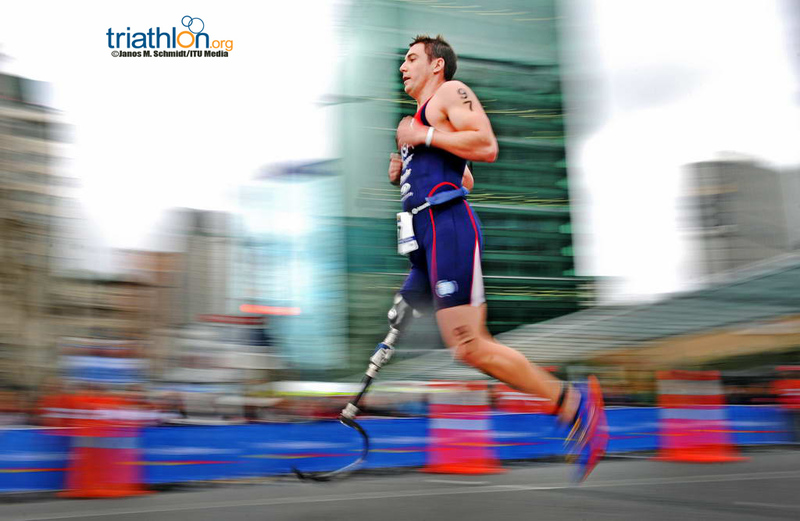 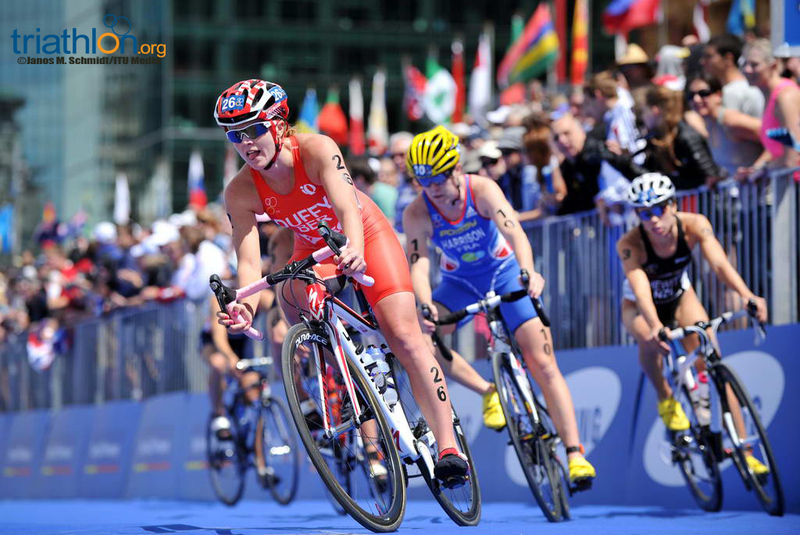 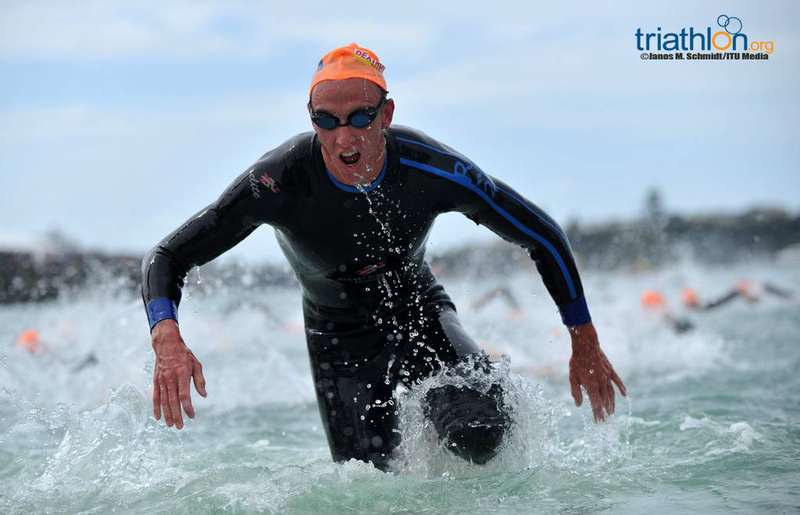 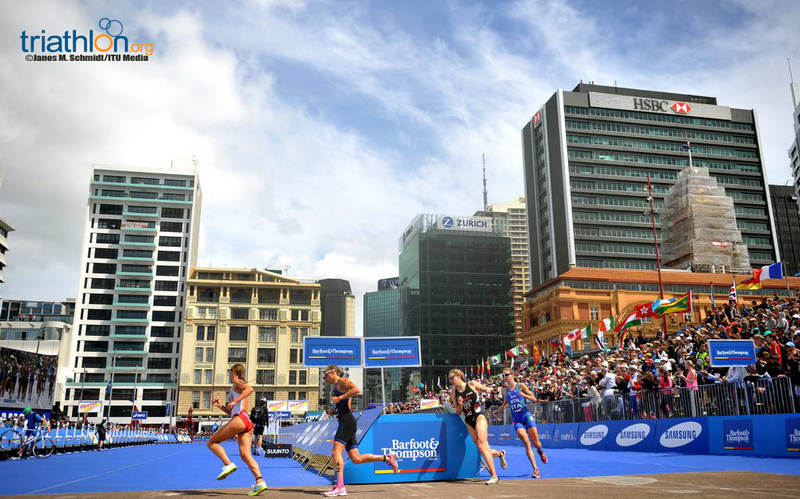 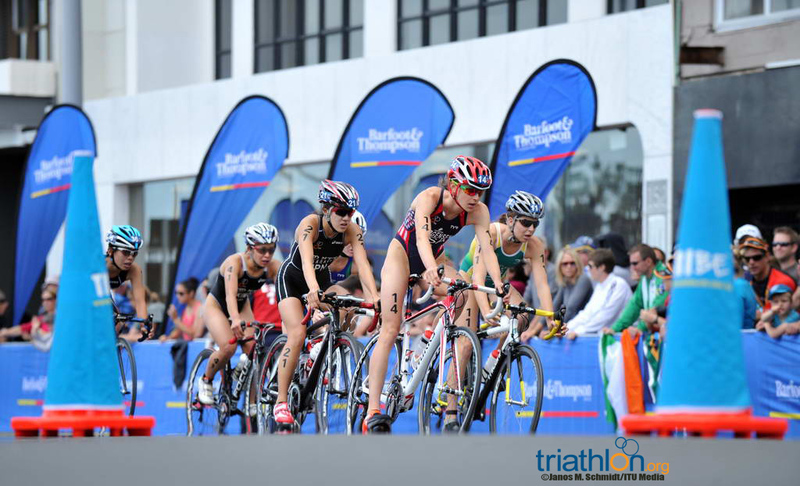 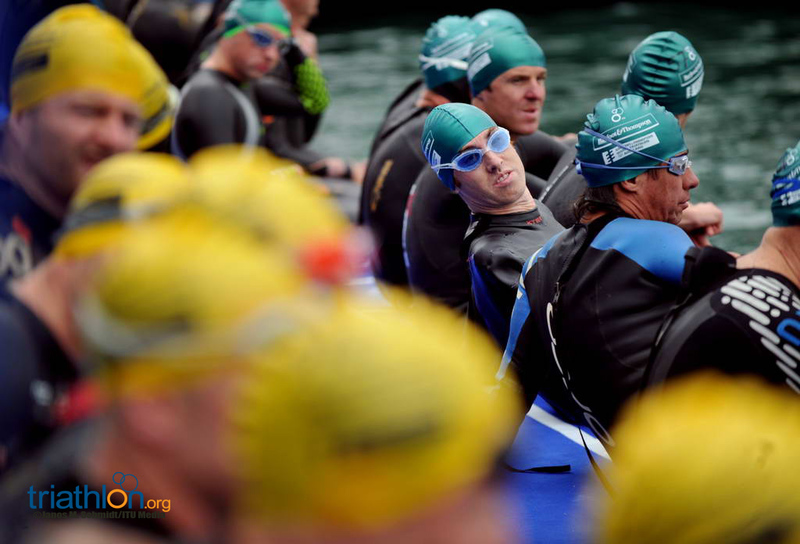 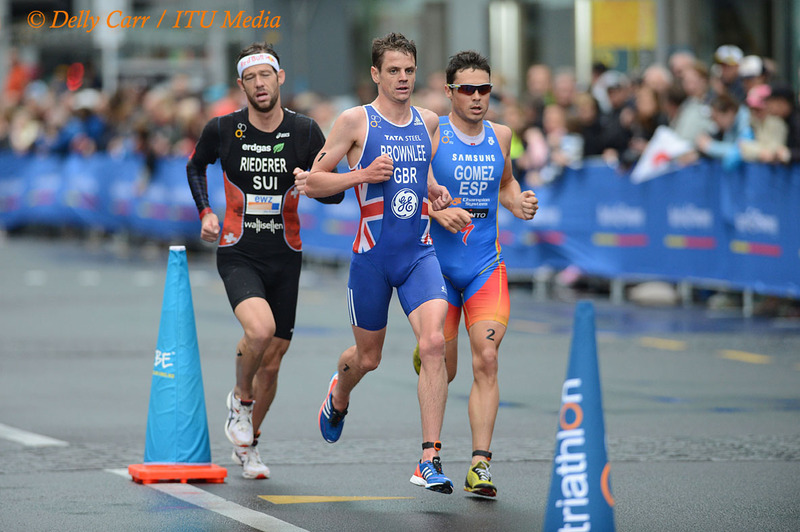 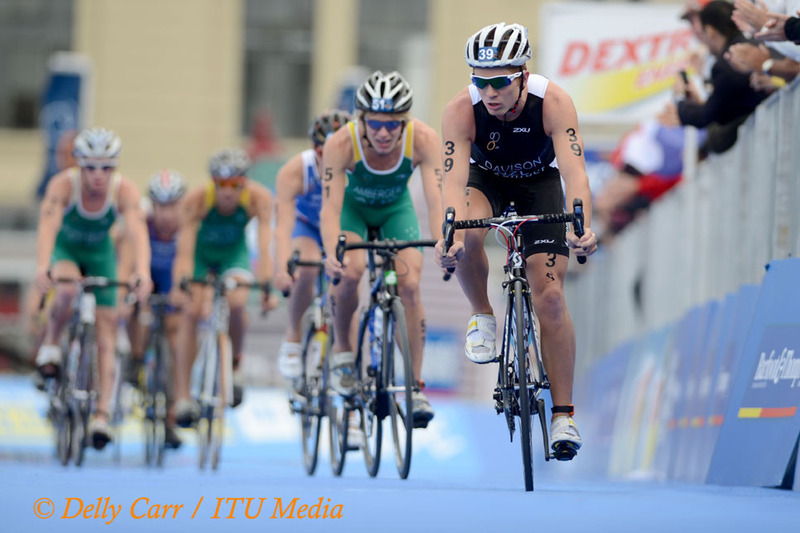 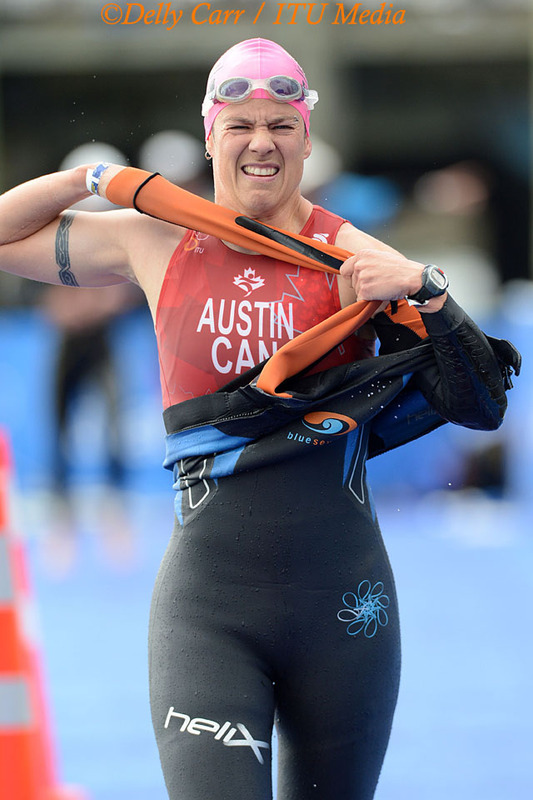 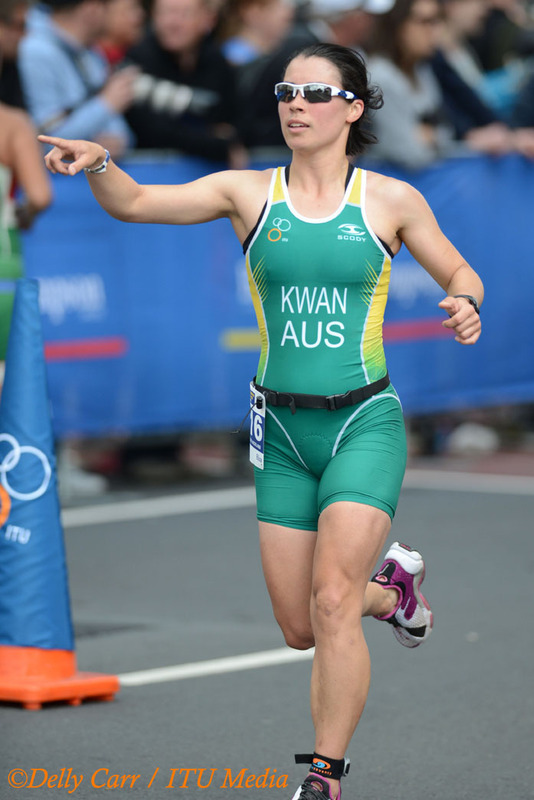 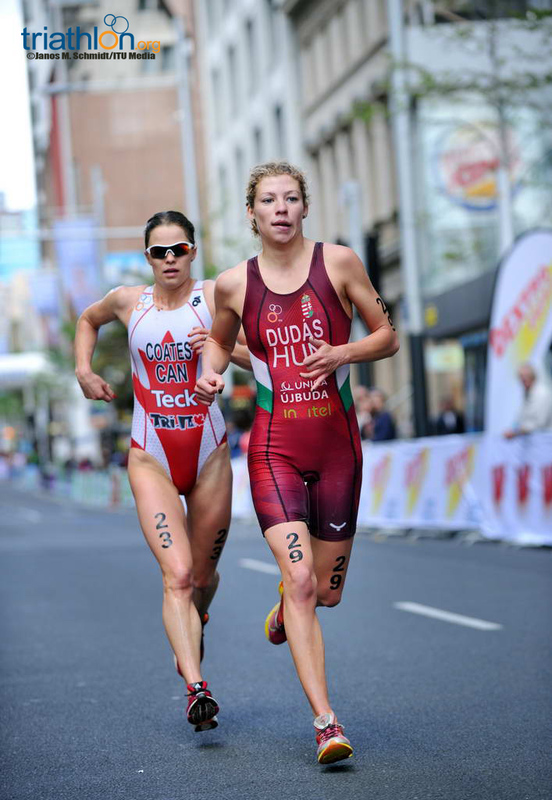 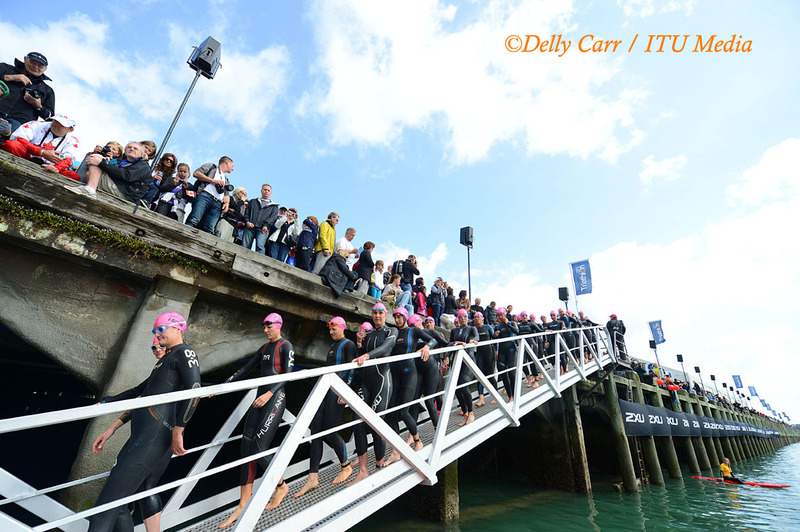 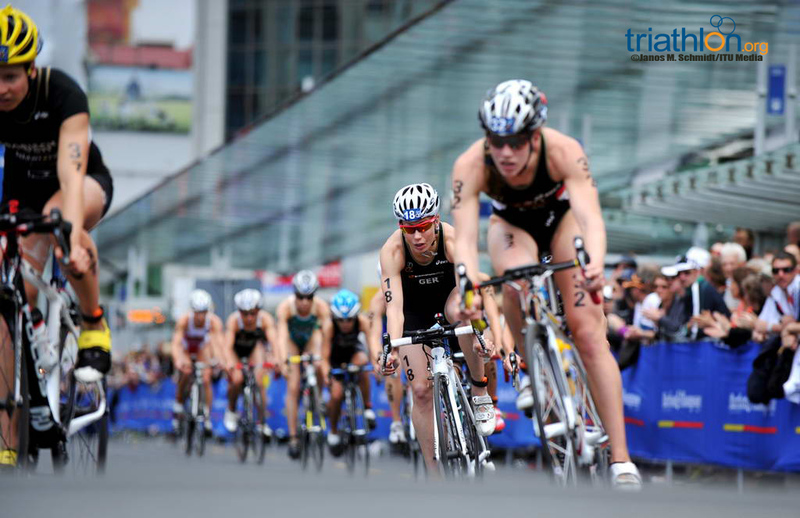 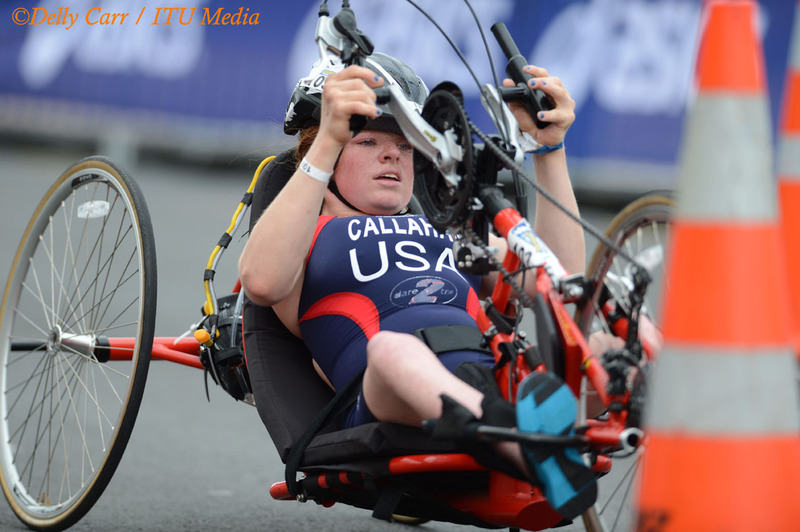 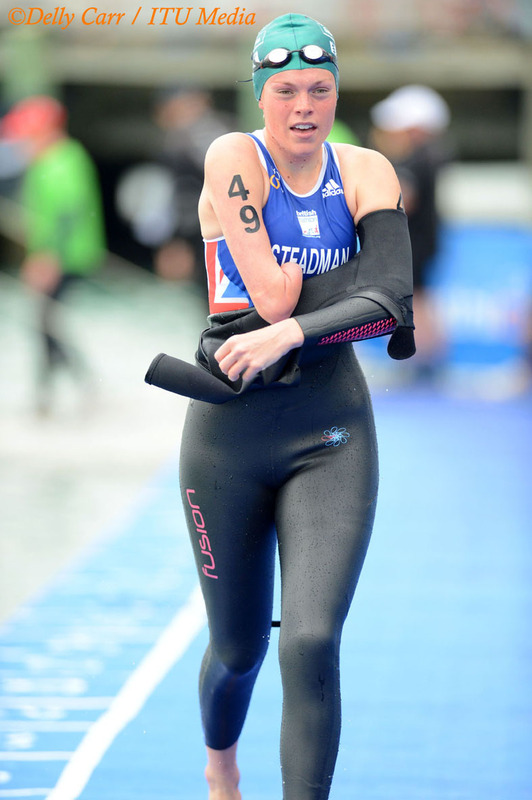 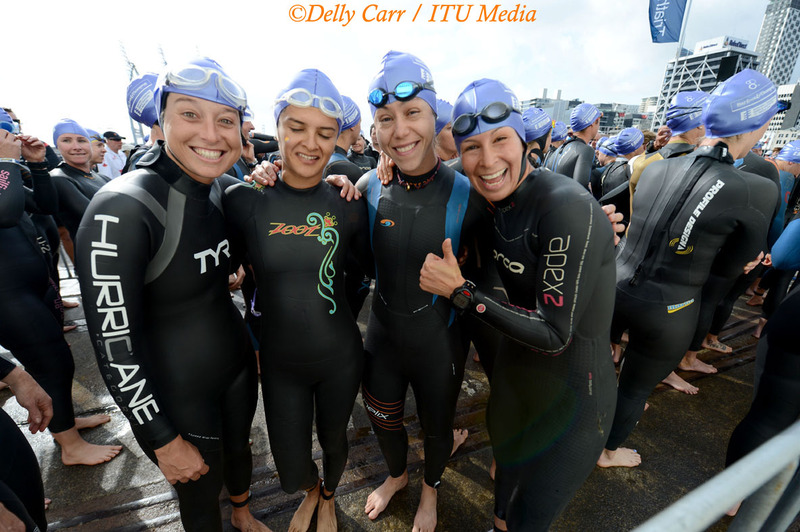 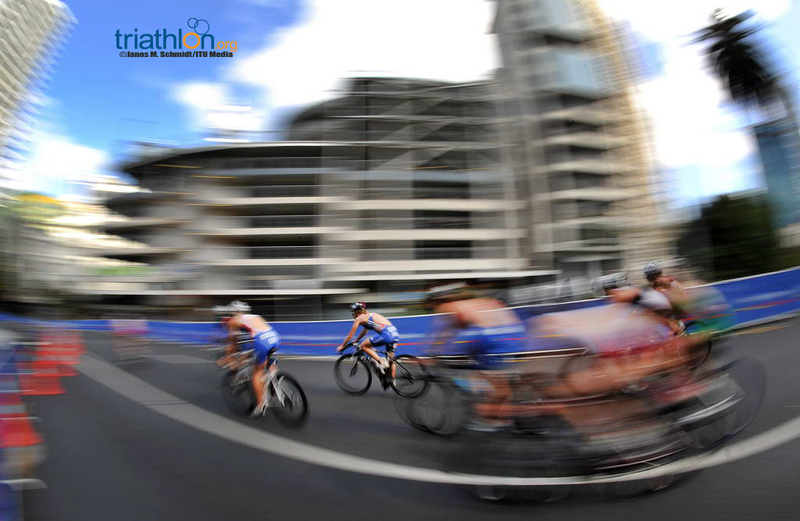 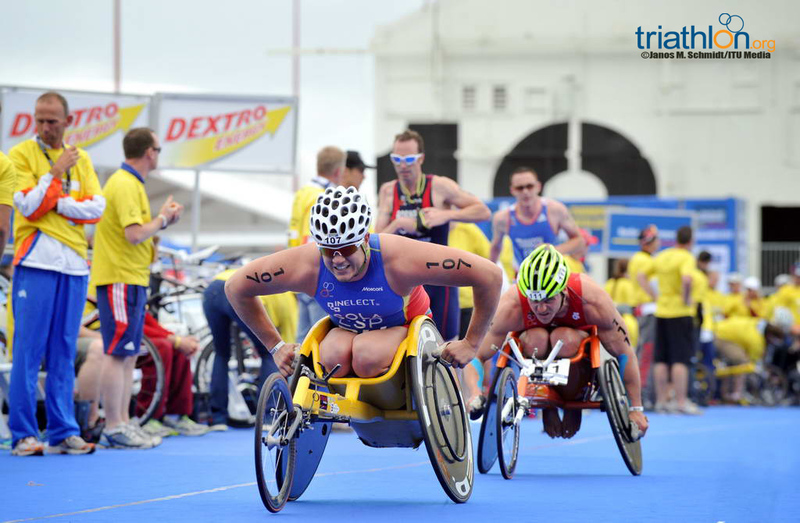 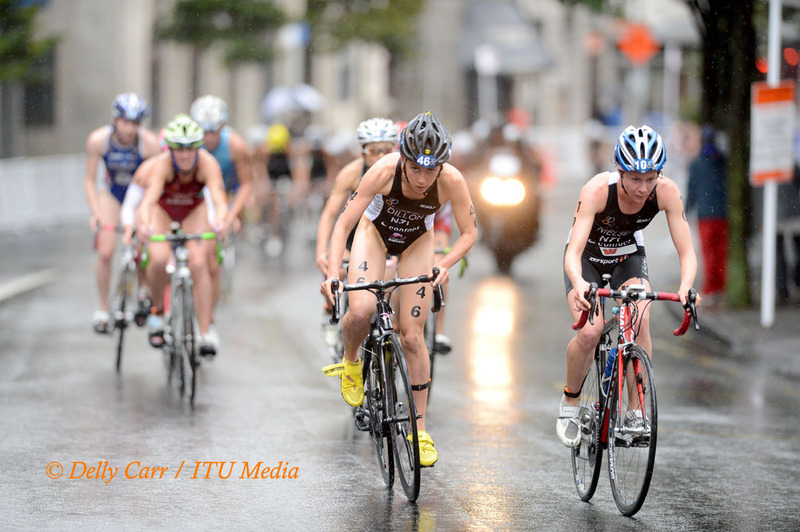 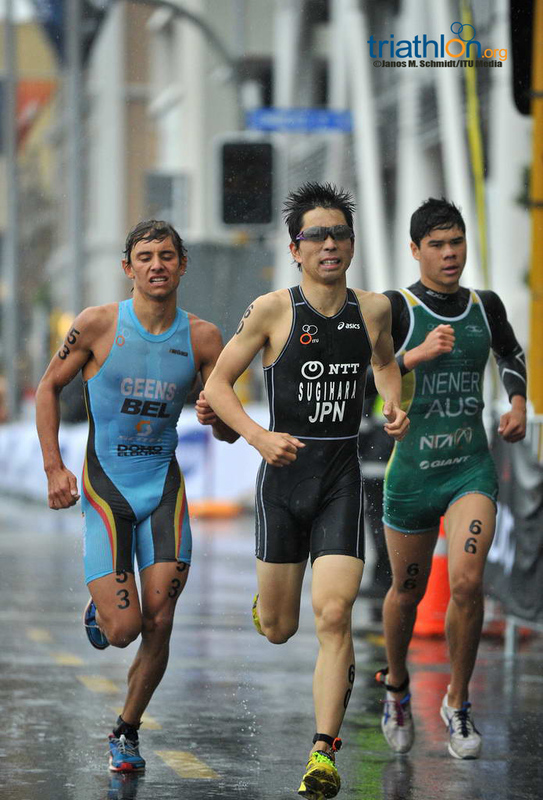 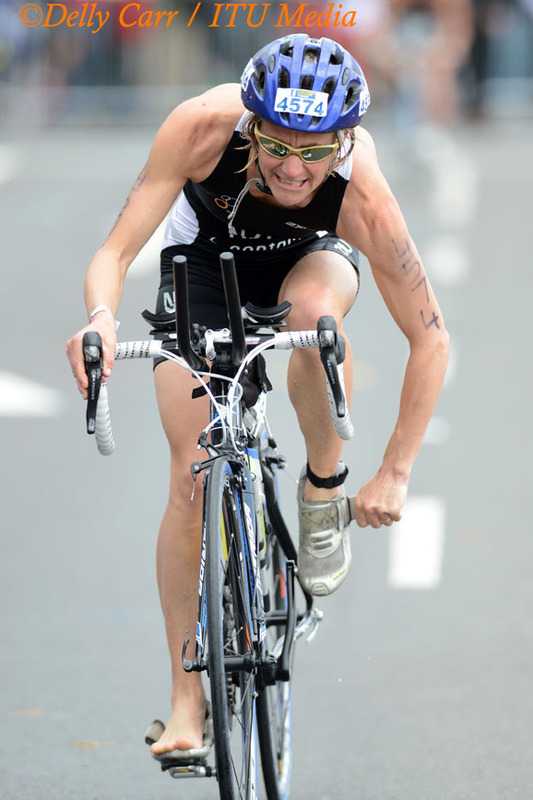 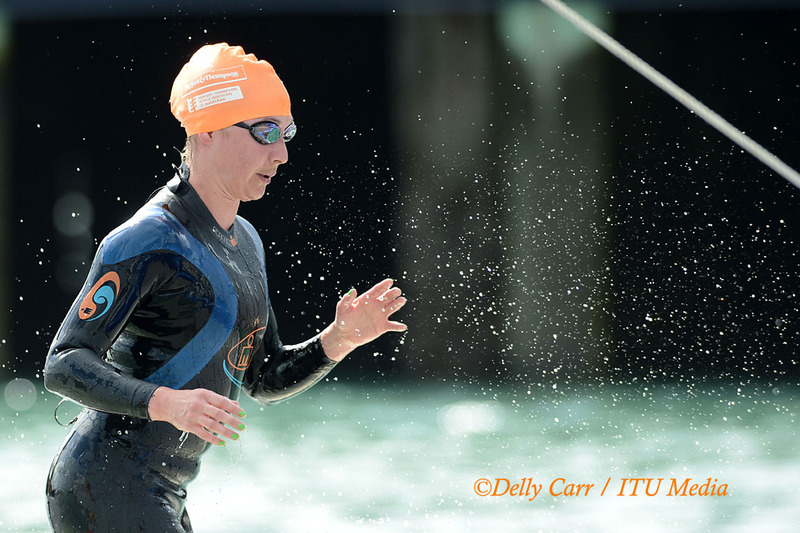 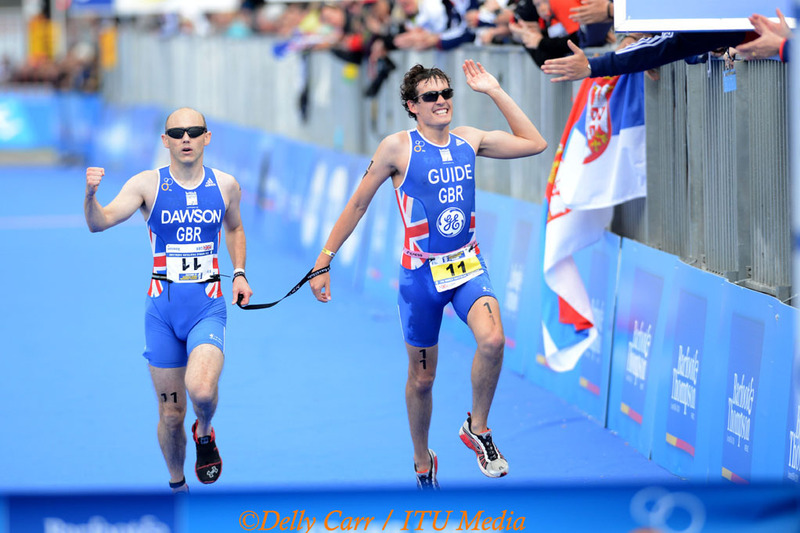 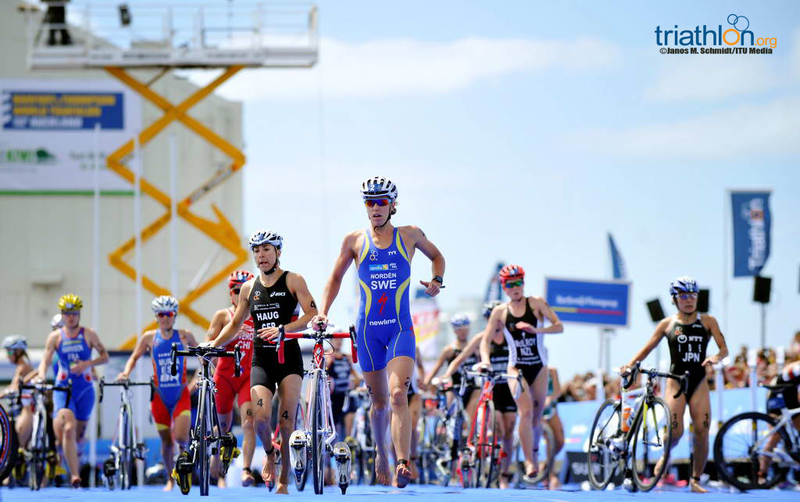 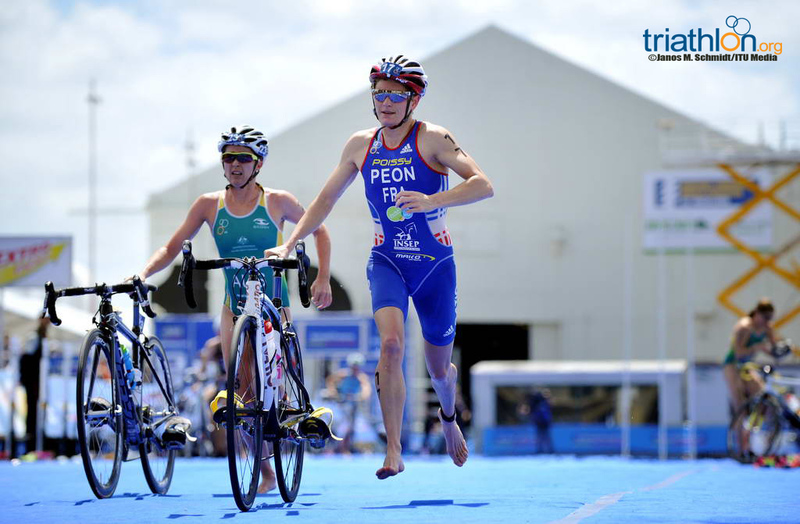 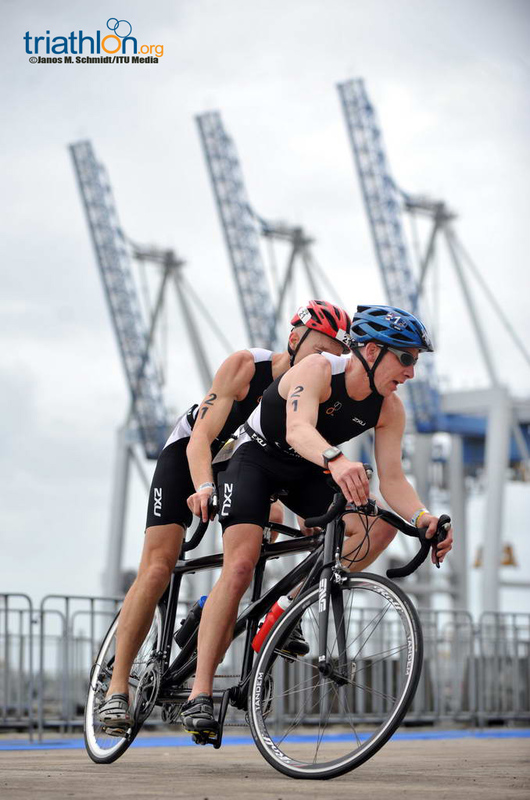 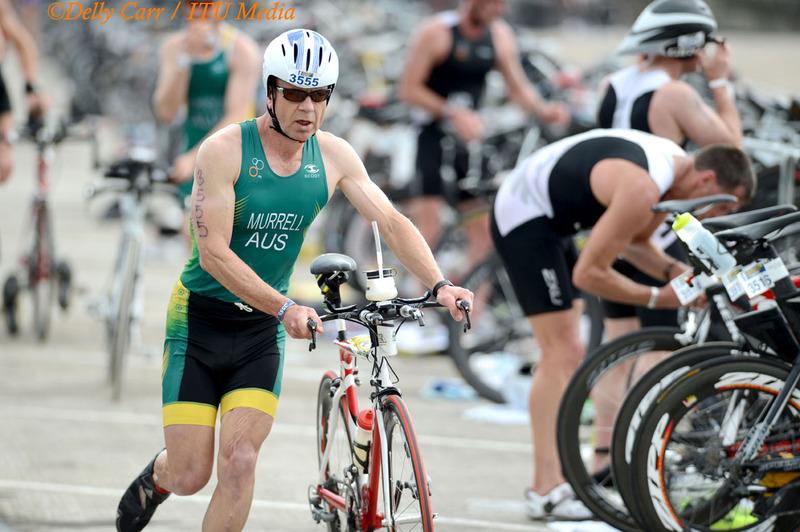 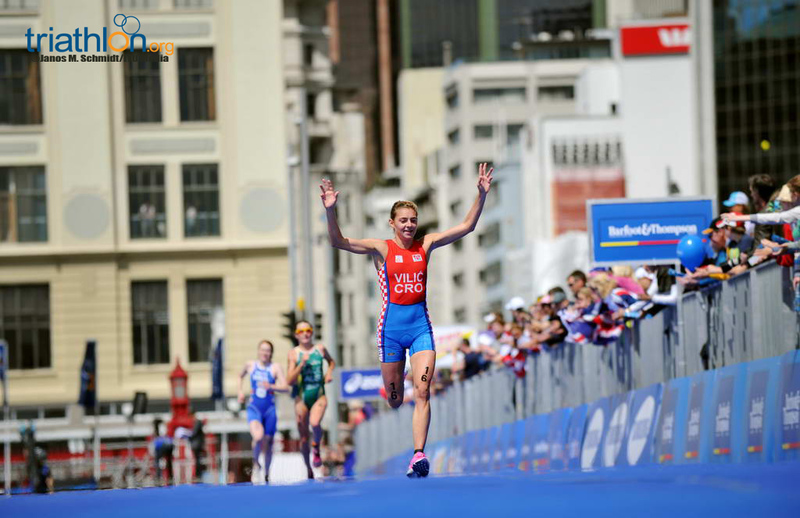 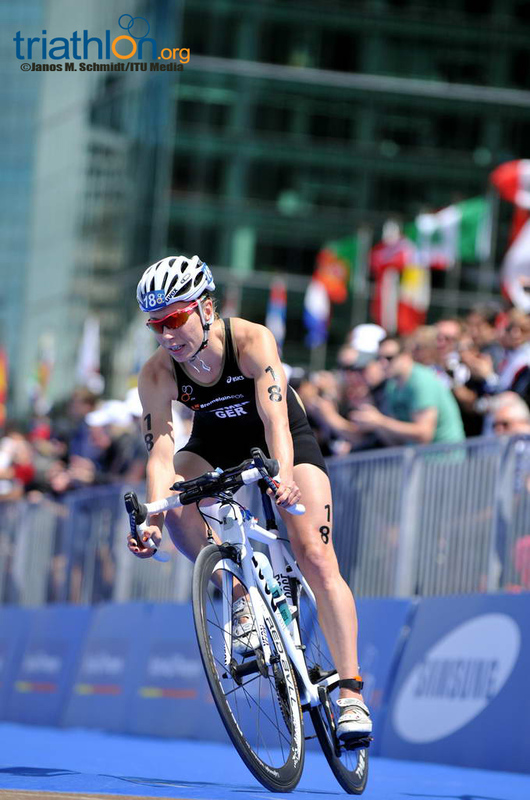 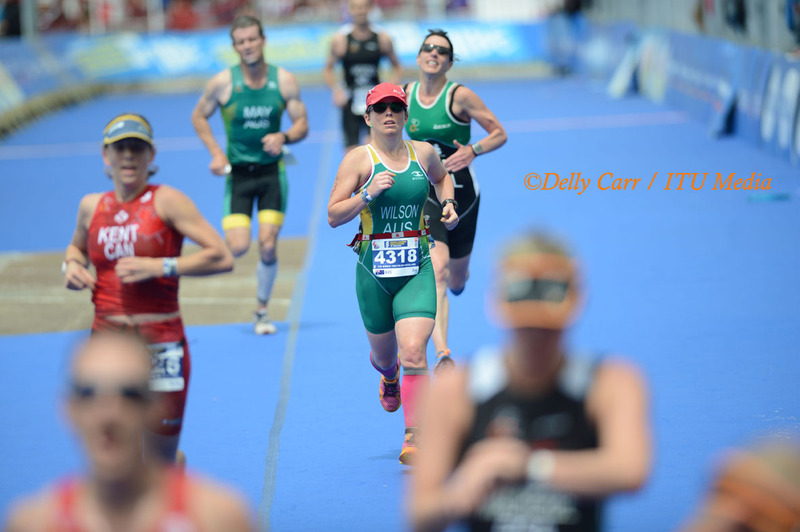 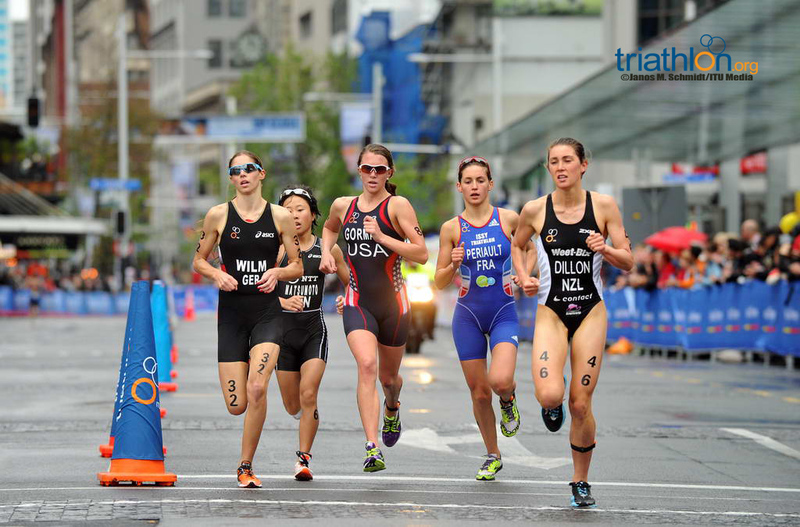 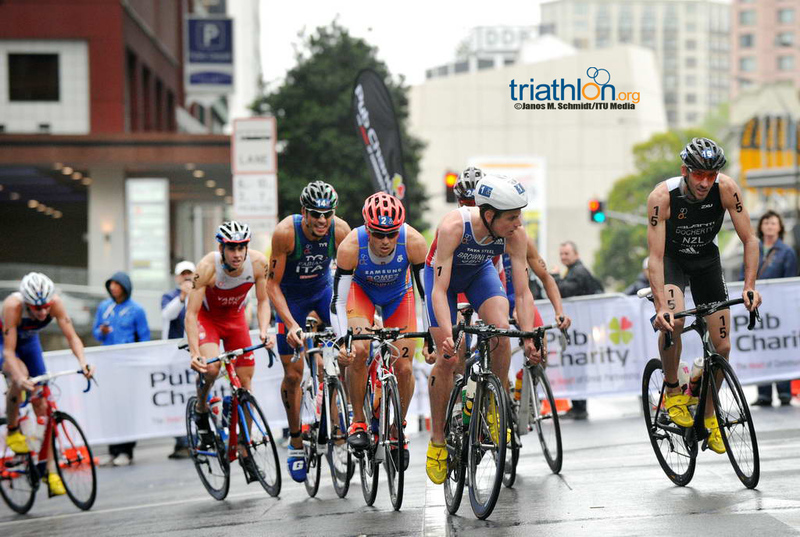 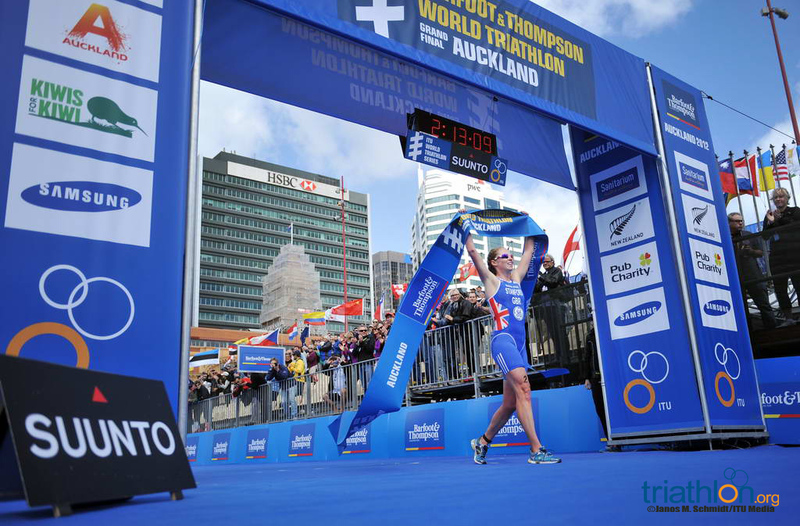 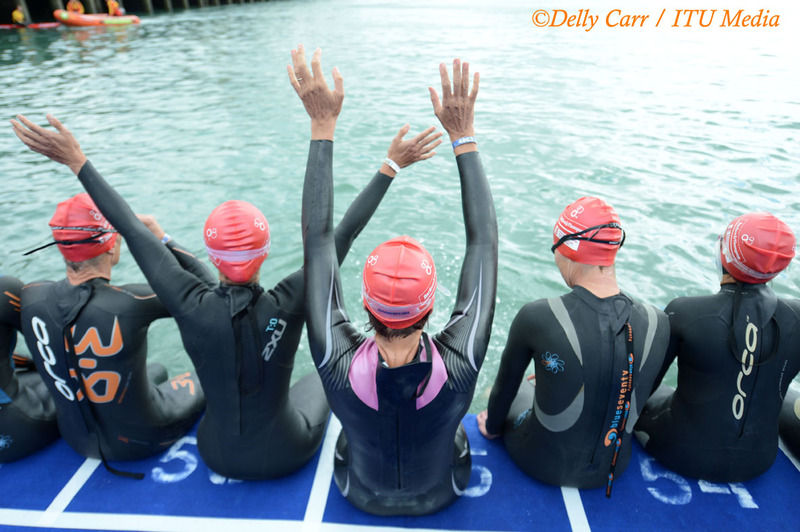 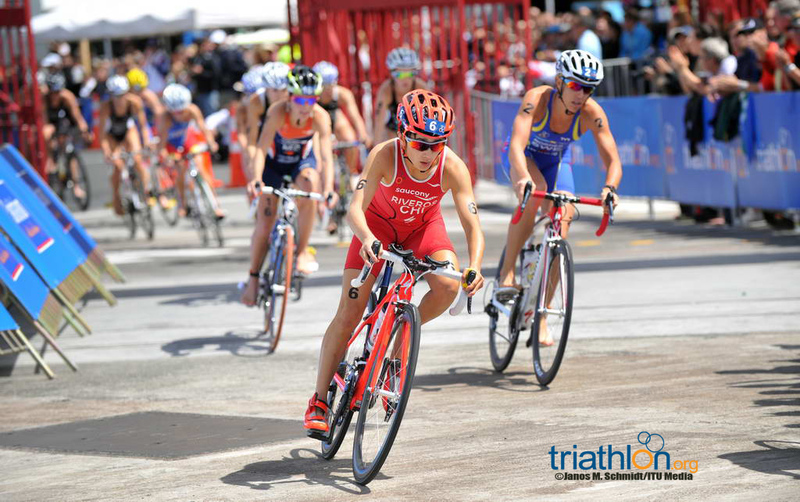 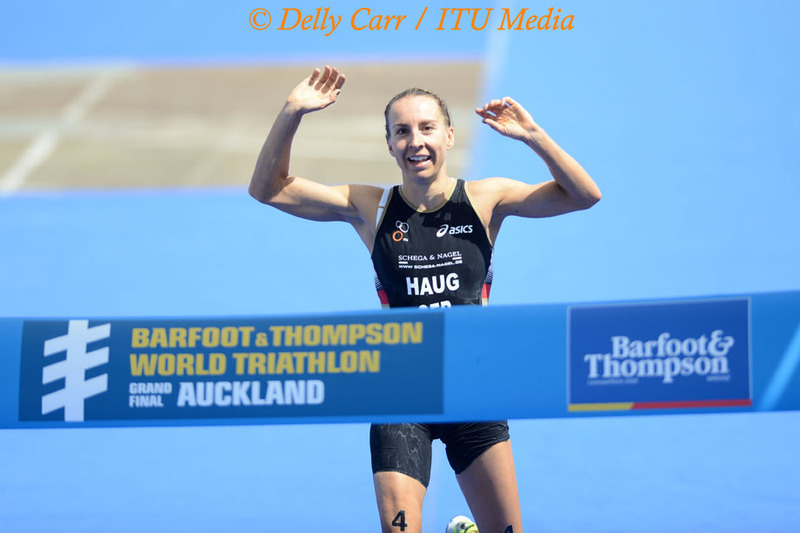 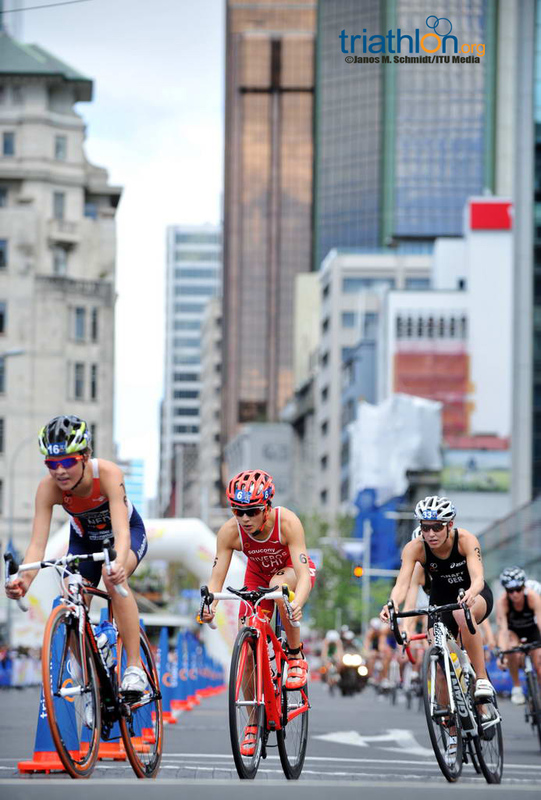 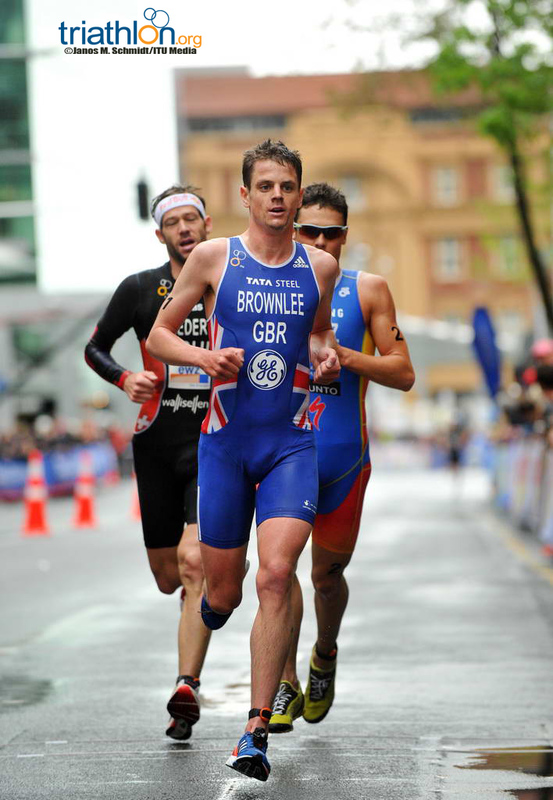 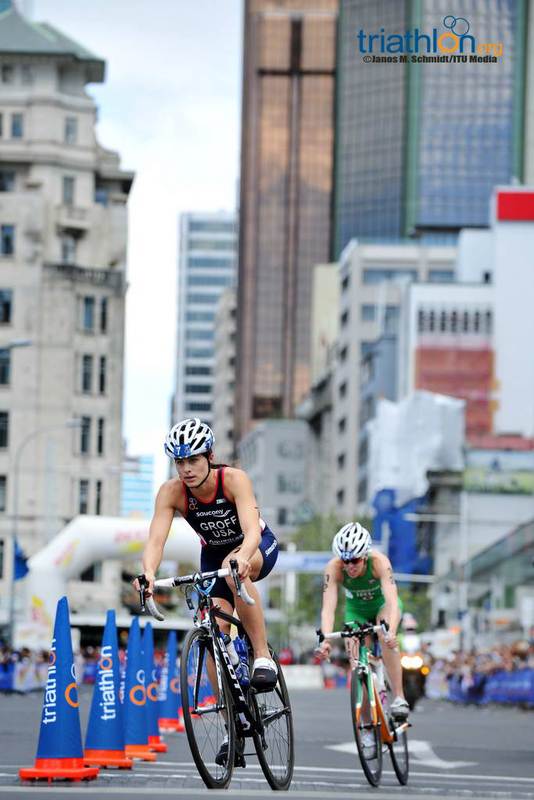 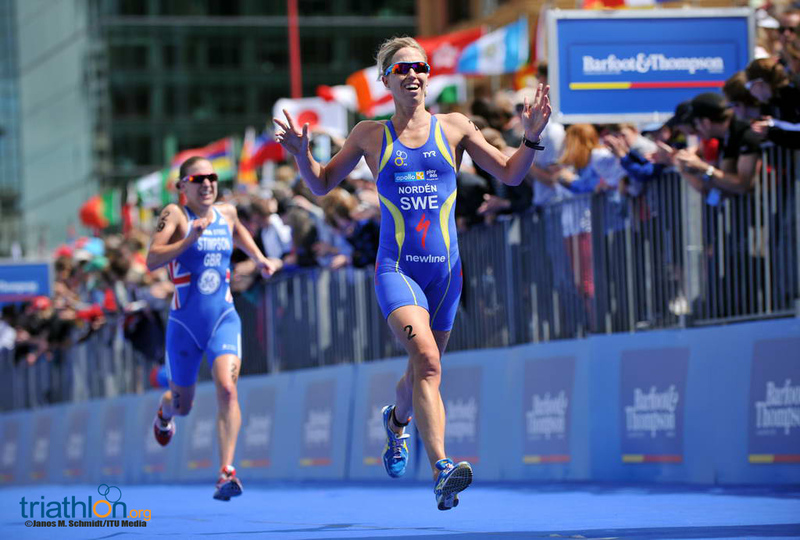 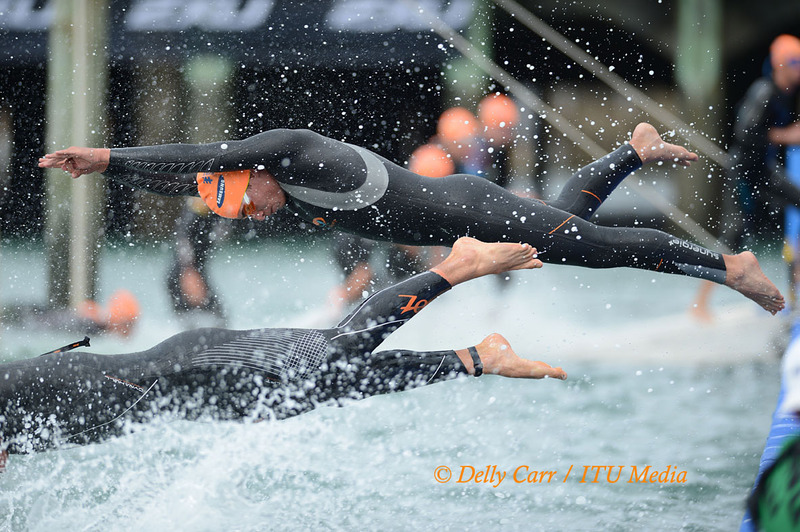 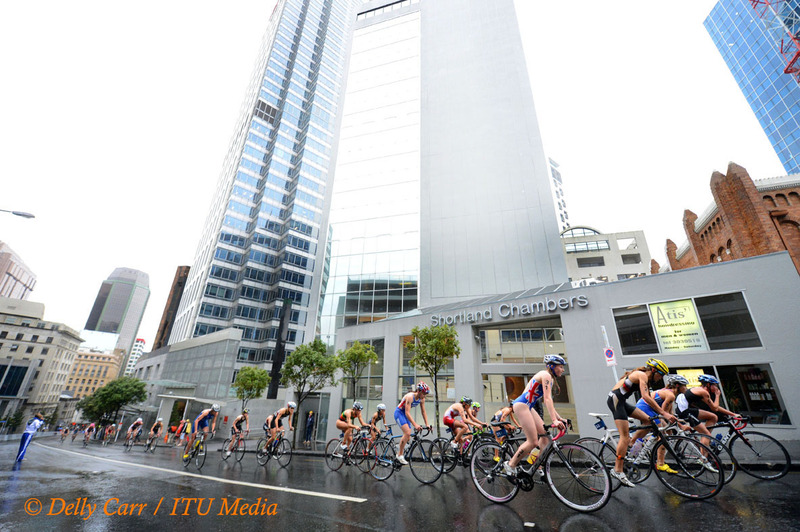 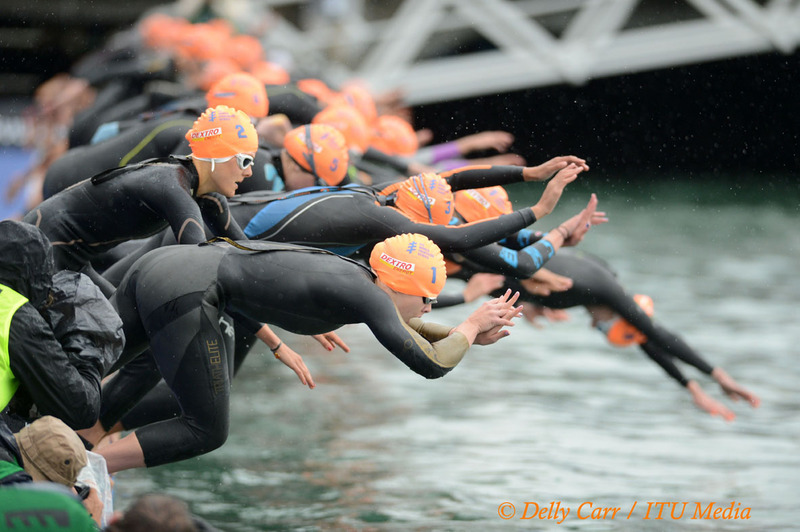 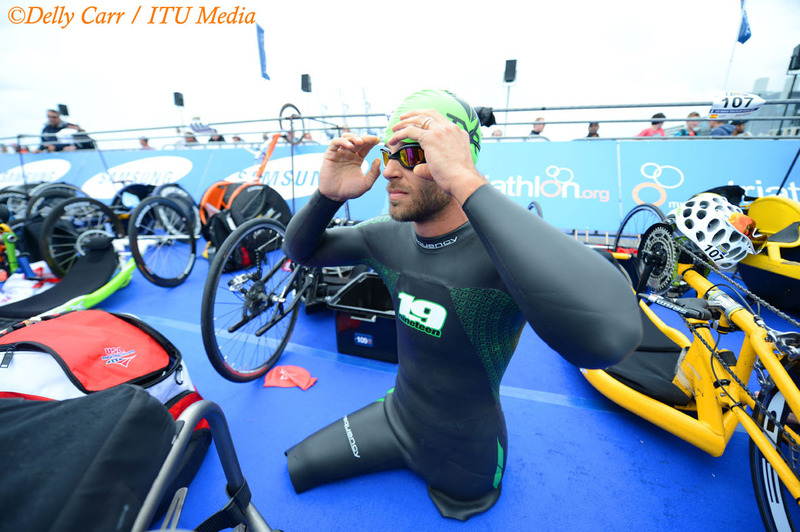 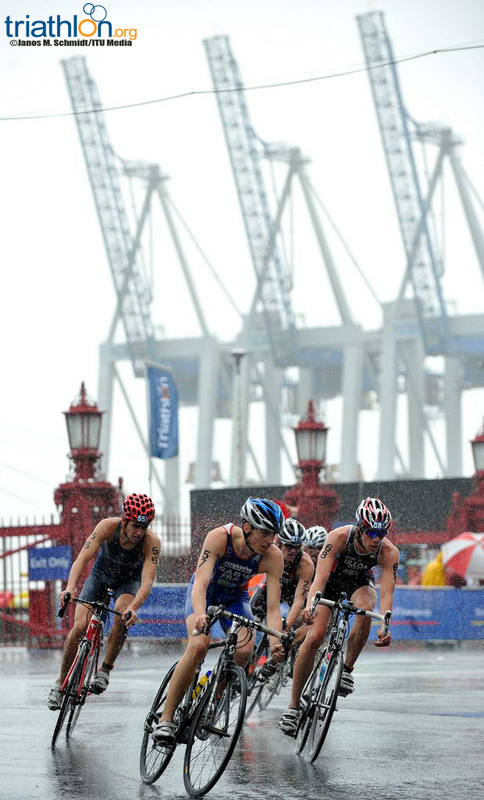 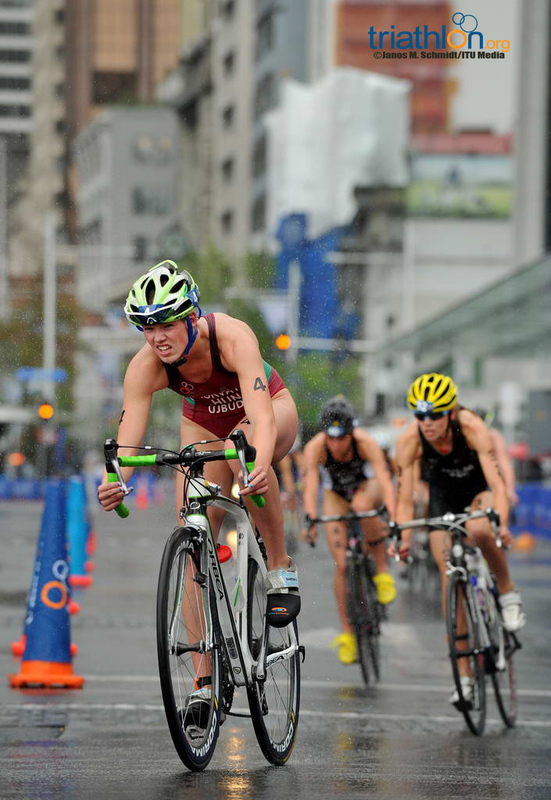 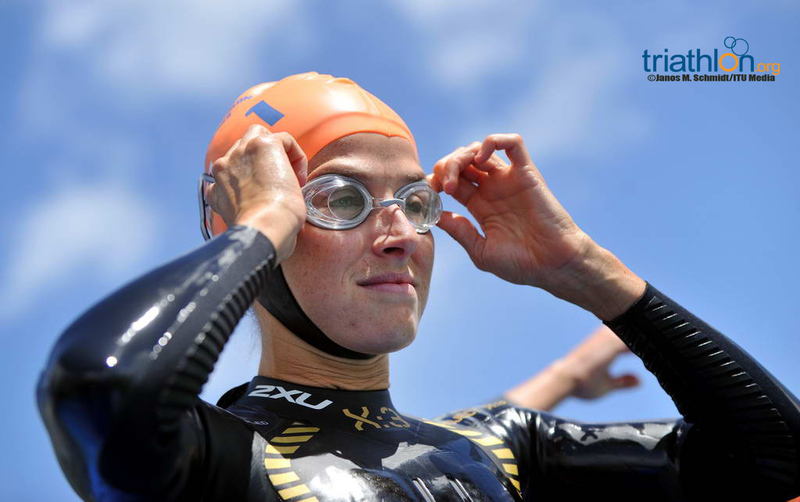 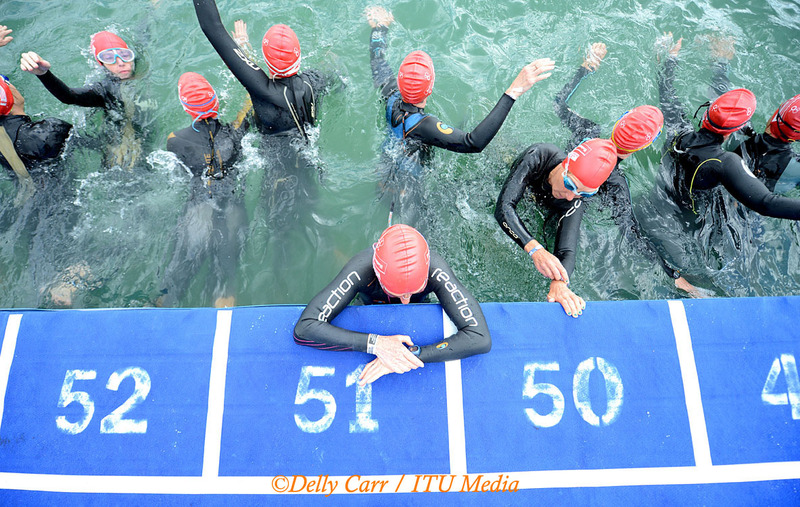 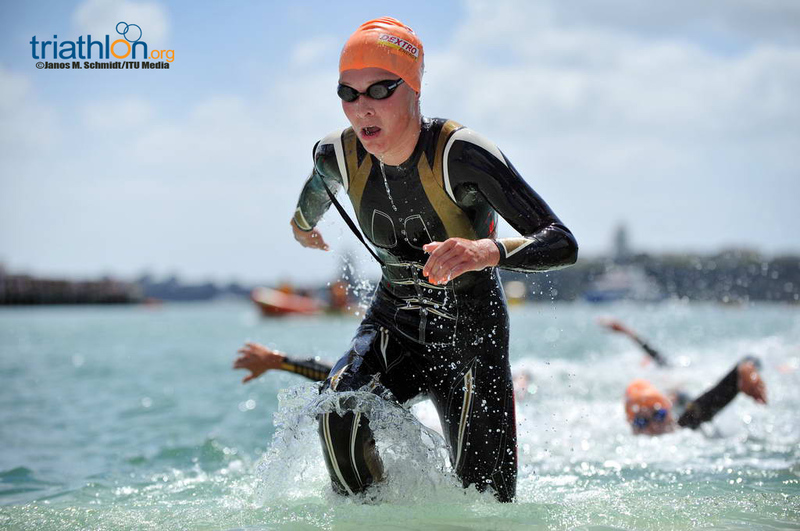 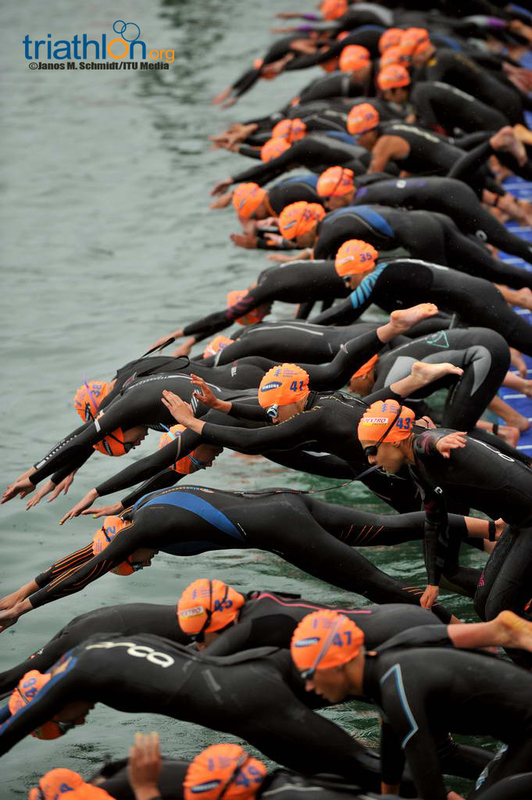 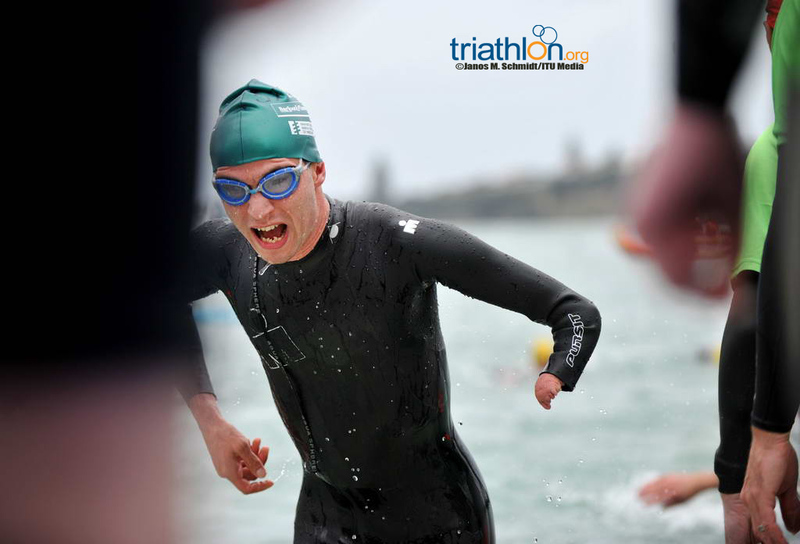 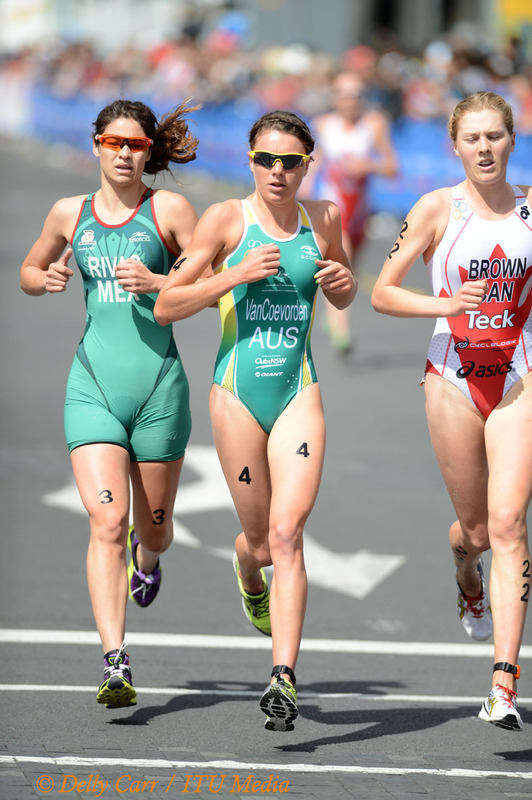 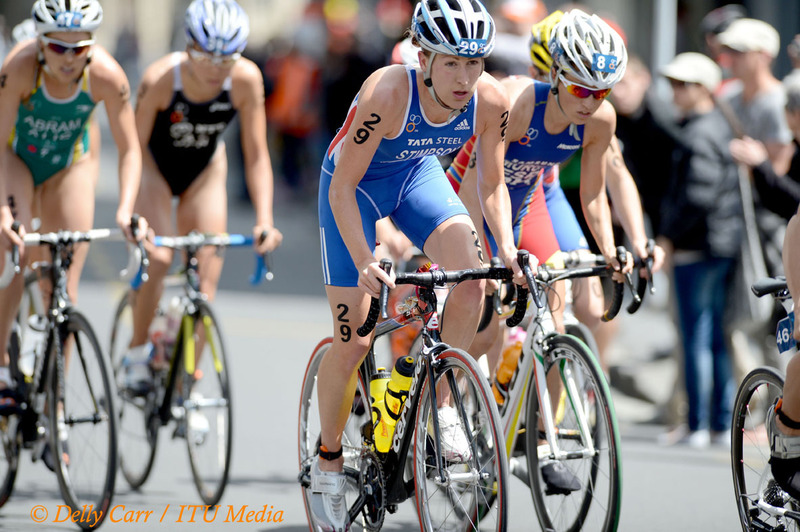 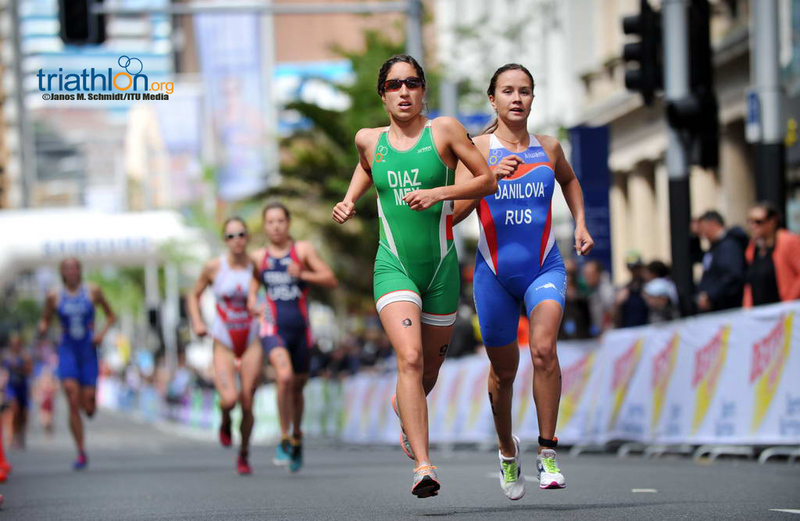 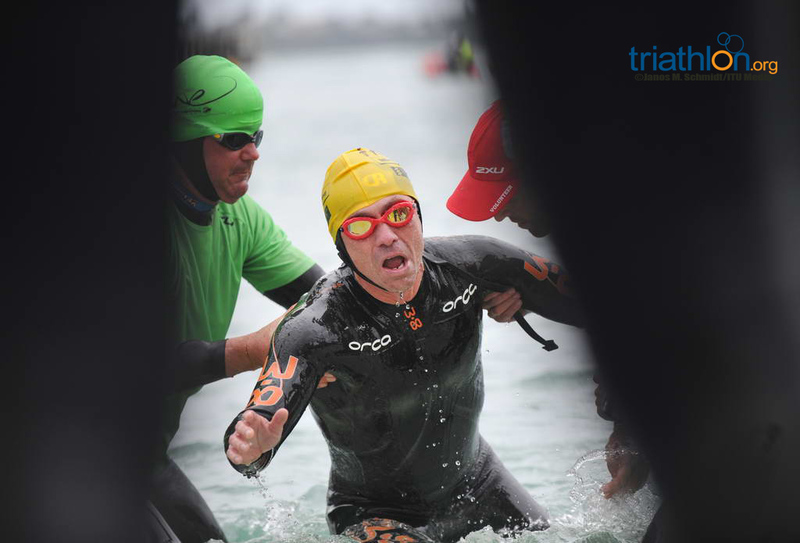 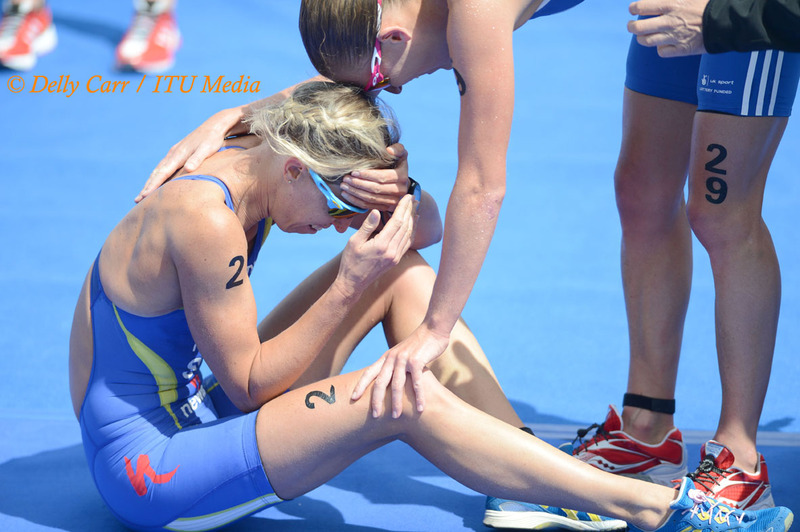 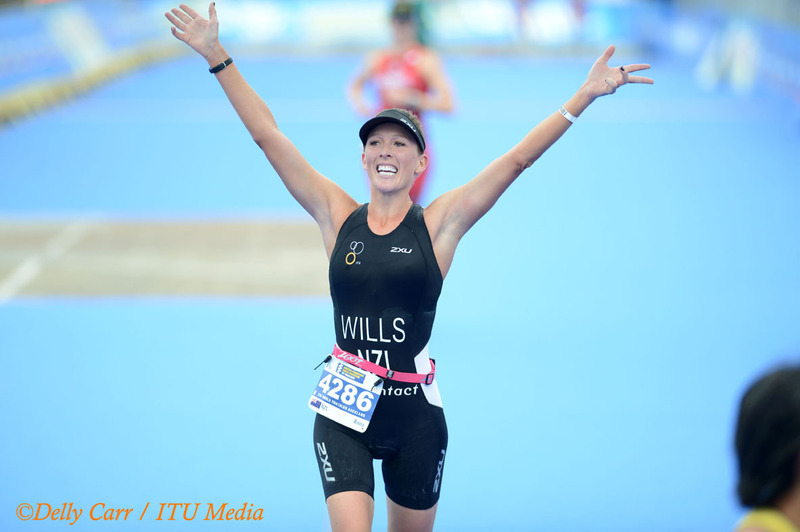 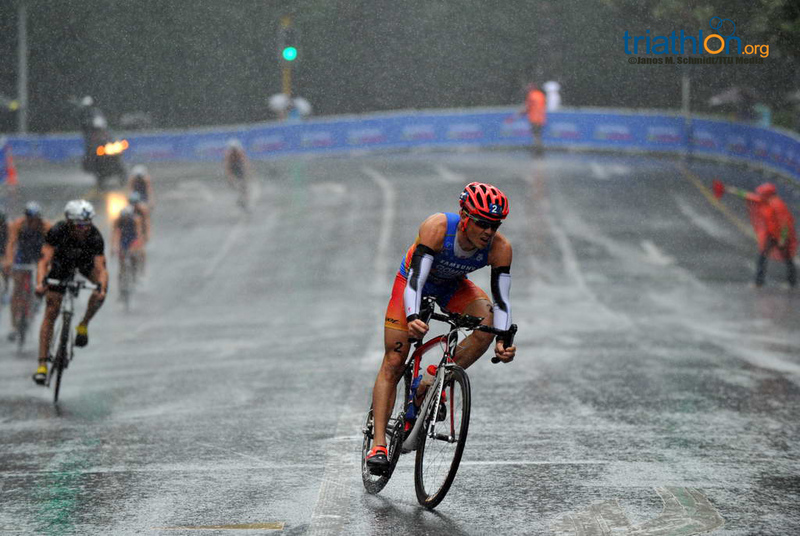 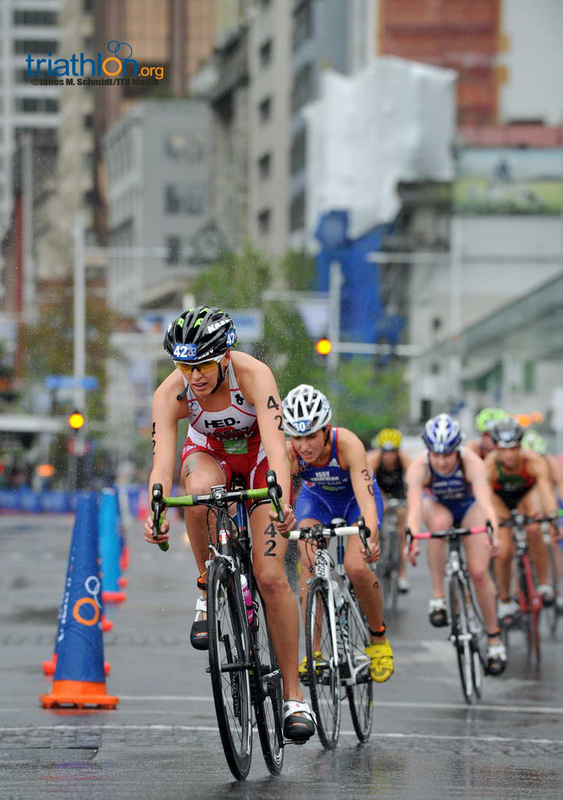 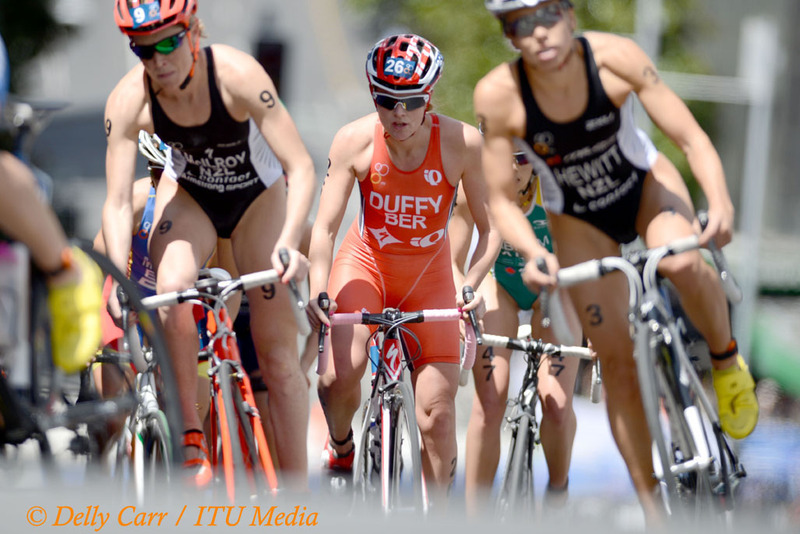 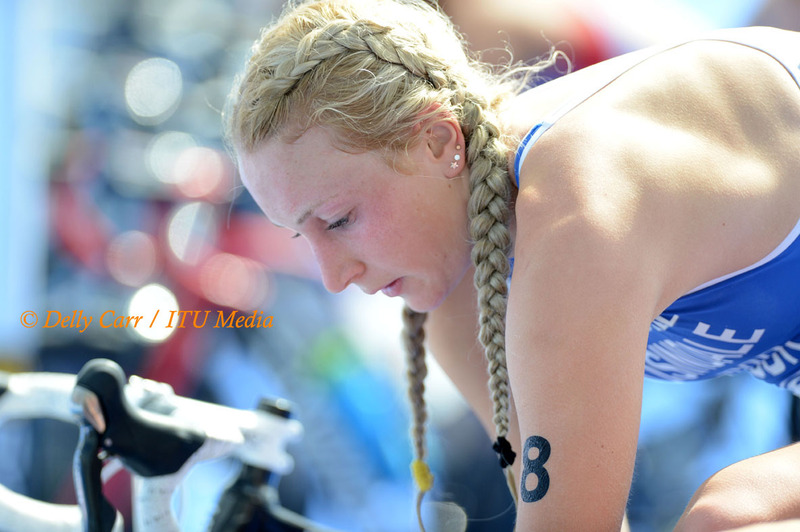 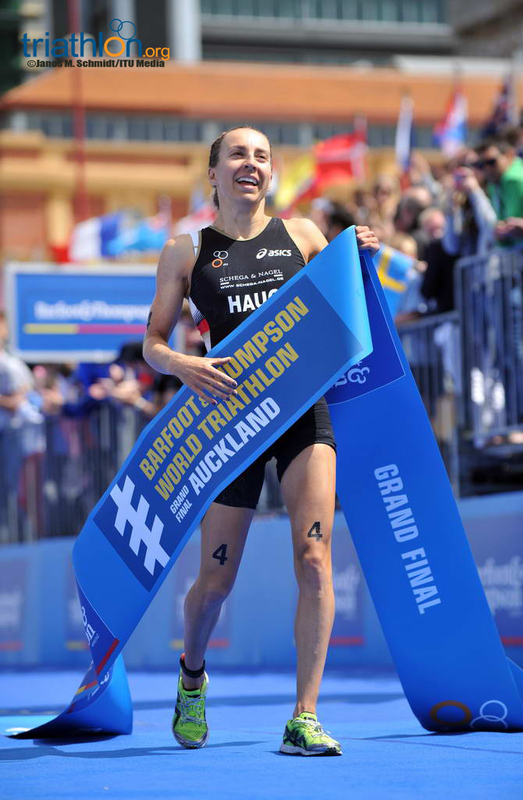 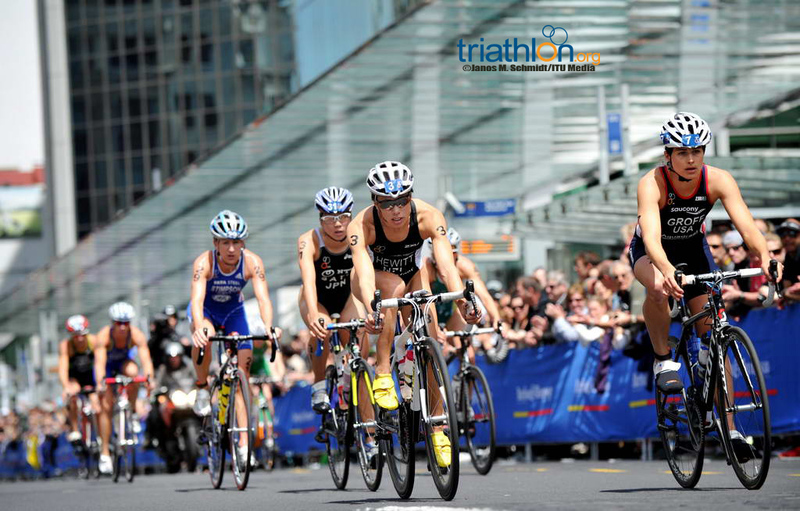 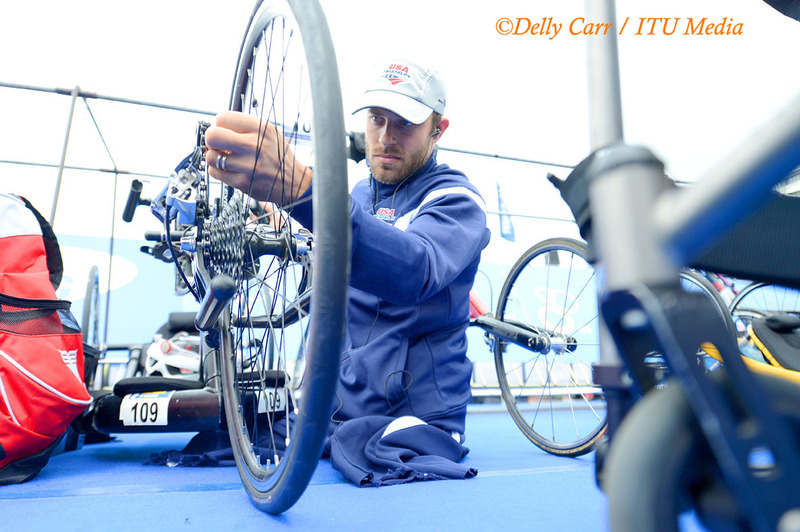 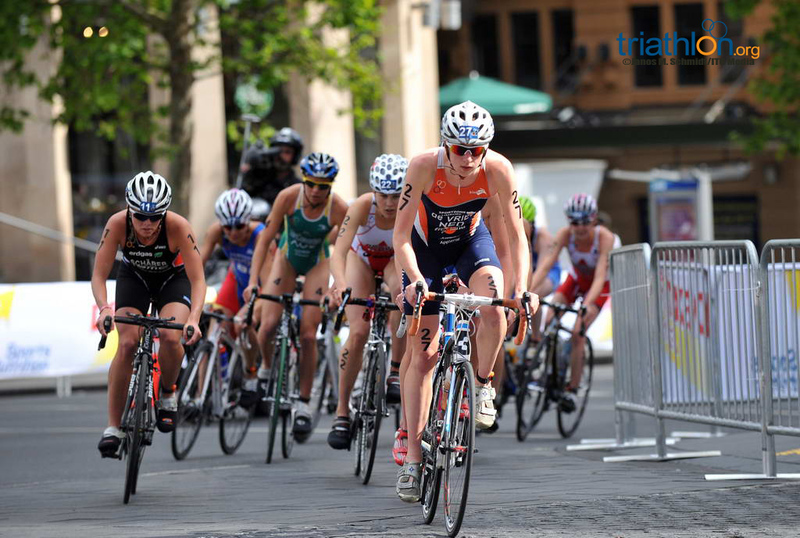 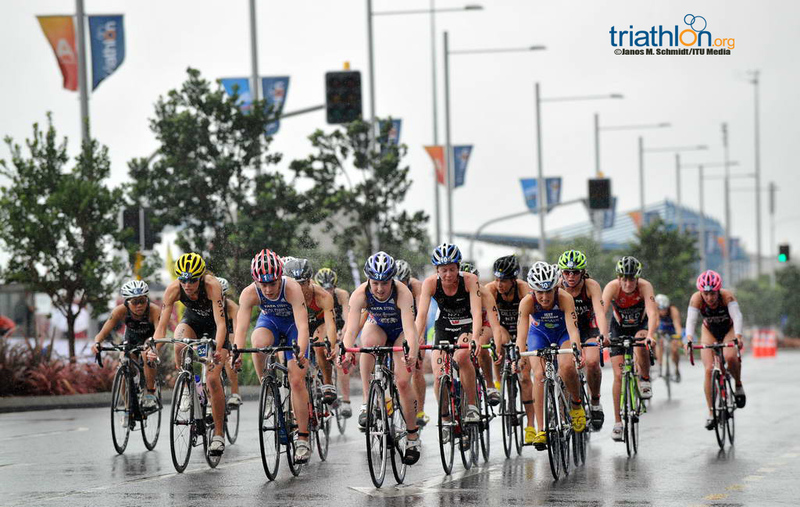 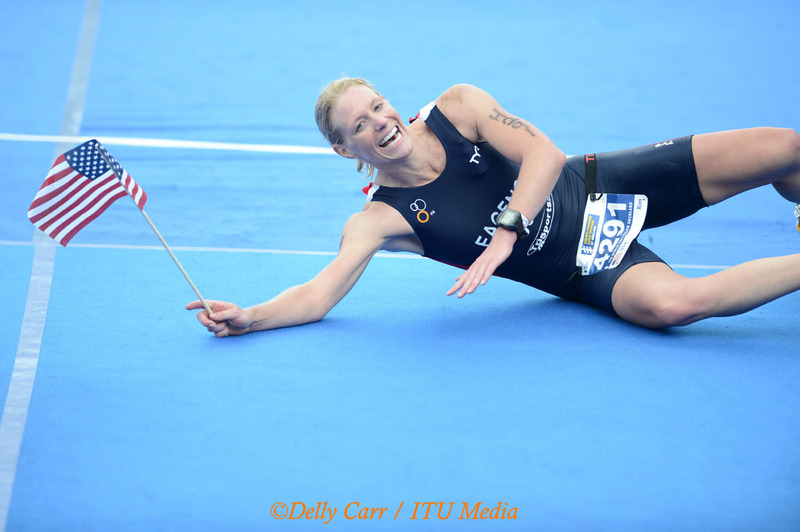 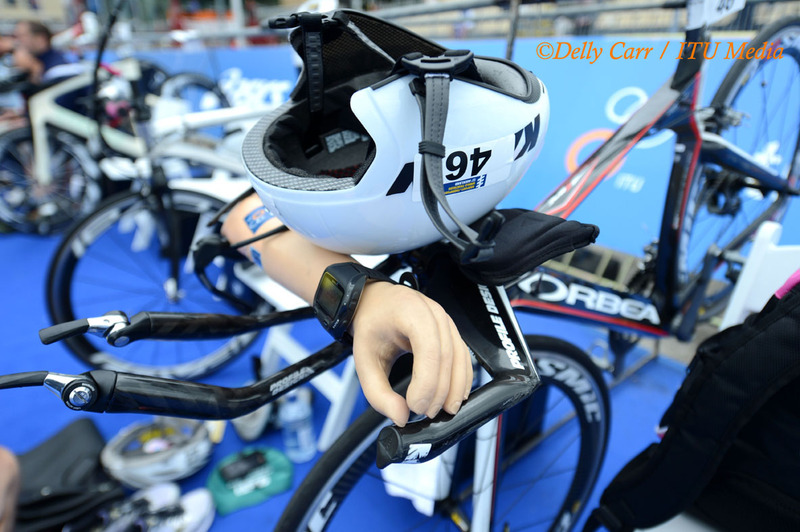 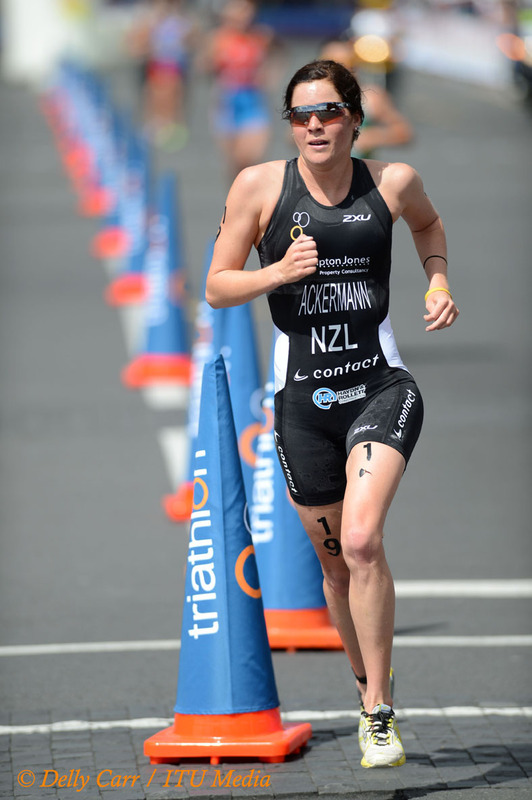 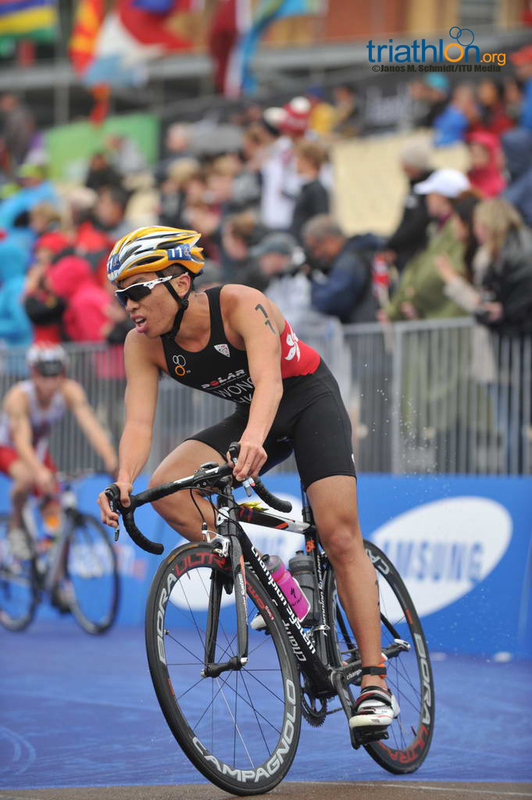 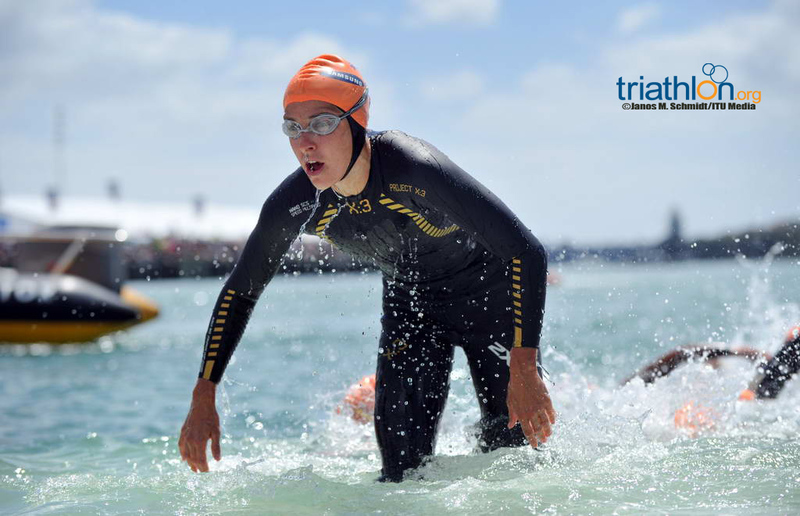 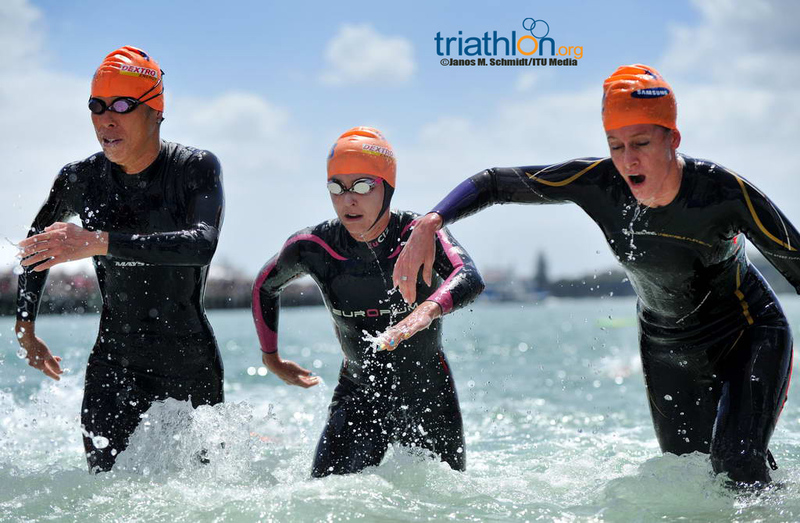 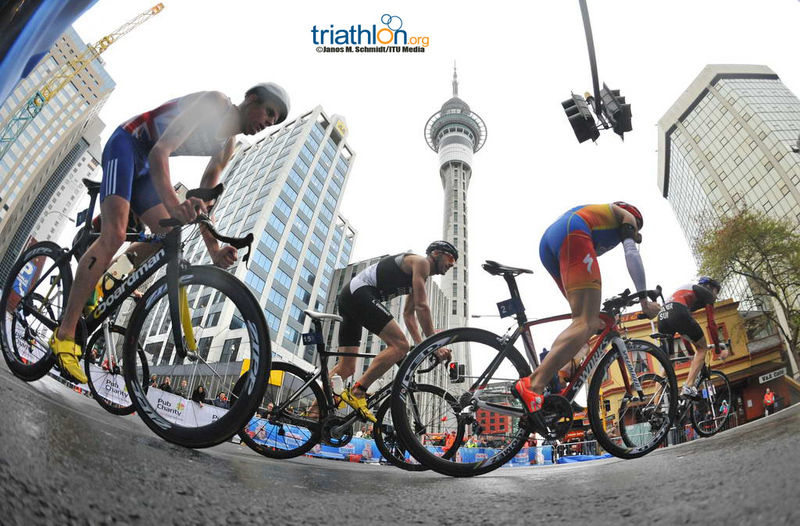 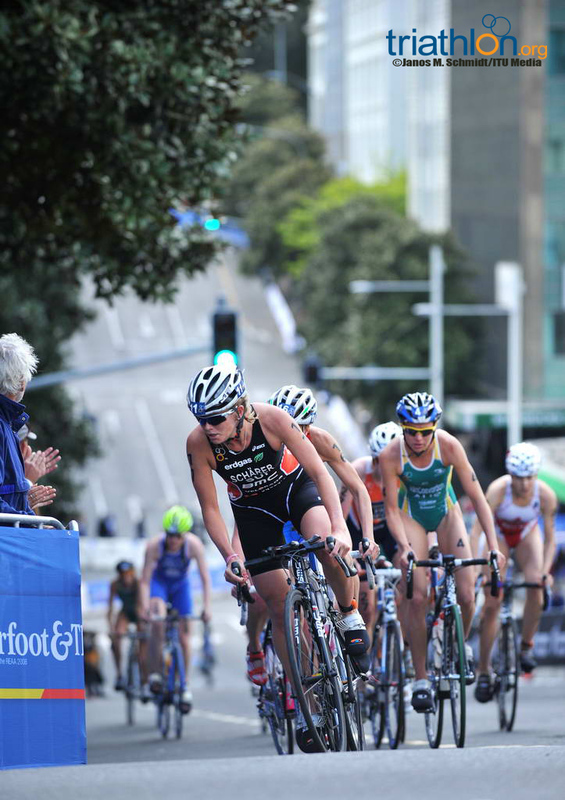 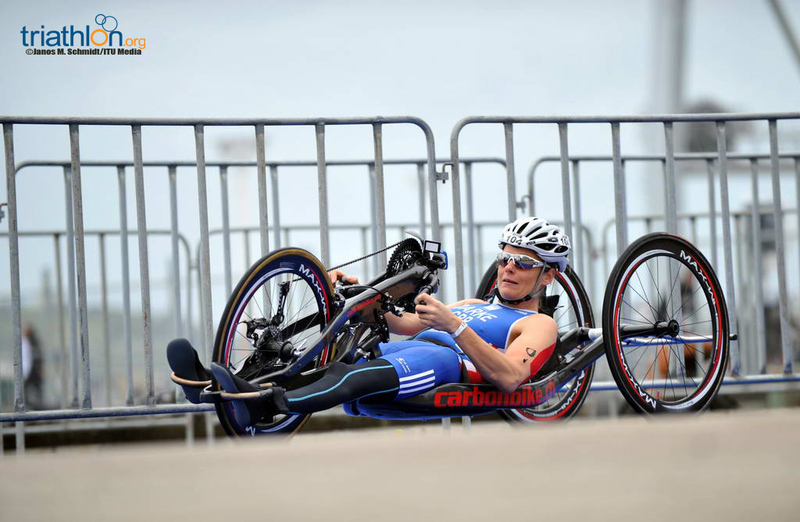 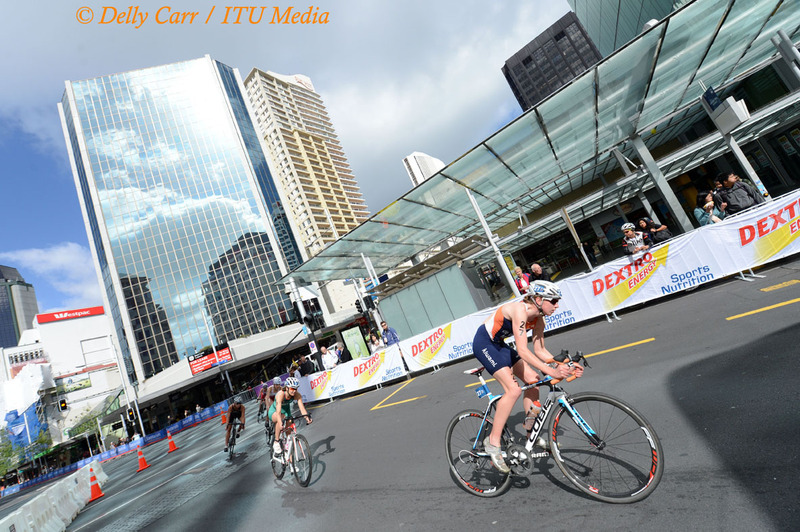 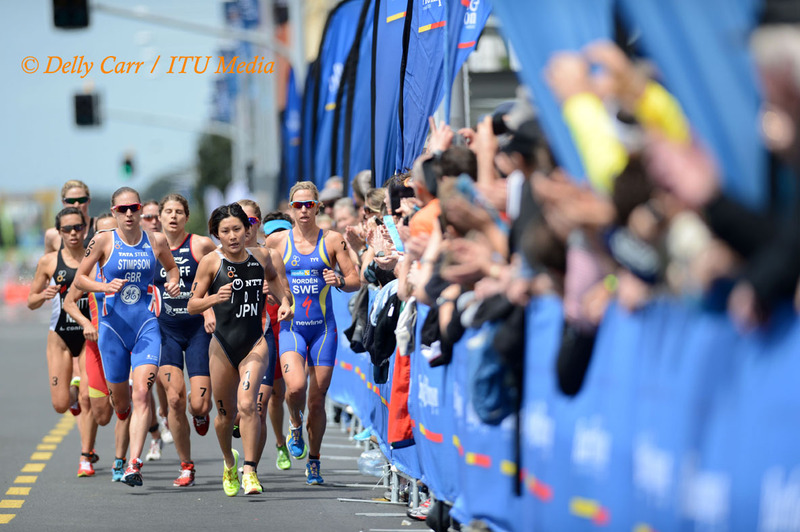 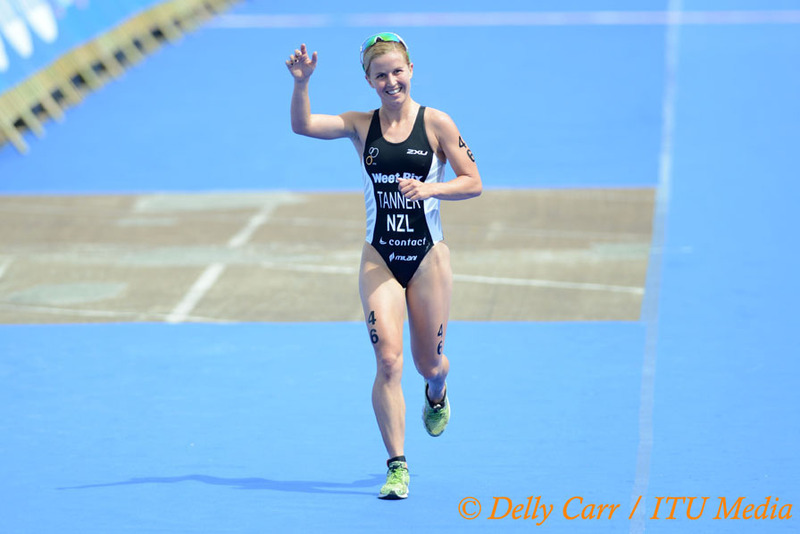 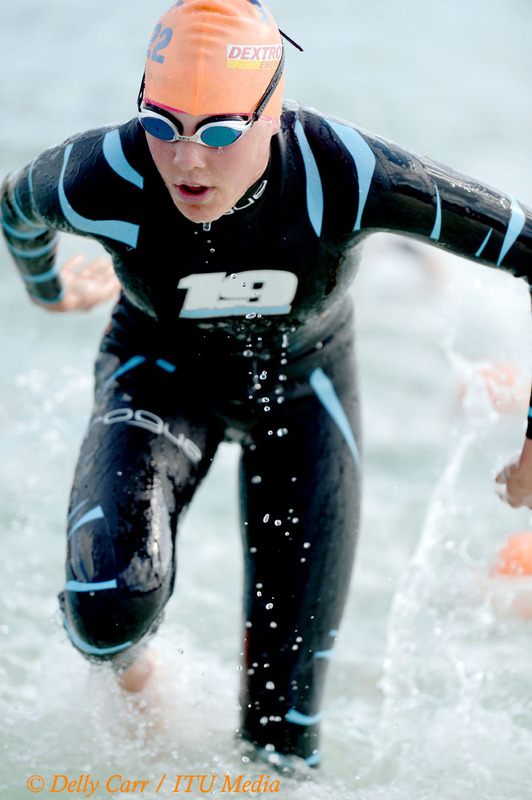 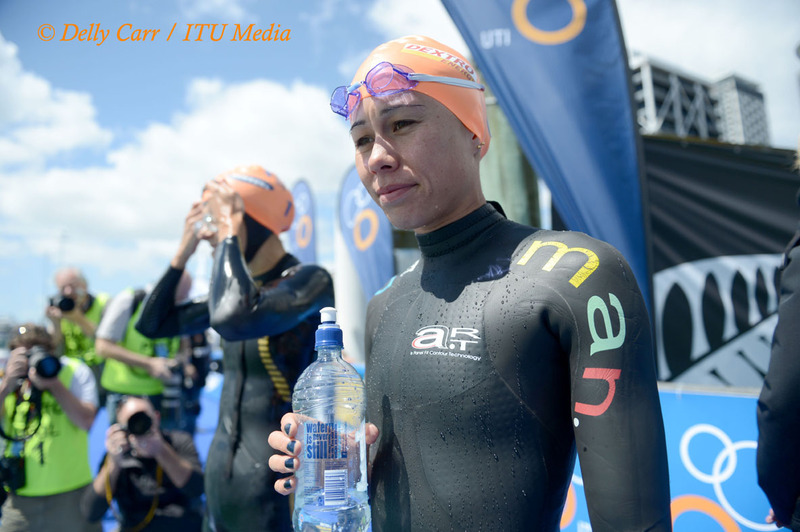 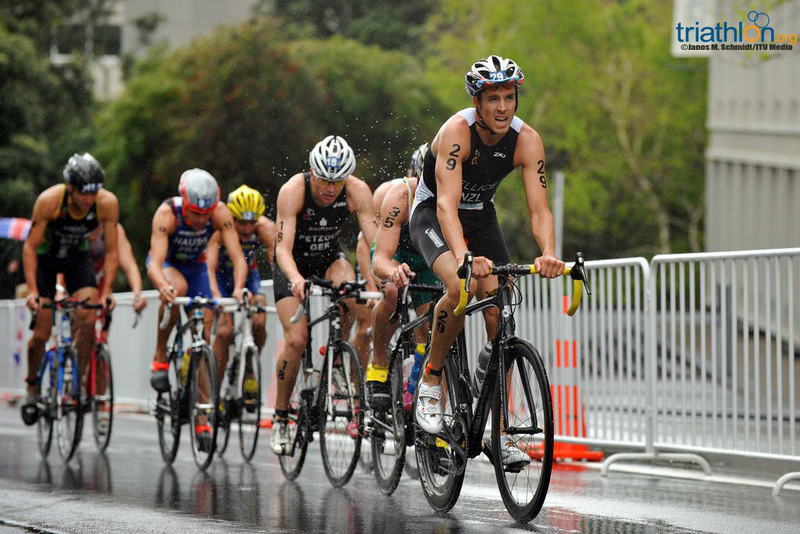 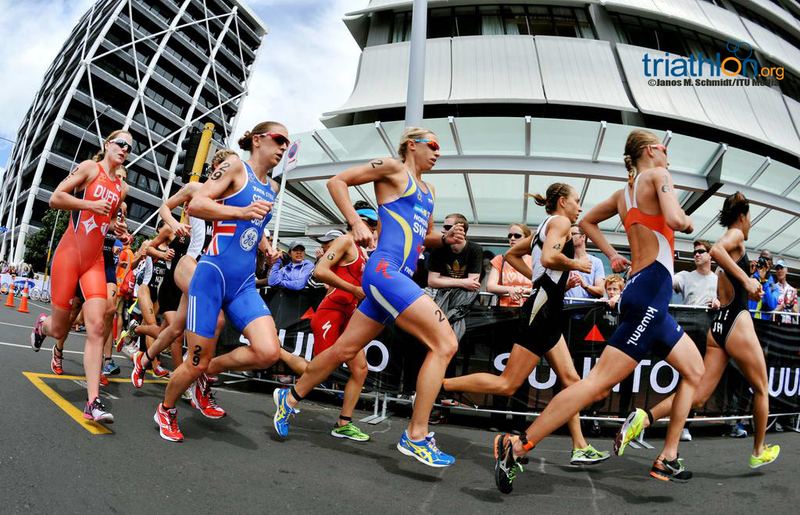 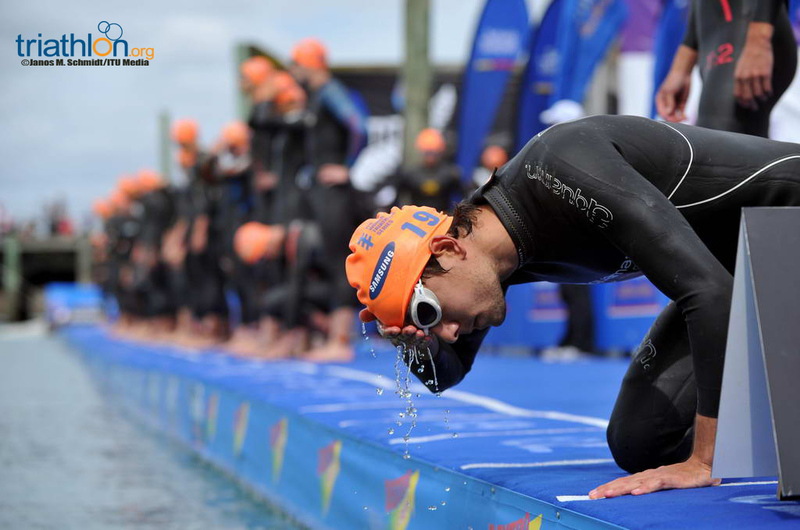 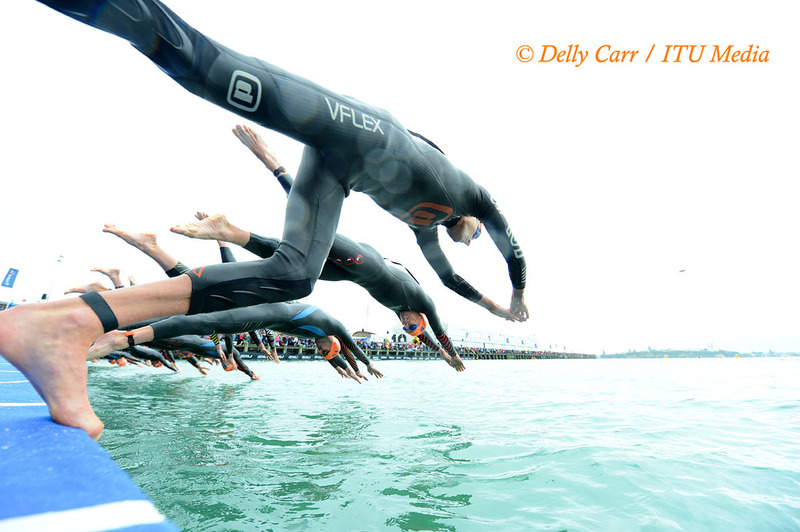 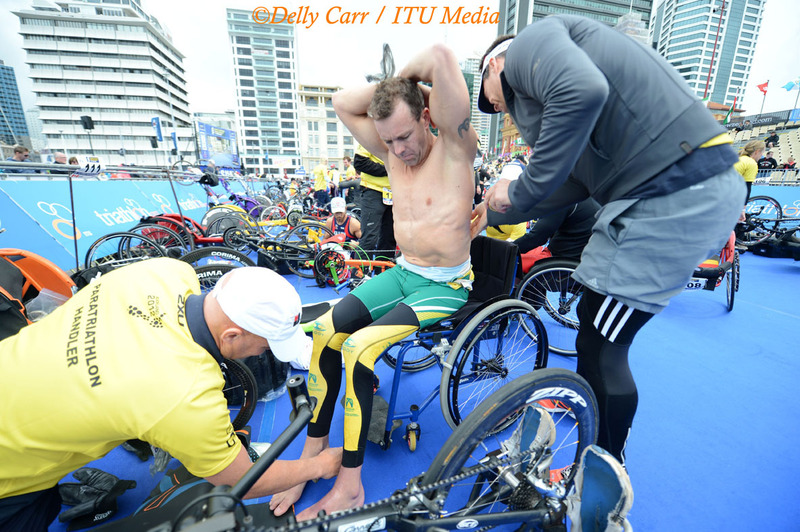 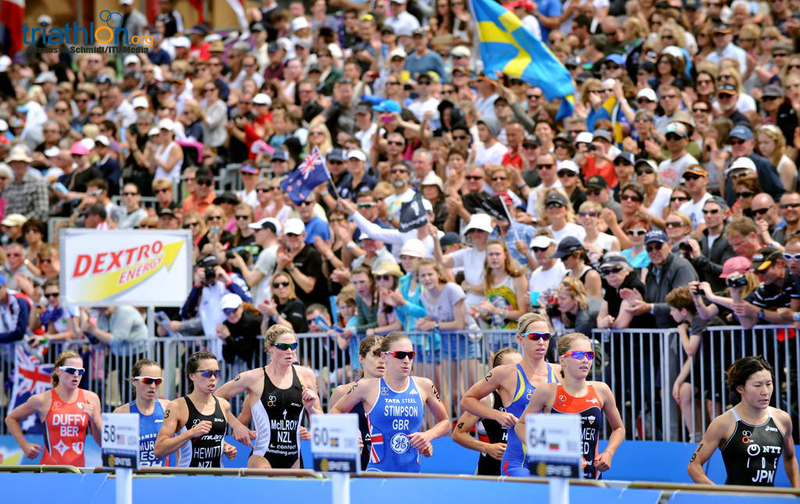 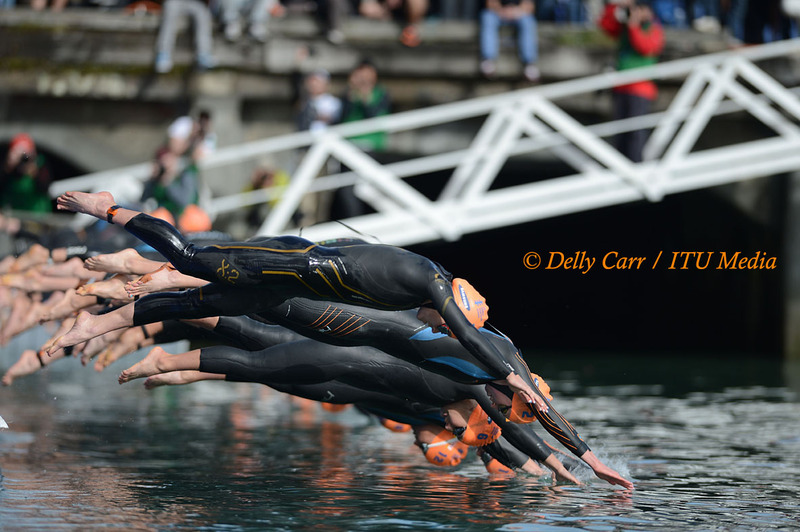 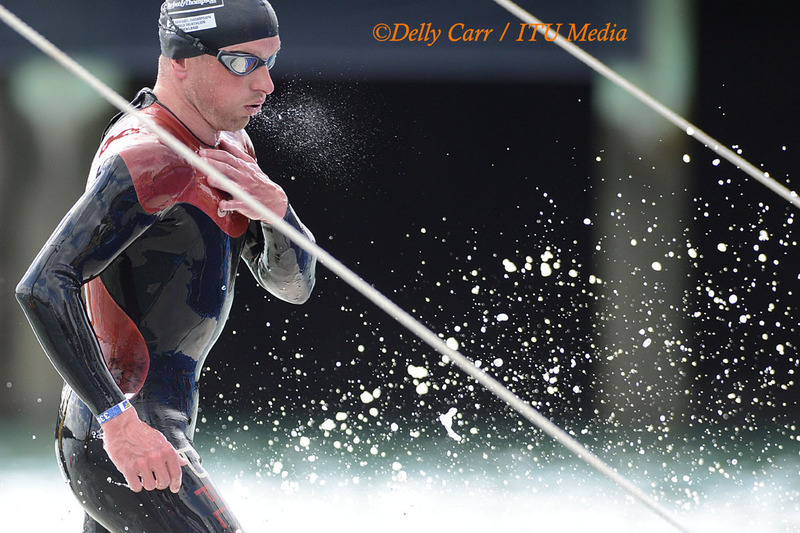 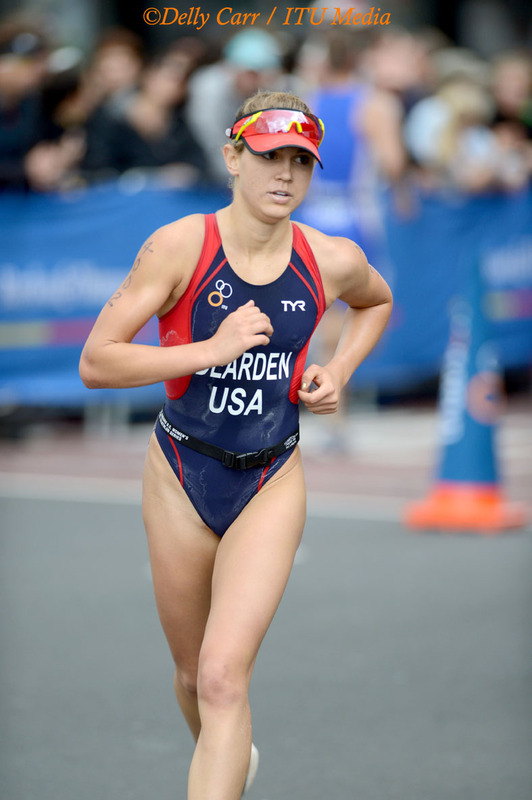 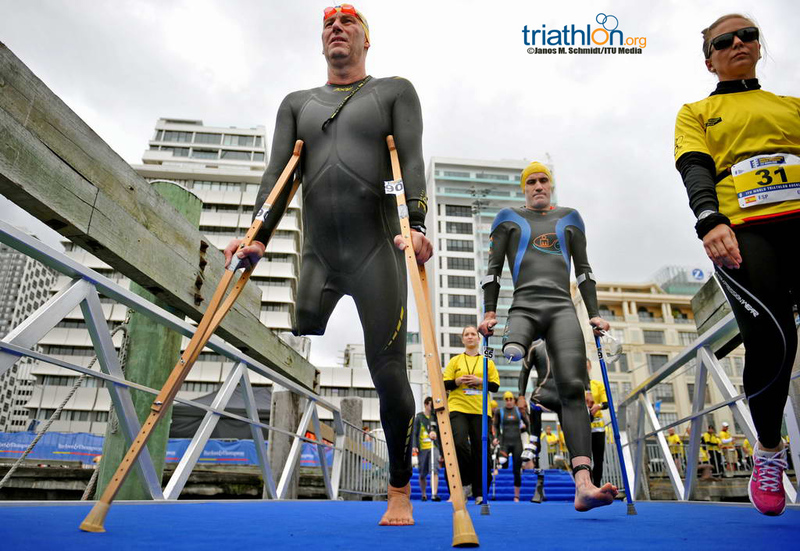 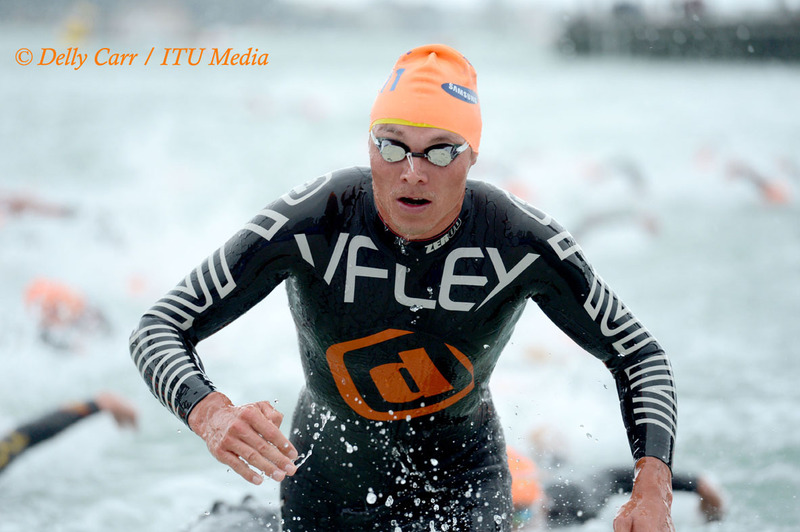 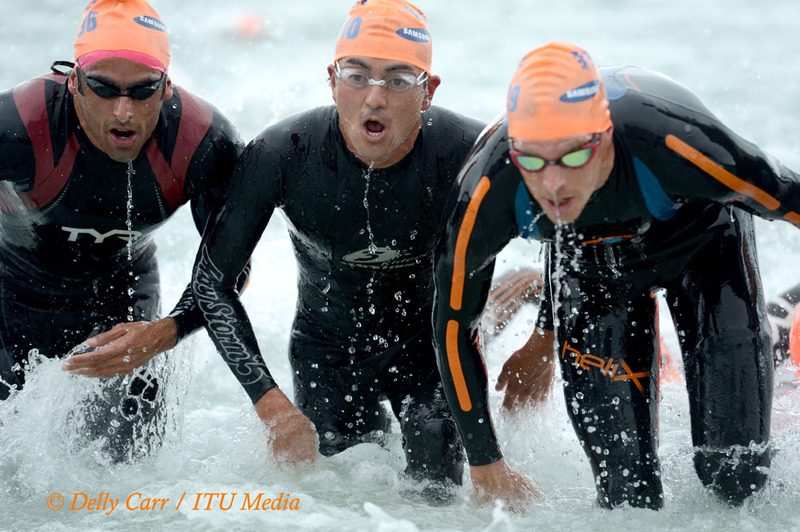 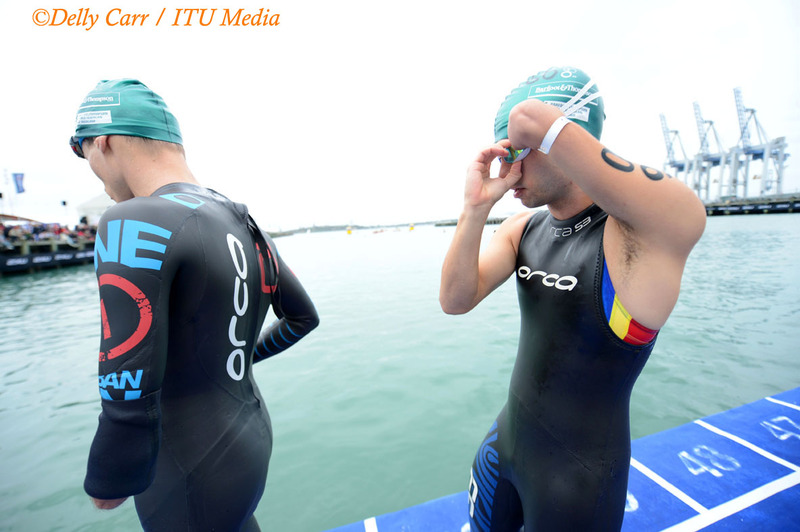 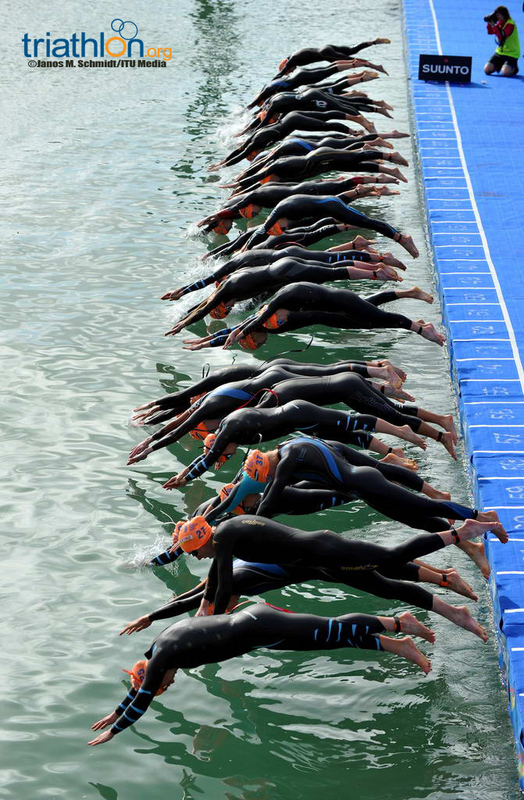 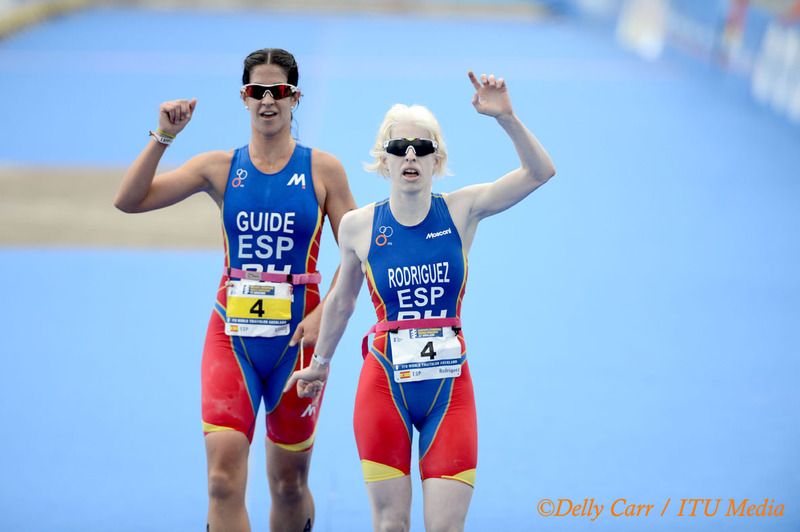 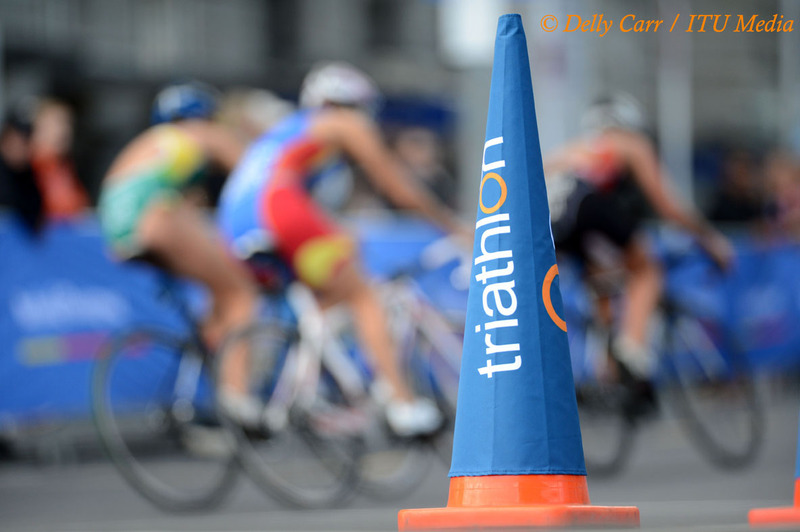 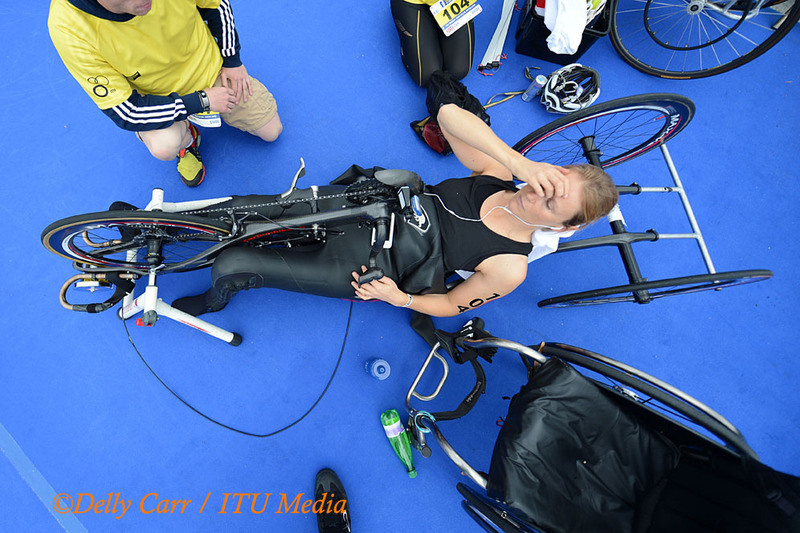 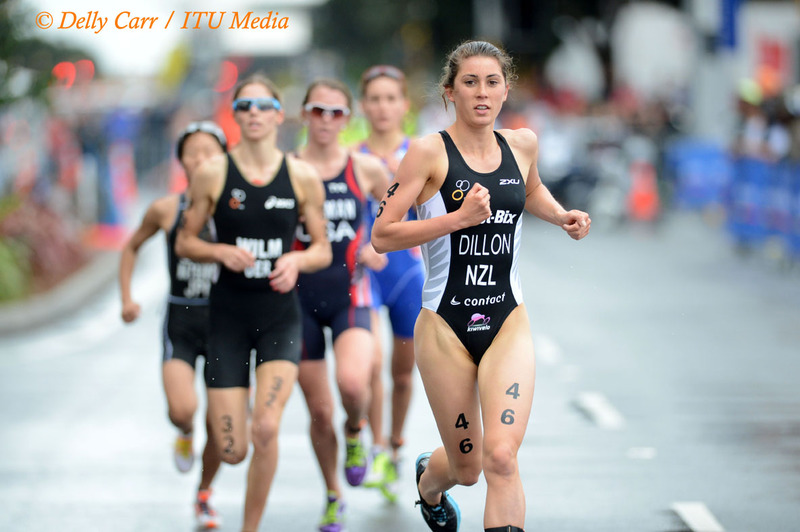 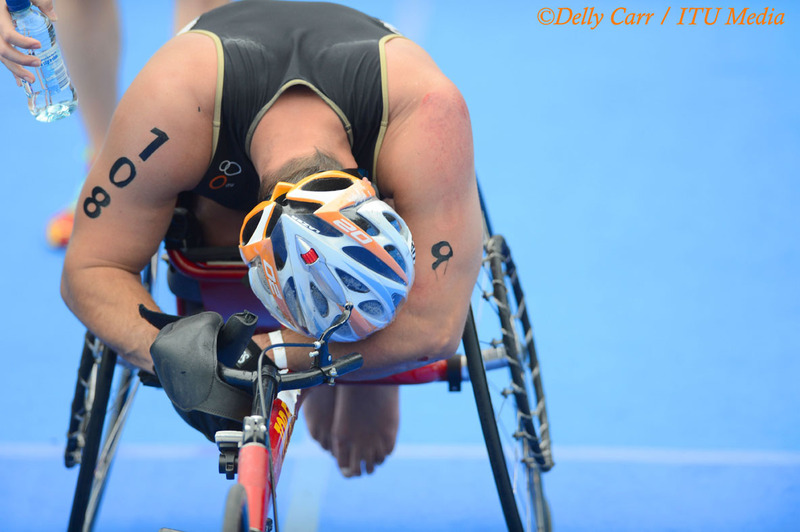 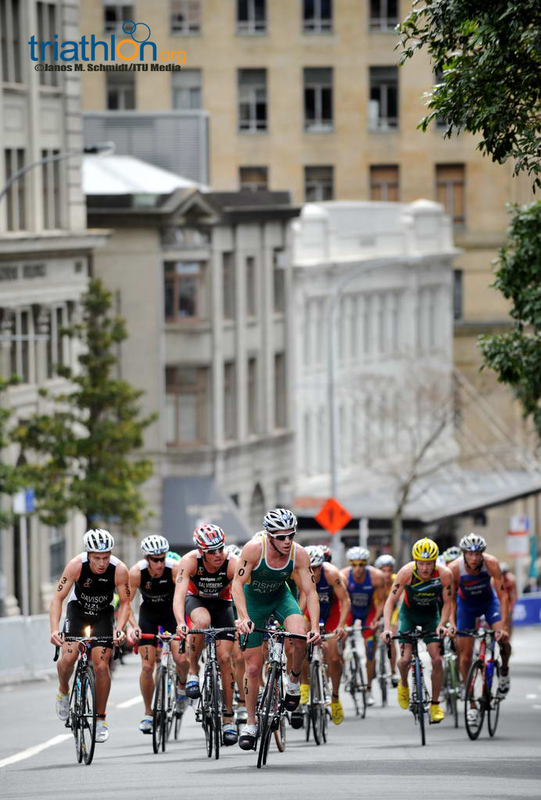 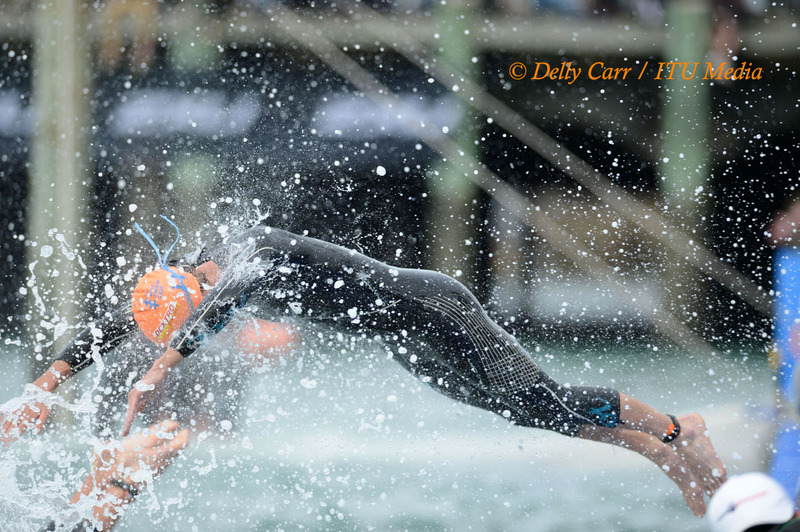 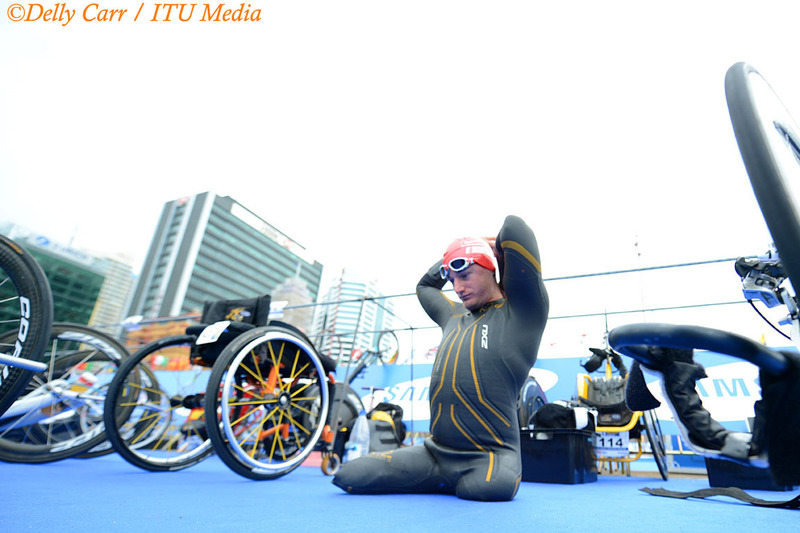 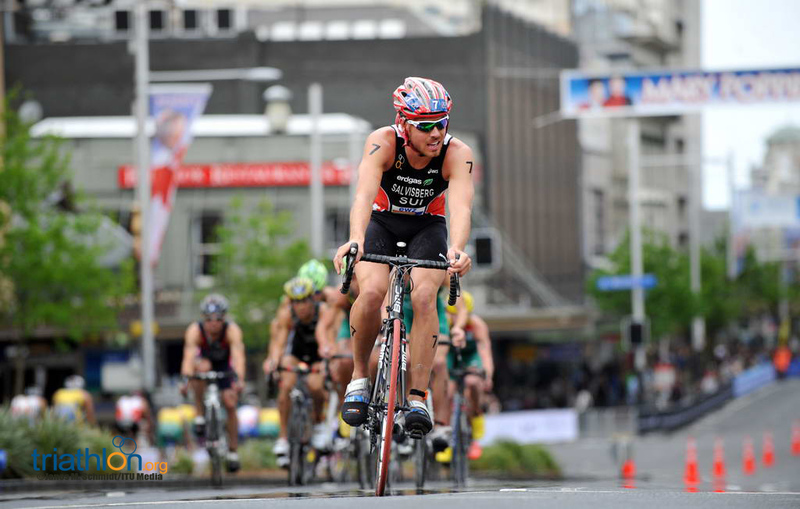 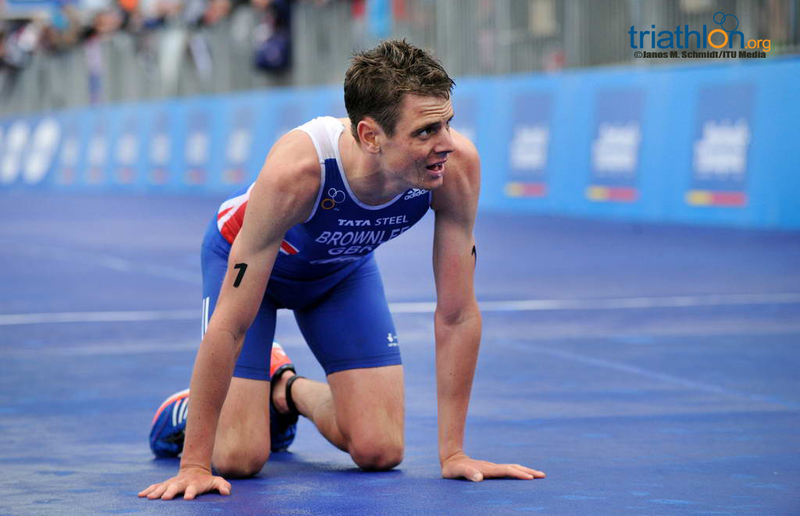 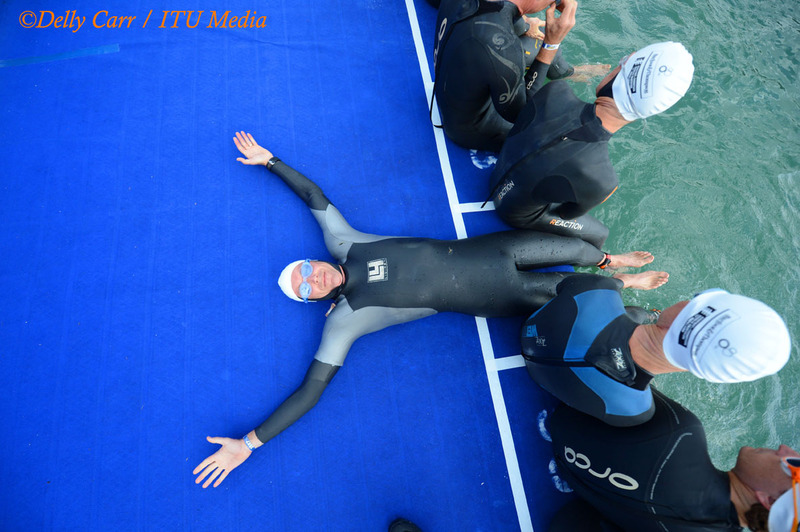 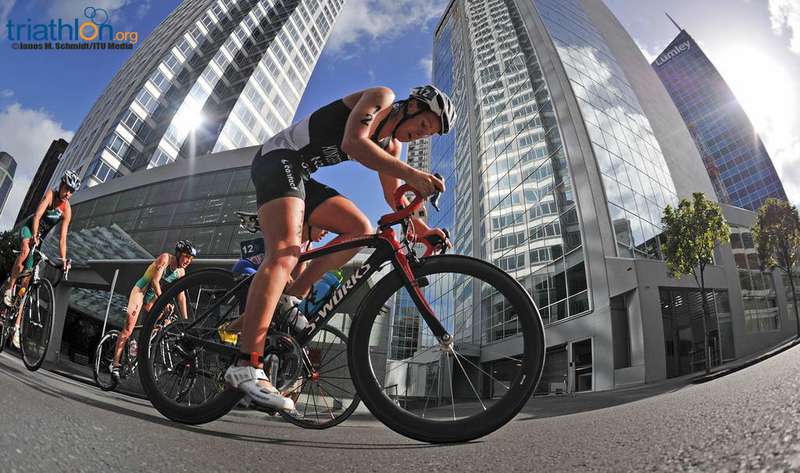 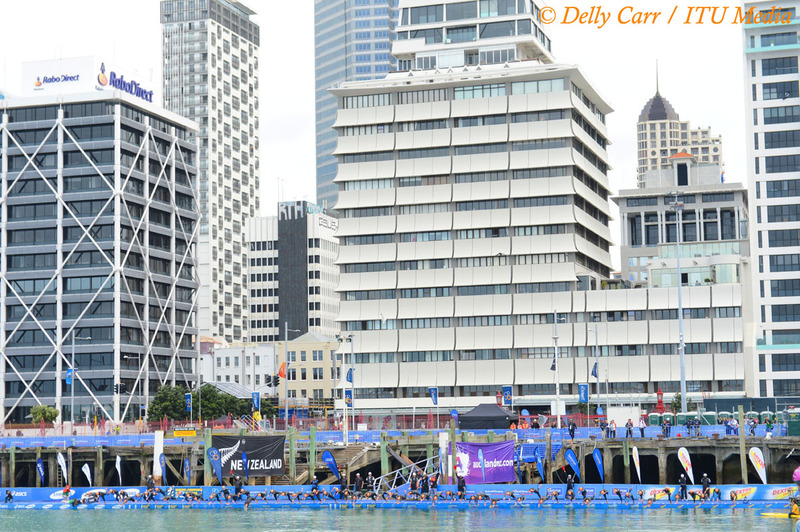 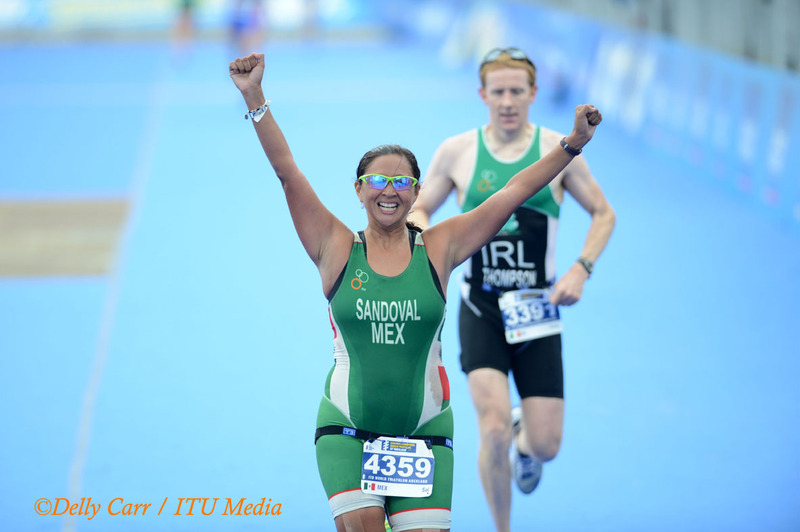 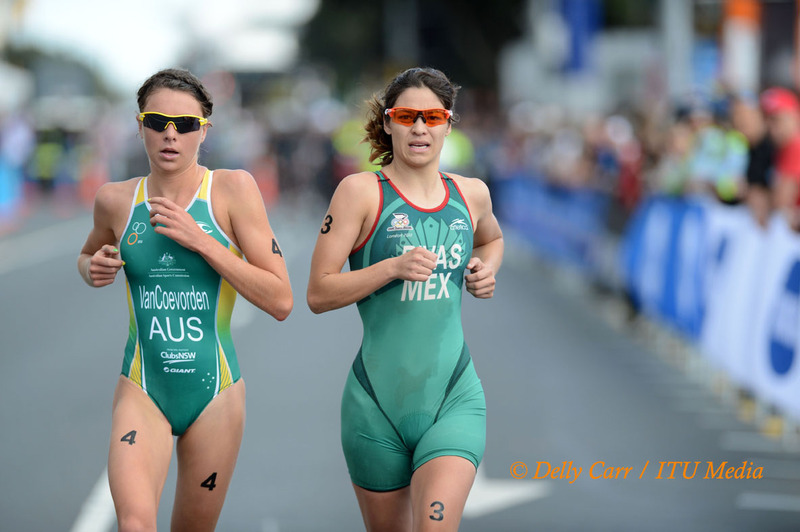 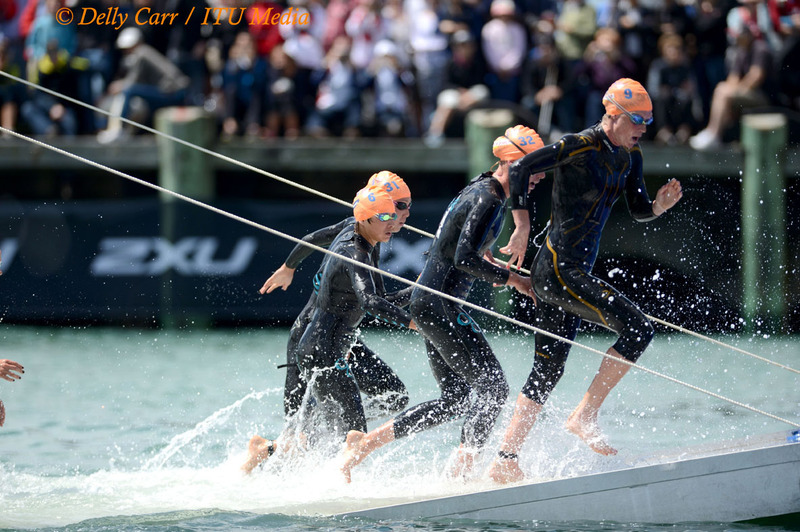 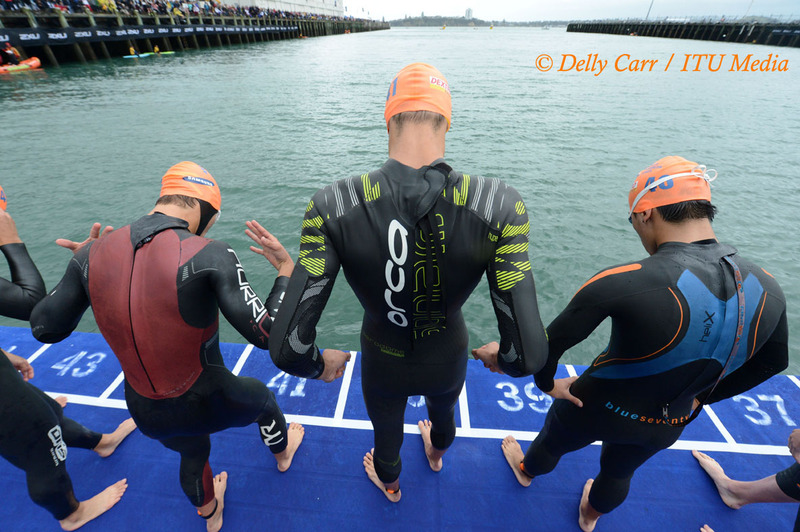 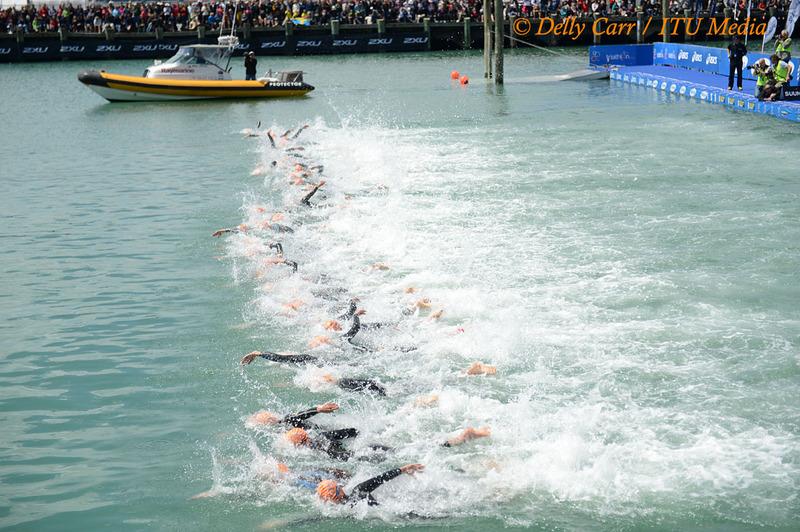 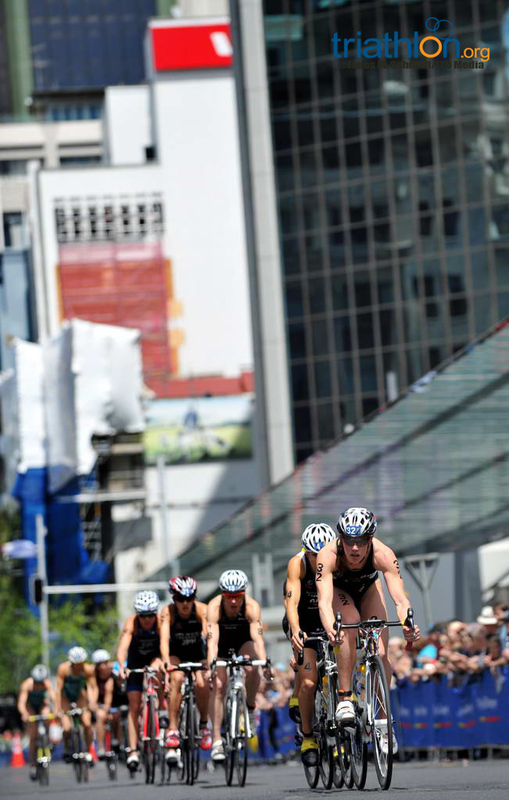 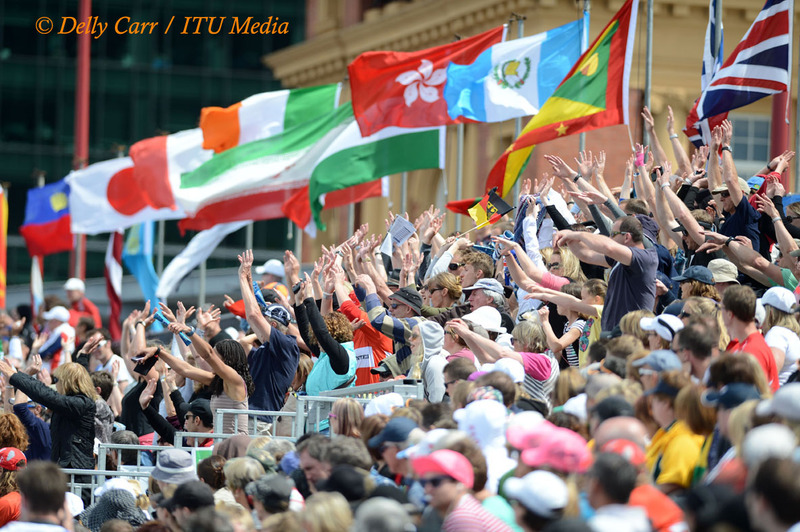 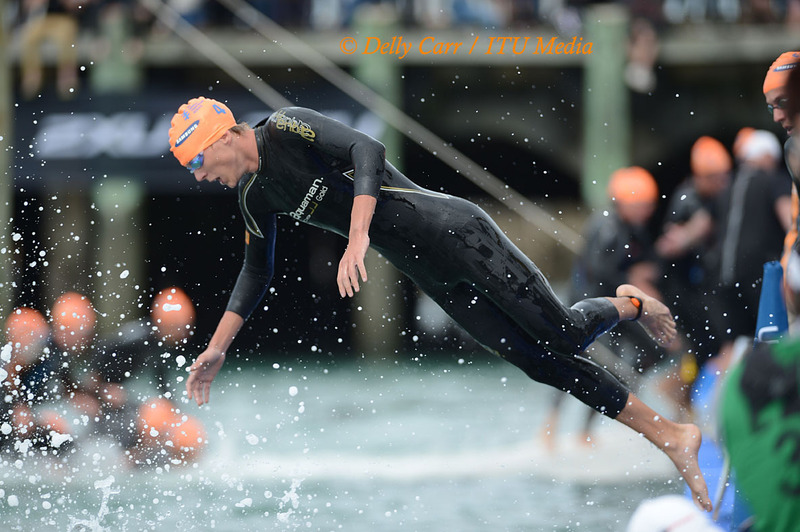 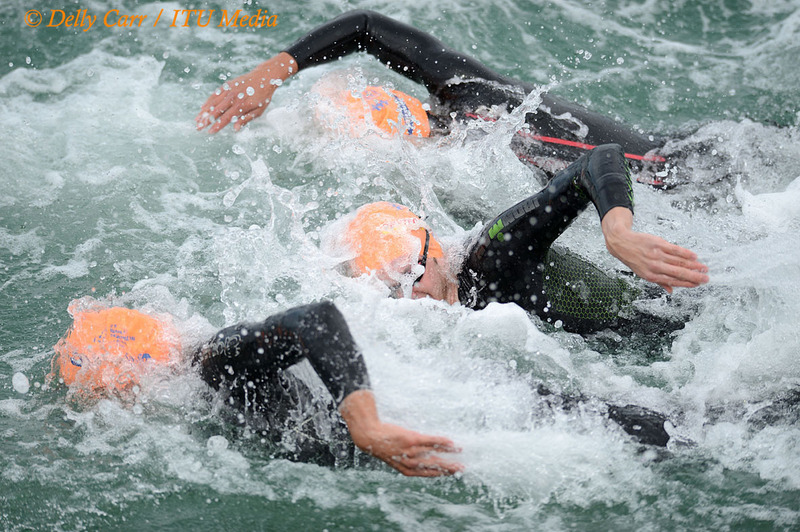 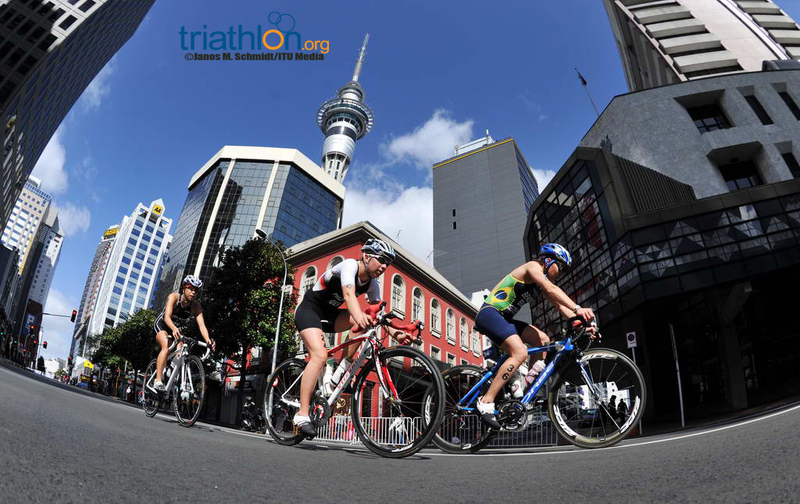 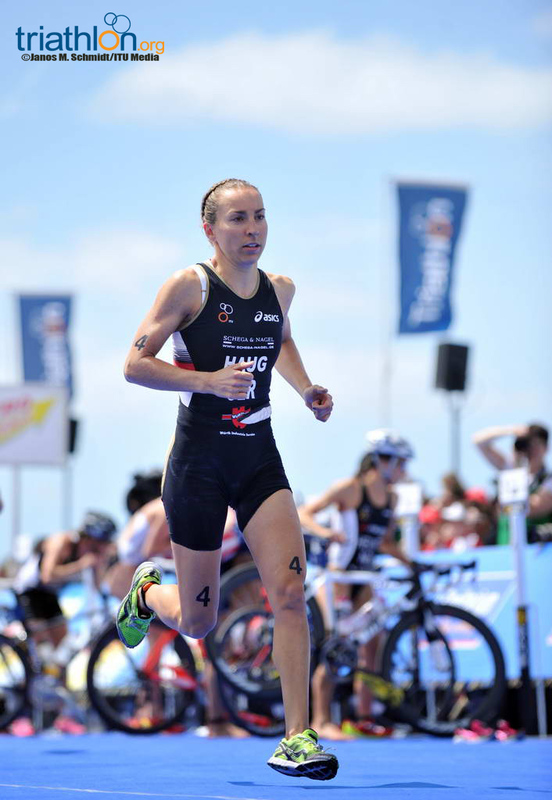 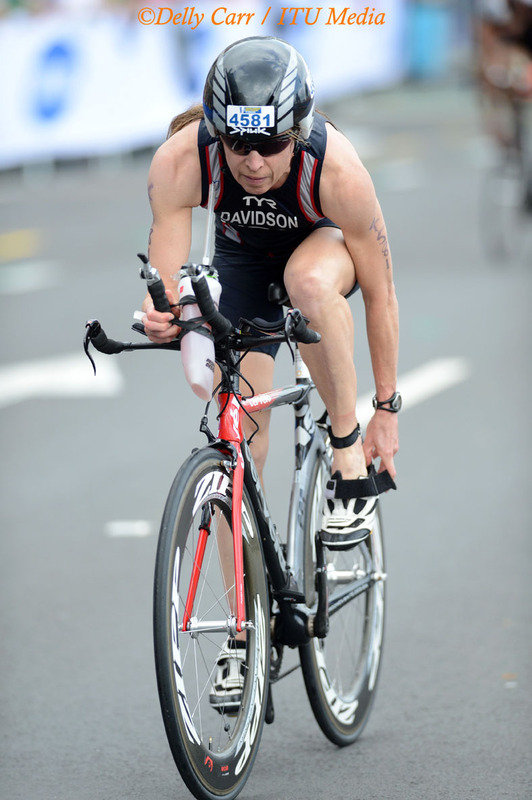 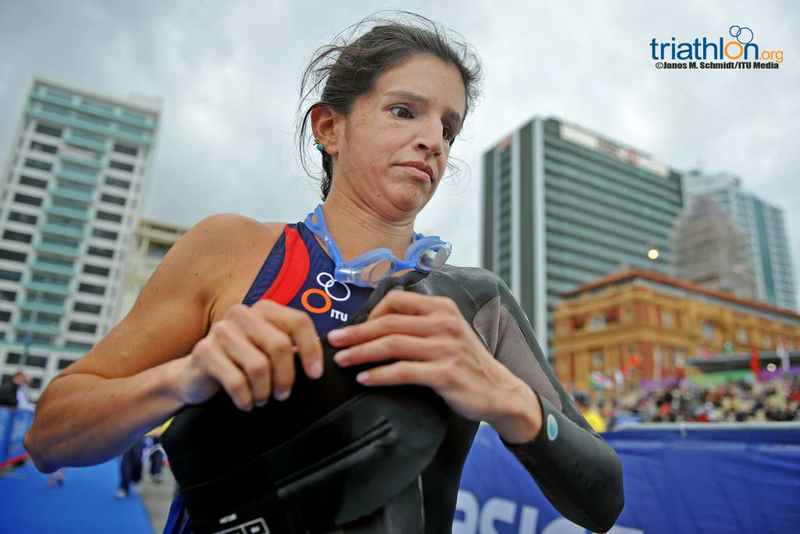 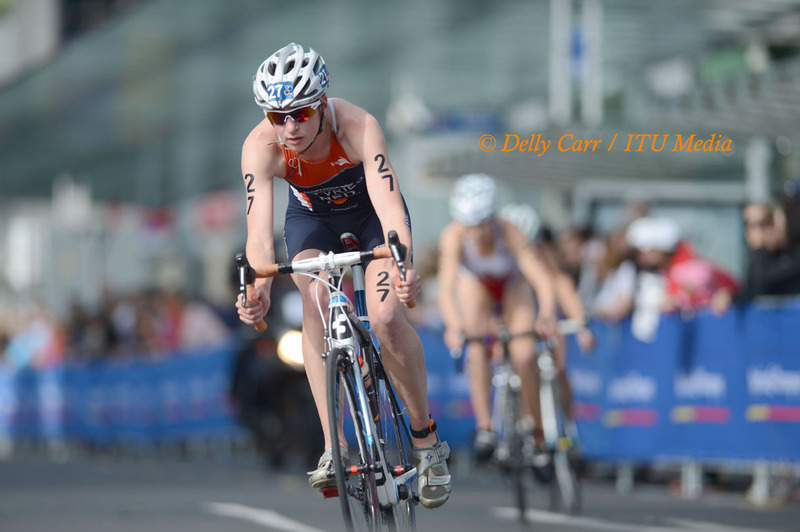 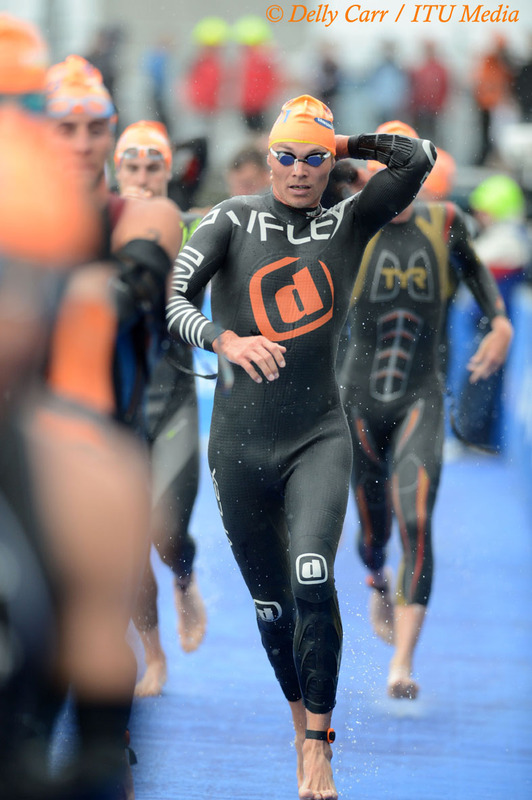 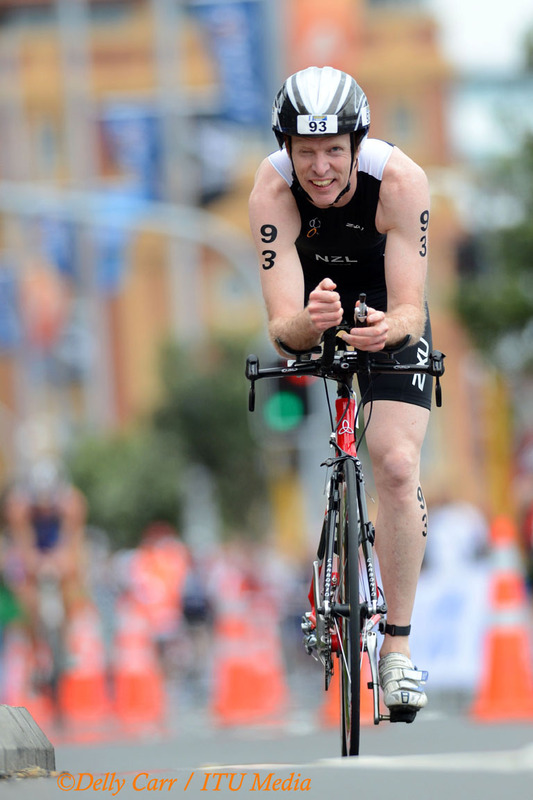 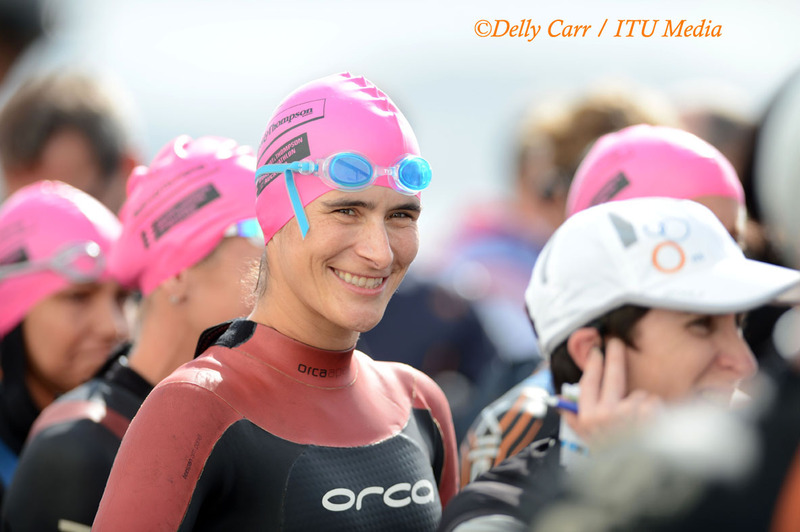 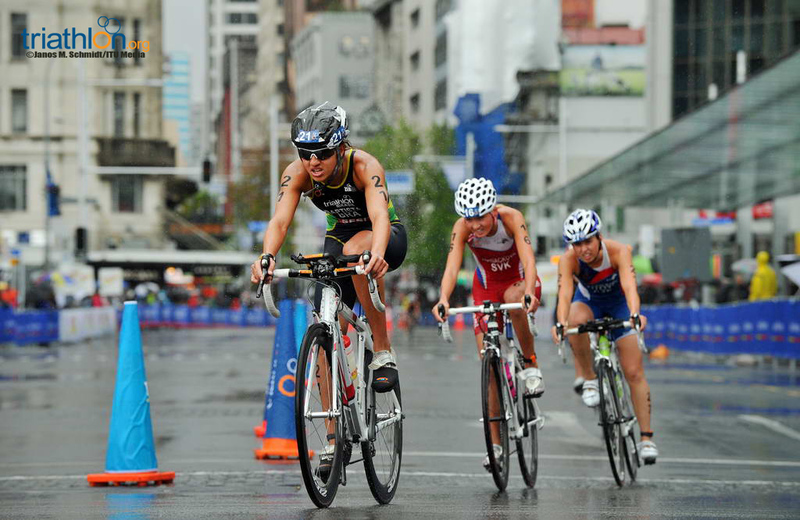 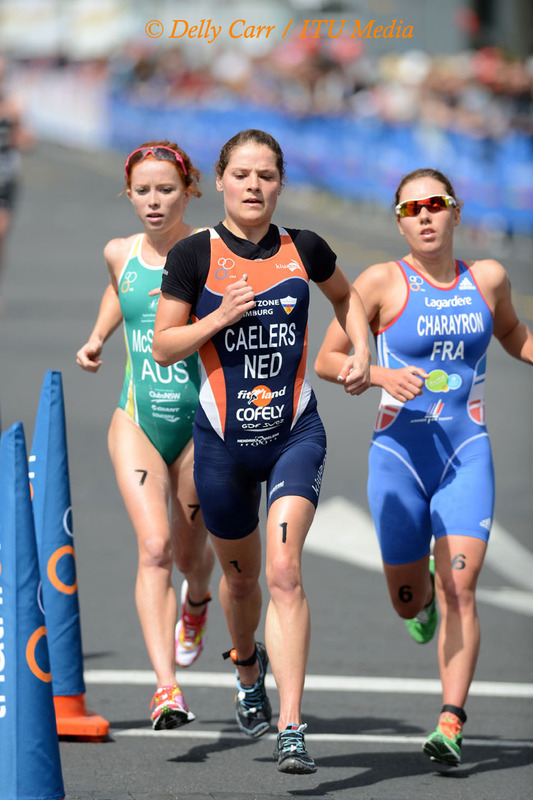 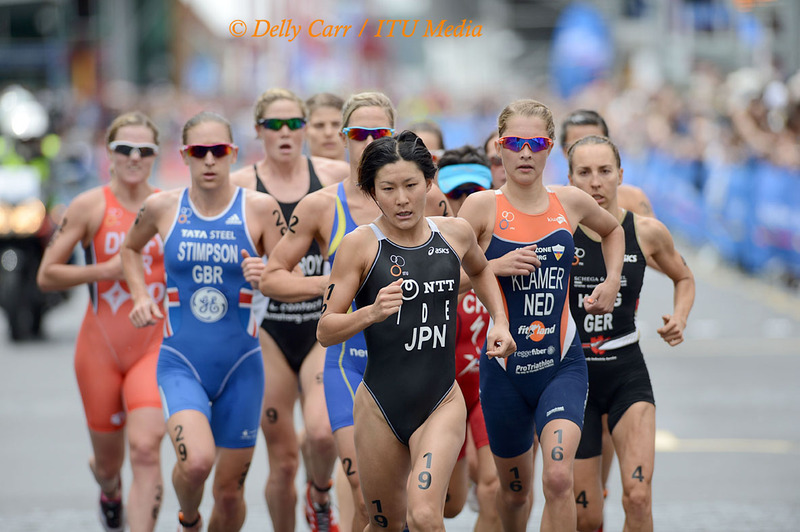 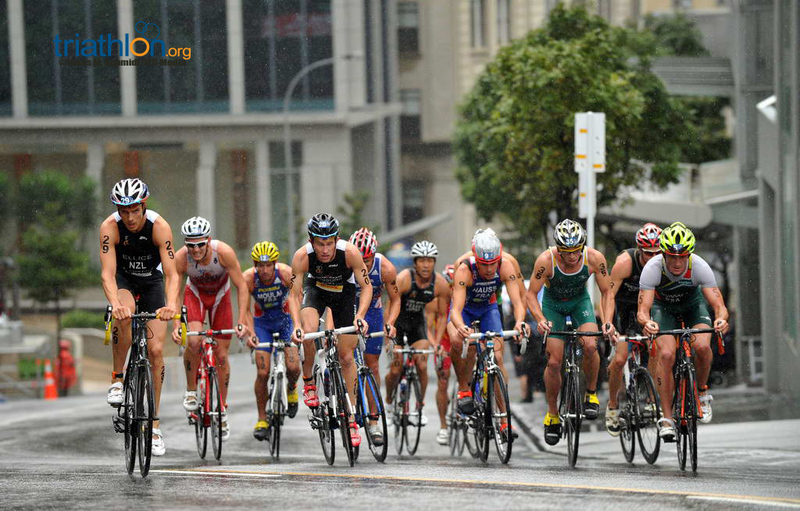 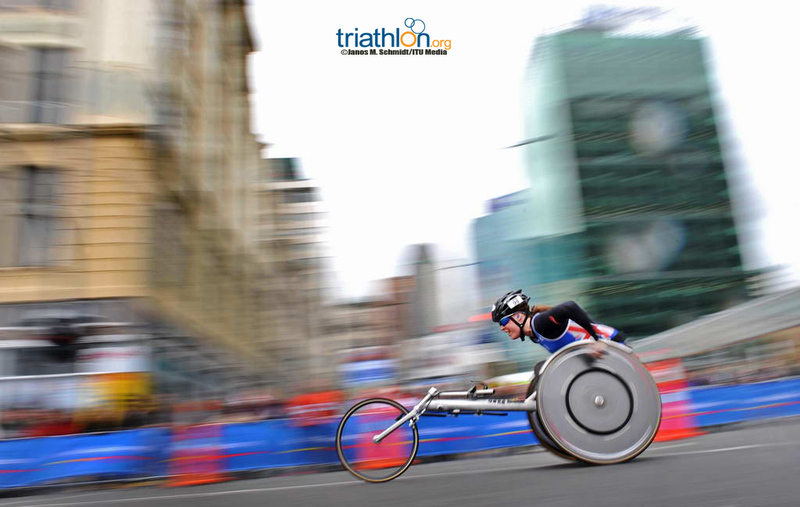 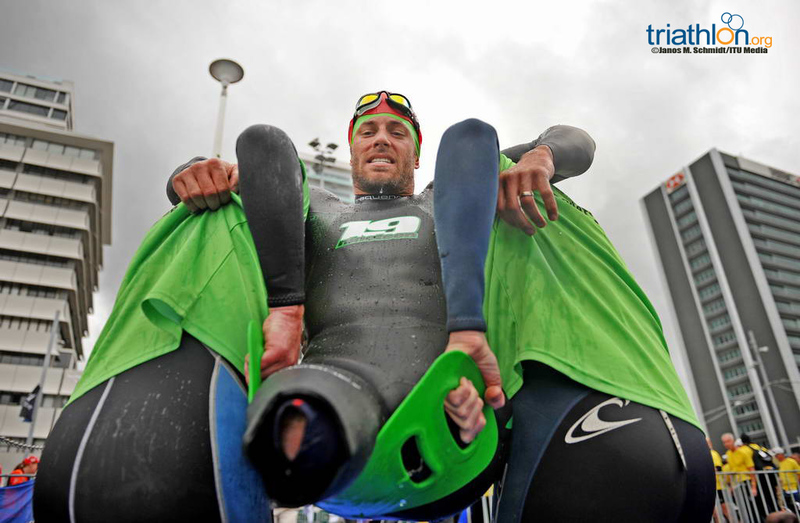 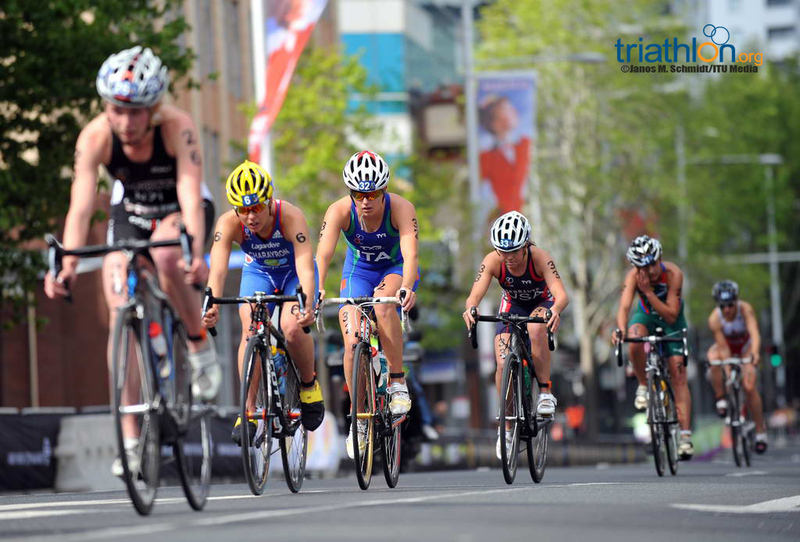 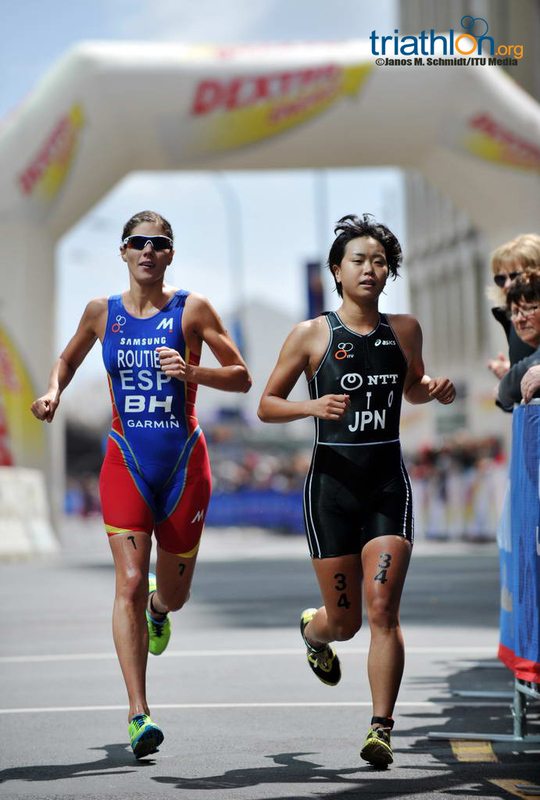 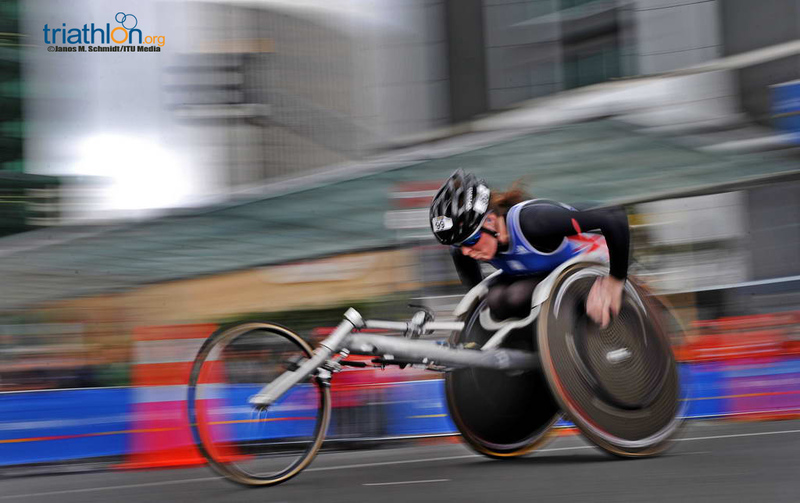 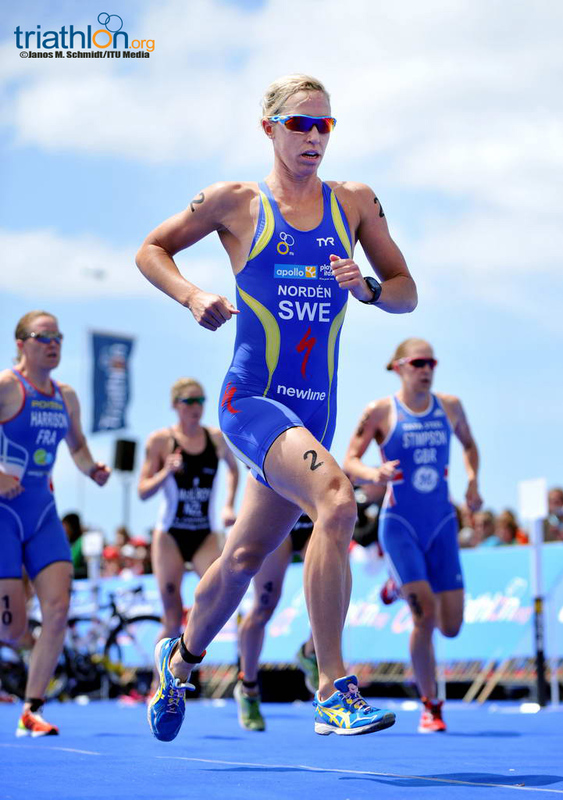 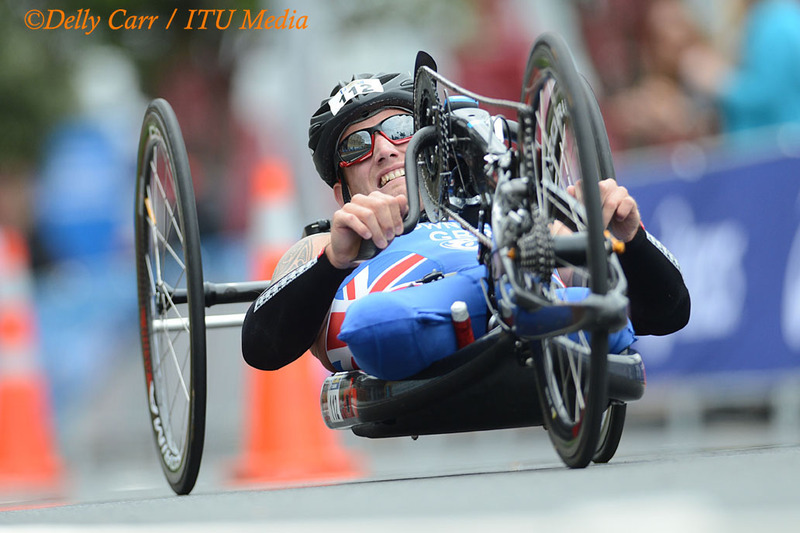 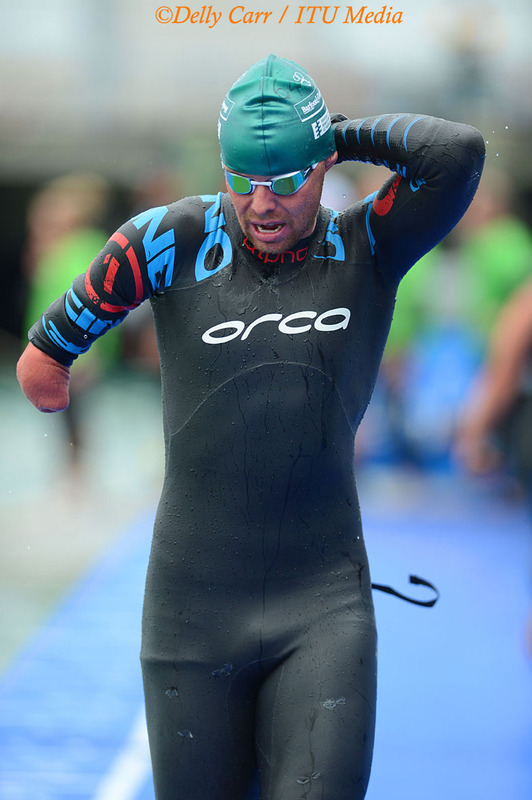 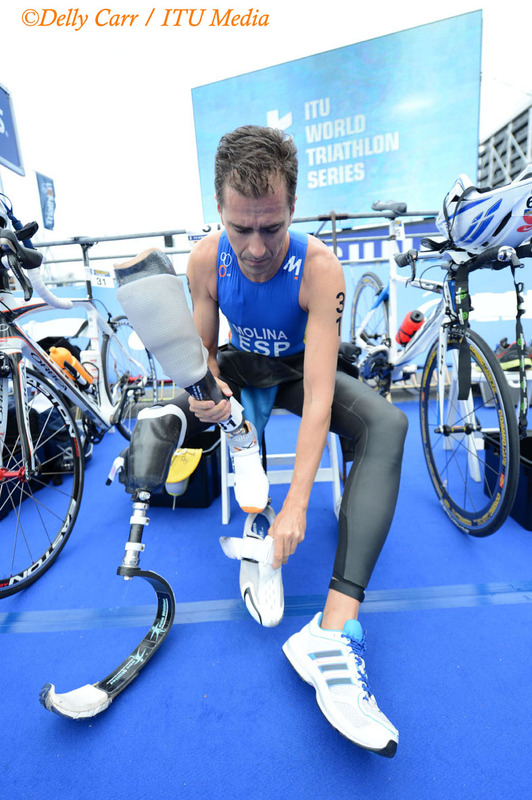 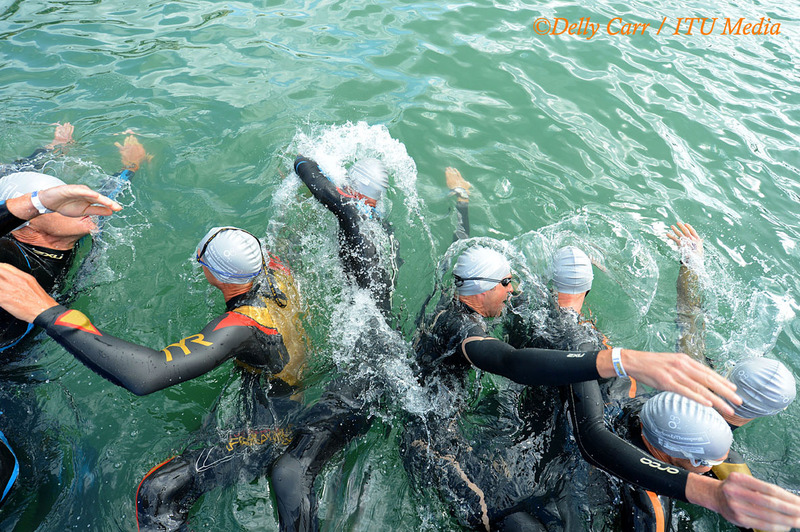 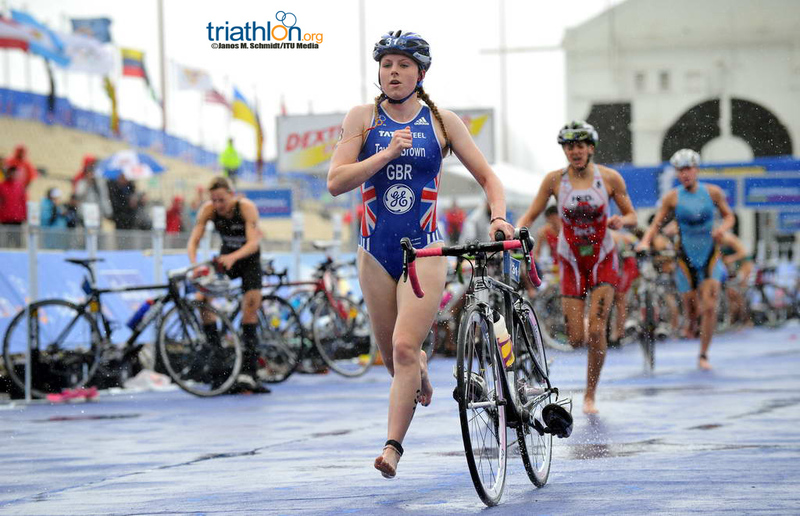 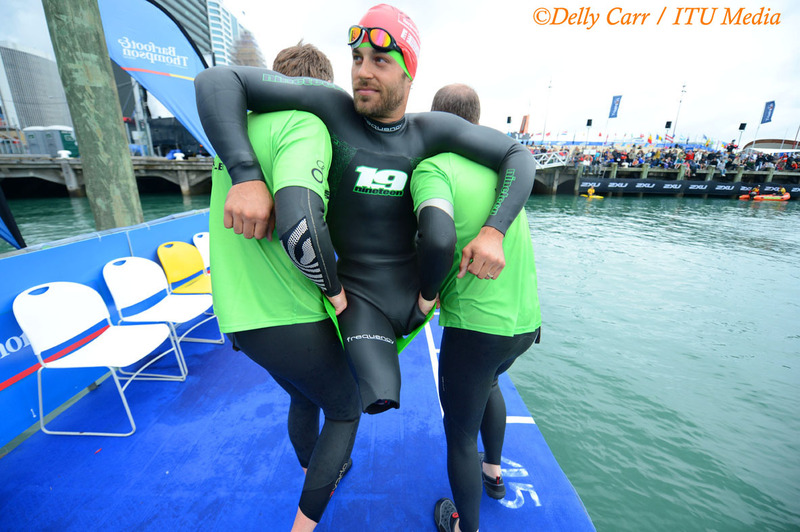 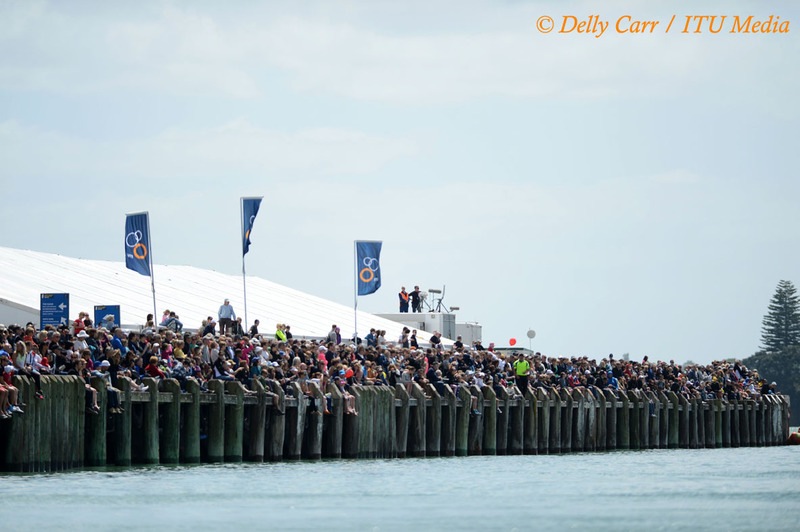 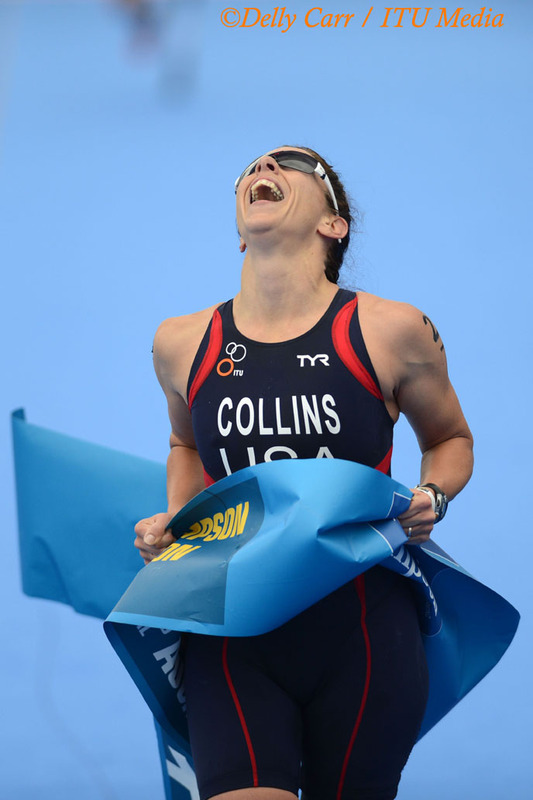 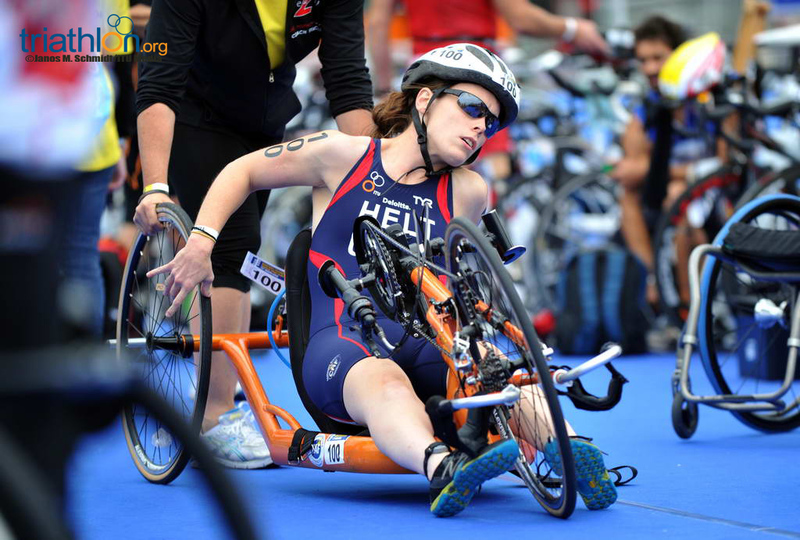 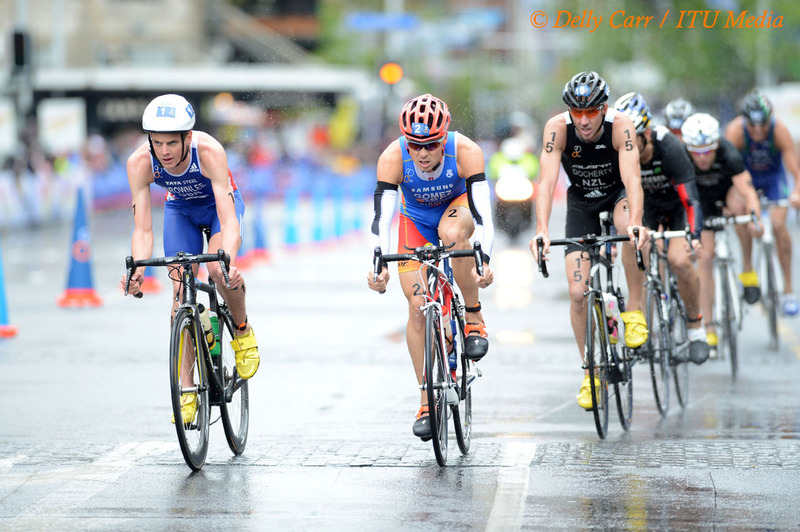 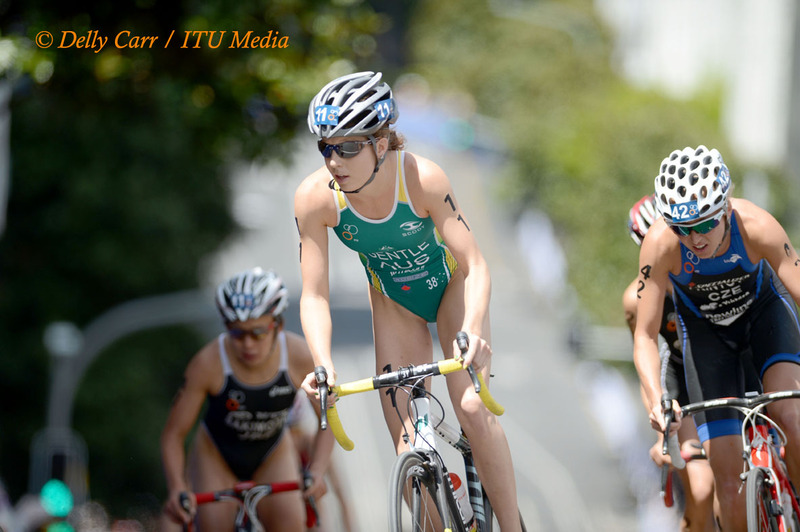 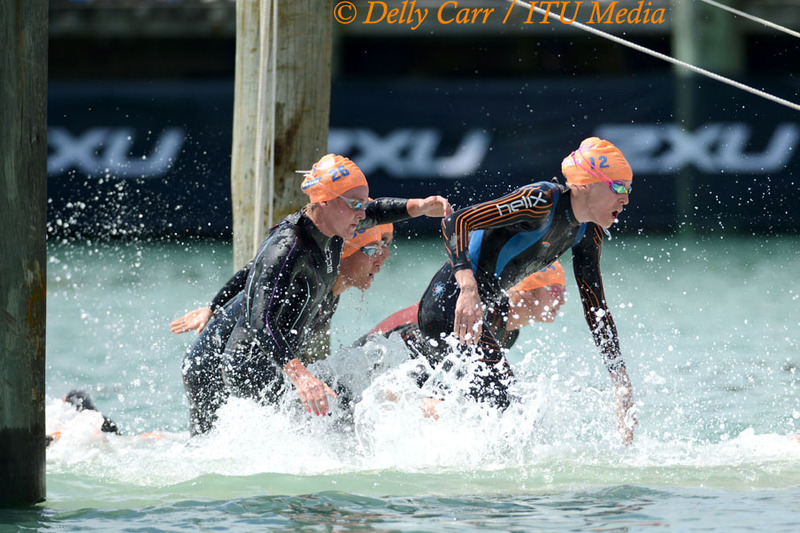 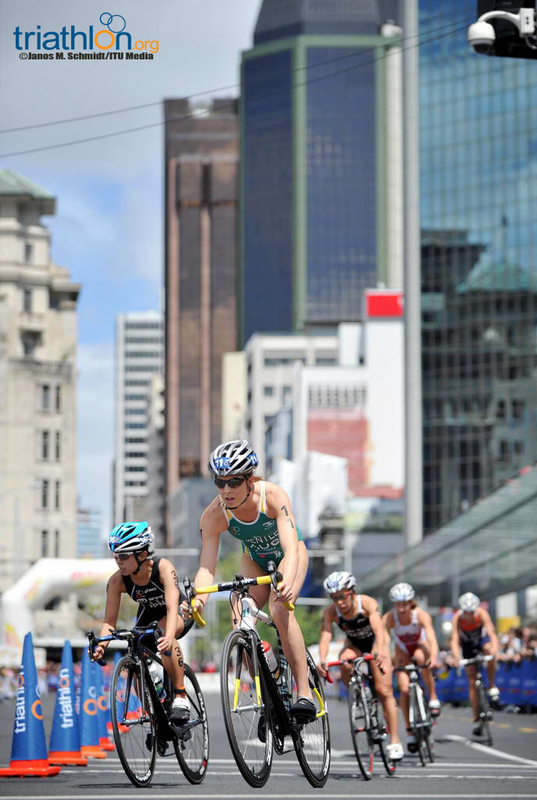 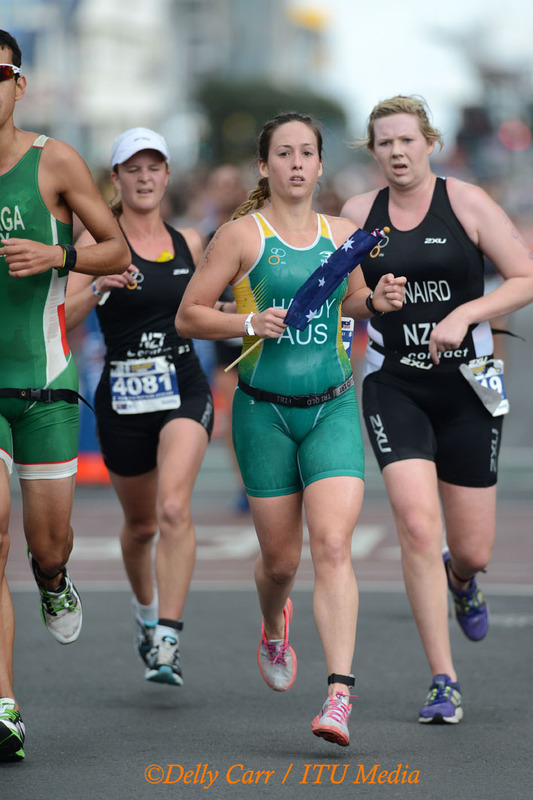 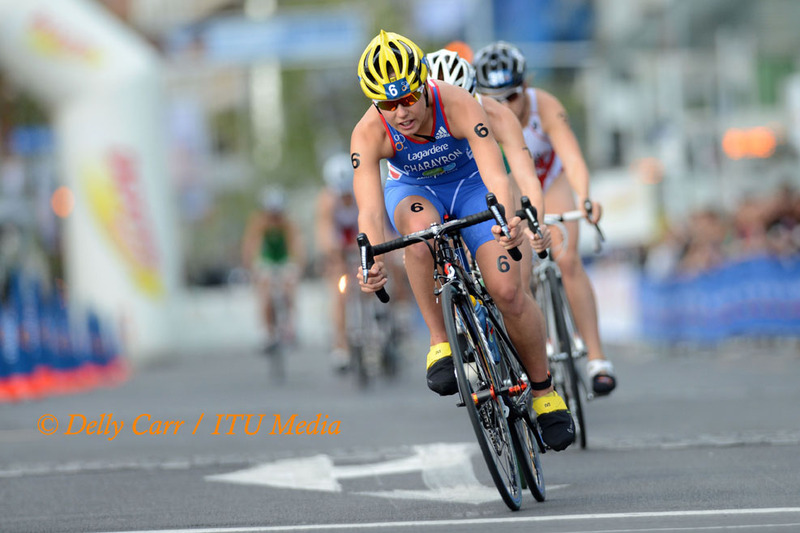 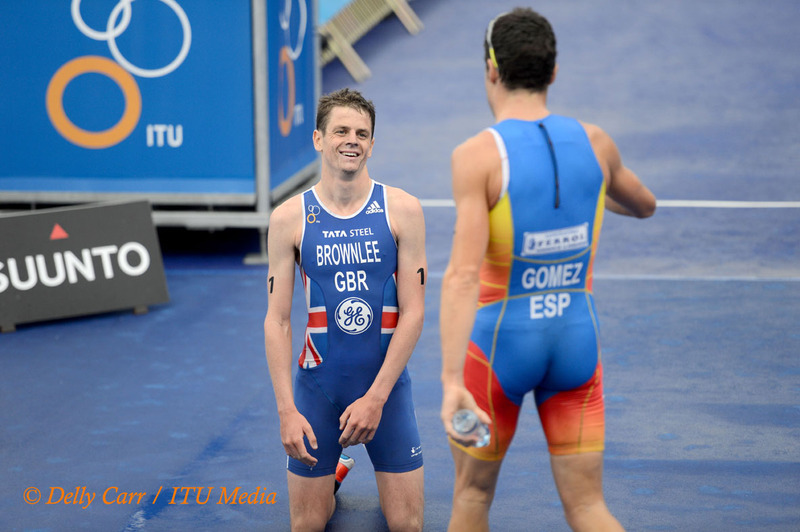 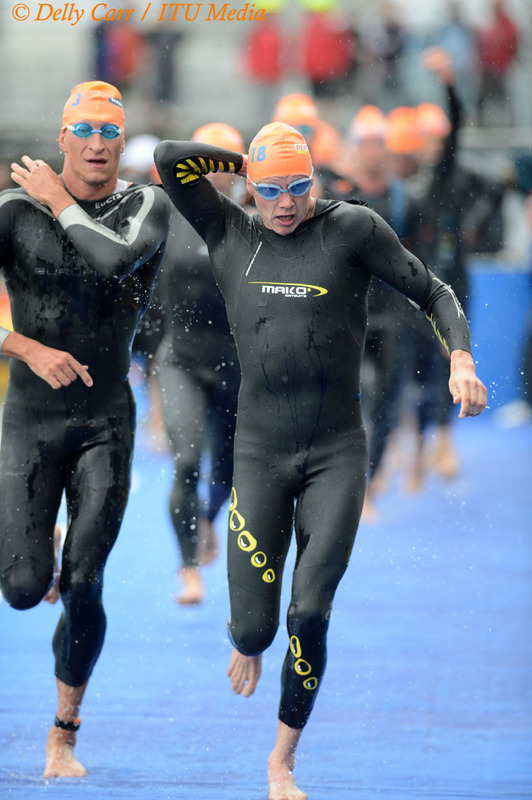 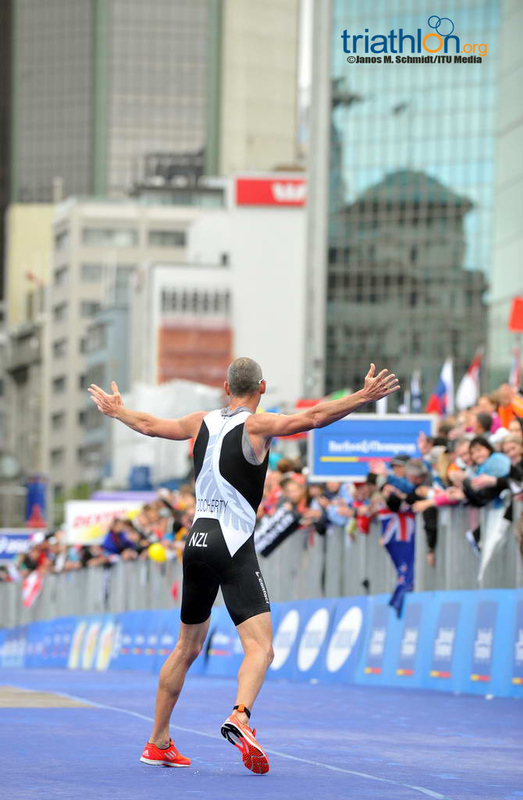 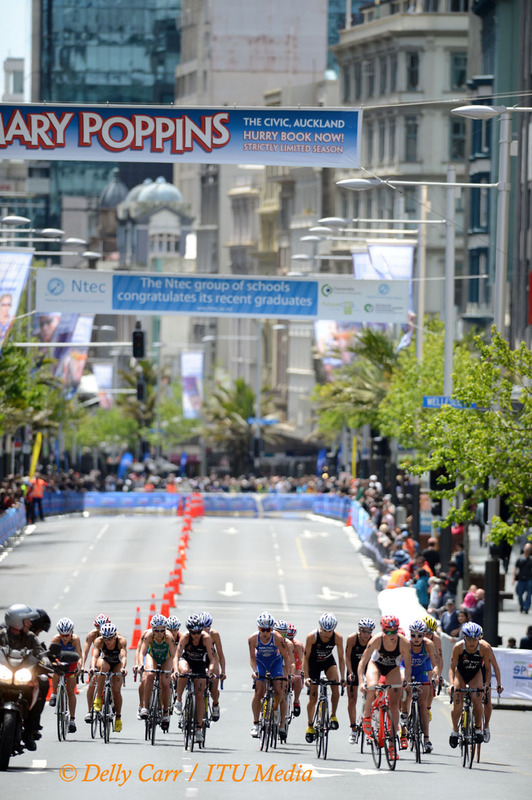 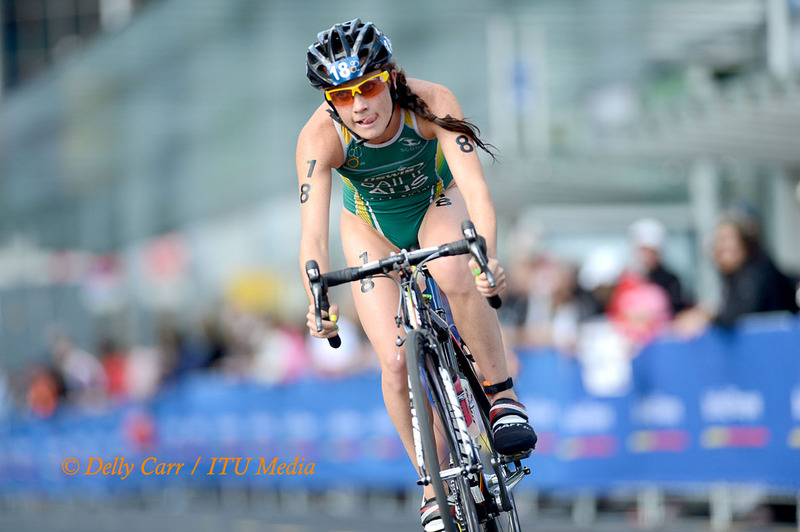 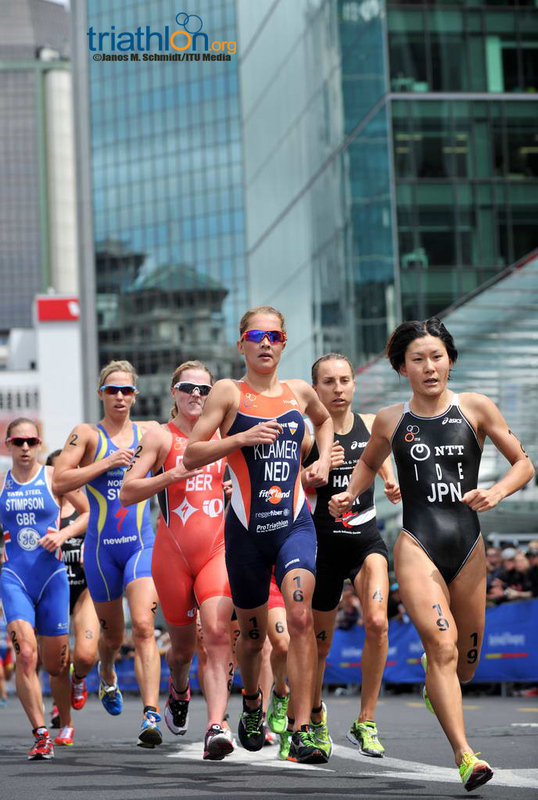 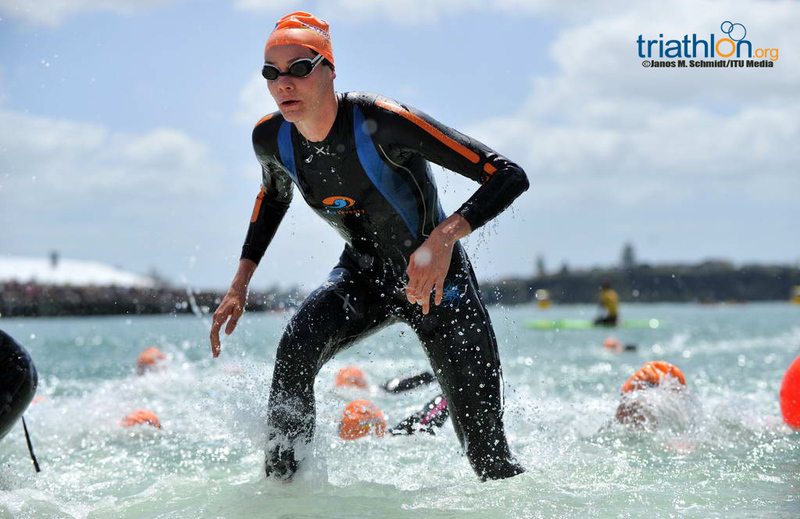 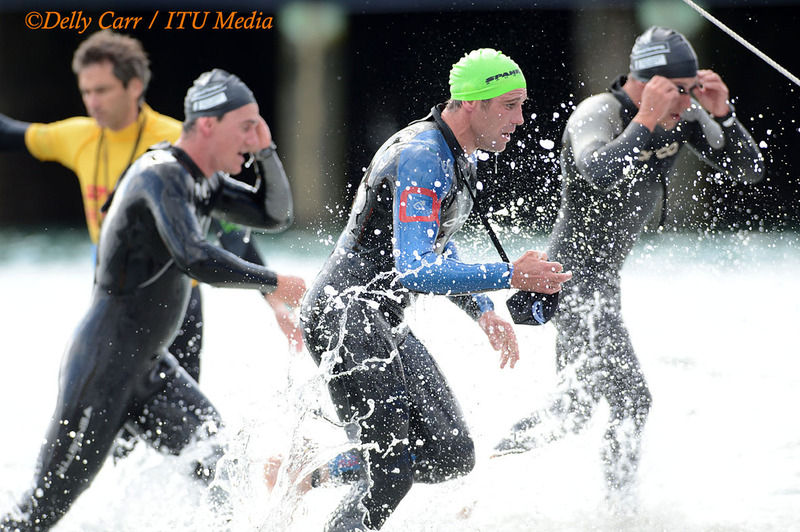 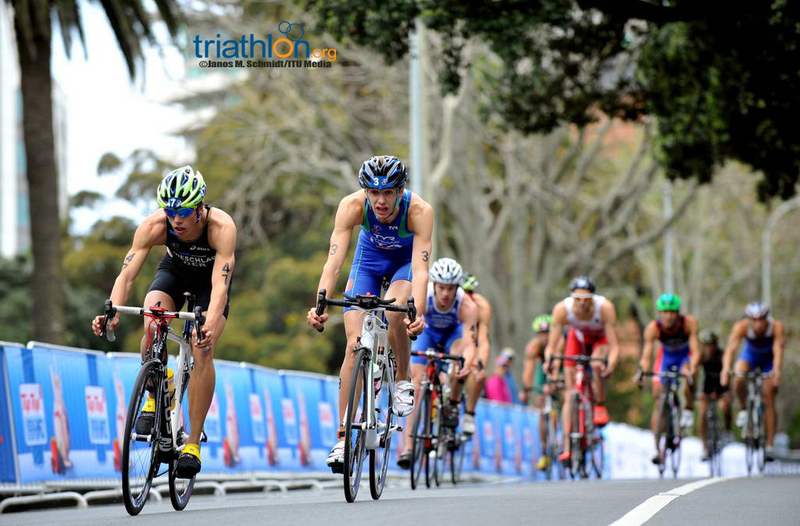 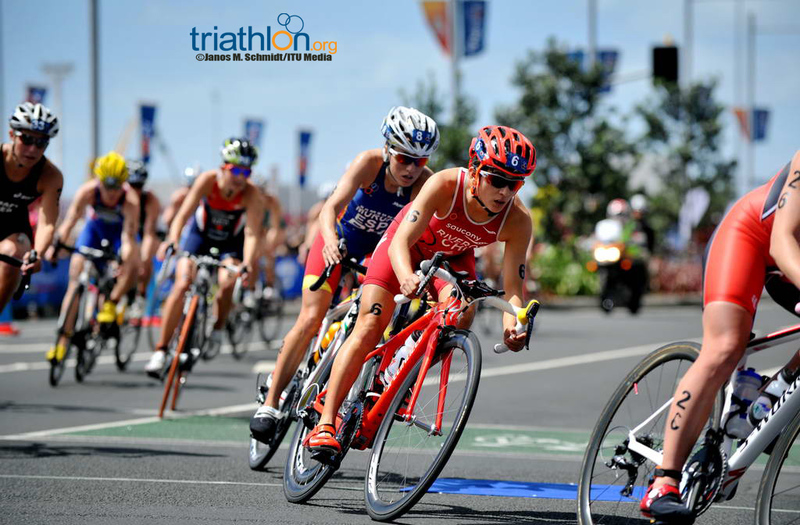 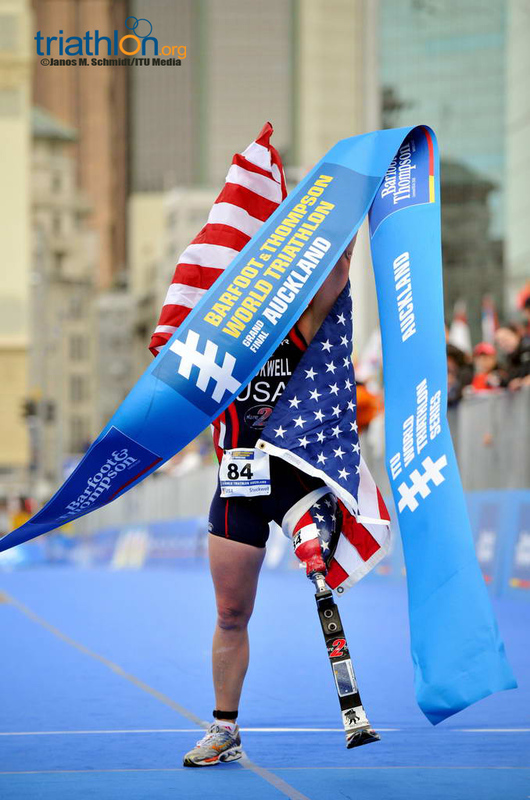 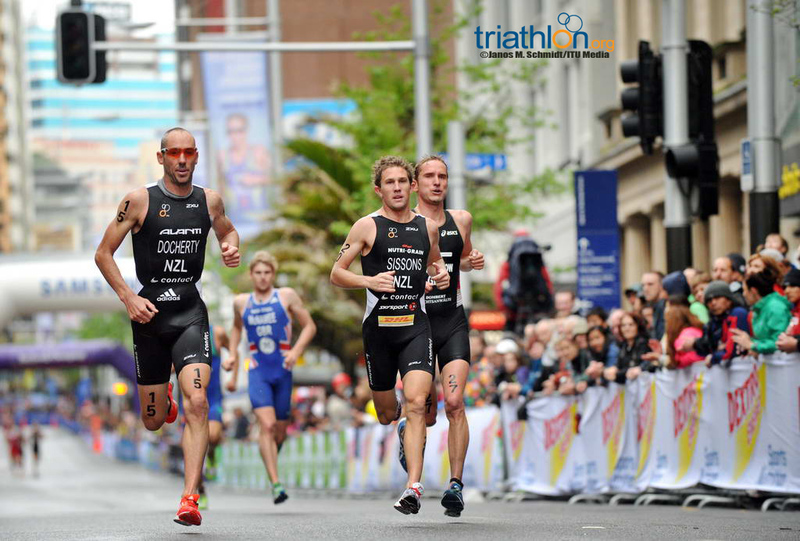 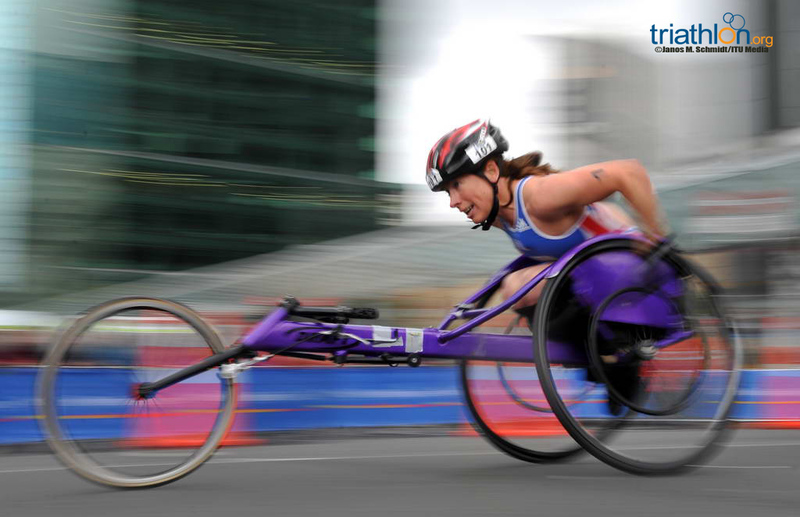 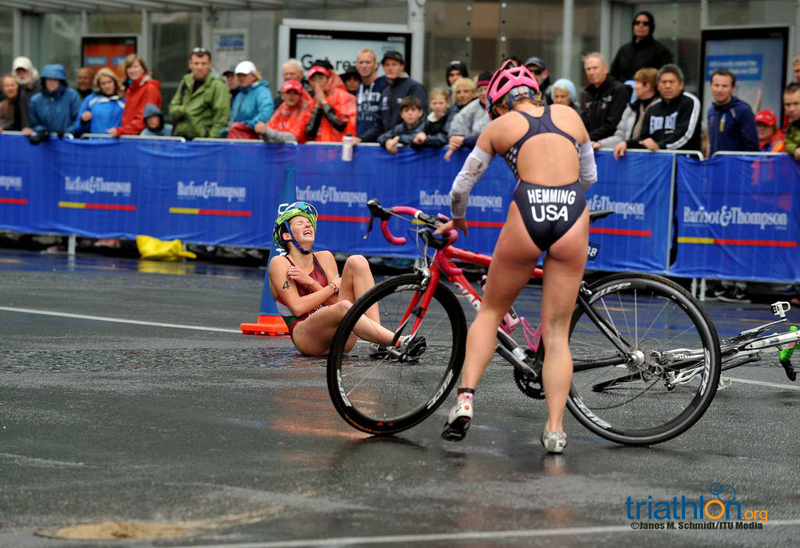 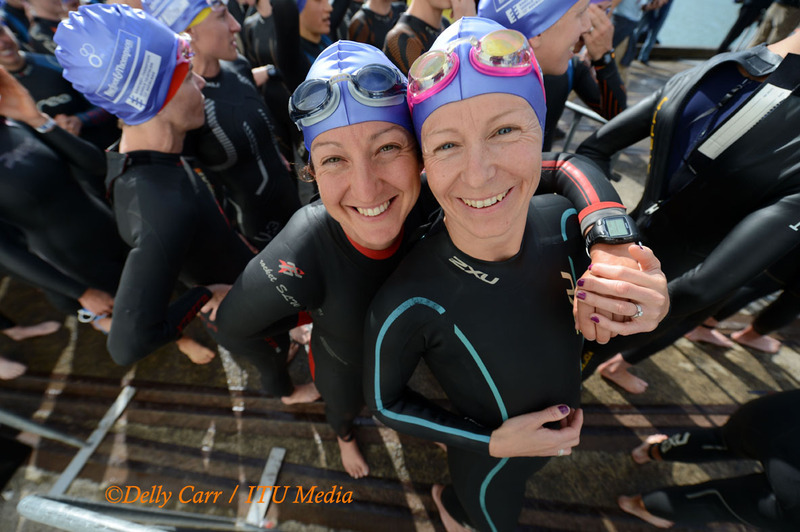 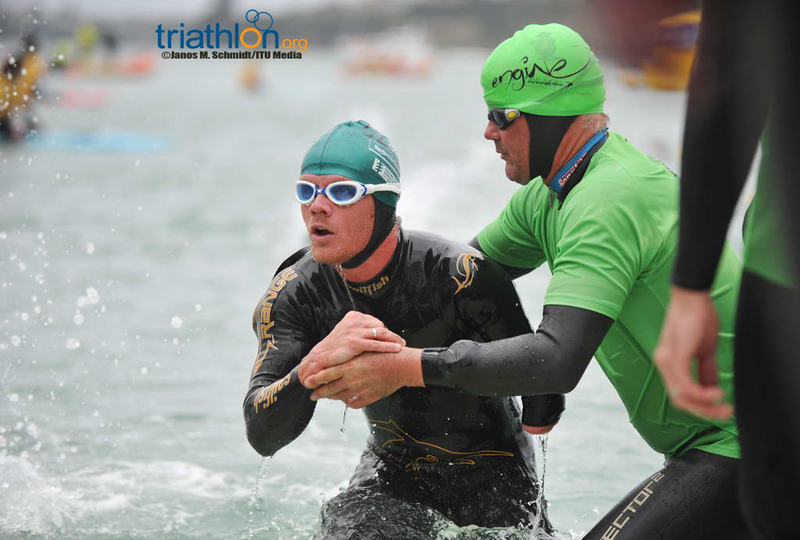 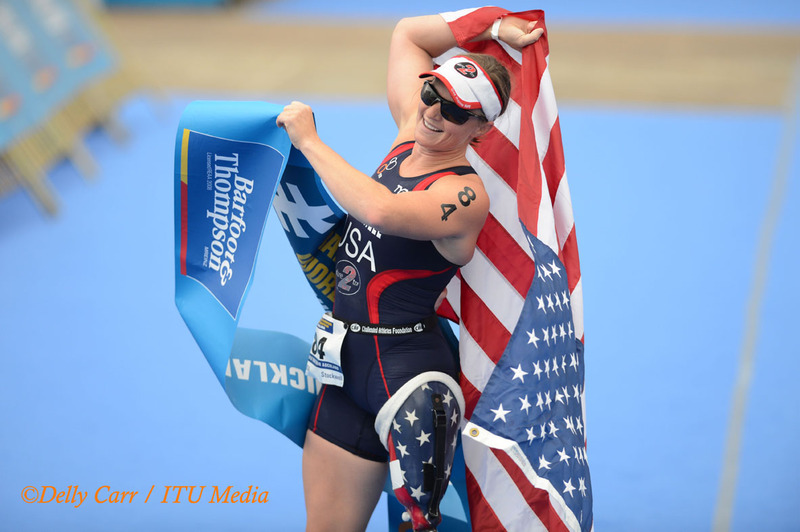 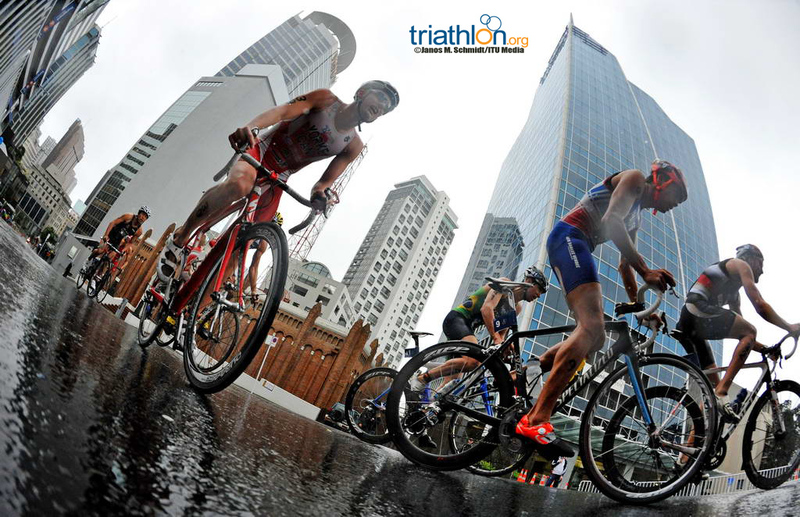 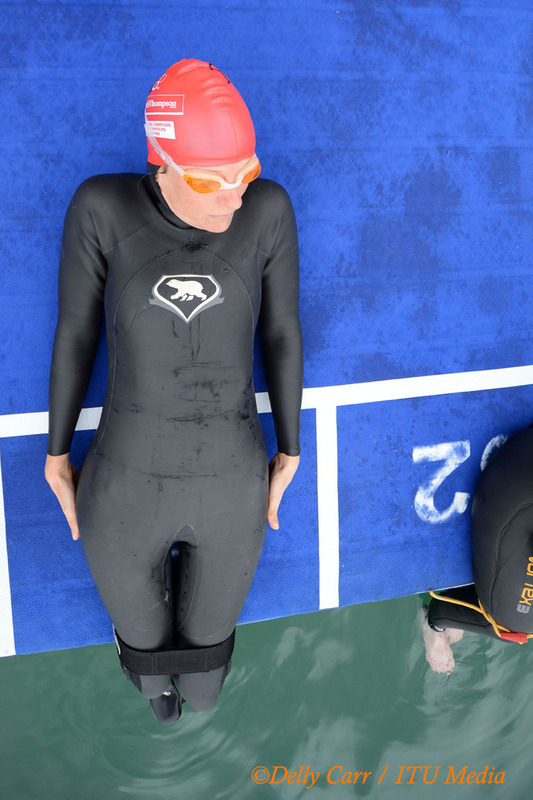 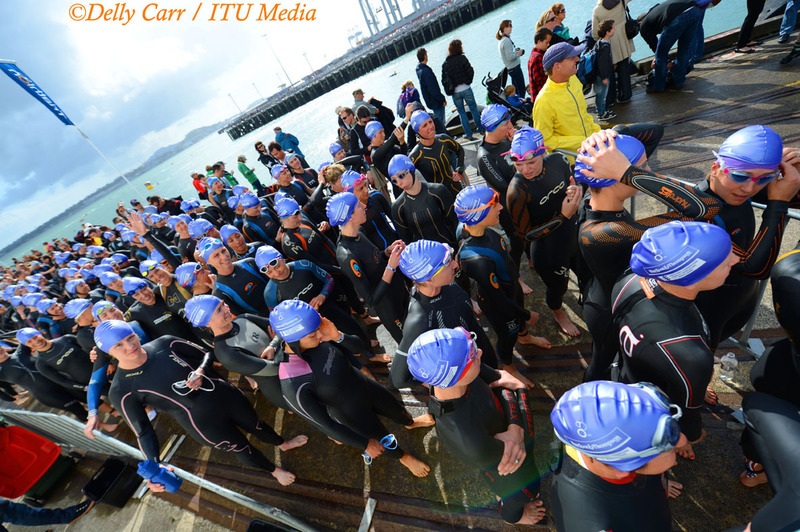 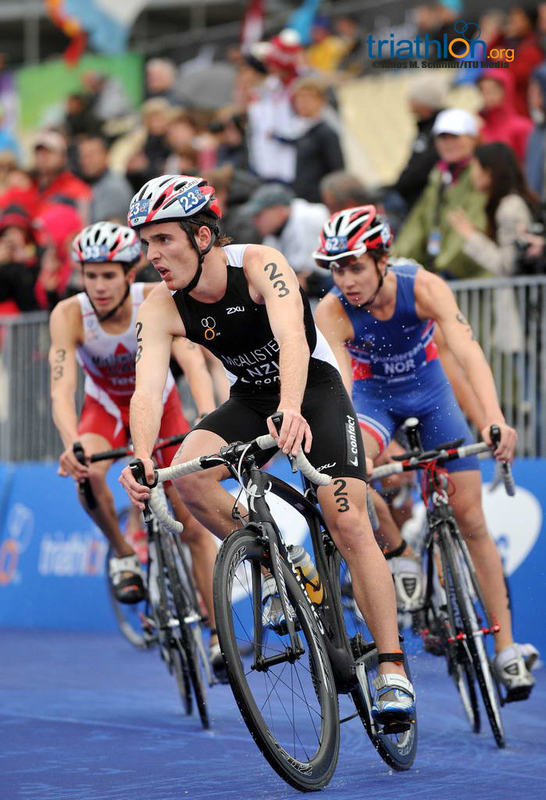 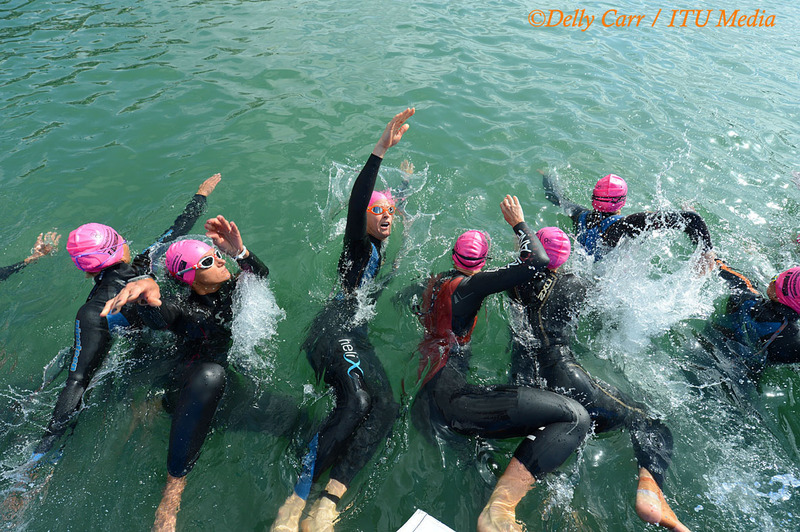 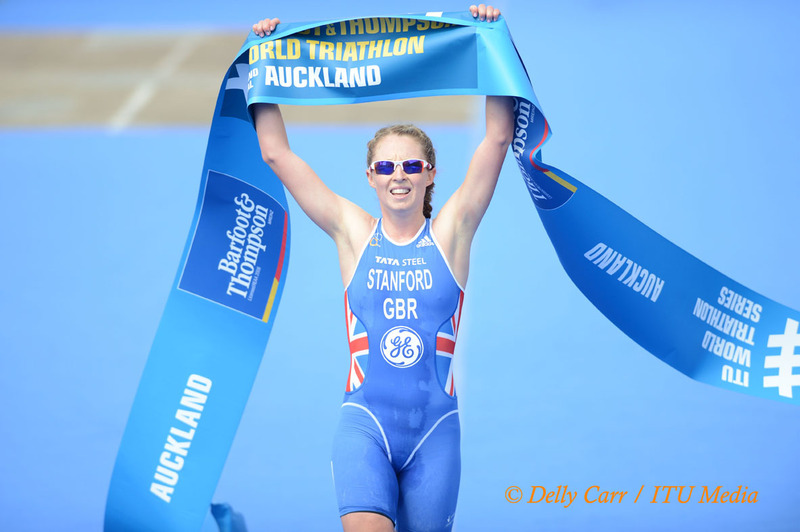 Be sure to follow the action at triathlon.org/live and on twitter at @triathlonlive. 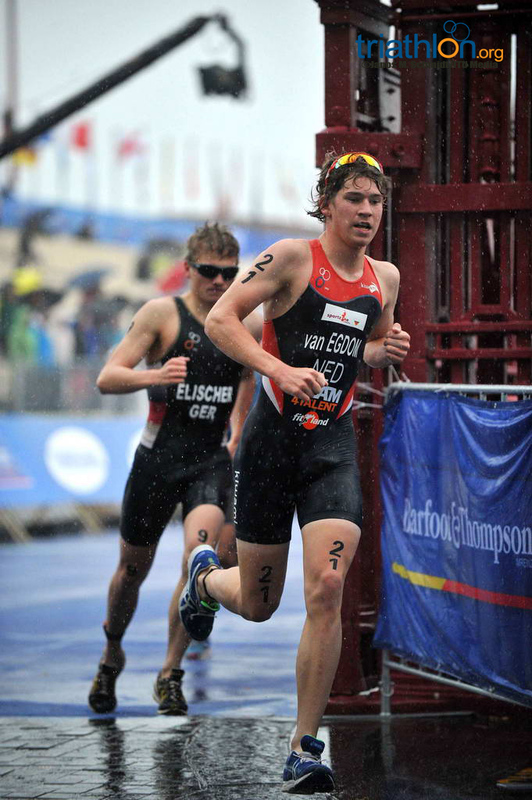 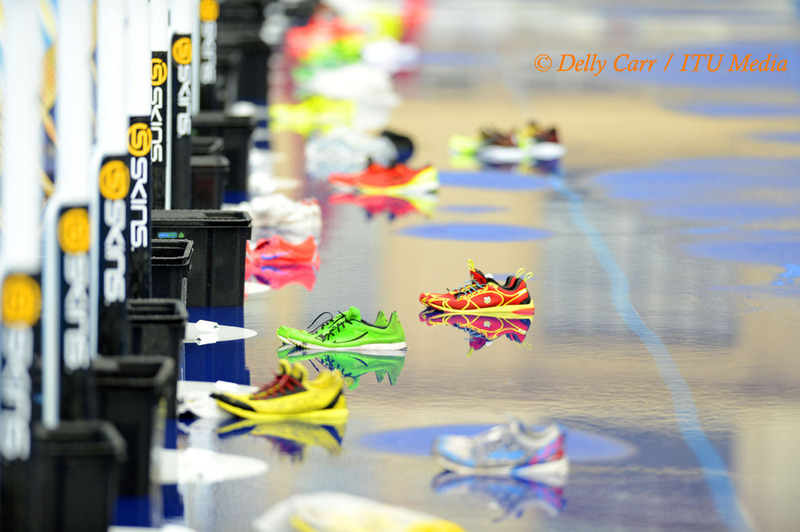 The U23 men’s race will wrap up action for Saturday, but Sunday begins anew with a whole new day of action. 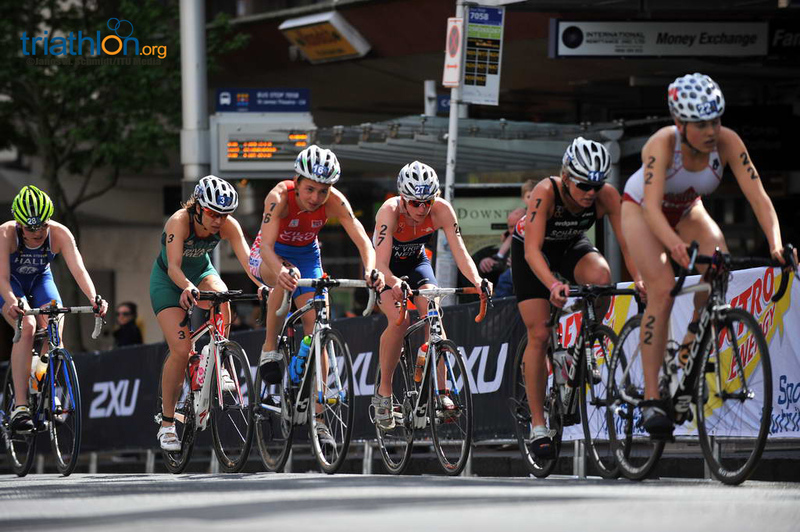 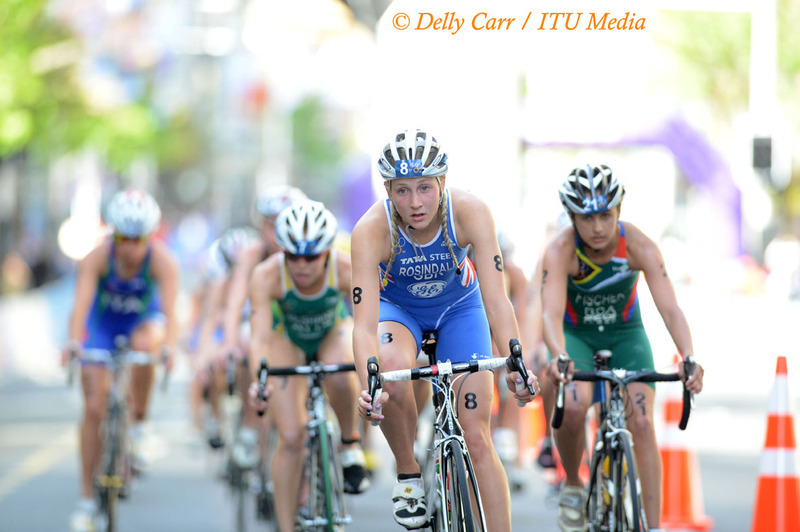 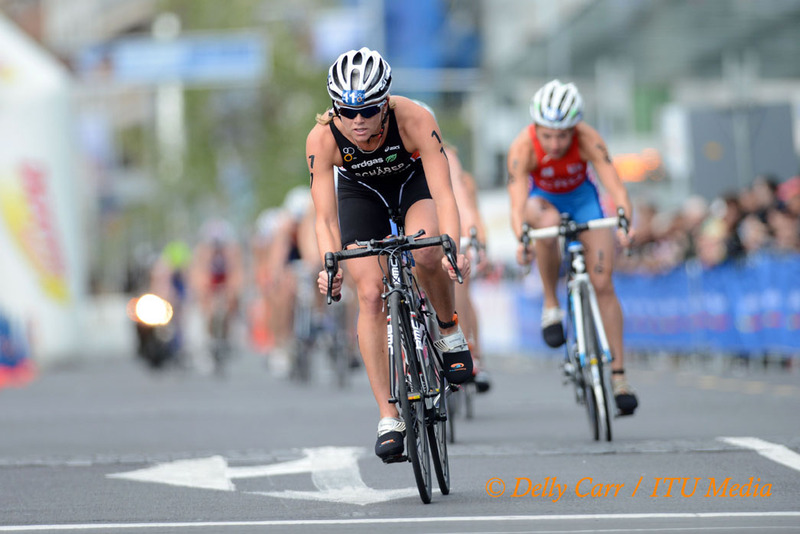 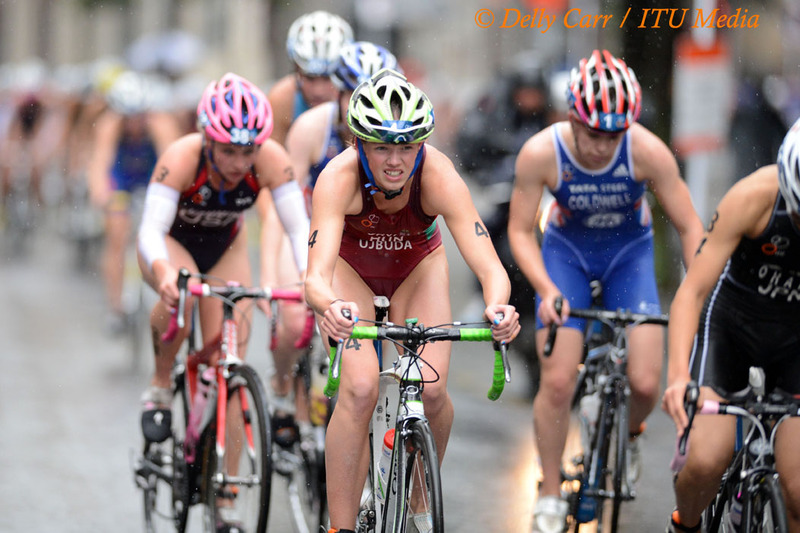 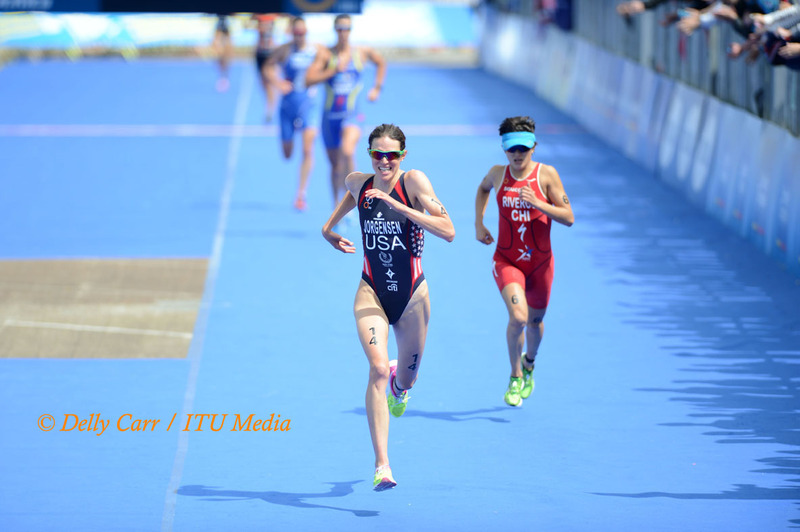 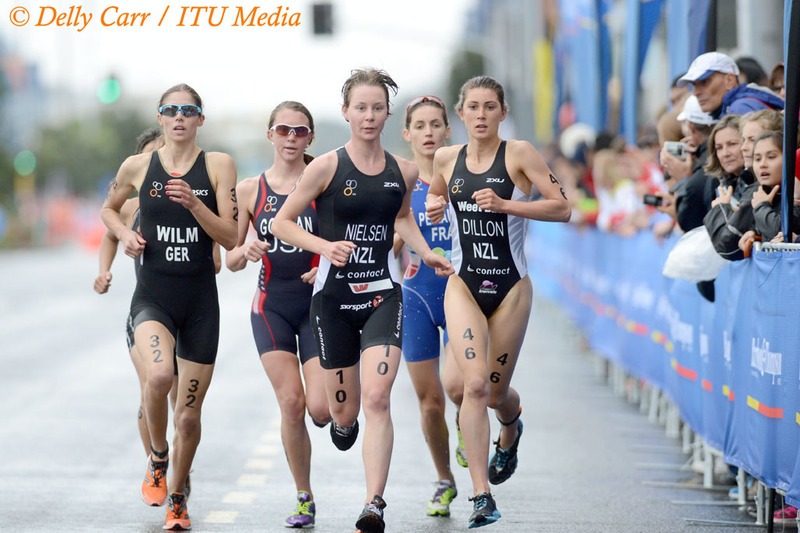 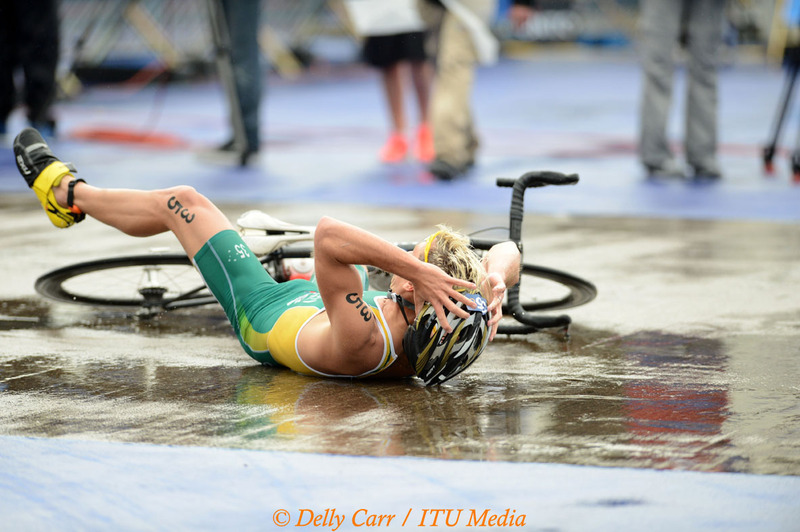 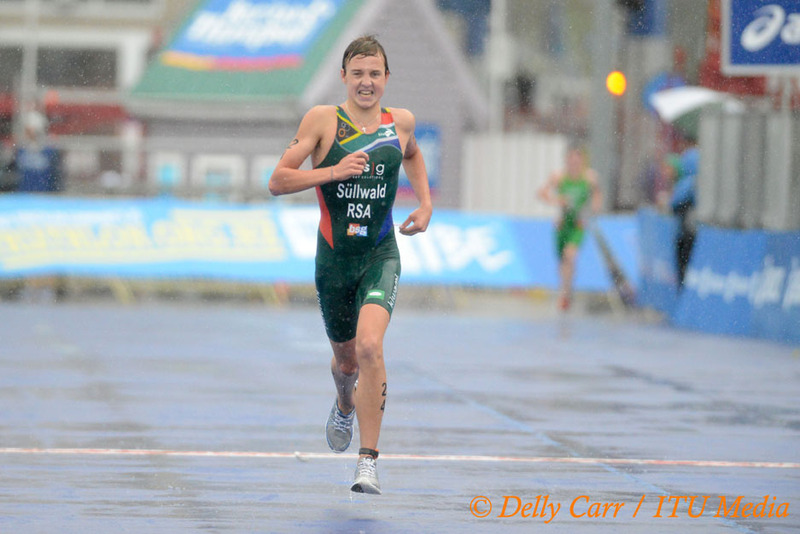 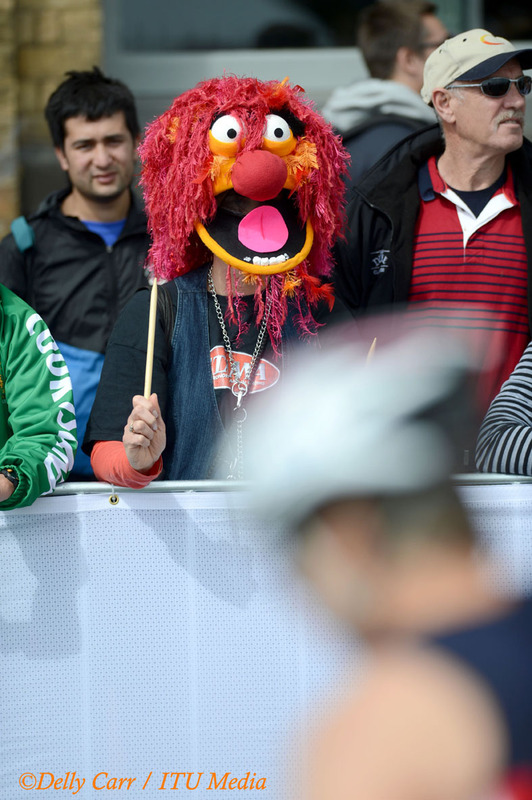 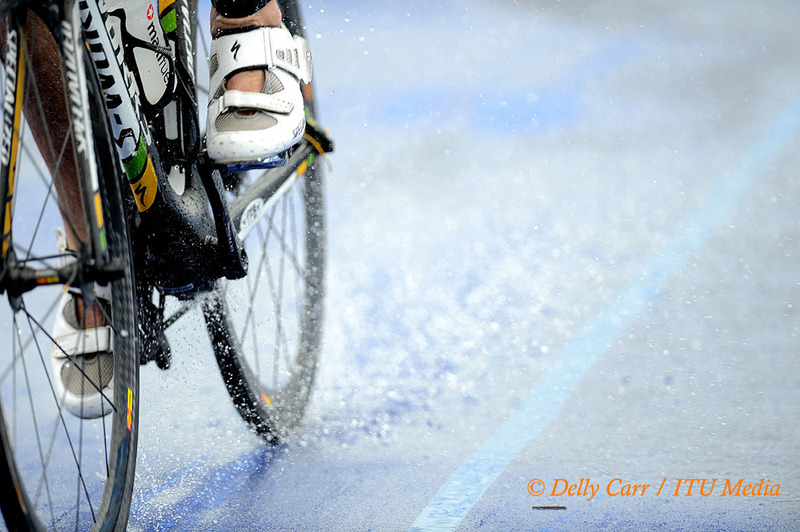 Stay tuned for the next preview, which will give you the scoop on the junior women and elite men’s races.